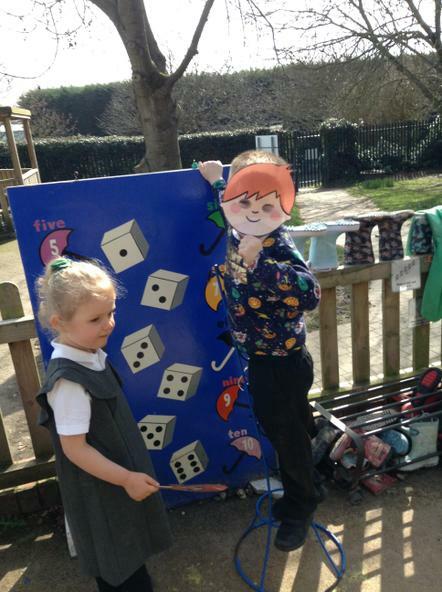 Miss Askew and Mrs Elford welcome you to Leigh C of E Nursery! 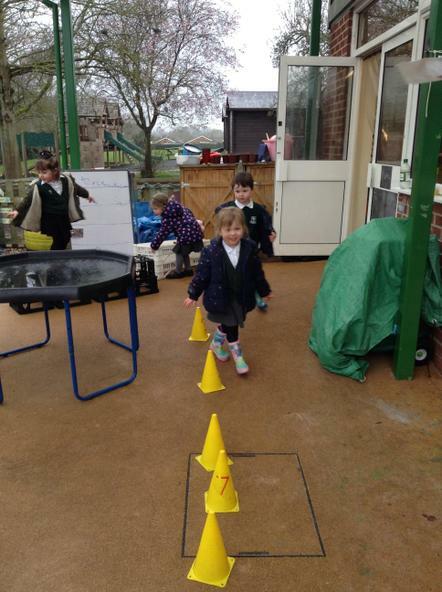 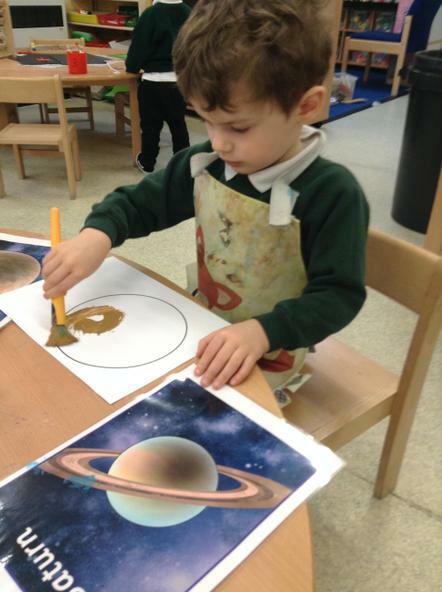 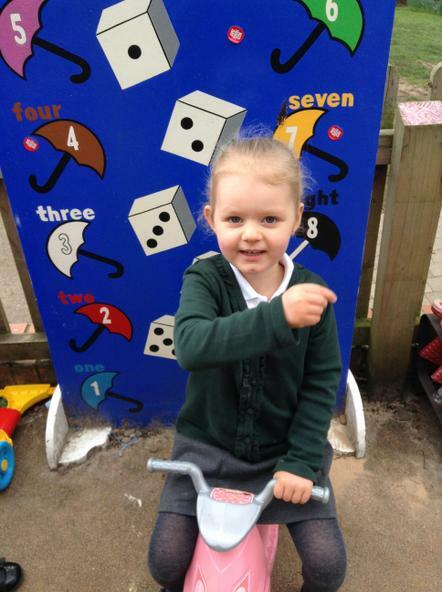 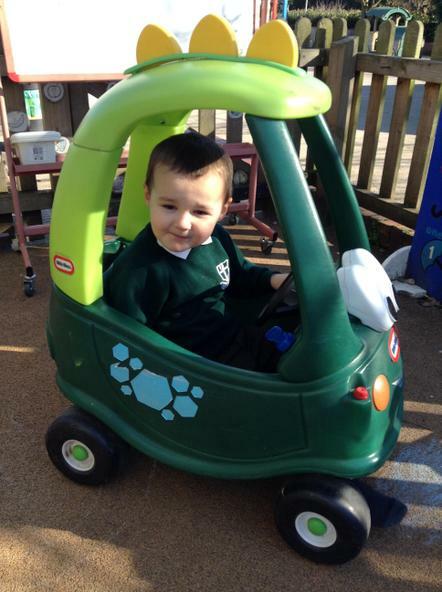 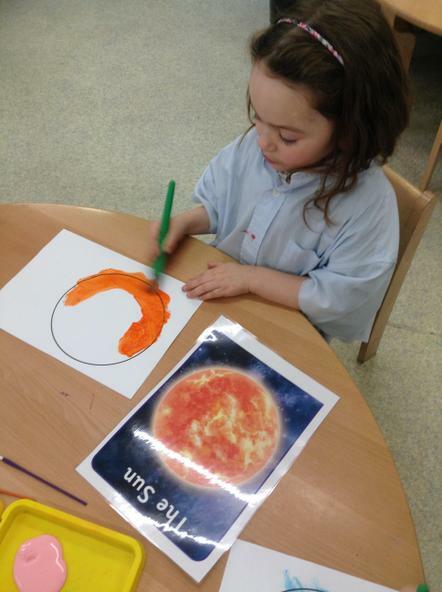 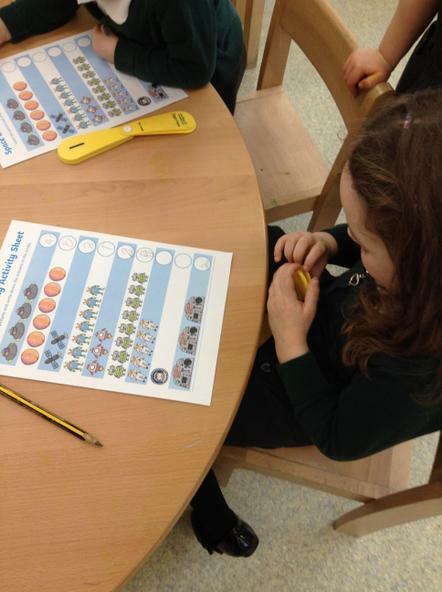 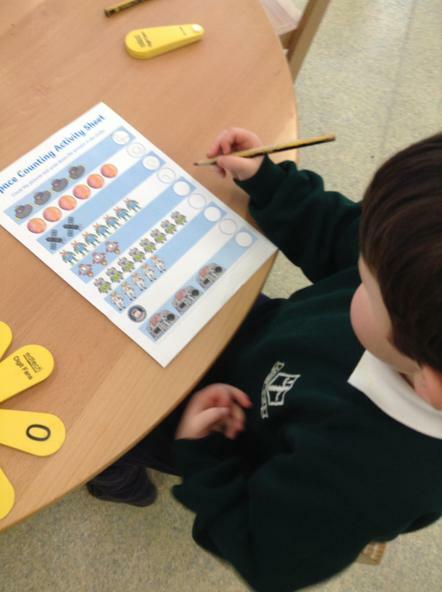 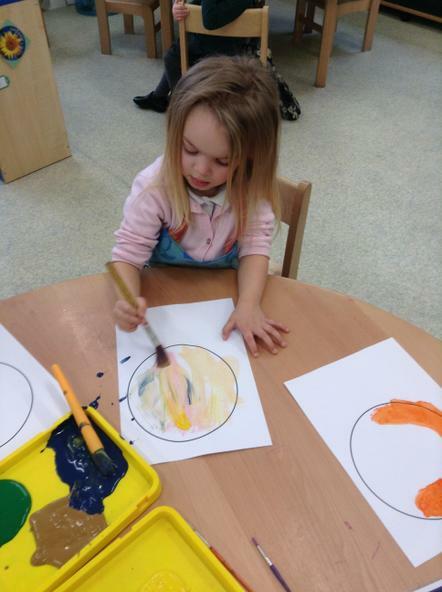 In nursery we follow the Early Years Foundation Stage Objectives in line with development matters. 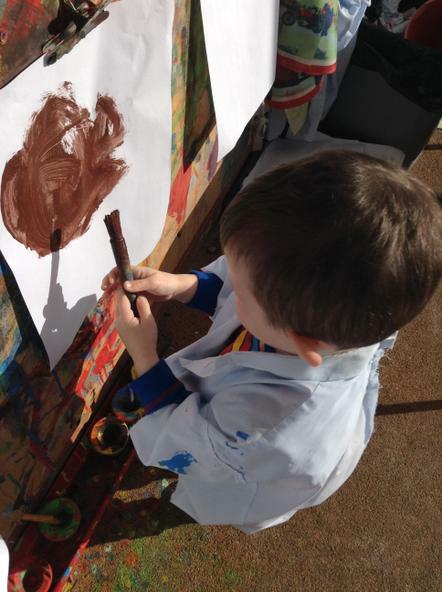 Throughout the year we will follow all of the major festivals and celebrations in order to inform our planning but most importantly the themes and learning opportunities will be directed by the learning and interests that we observe from your children as they 'play'. 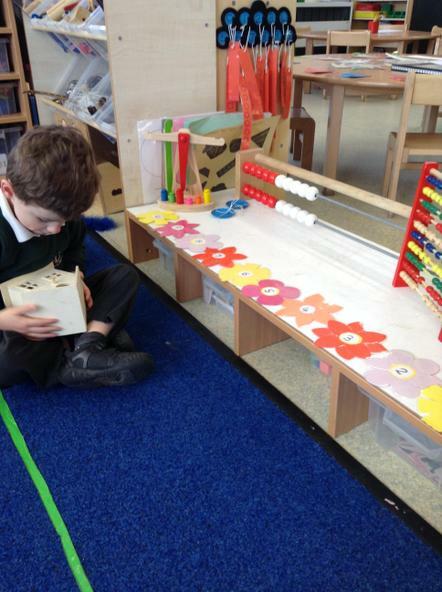 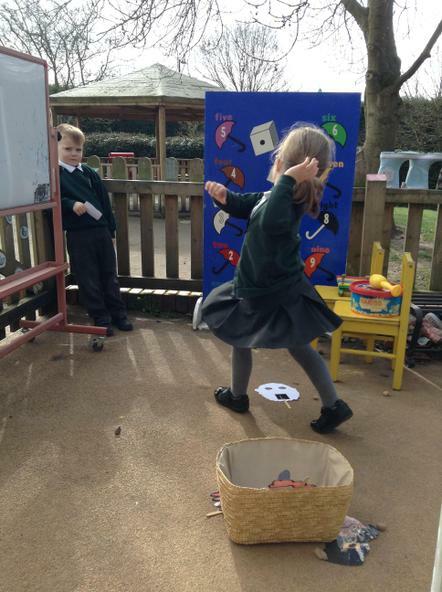 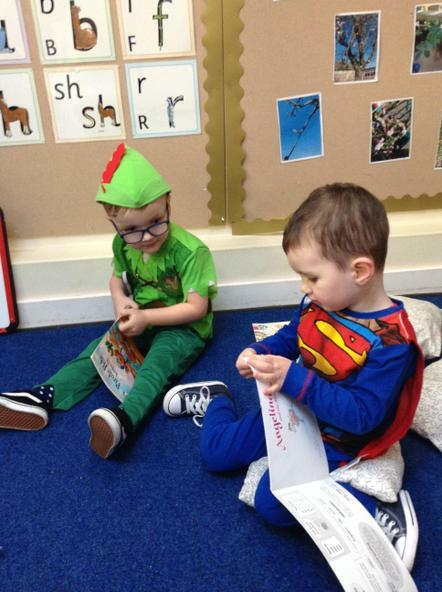 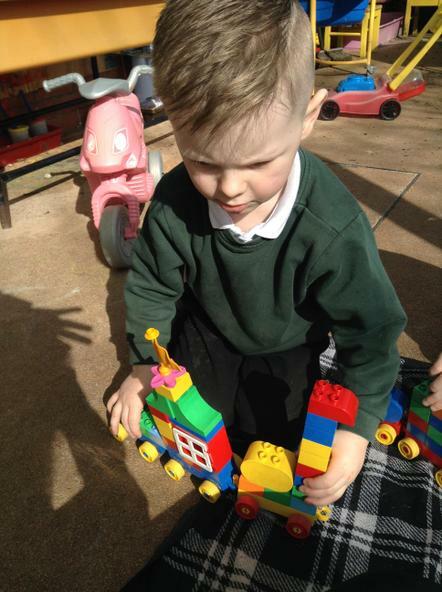 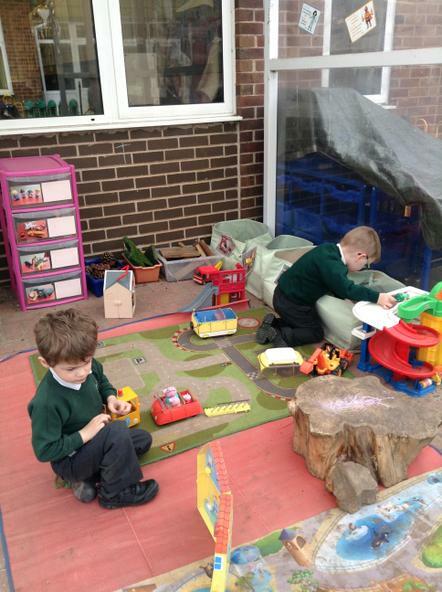 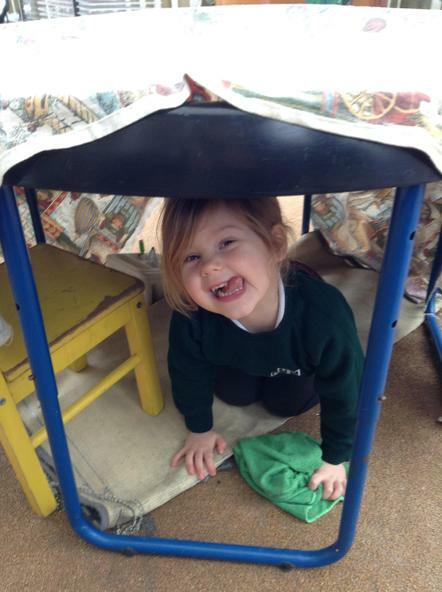 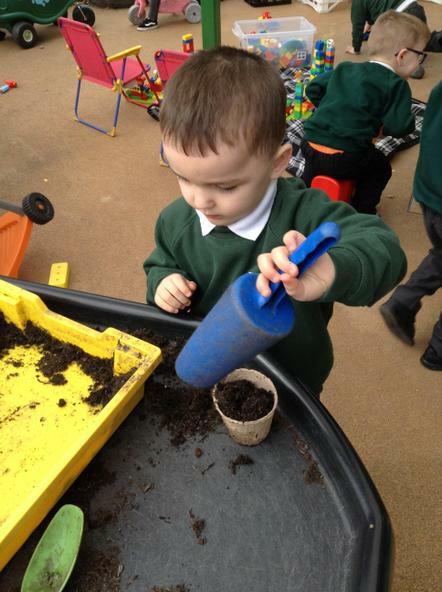 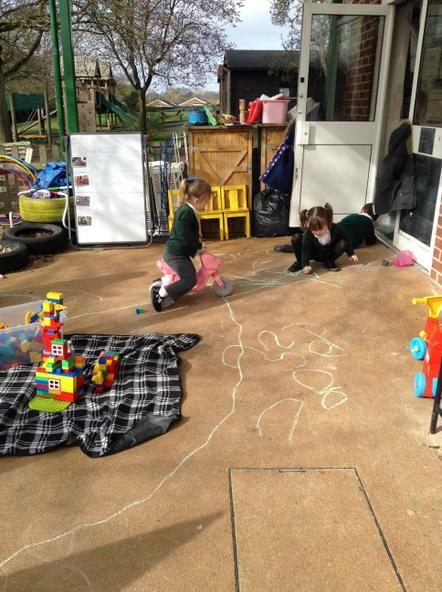 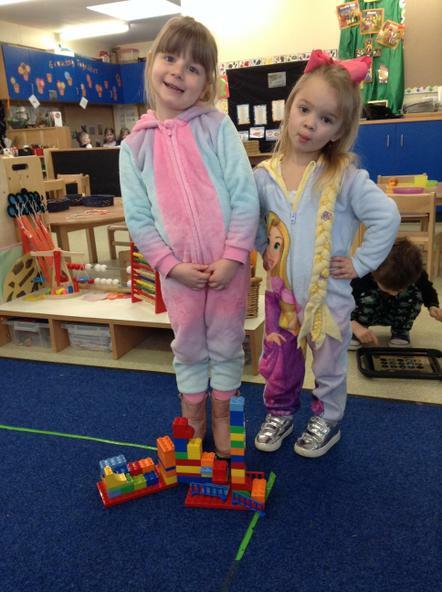 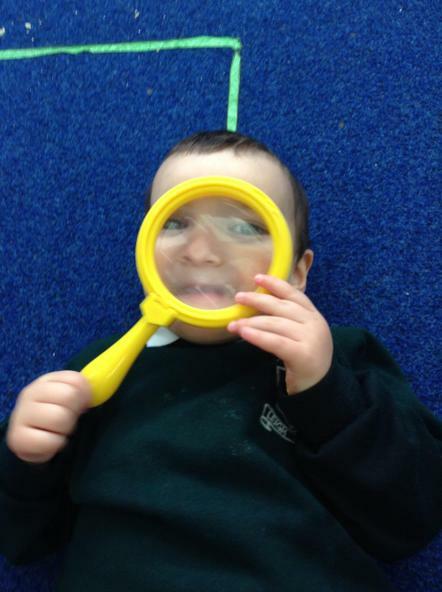 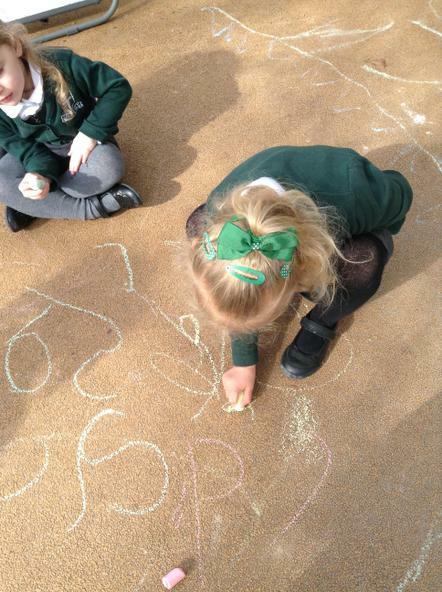 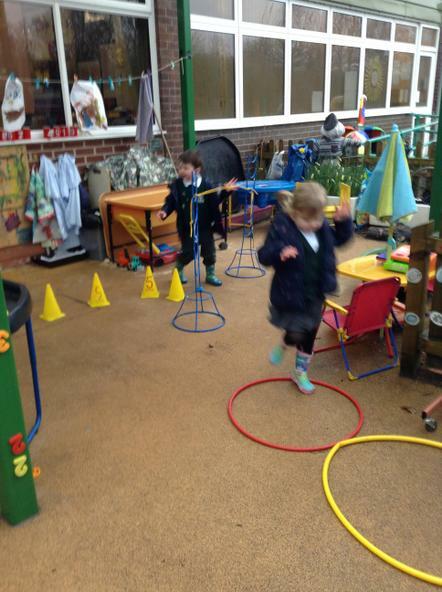 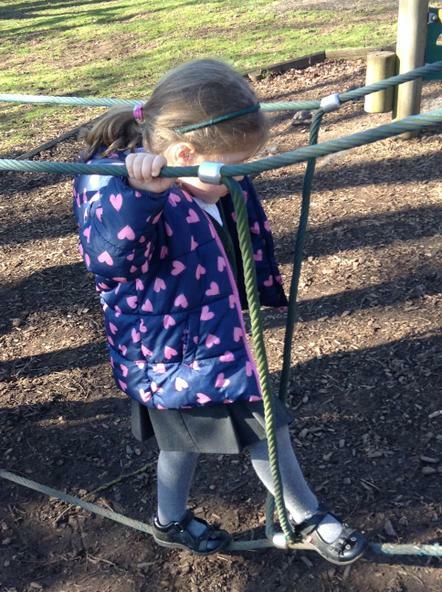 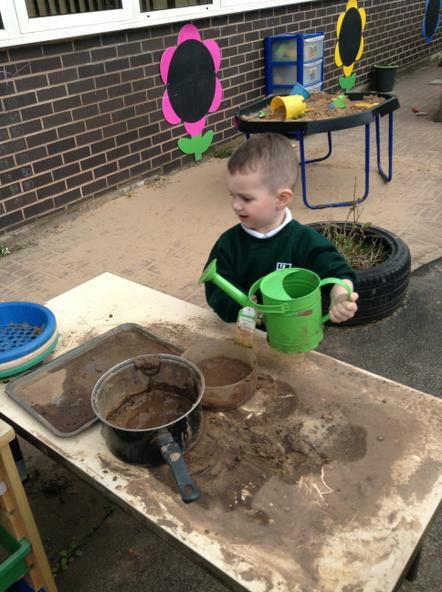 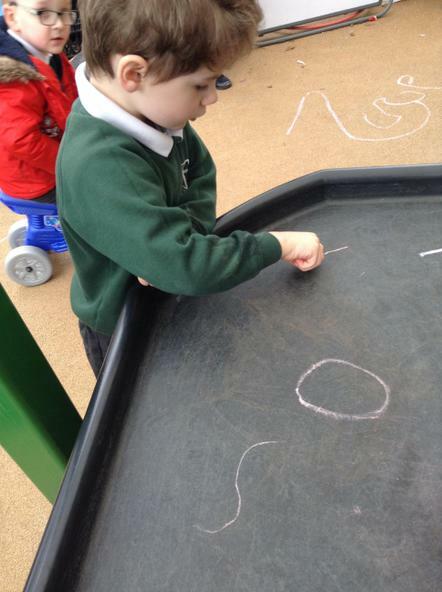 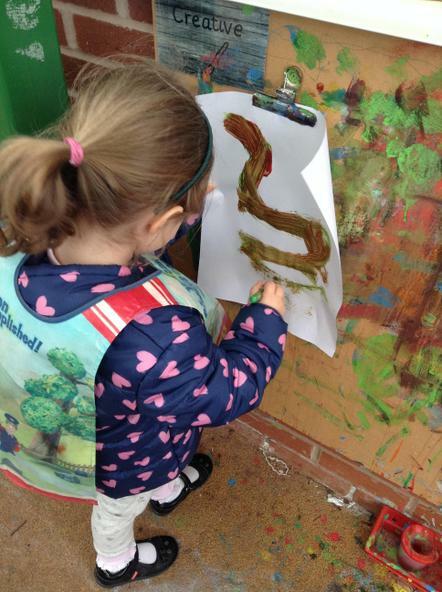 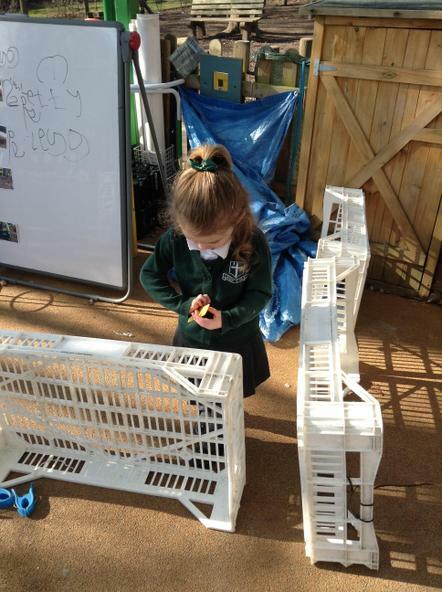 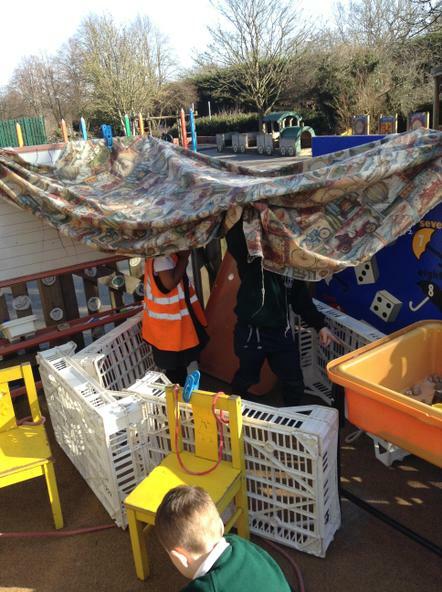 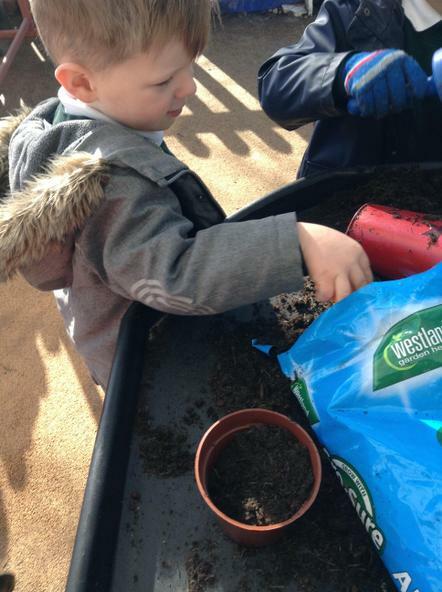 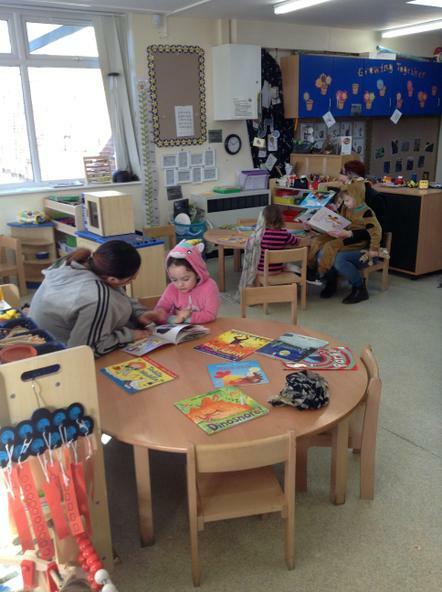 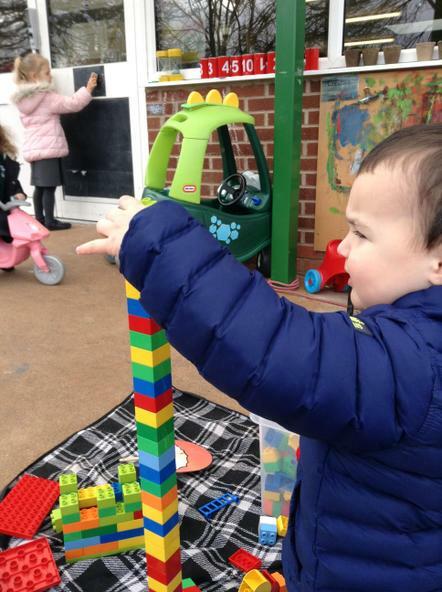 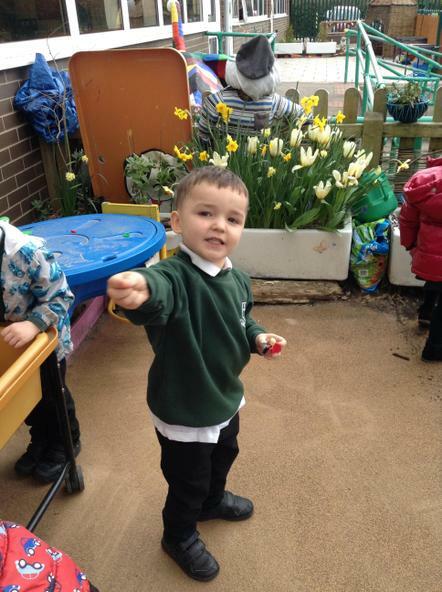 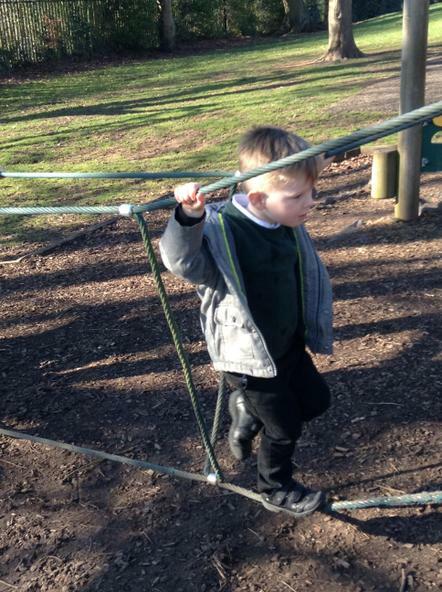 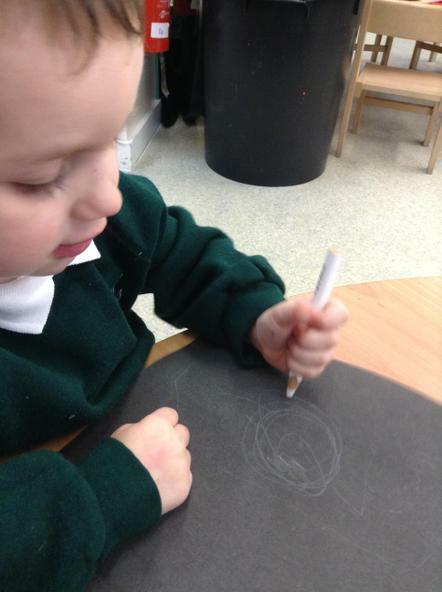 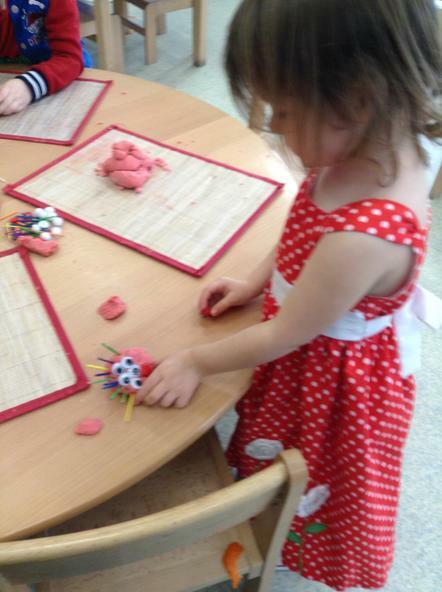 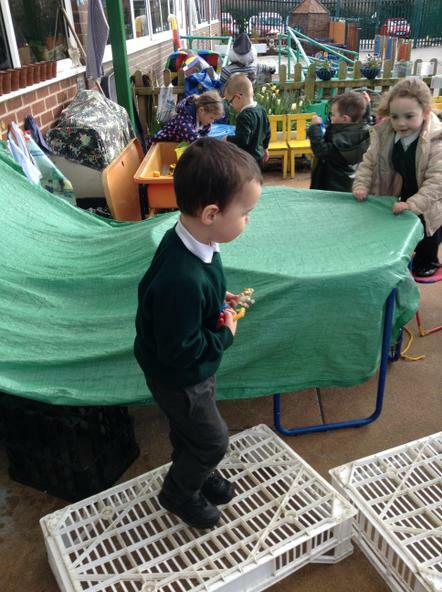 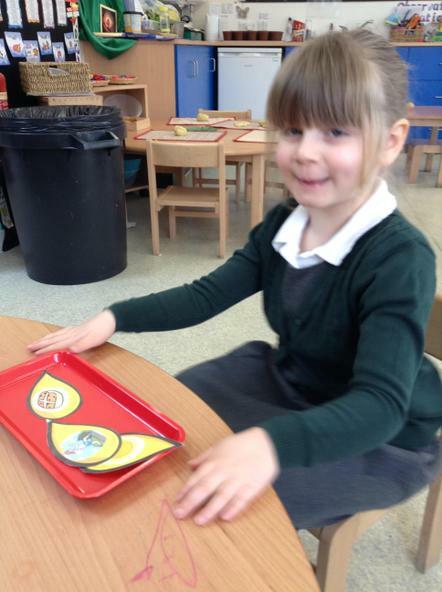 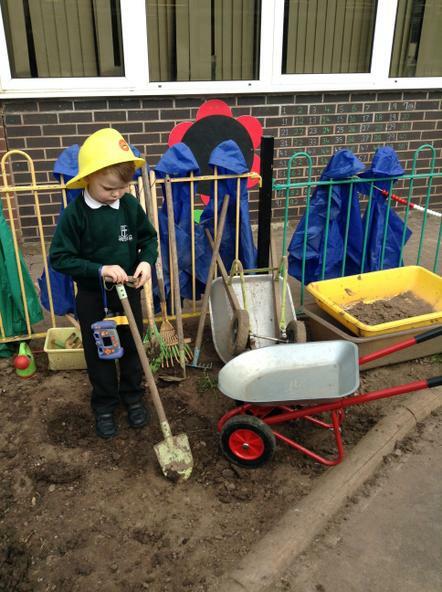 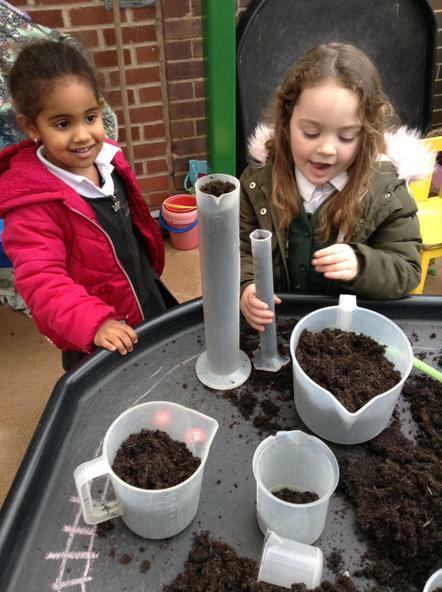 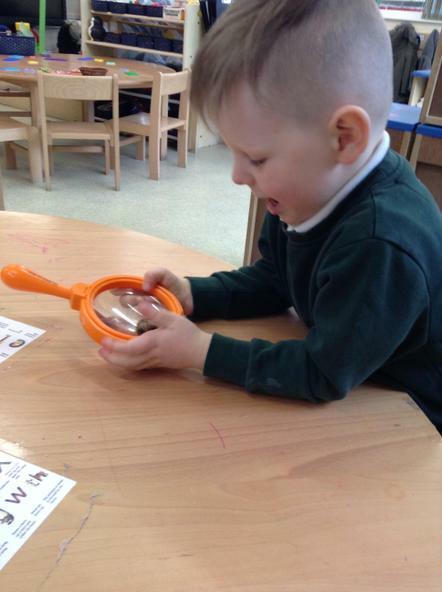 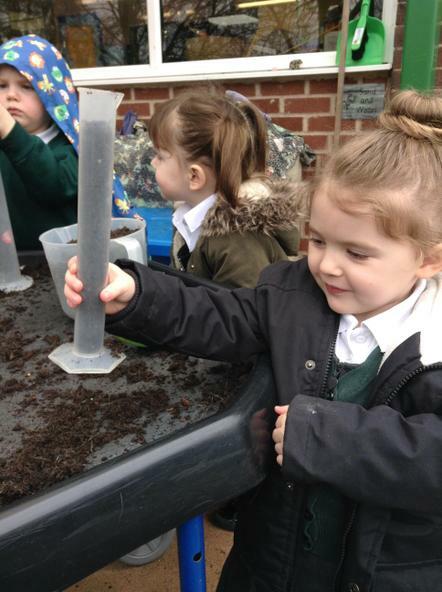 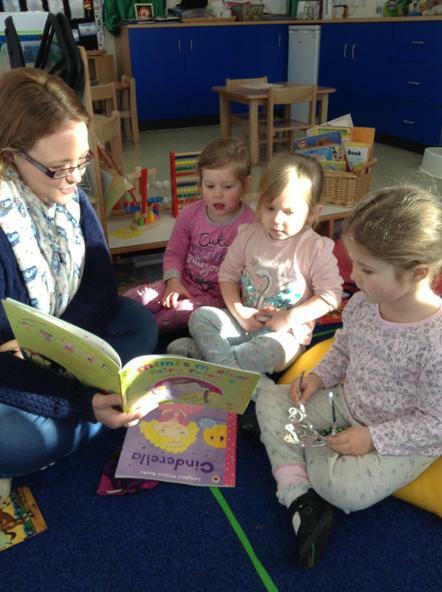 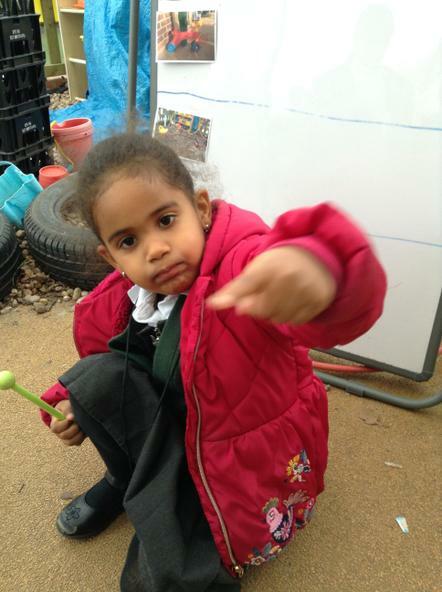 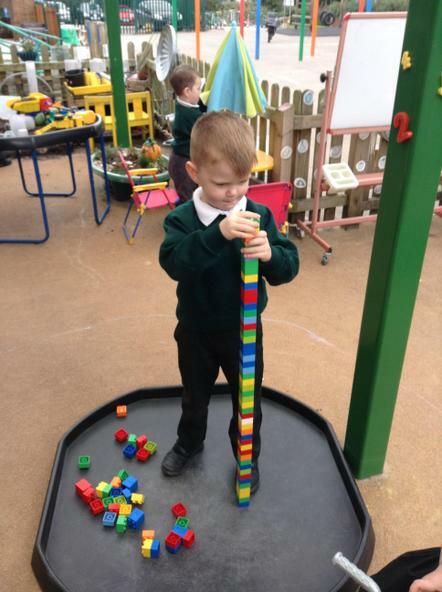 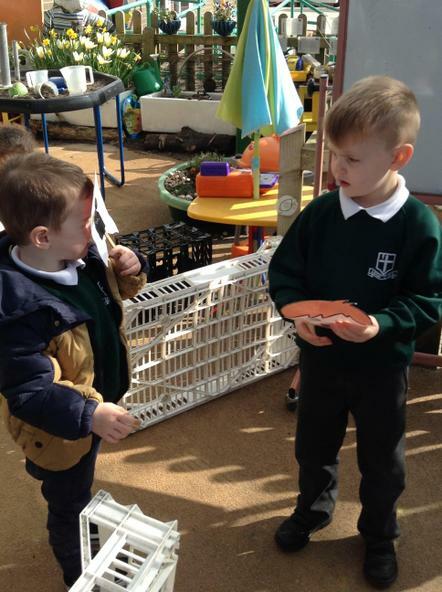 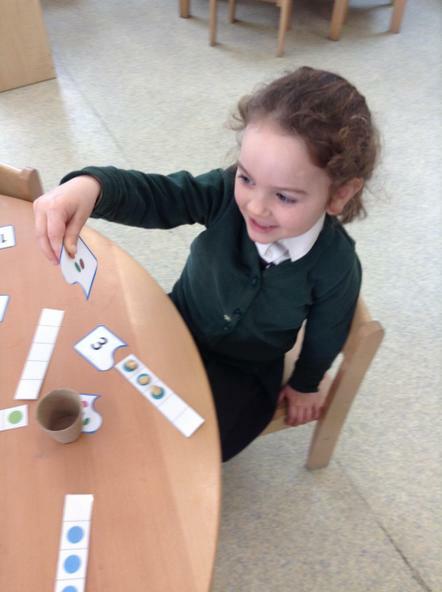 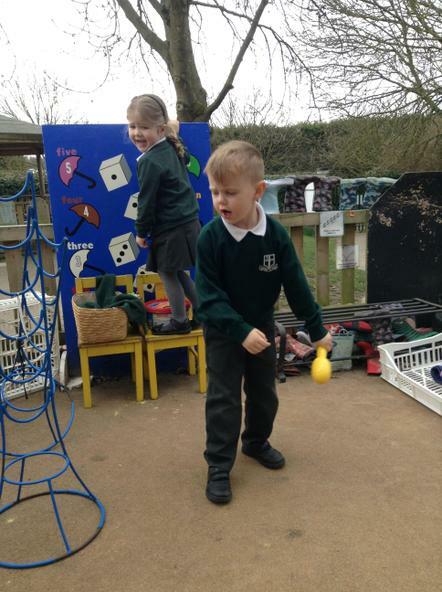 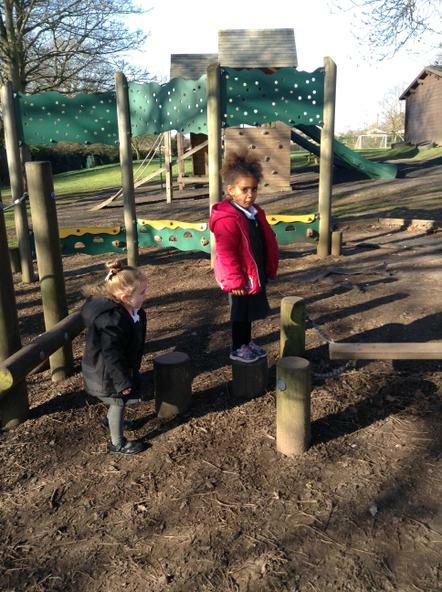 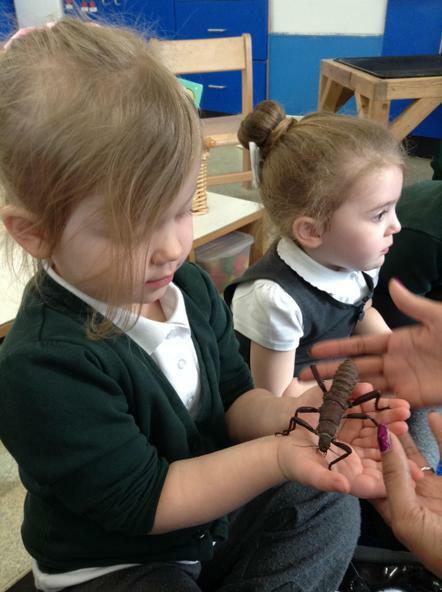 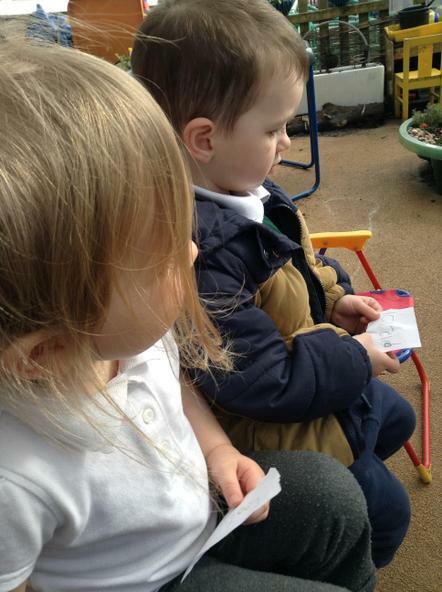 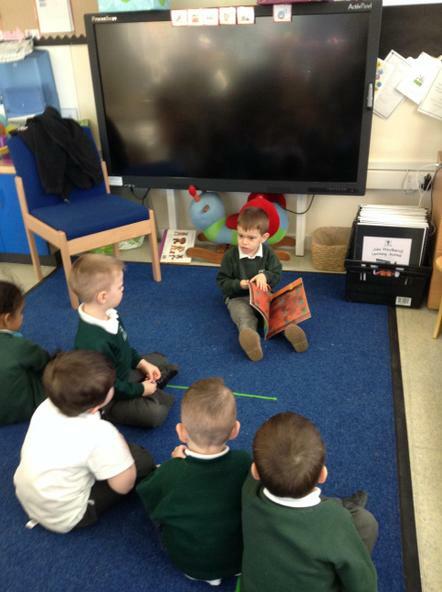 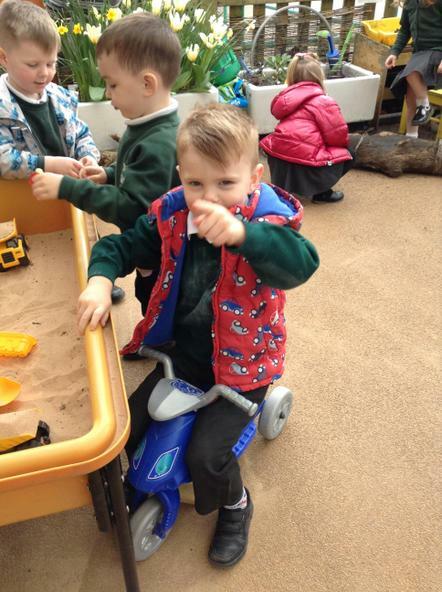 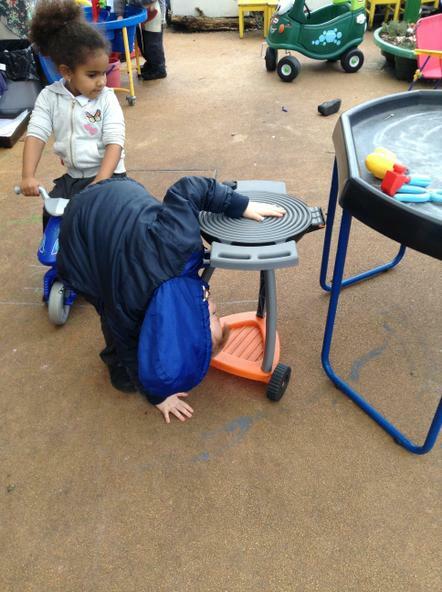 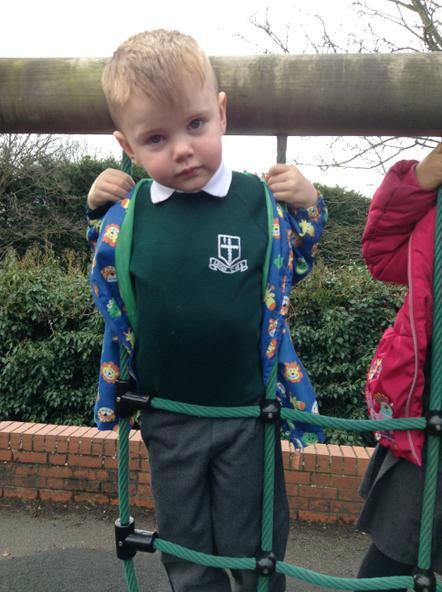 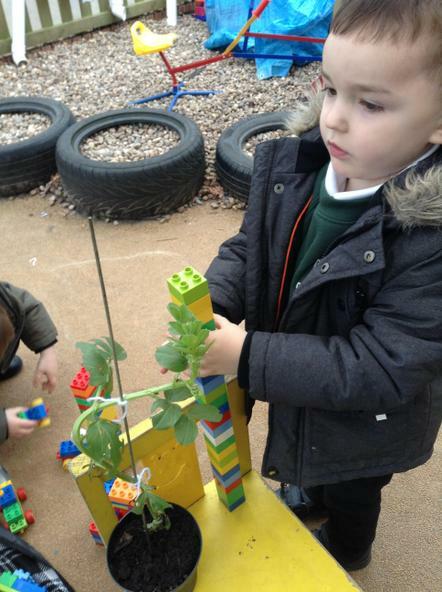 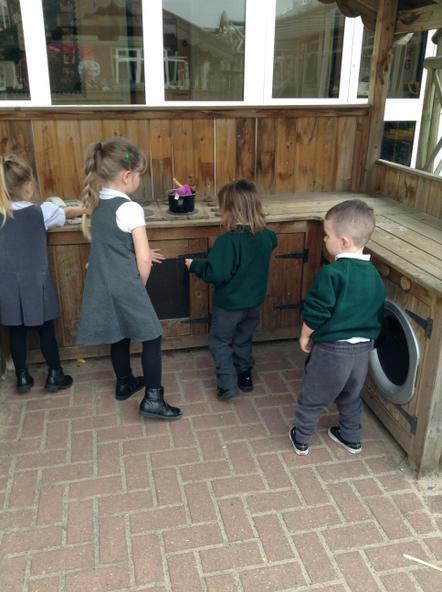 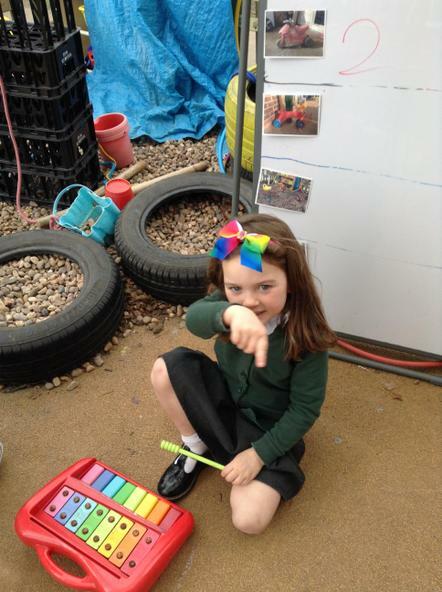 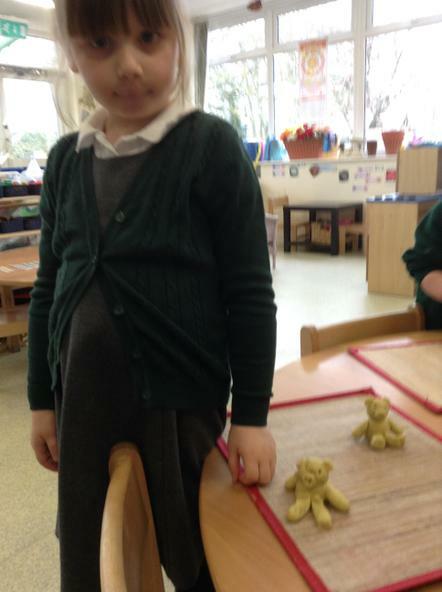 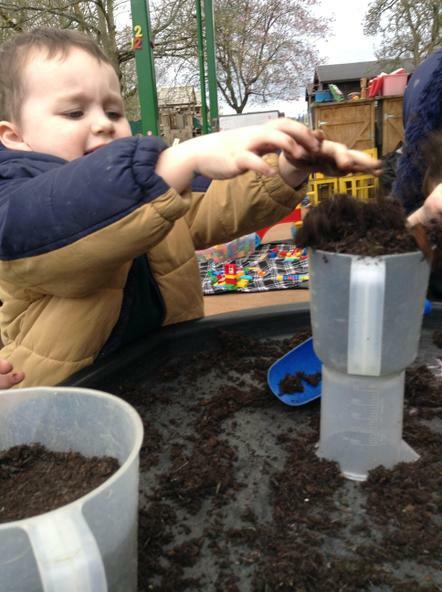 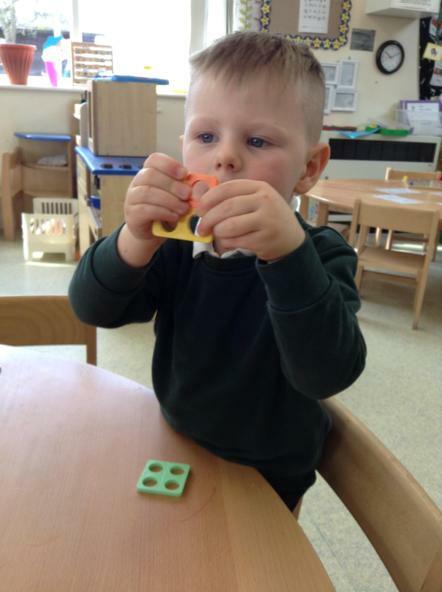 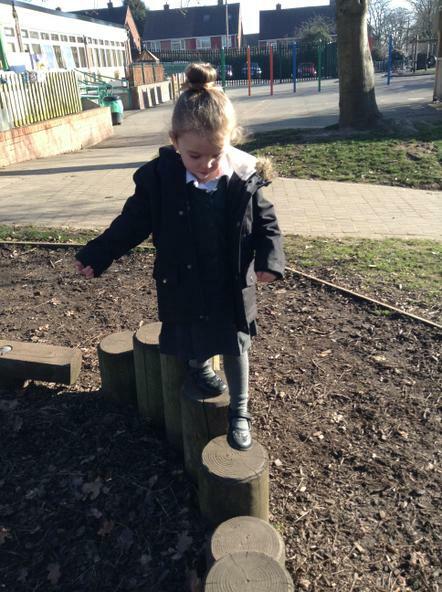 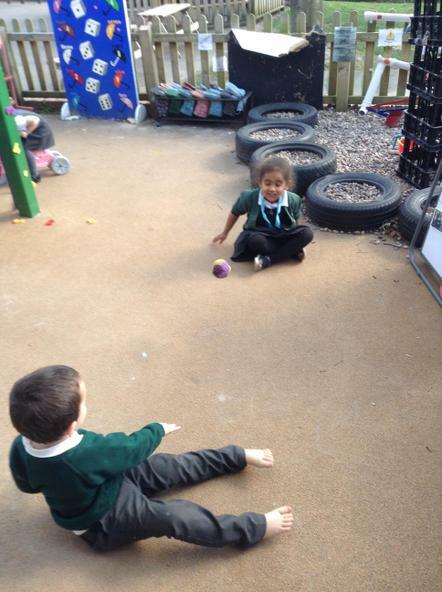 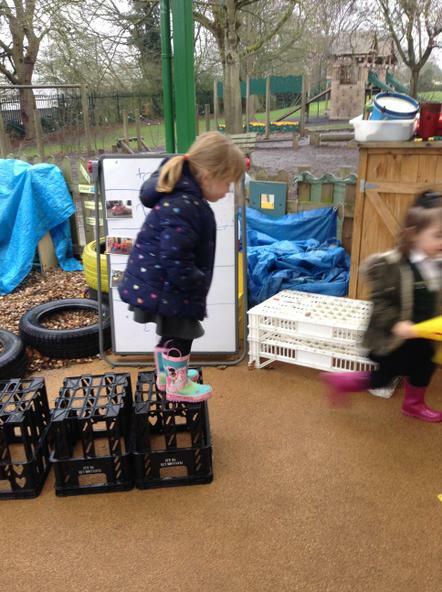 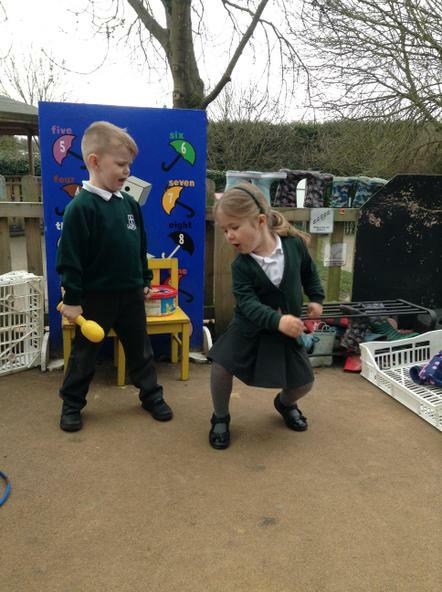 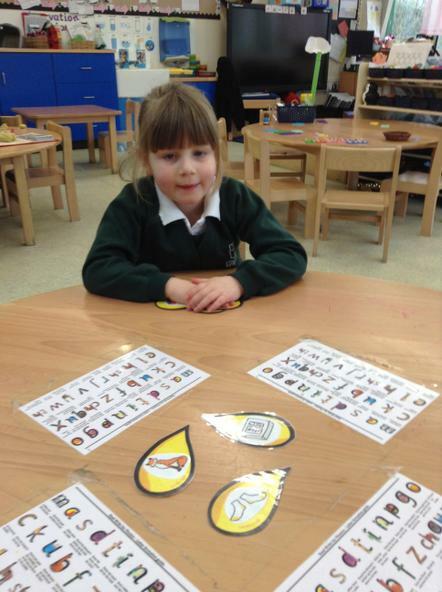 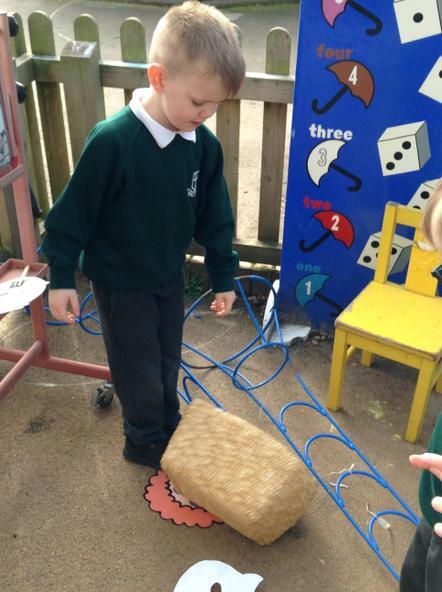 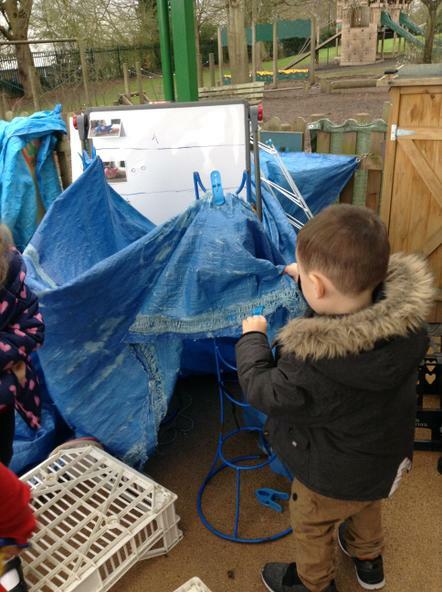 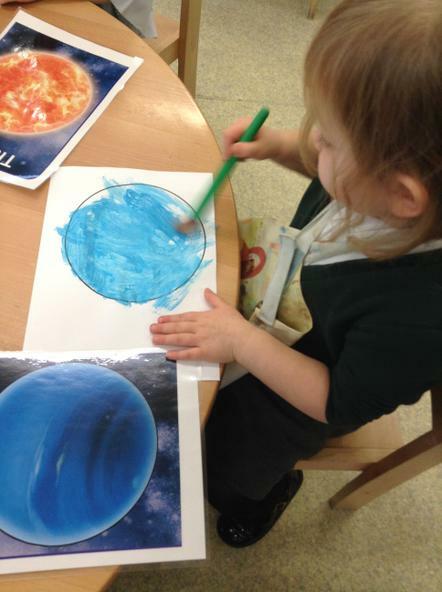 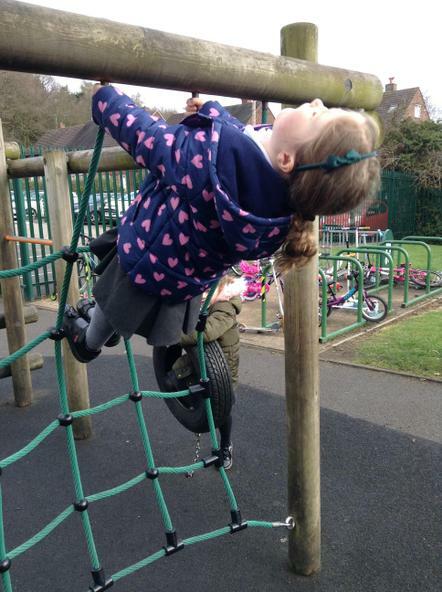 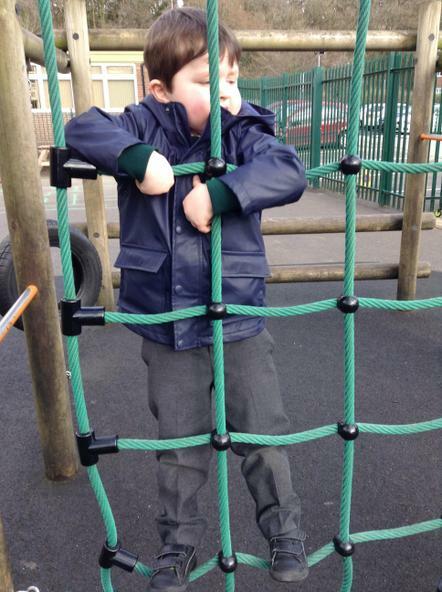 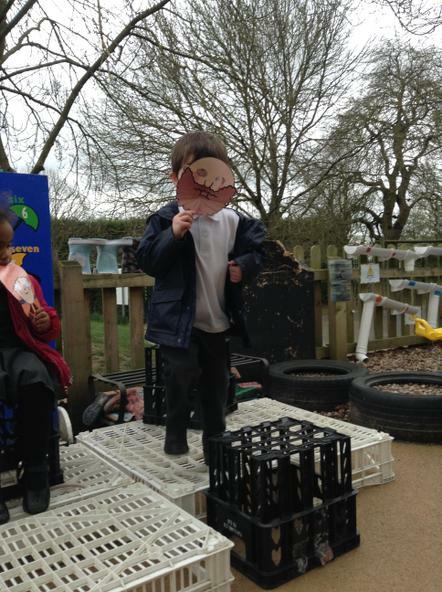 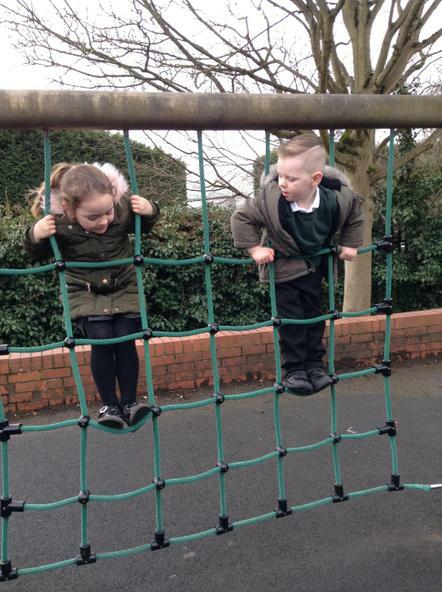 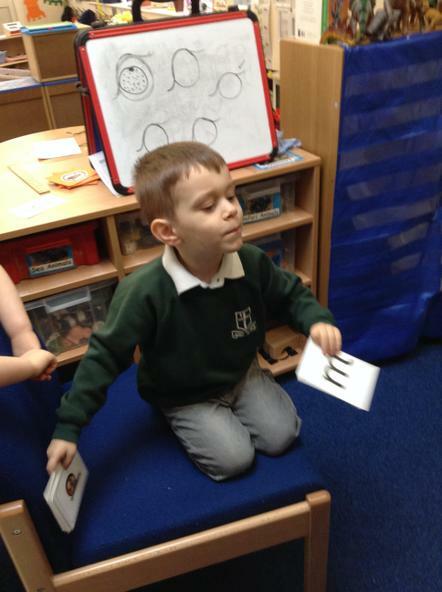 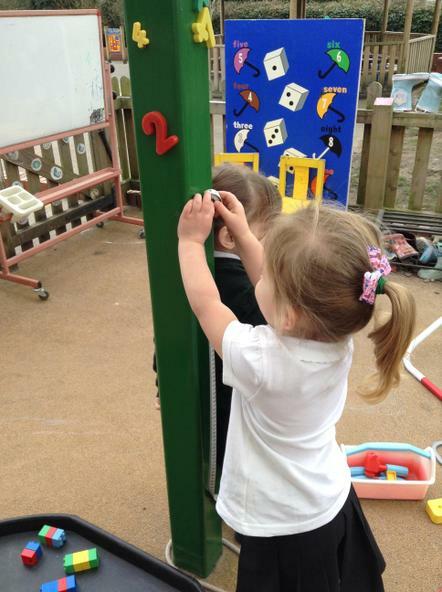 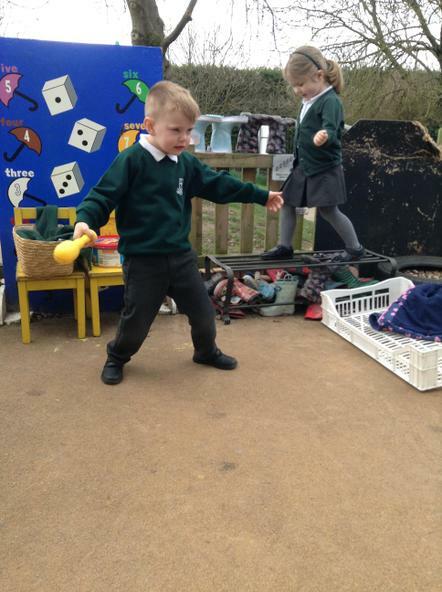 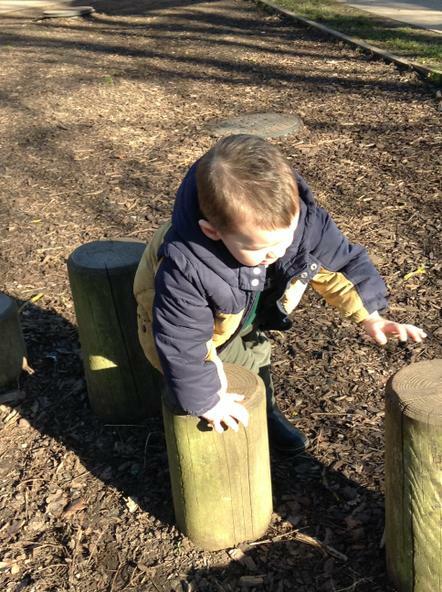 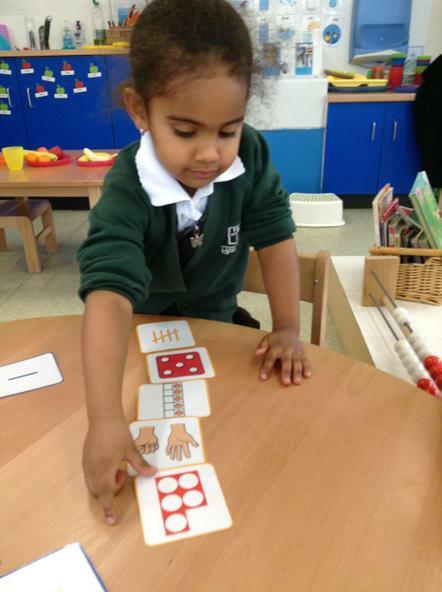 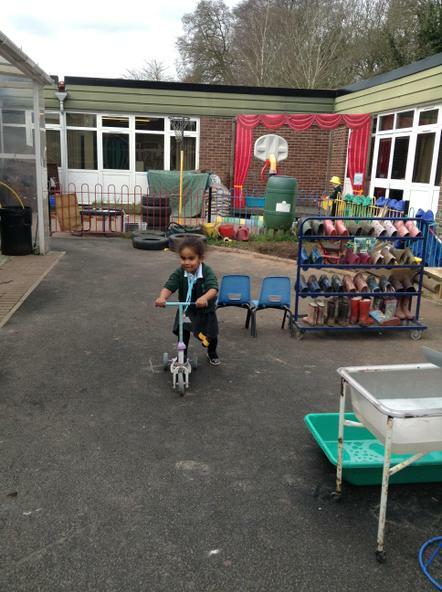 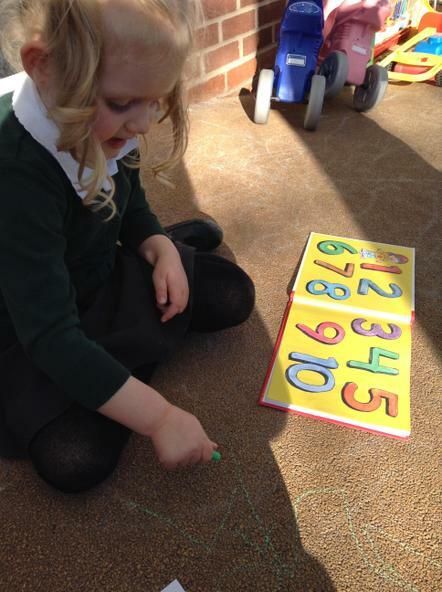 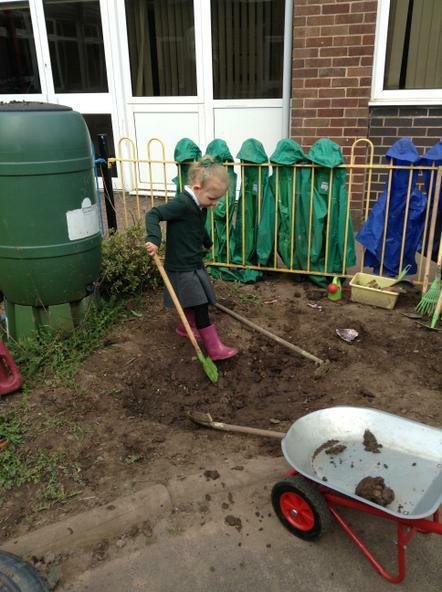 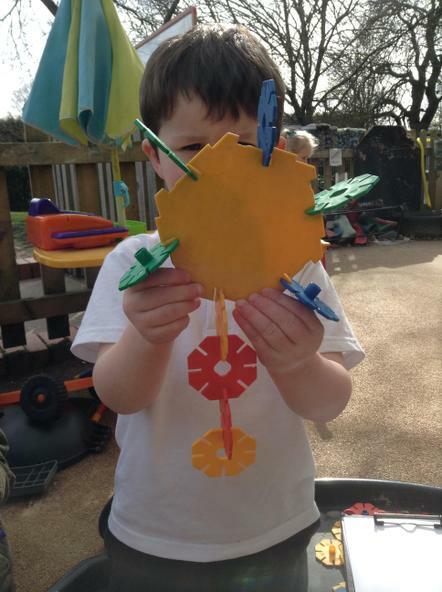 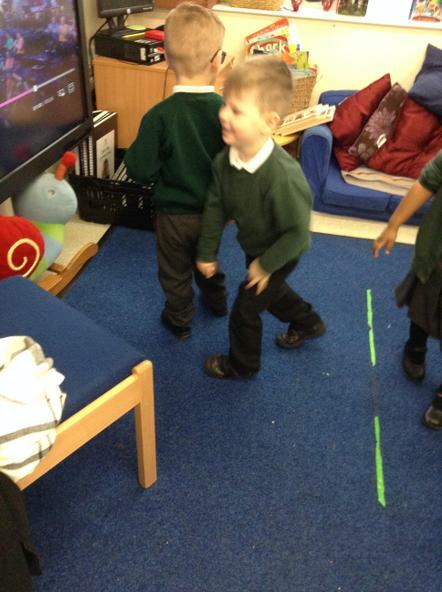 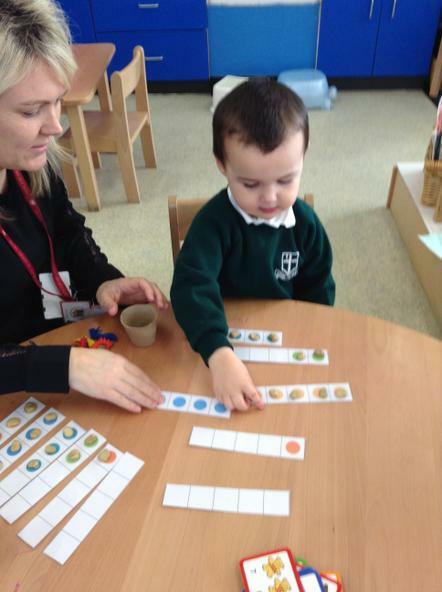 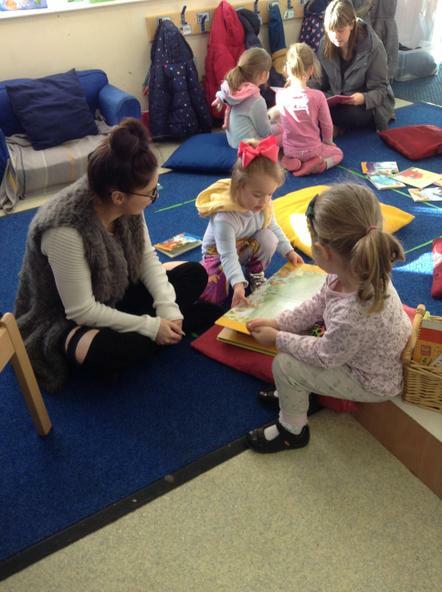 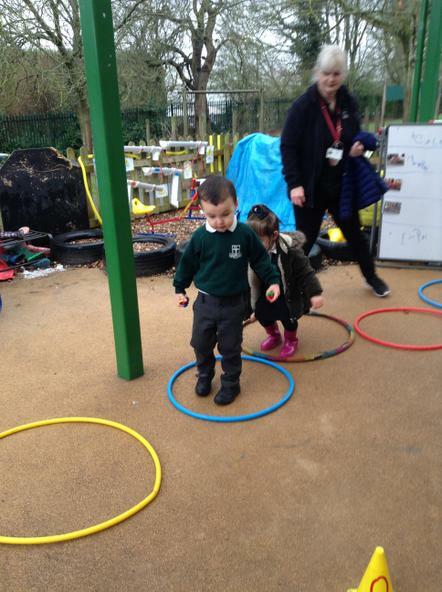 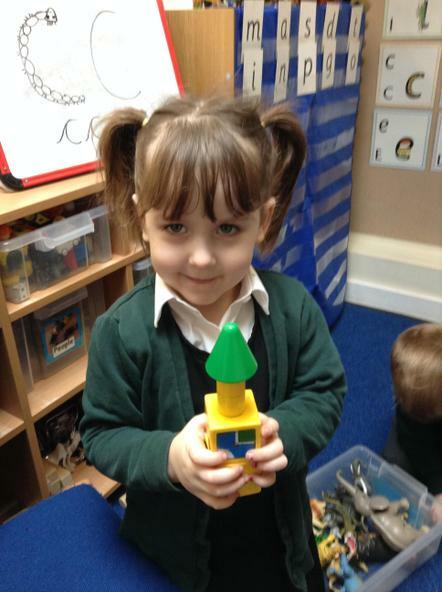 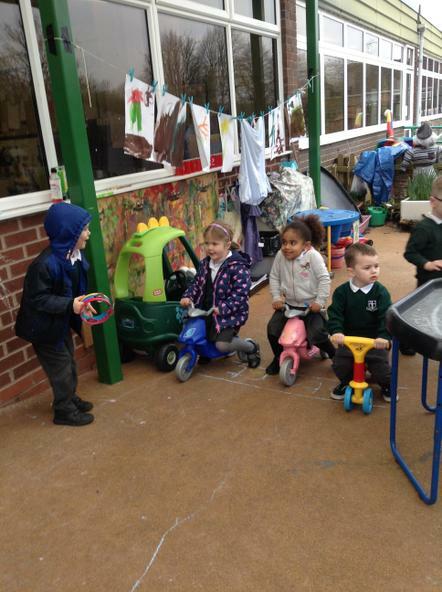 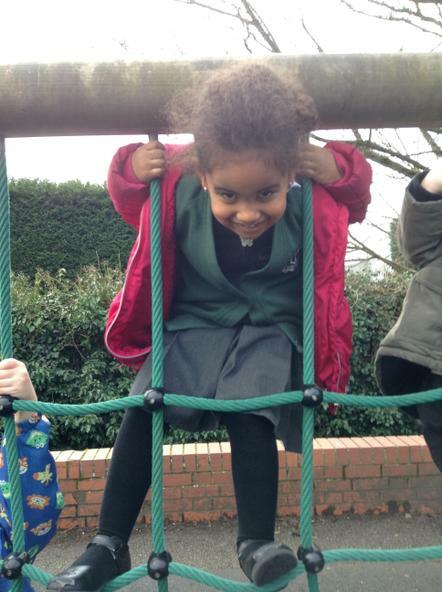 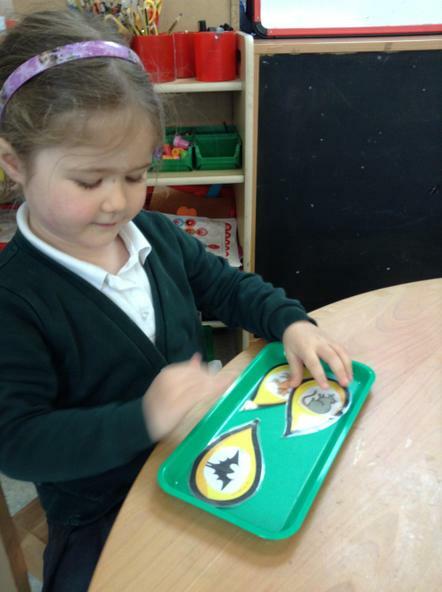 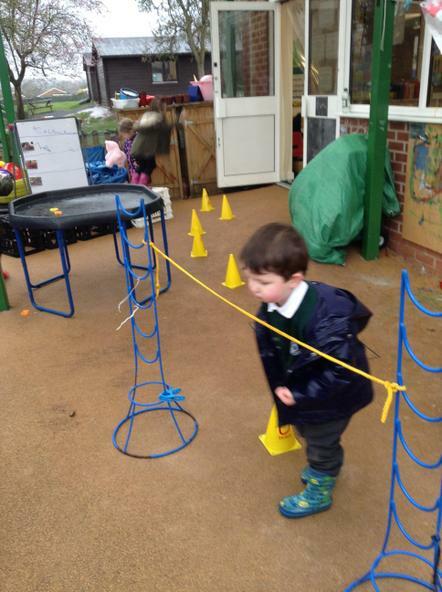 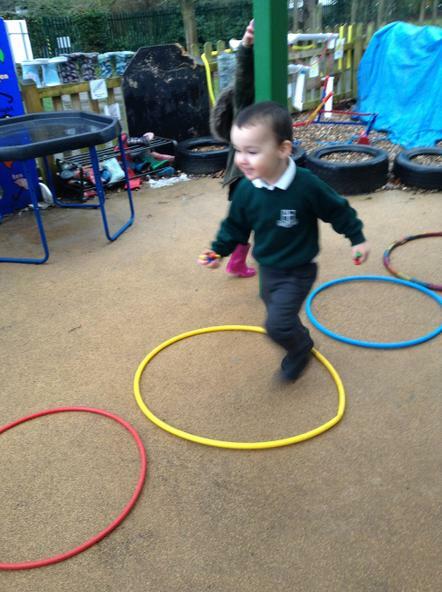 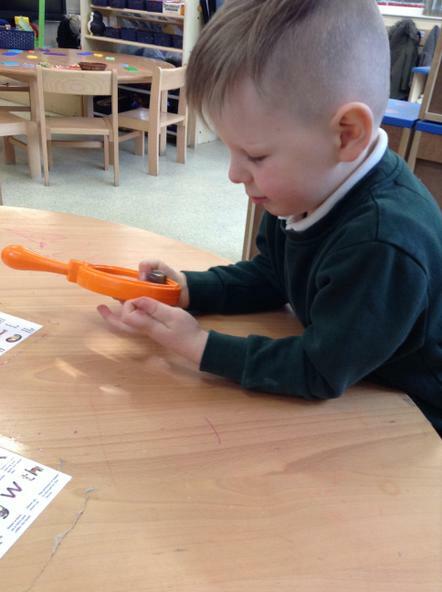 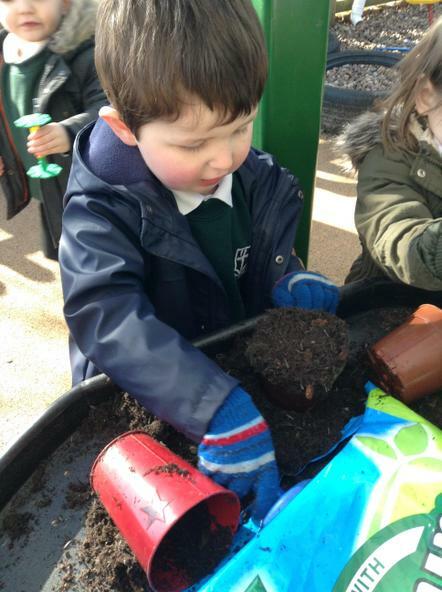 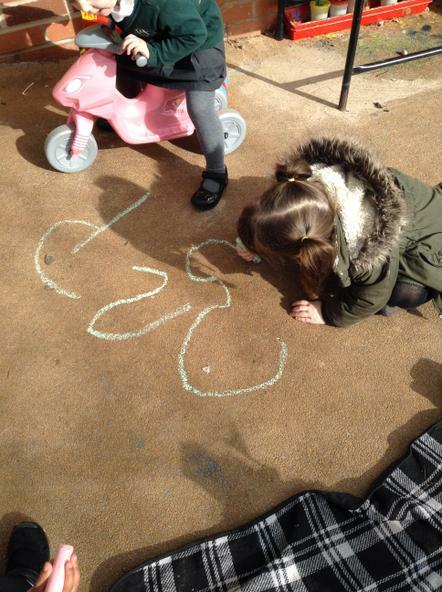 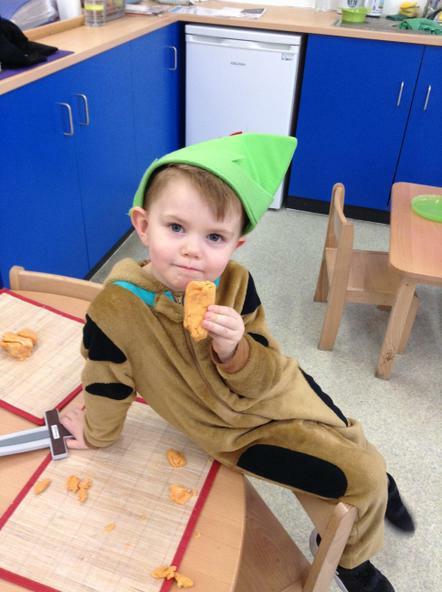 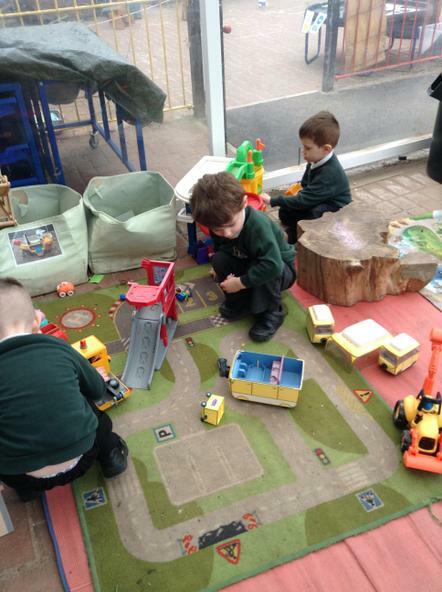 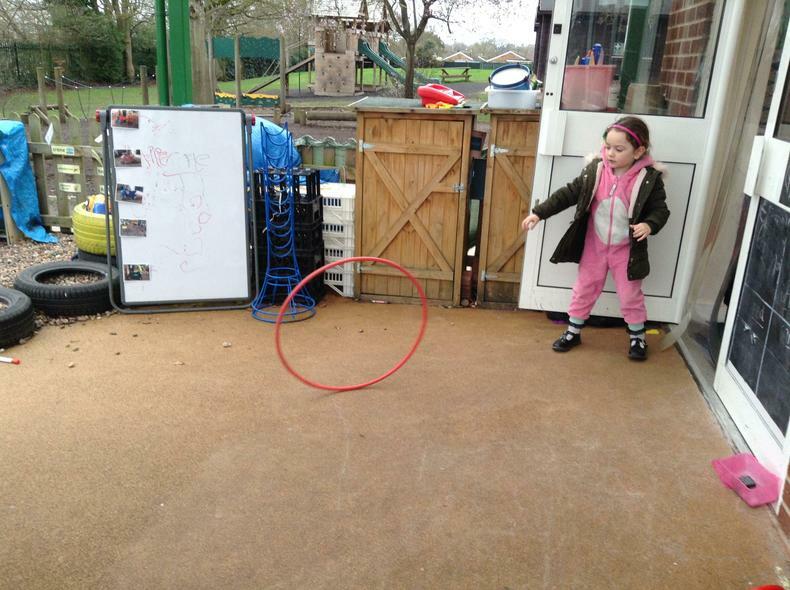 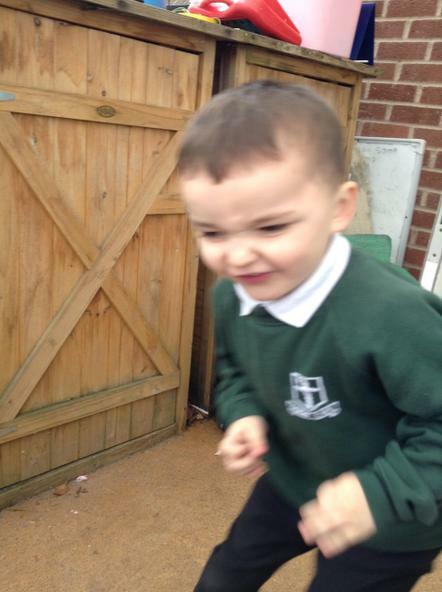 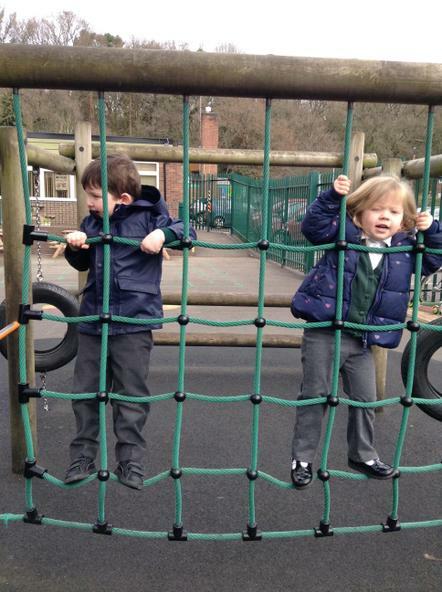 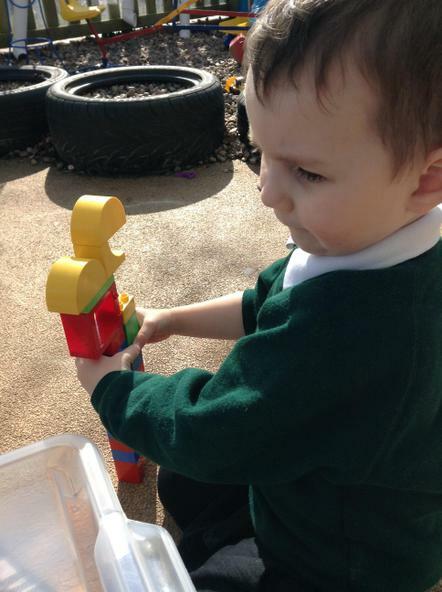 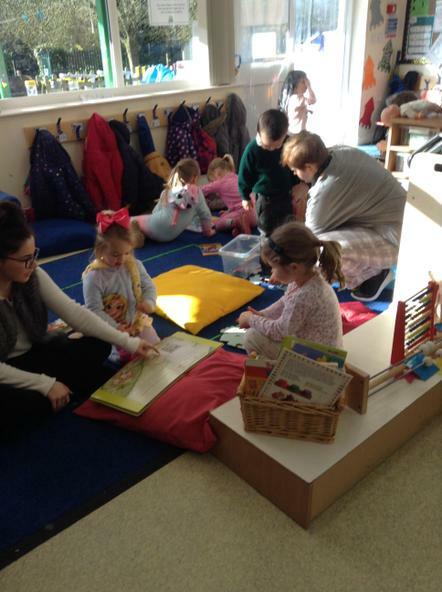 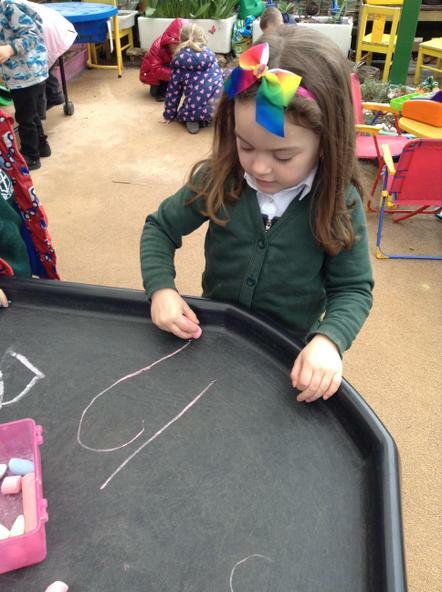 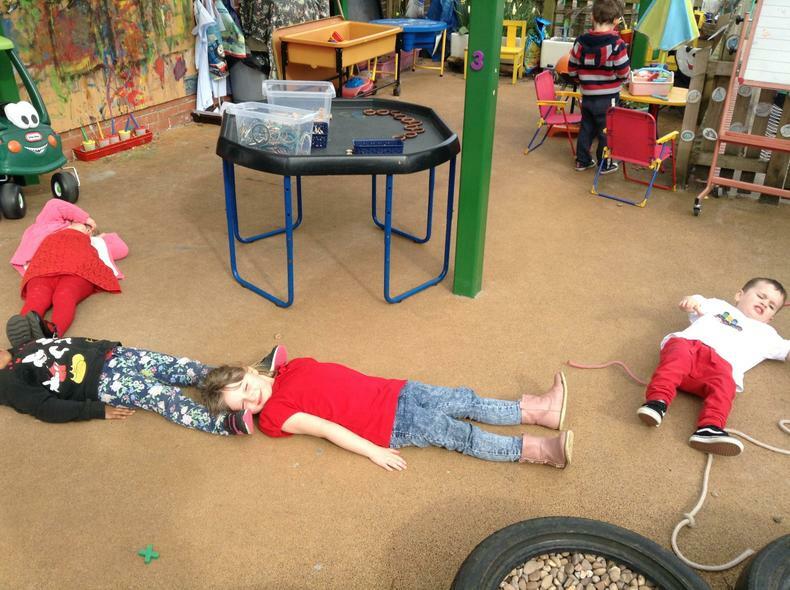 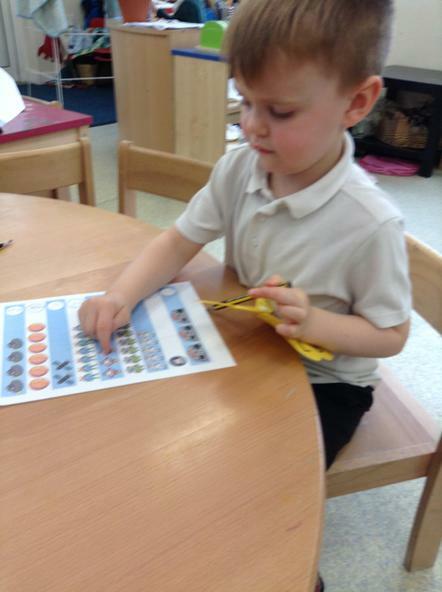 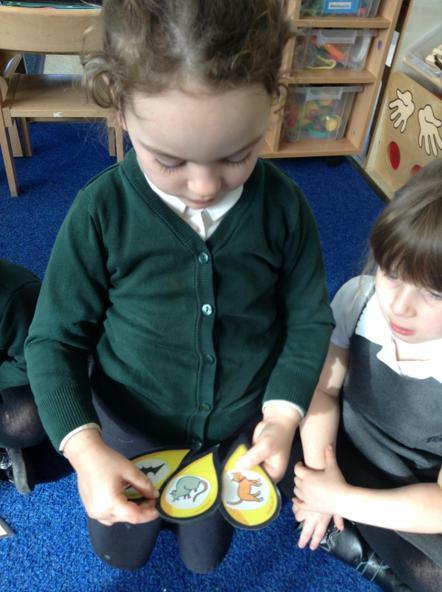 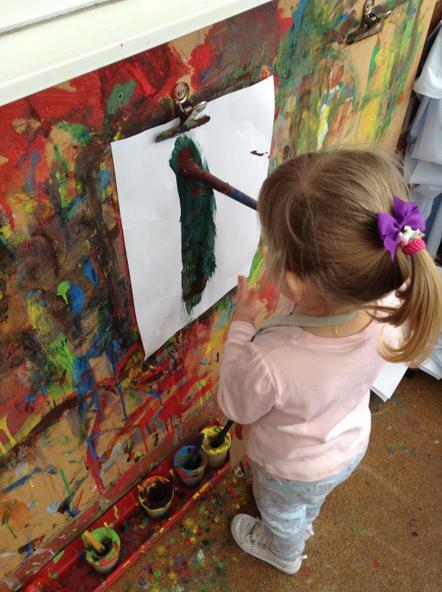 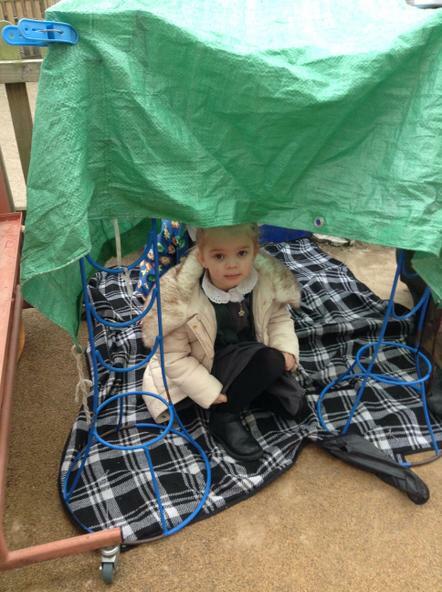 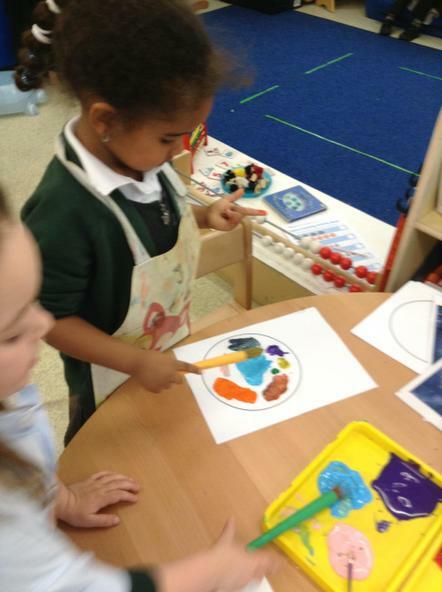 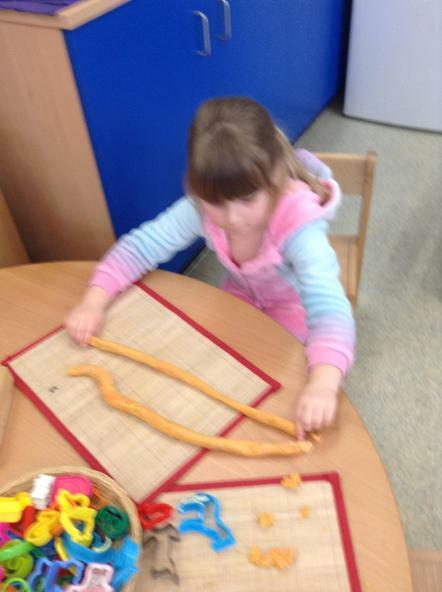 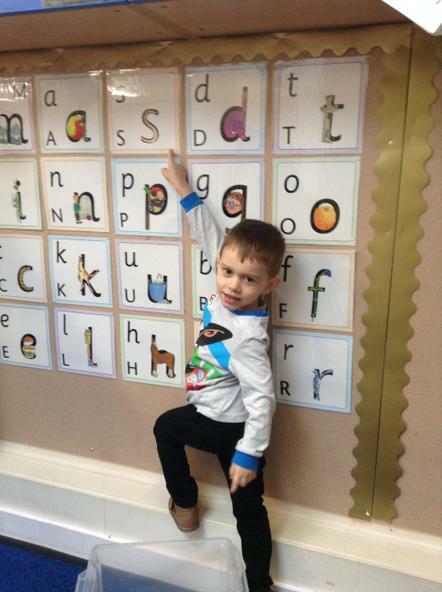 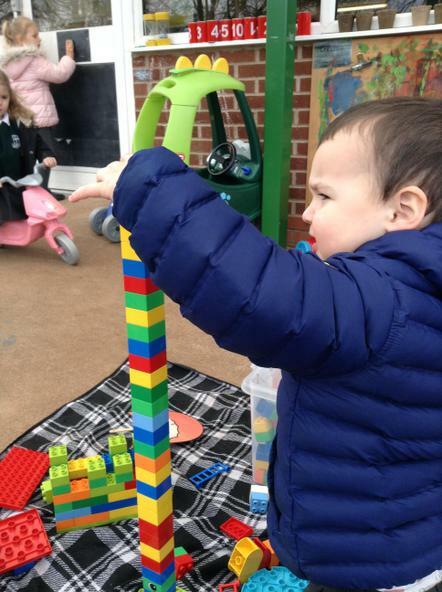 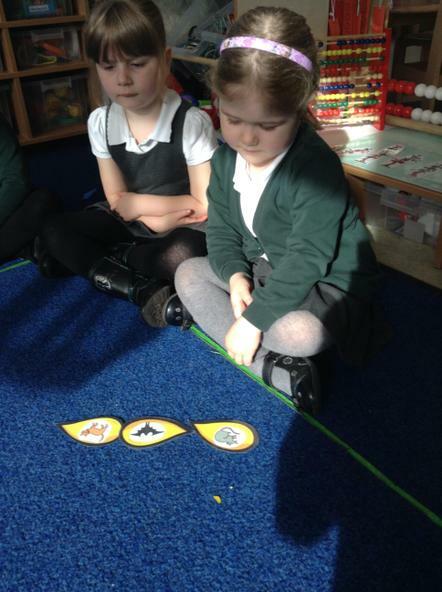 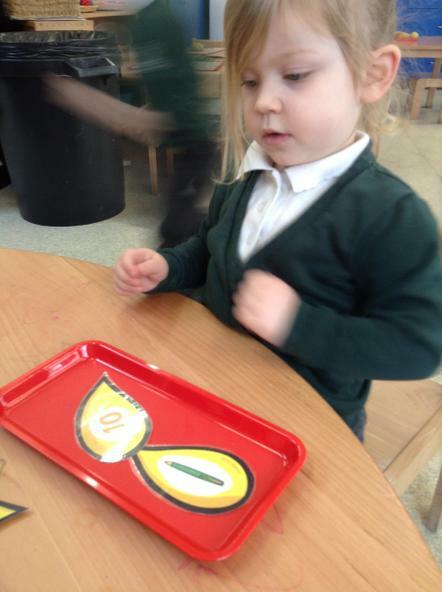 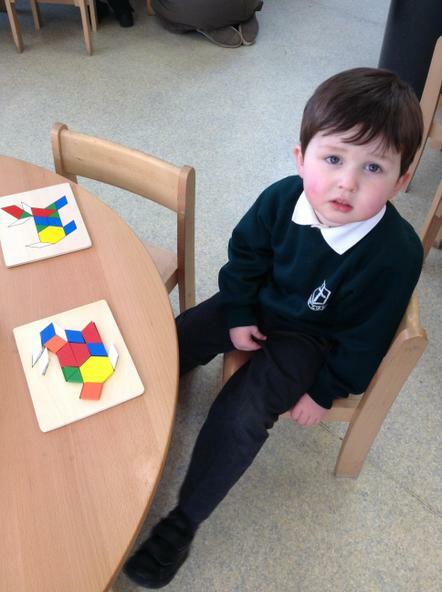 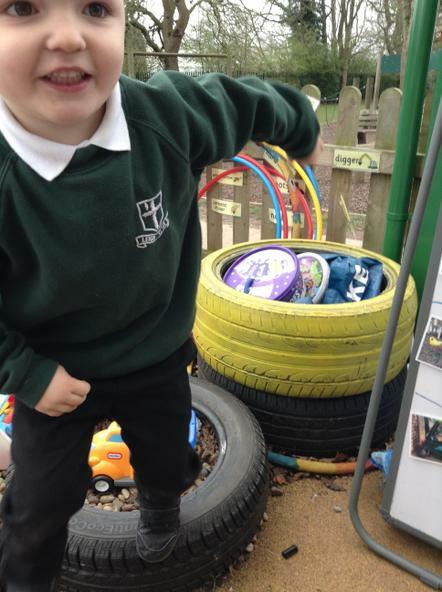 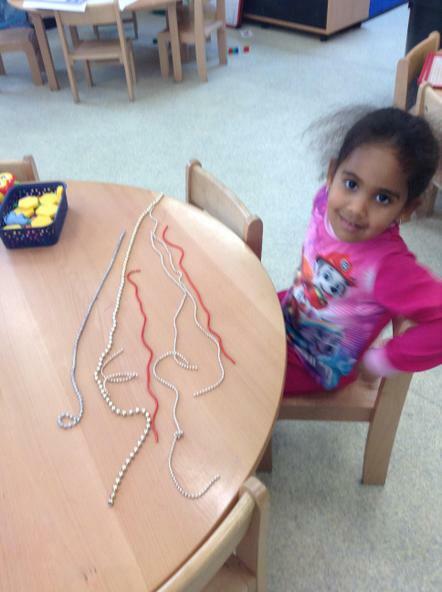 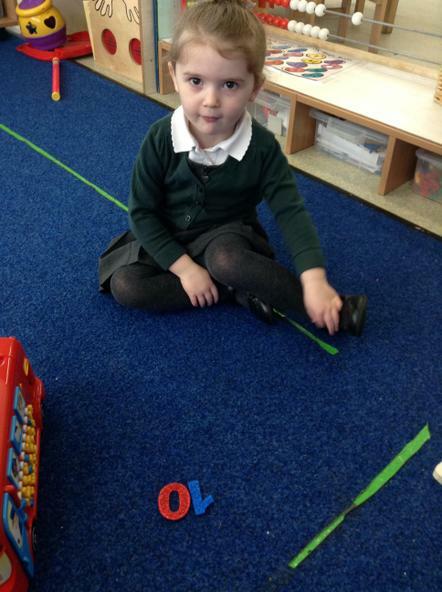 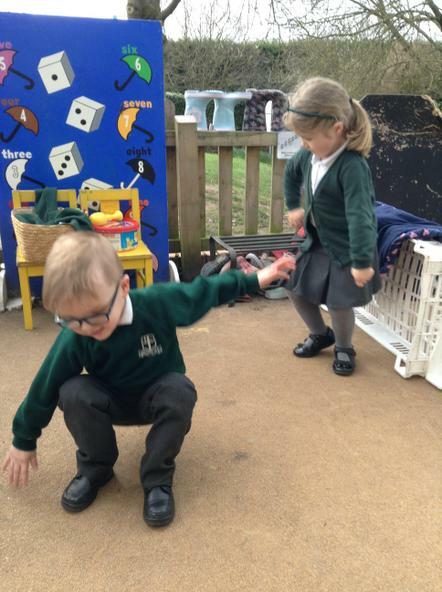 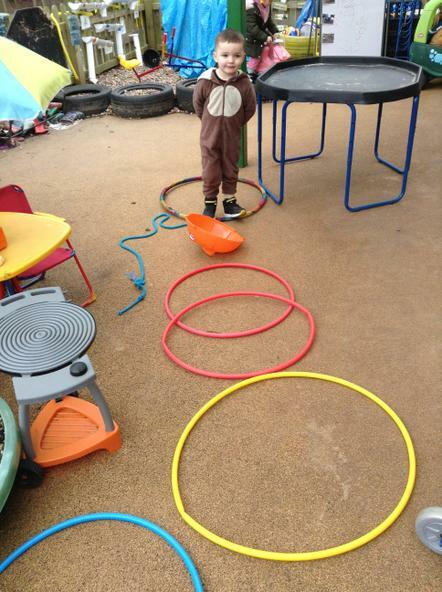 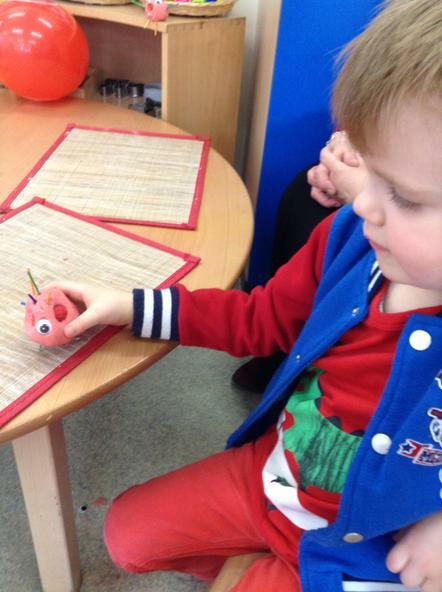 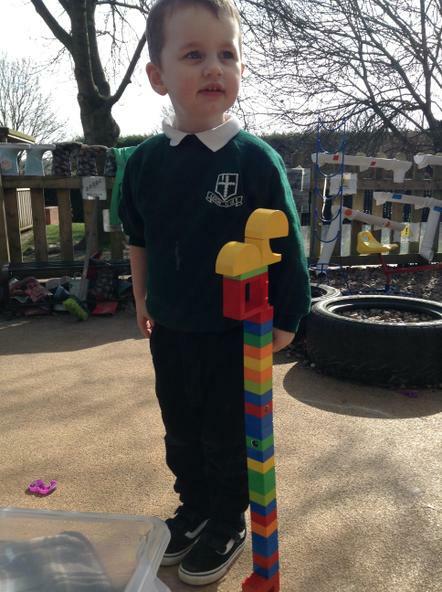 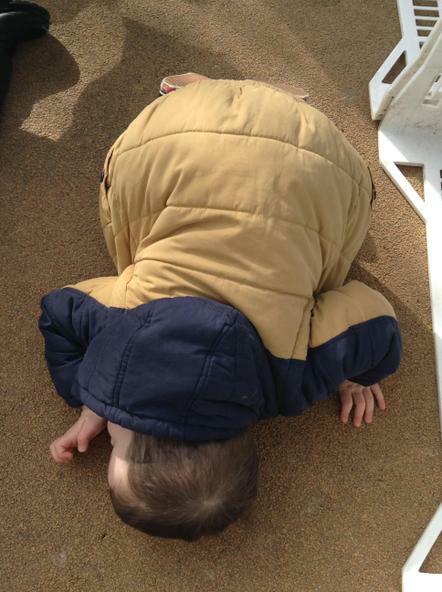 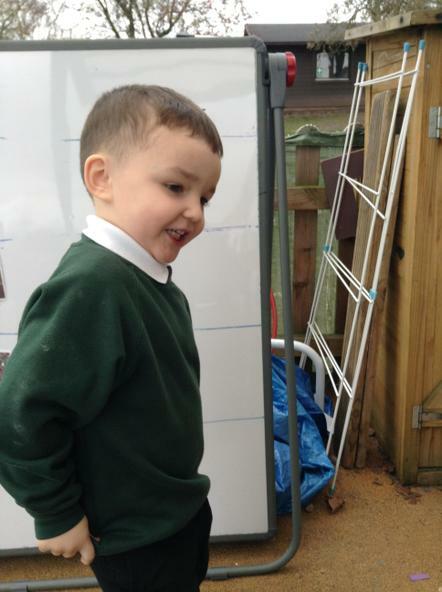 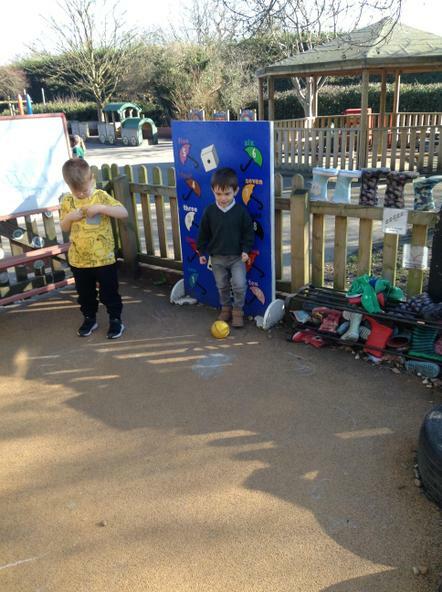 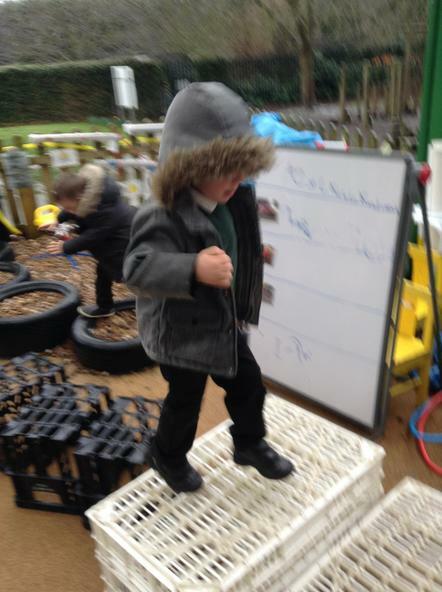 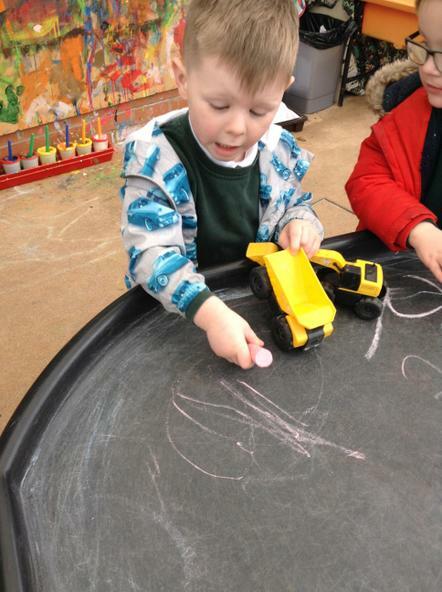 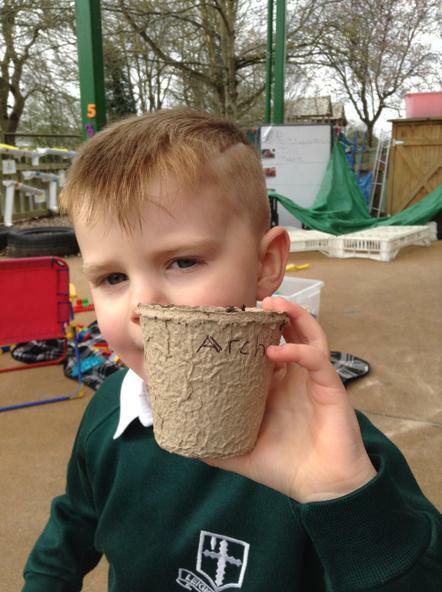 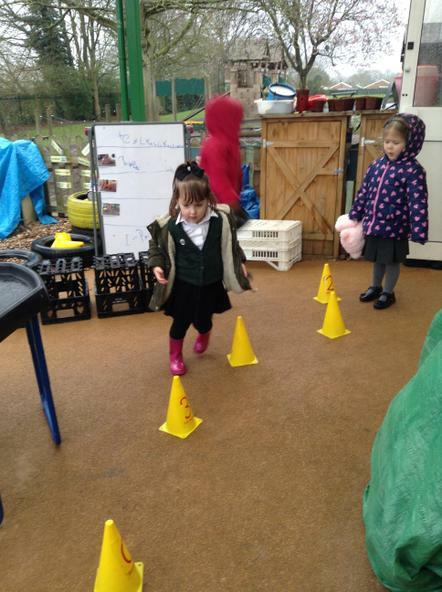 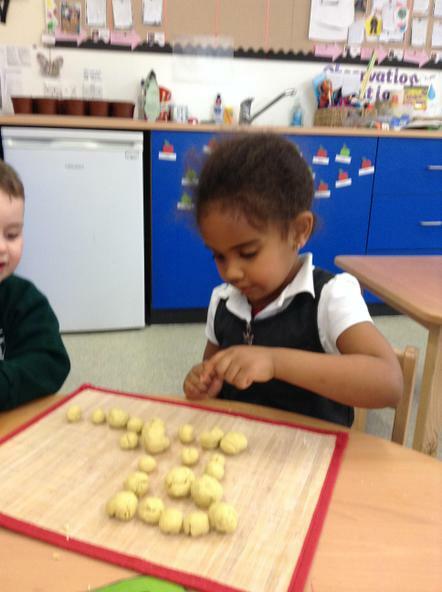 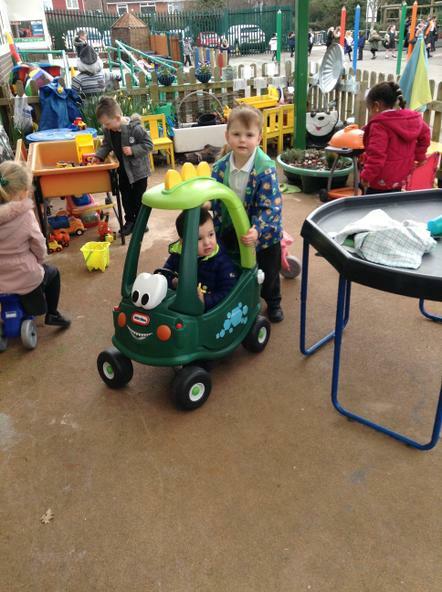 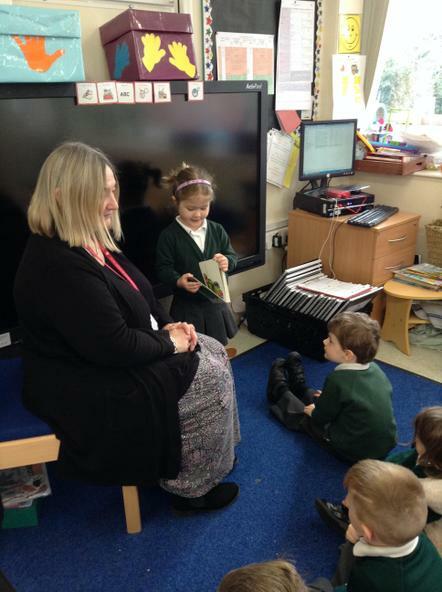 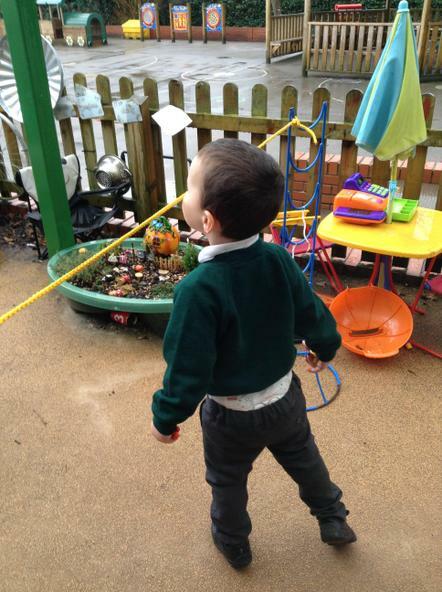 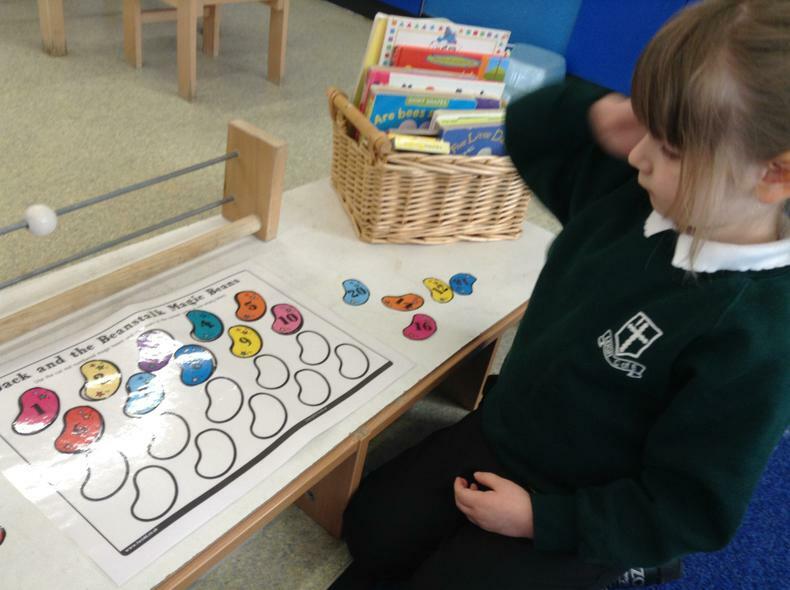 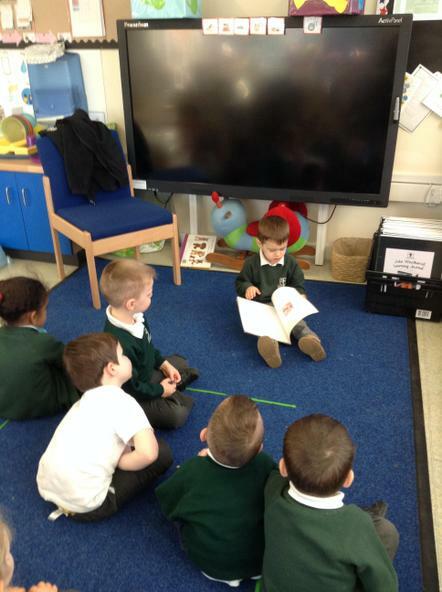 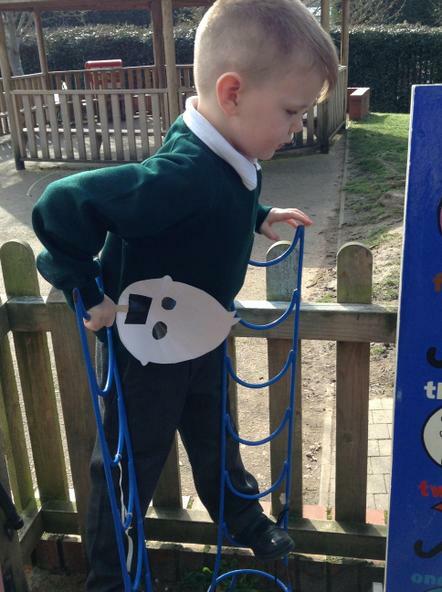 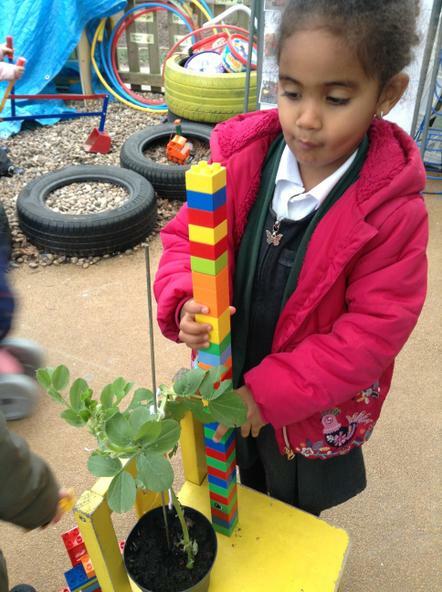 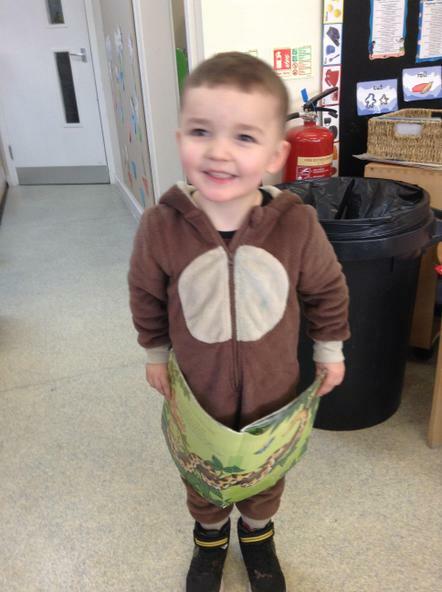 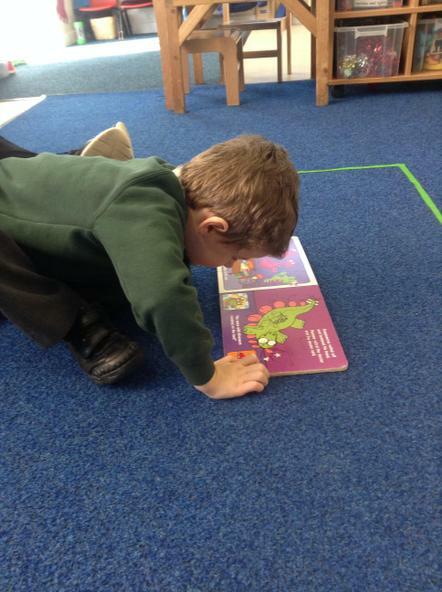 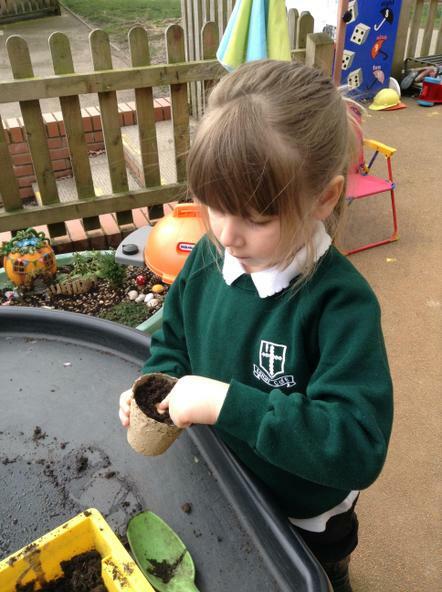 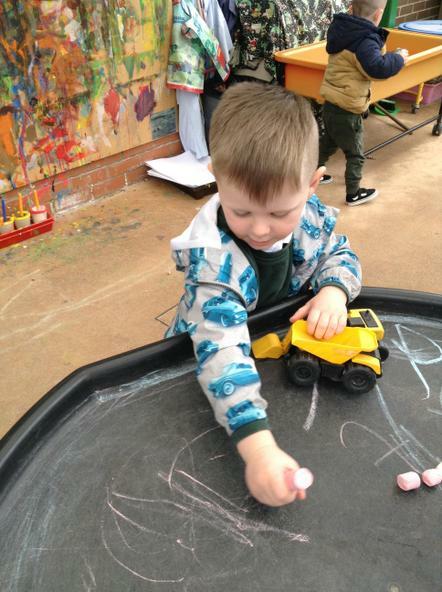 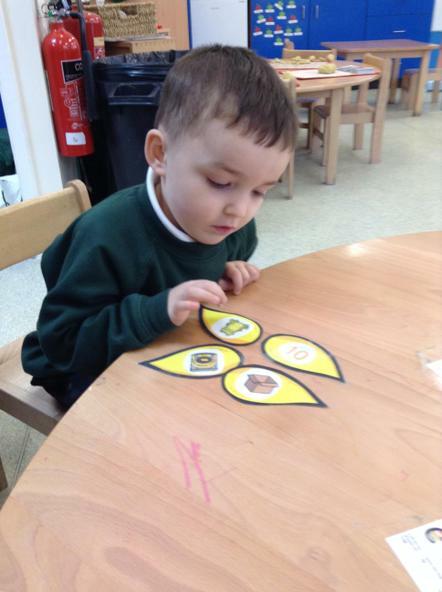 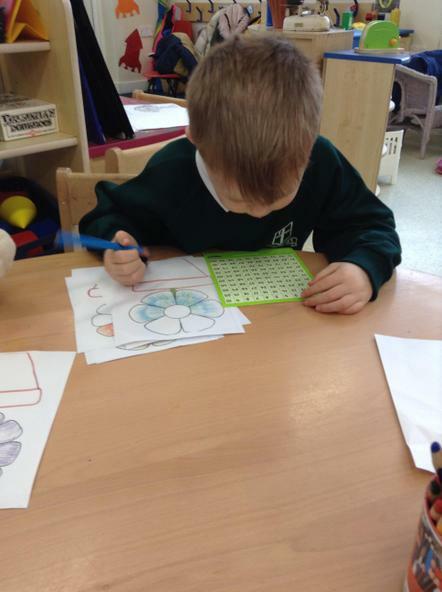 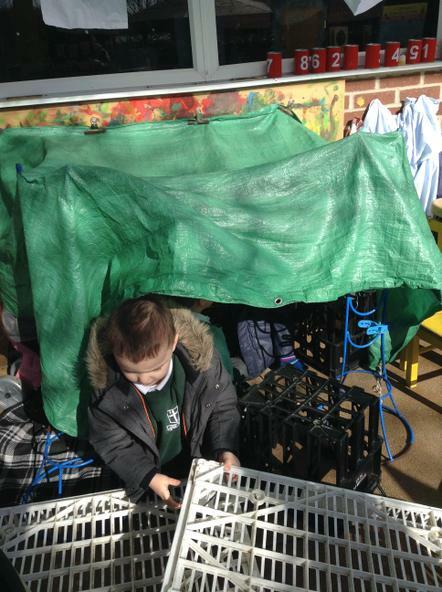 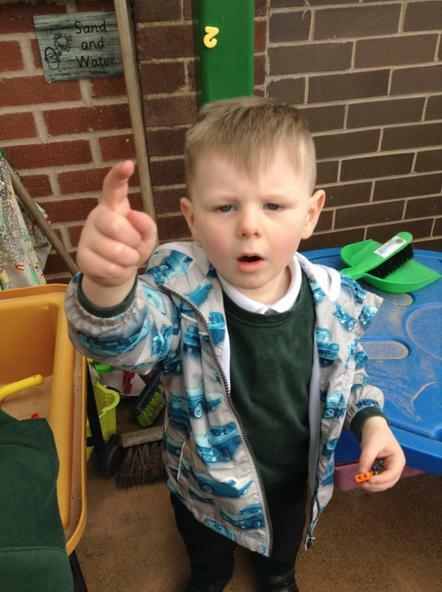 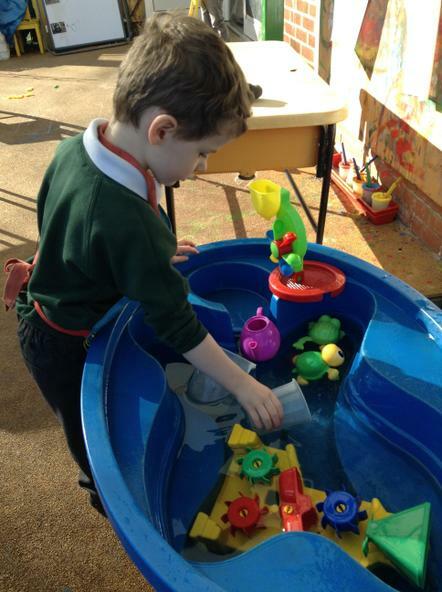 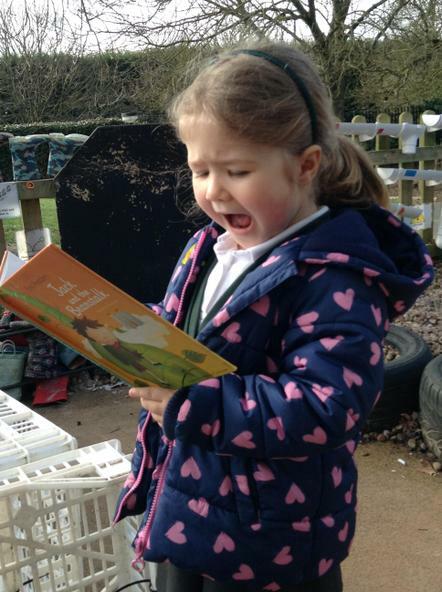 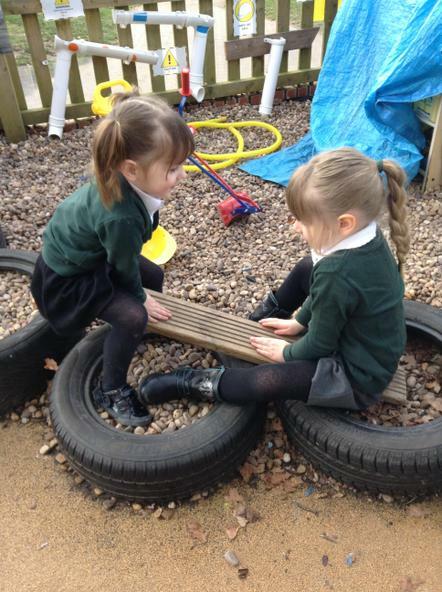 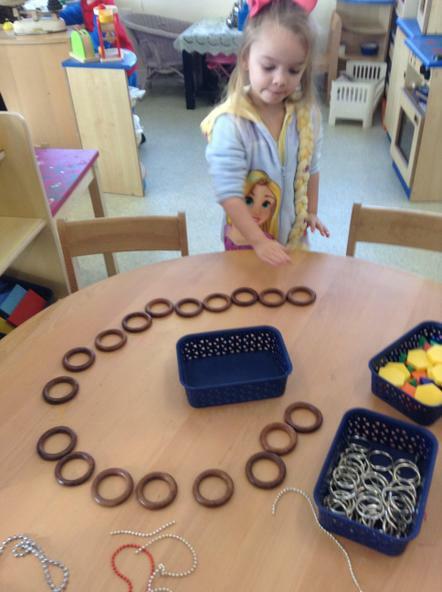 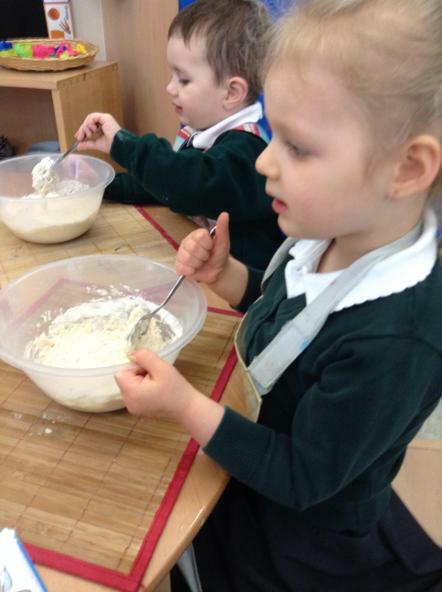 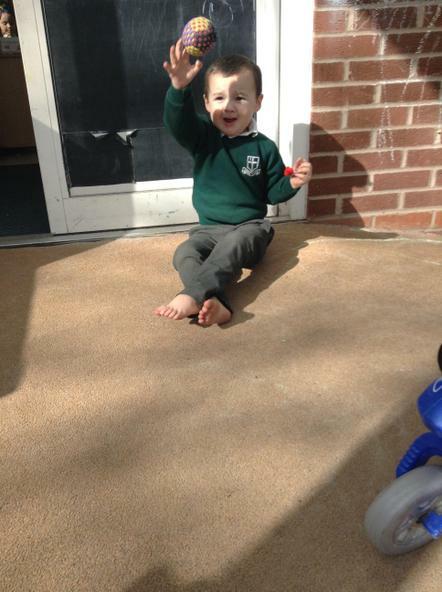 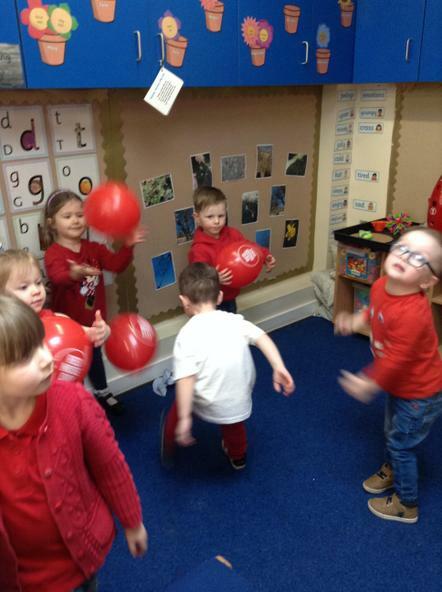 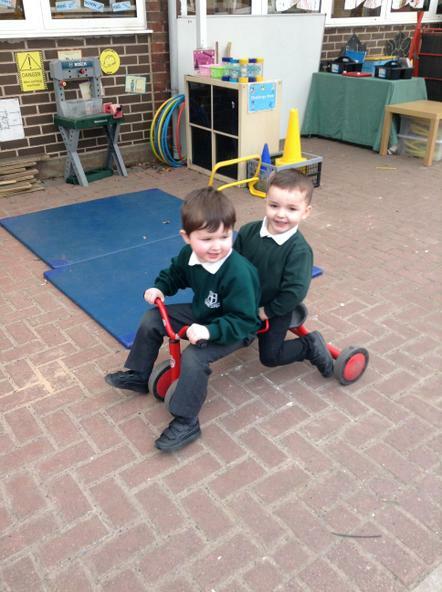 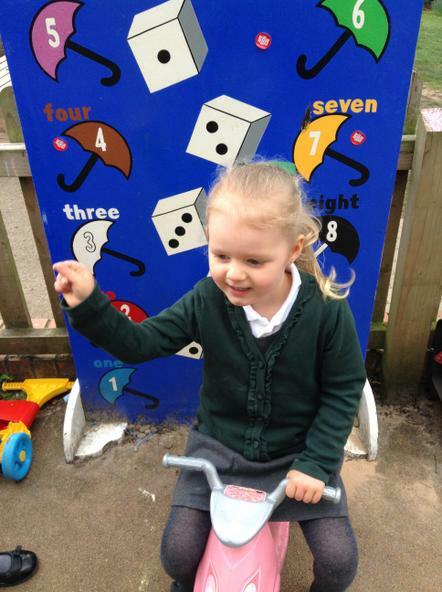 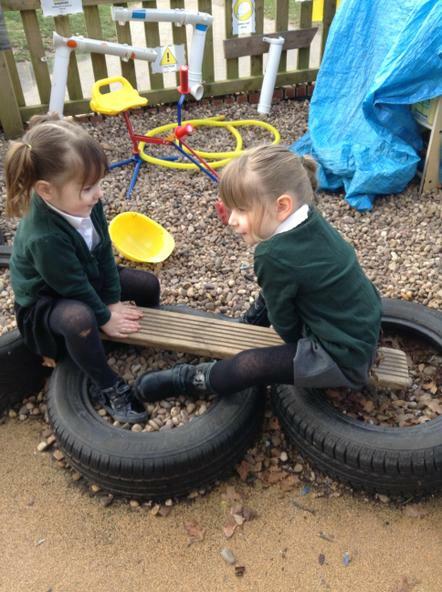 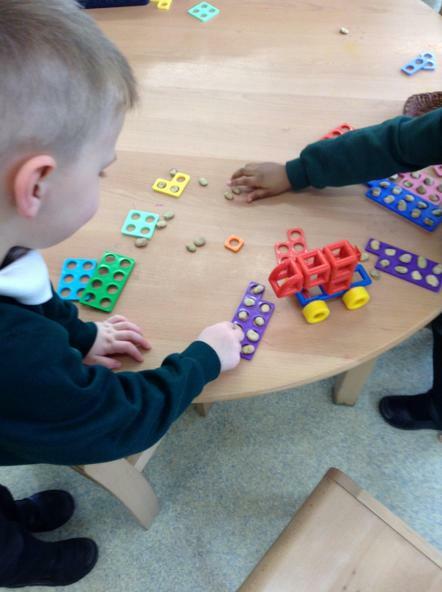 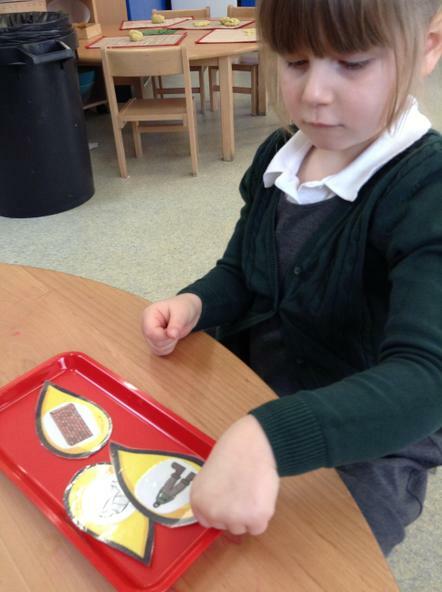 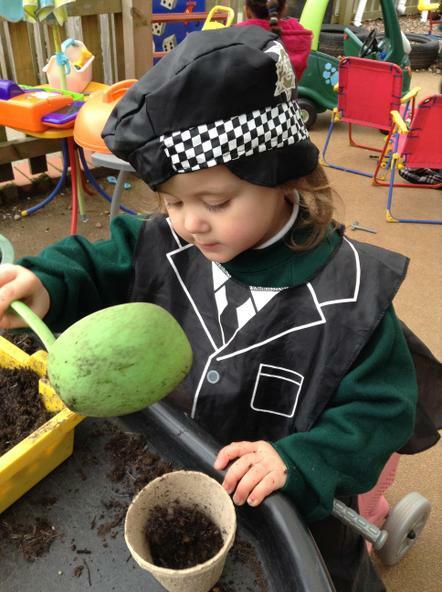 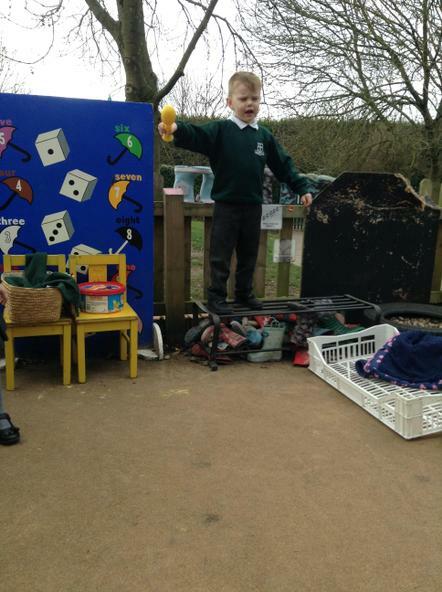 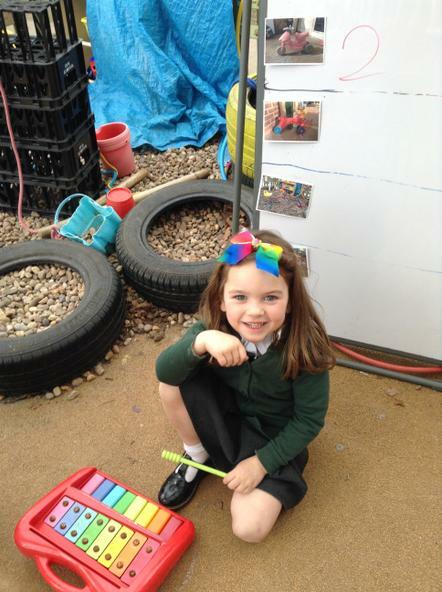 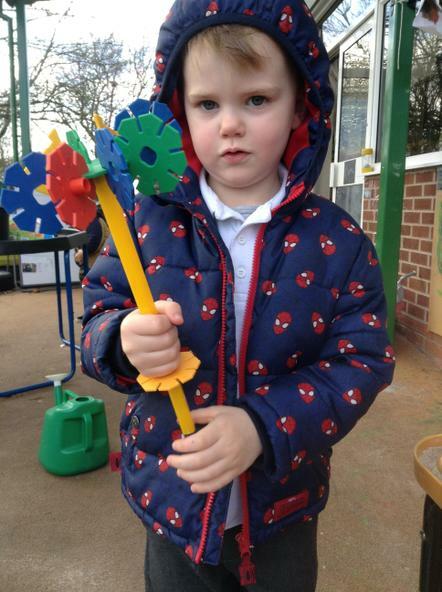 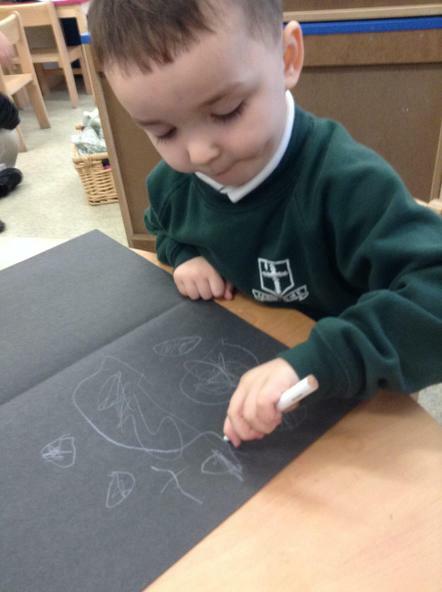 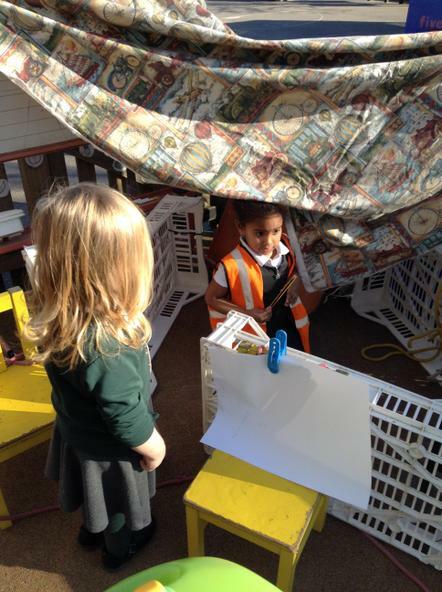 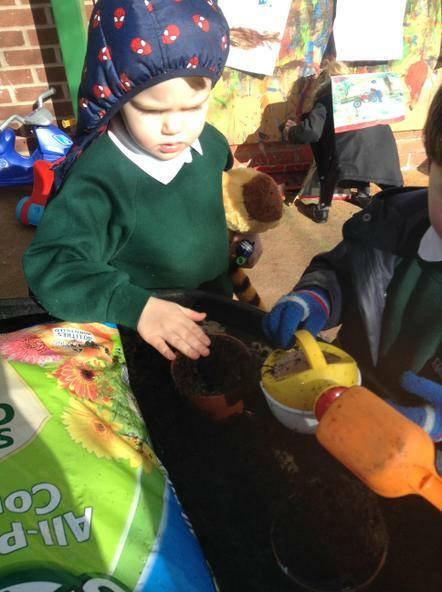 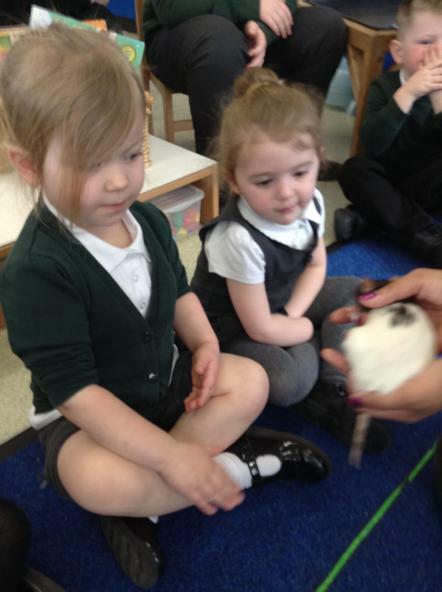 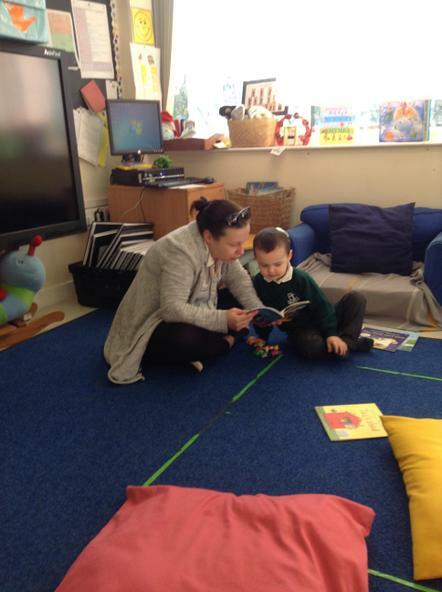 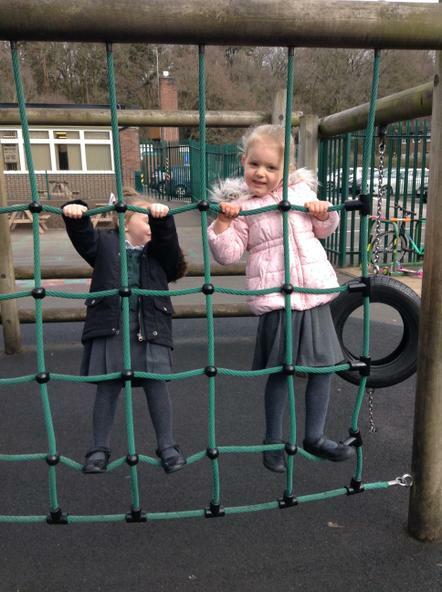 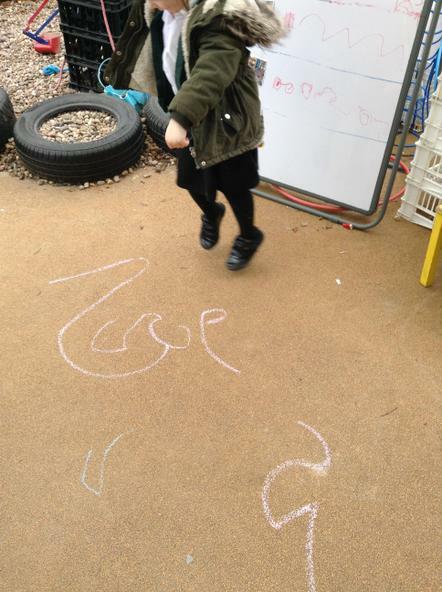 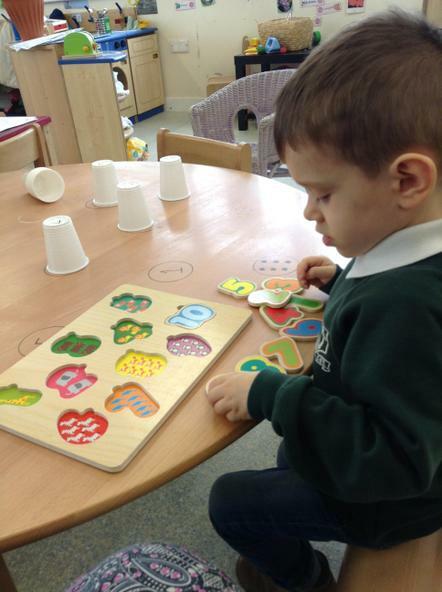 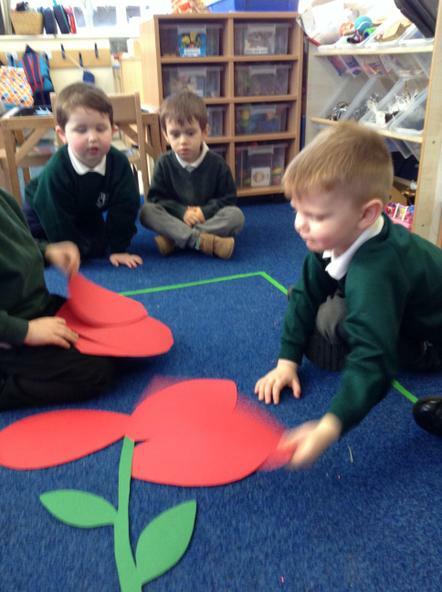 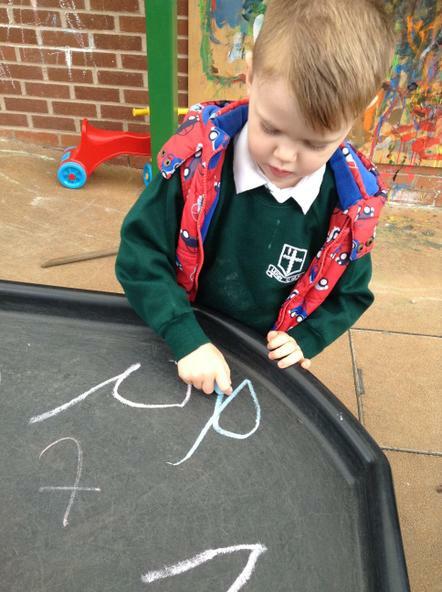 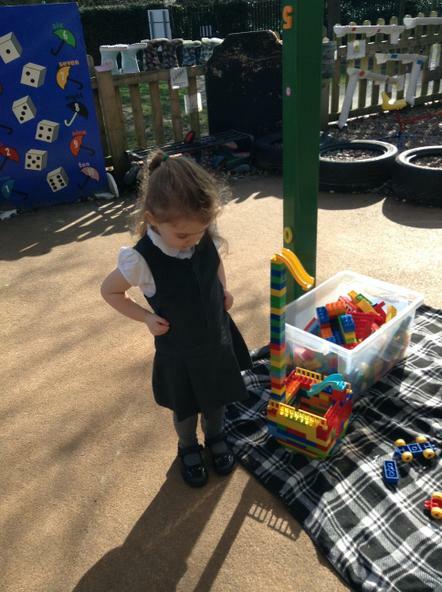 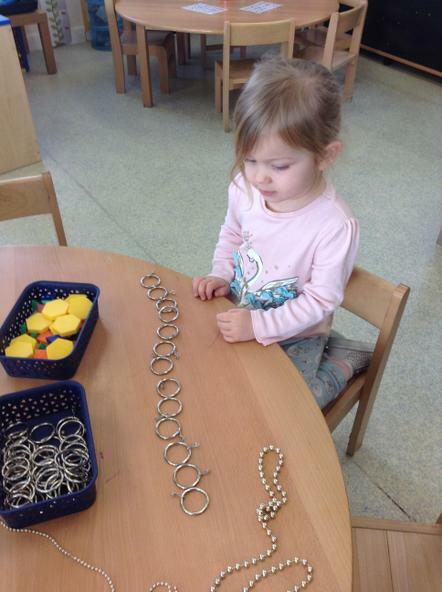 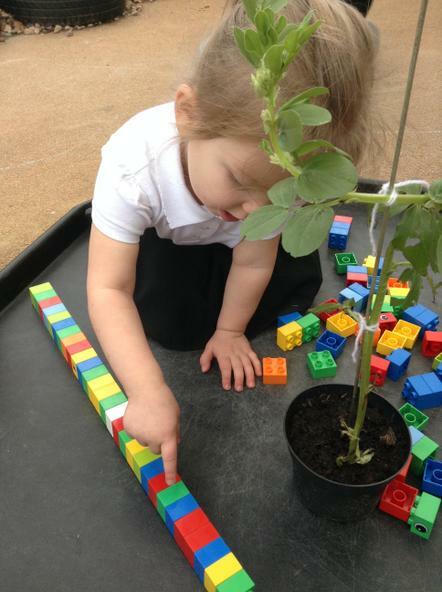 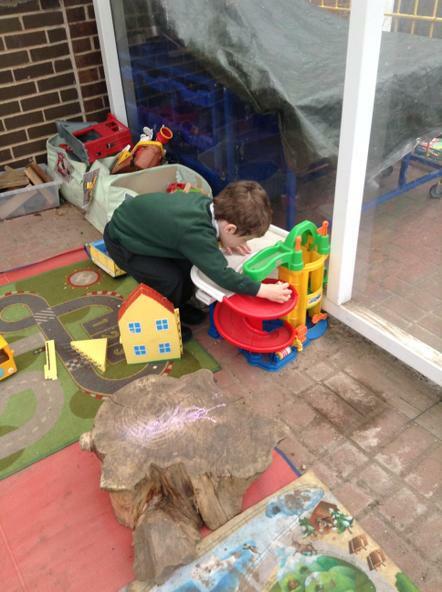 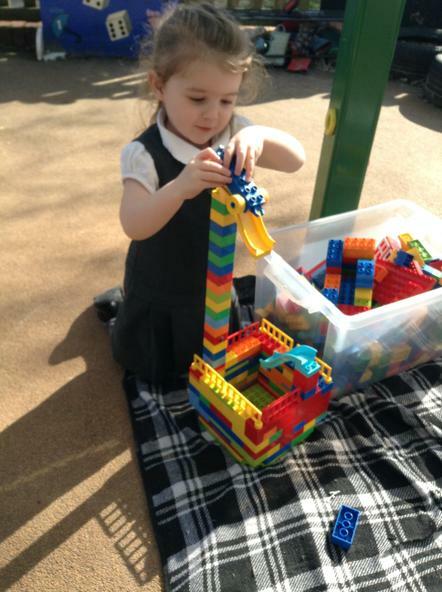 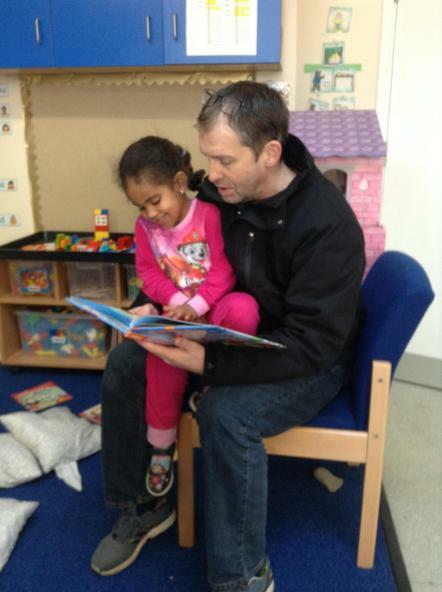 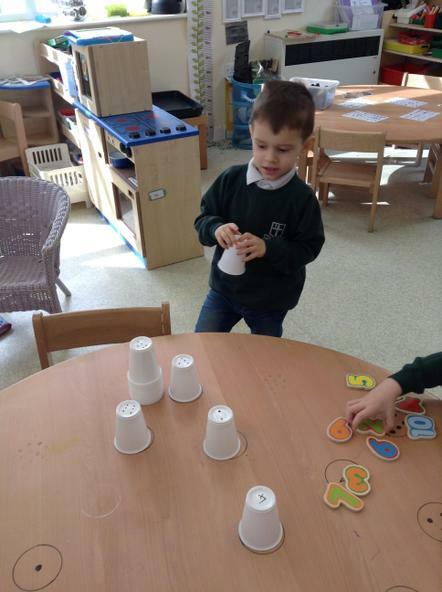 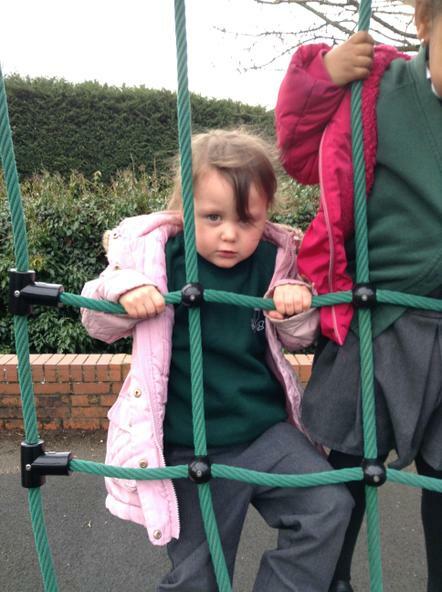 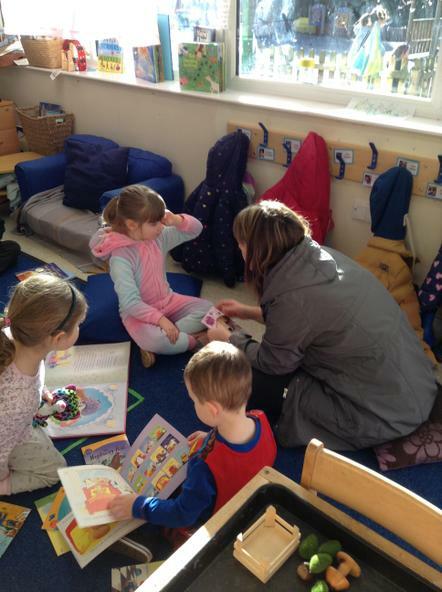 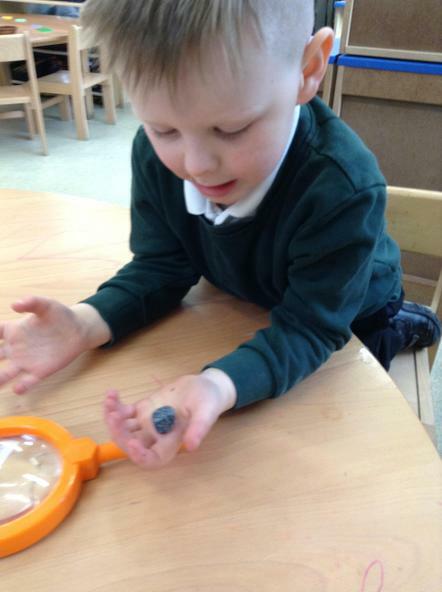 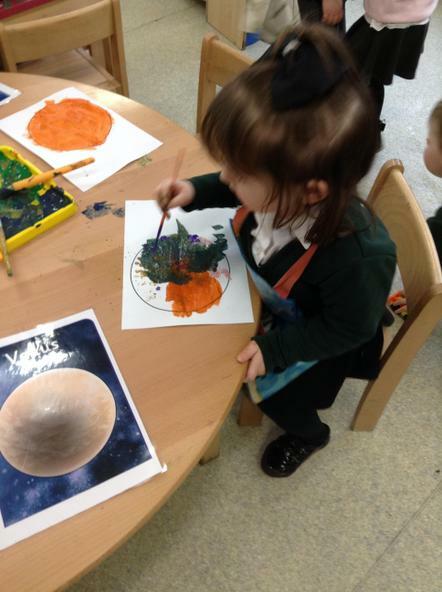 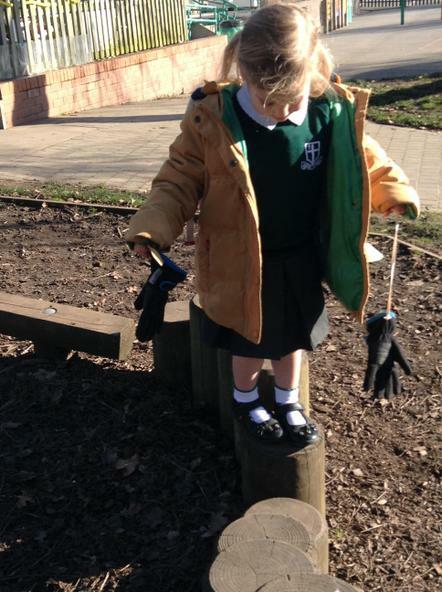 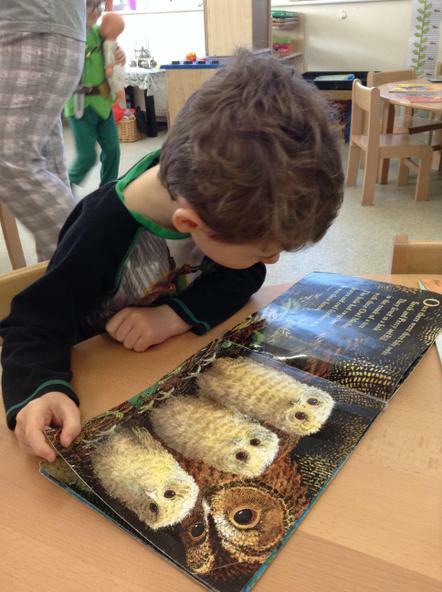 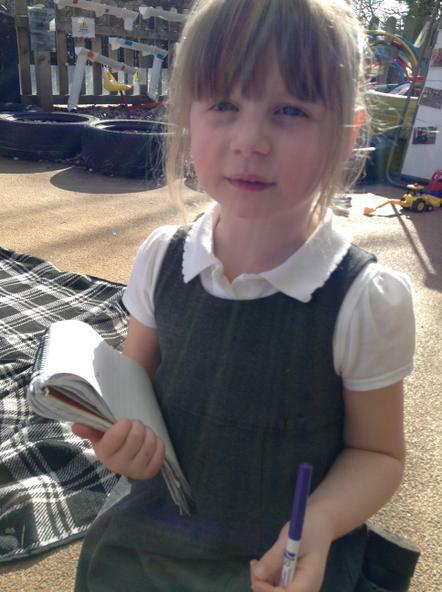 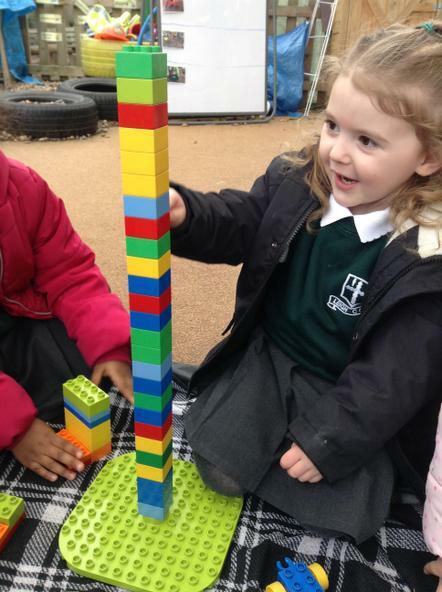 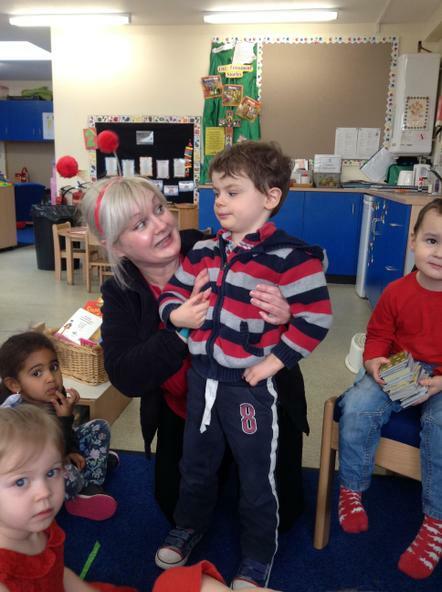 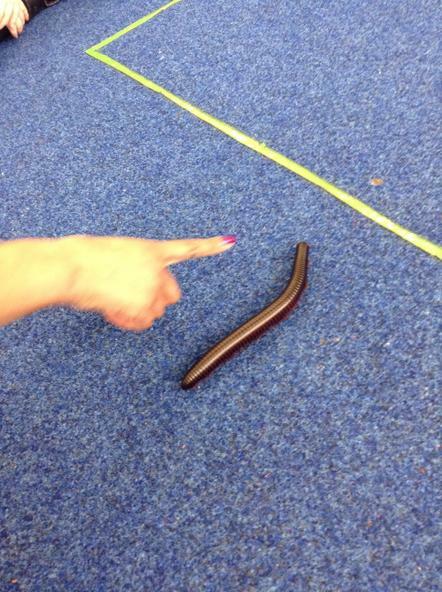 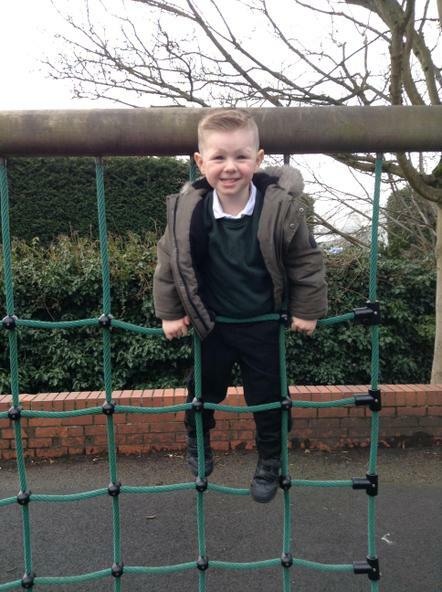 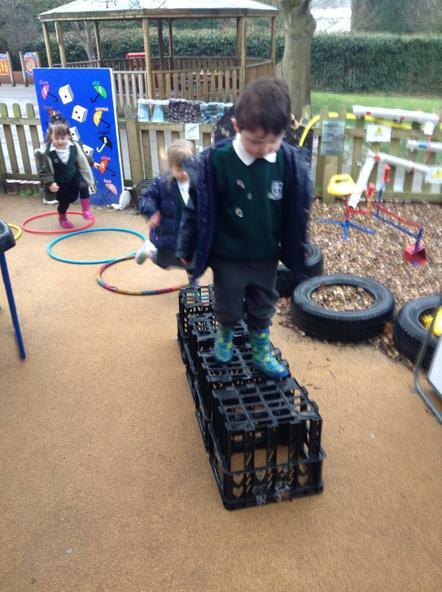 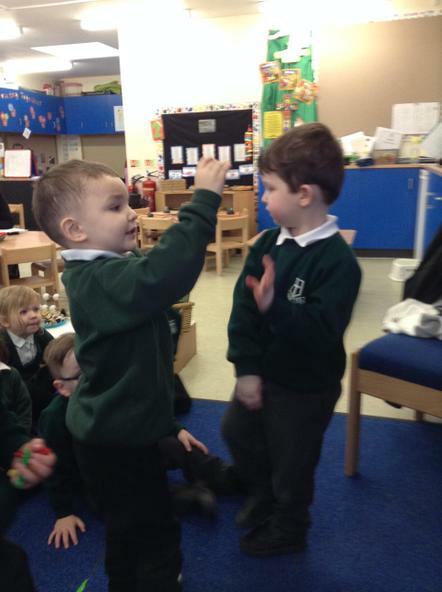 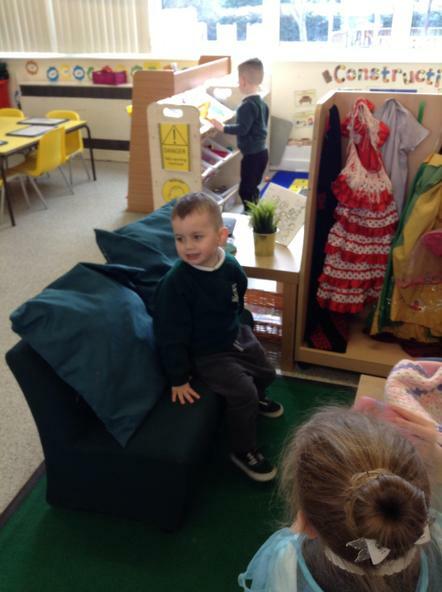 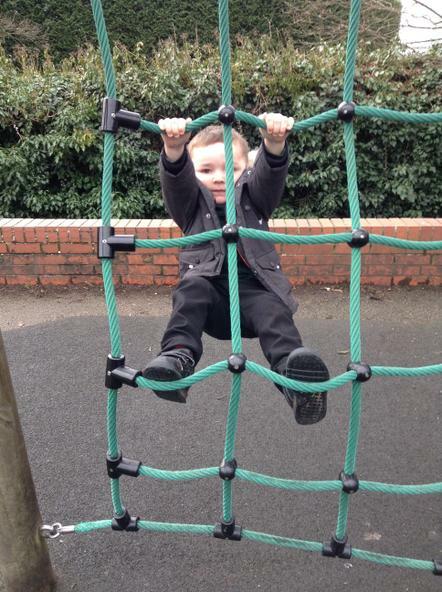 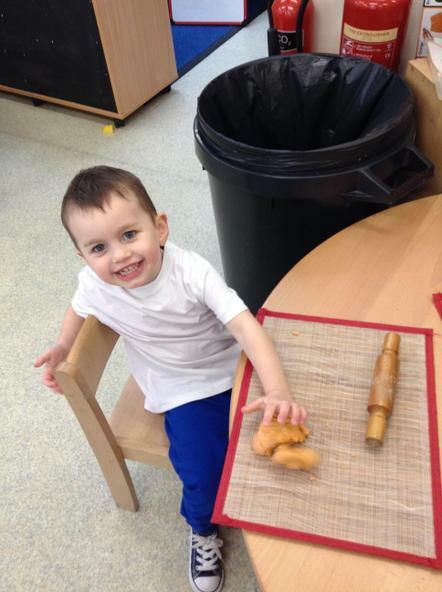 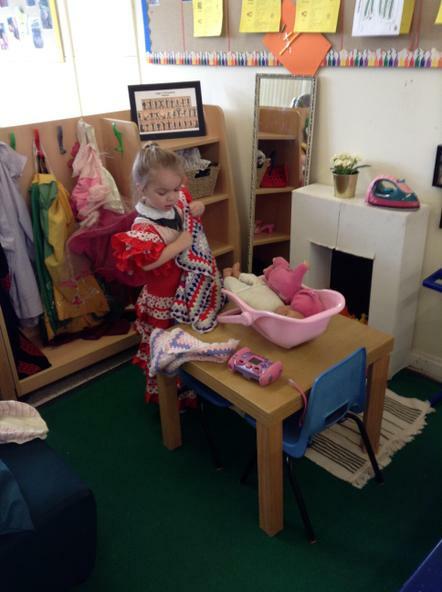 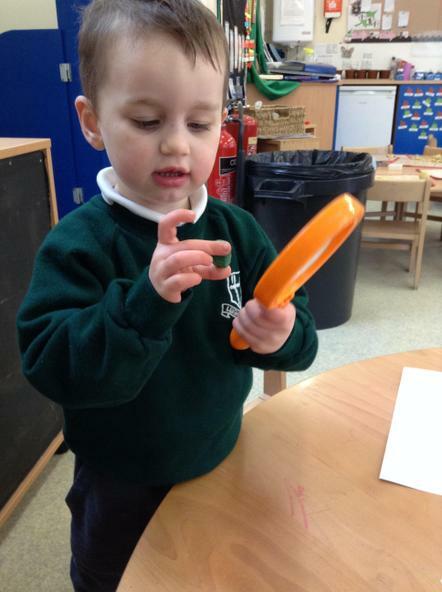 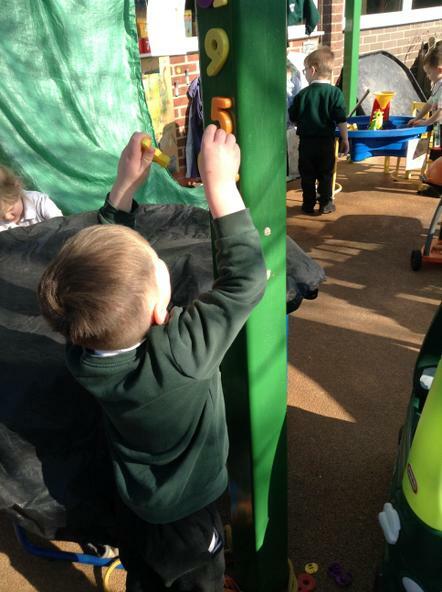 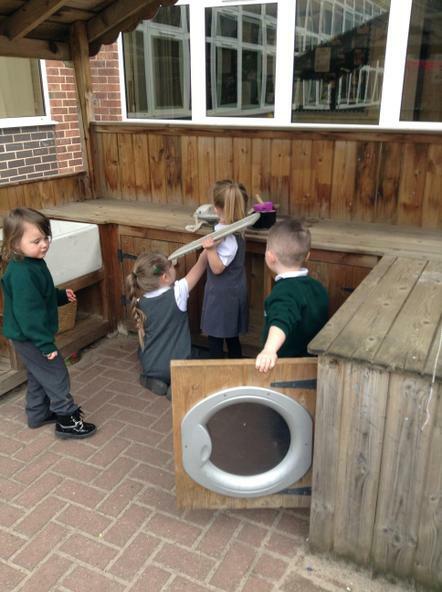 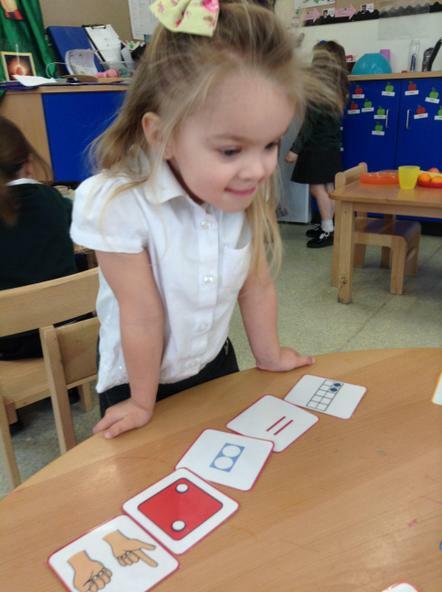 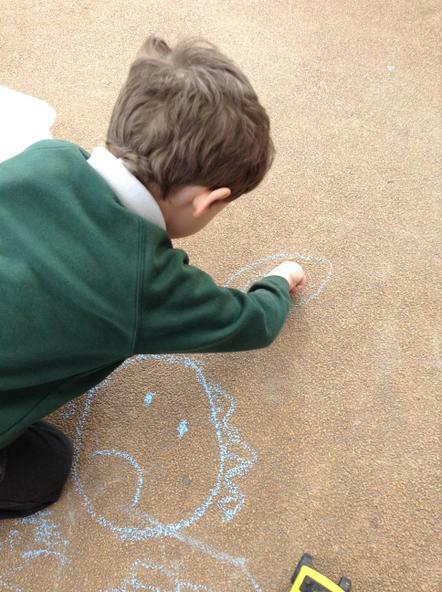 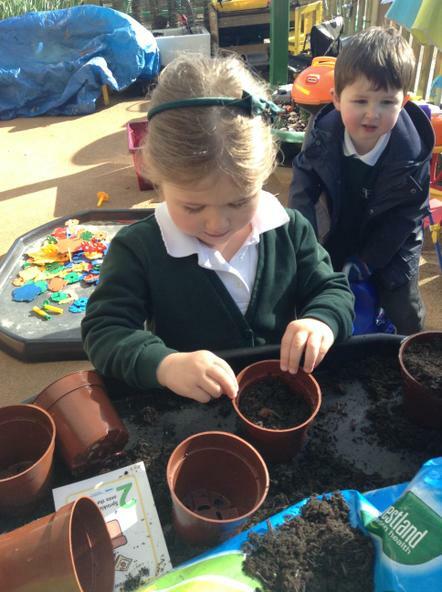 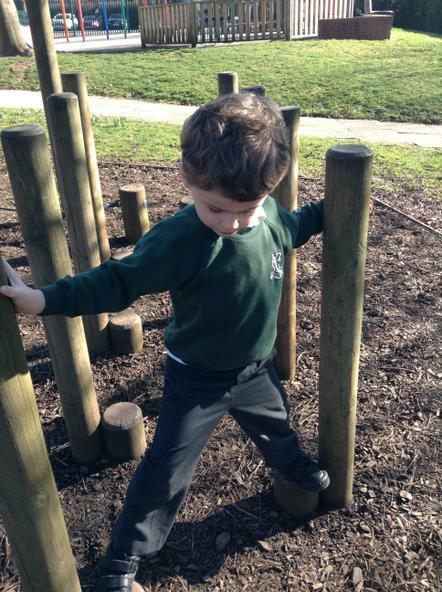 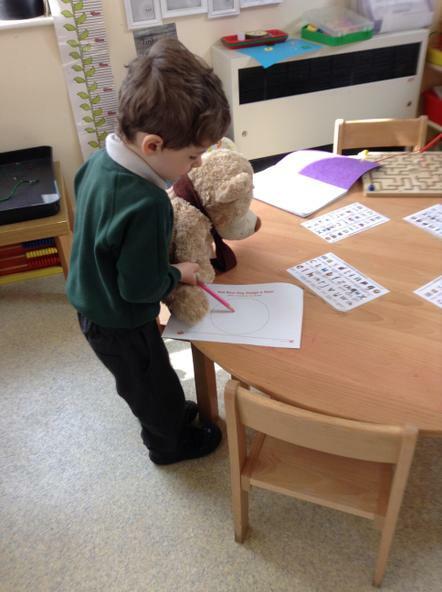 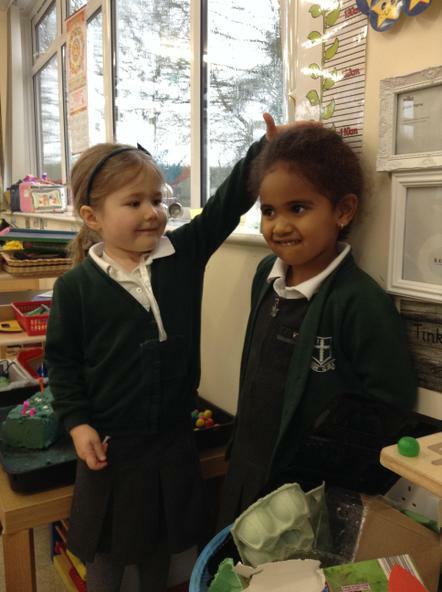 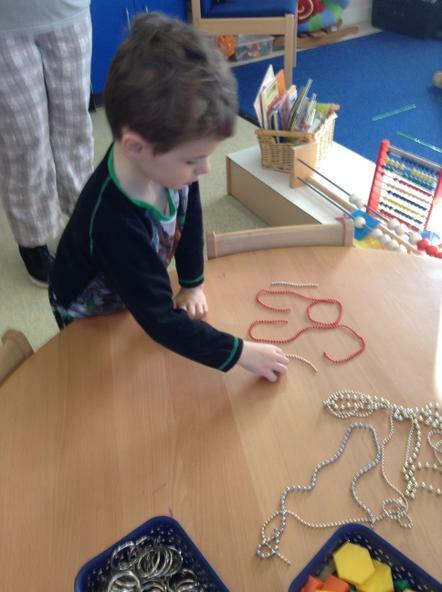 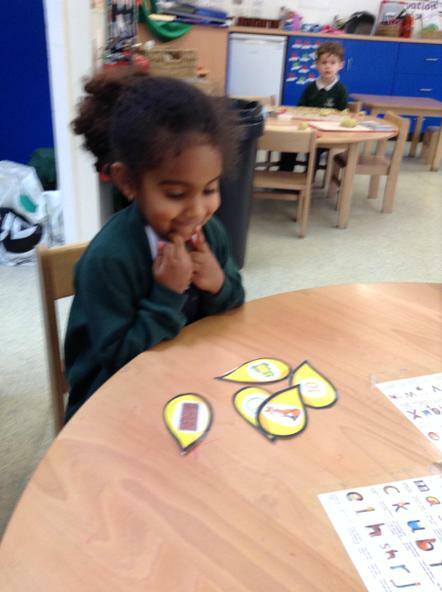 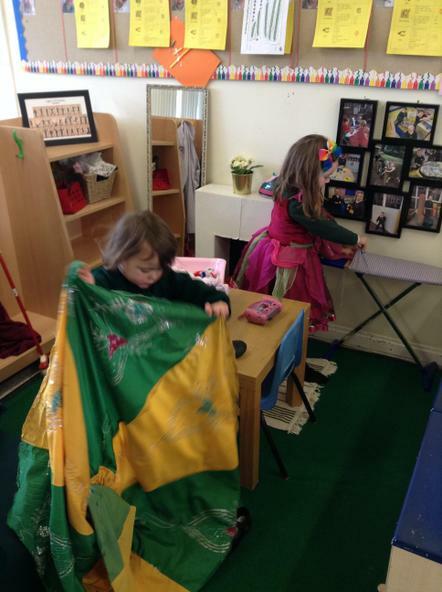 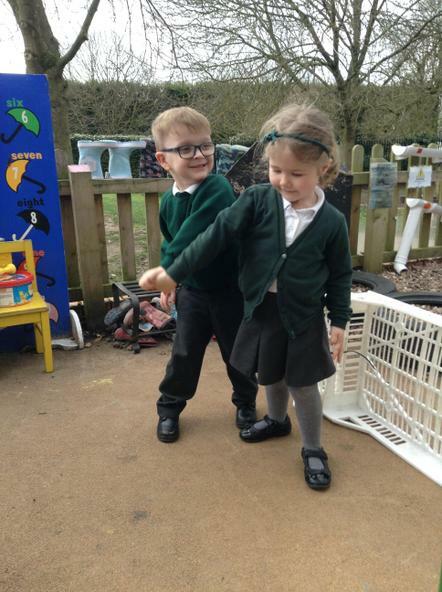 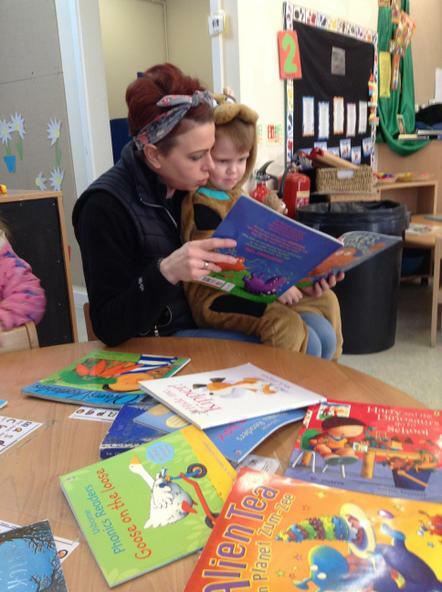 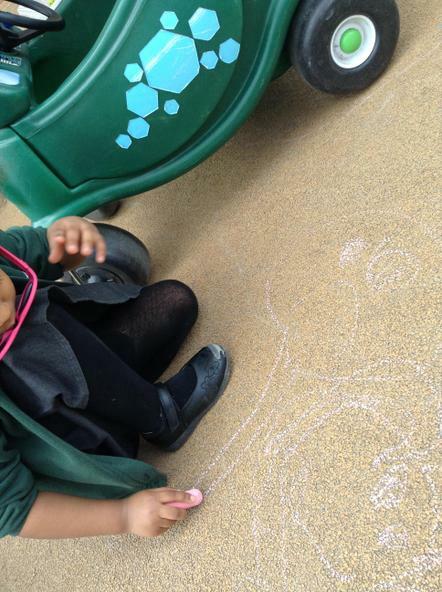 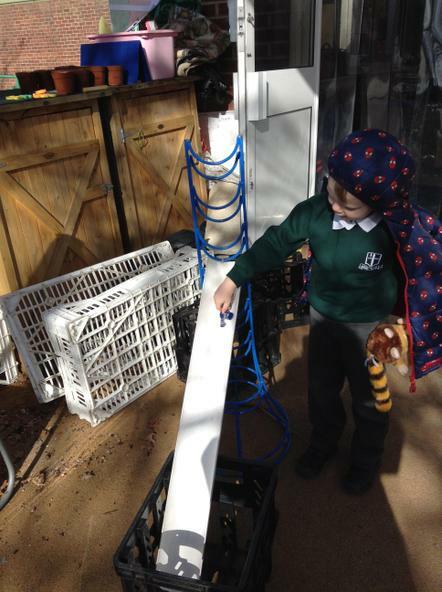 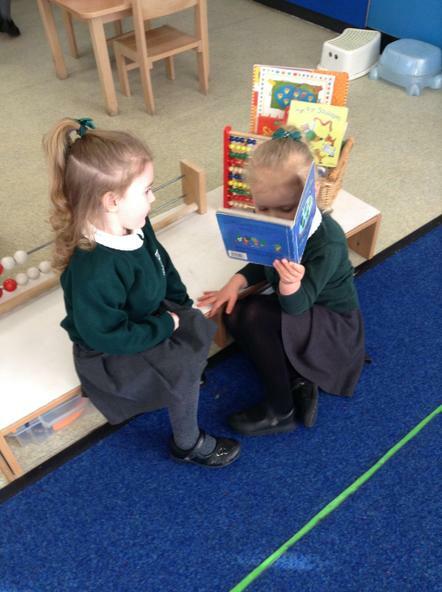 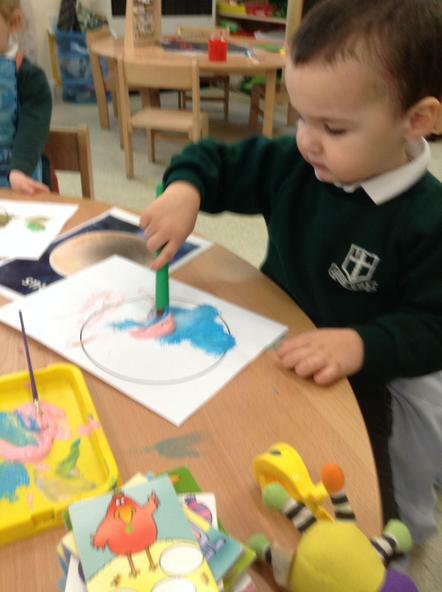 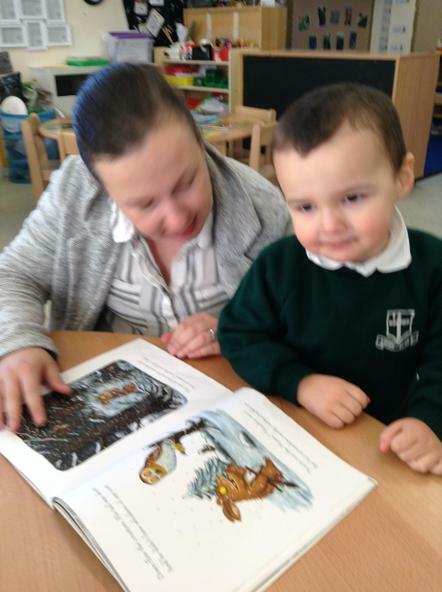 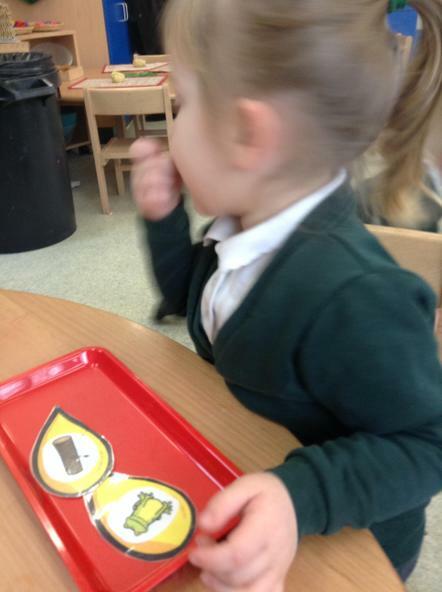 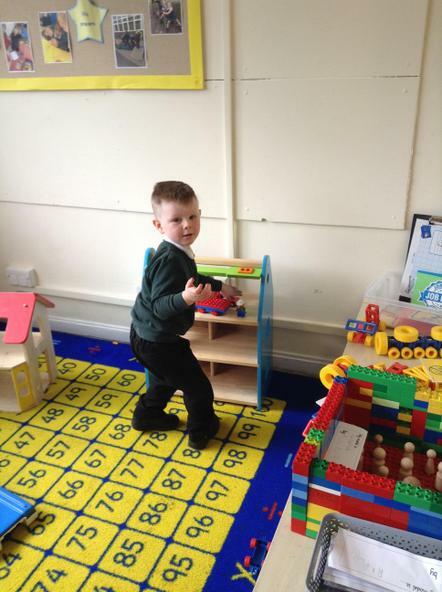 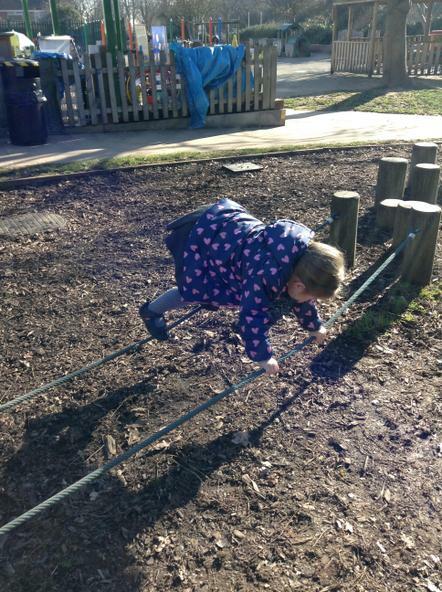 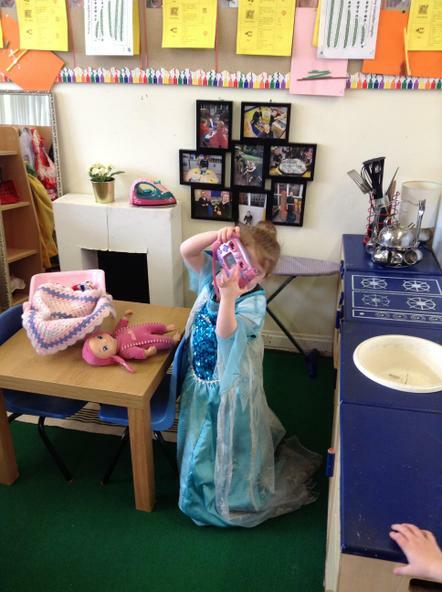 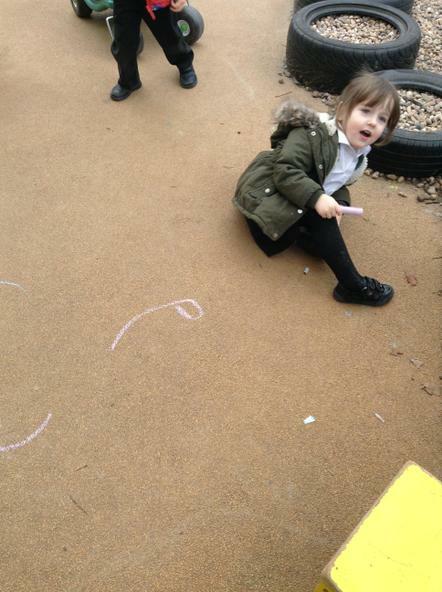 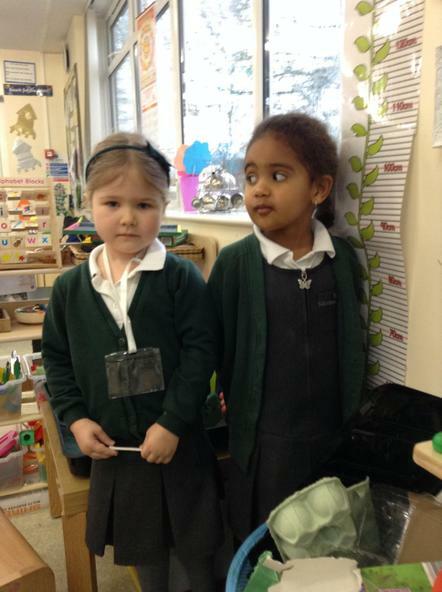 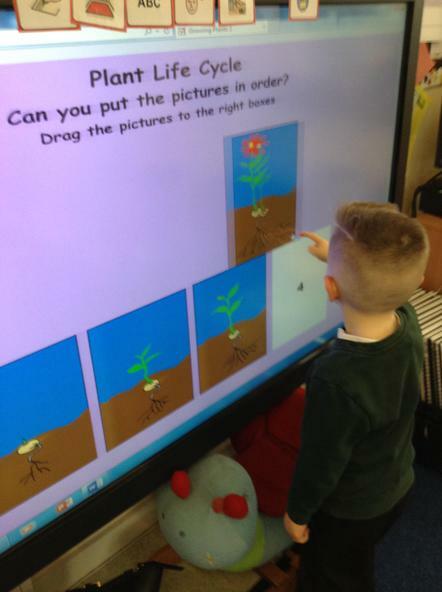 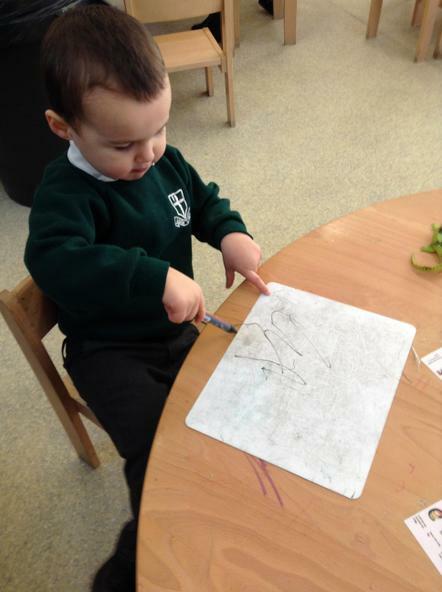 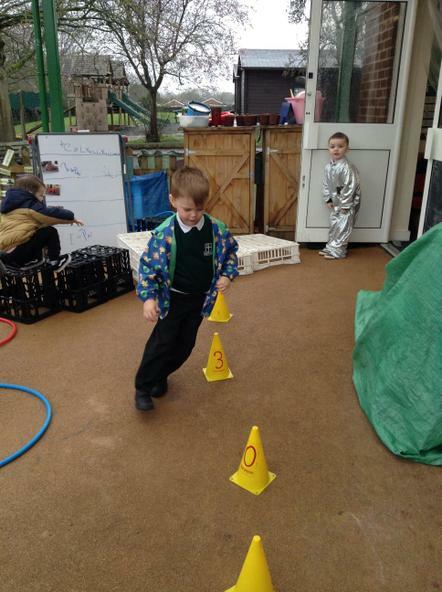 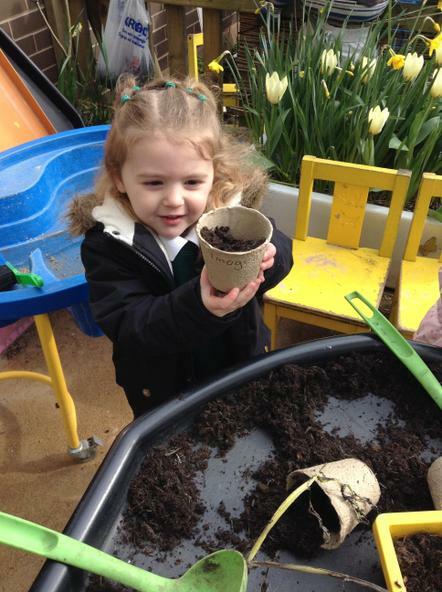 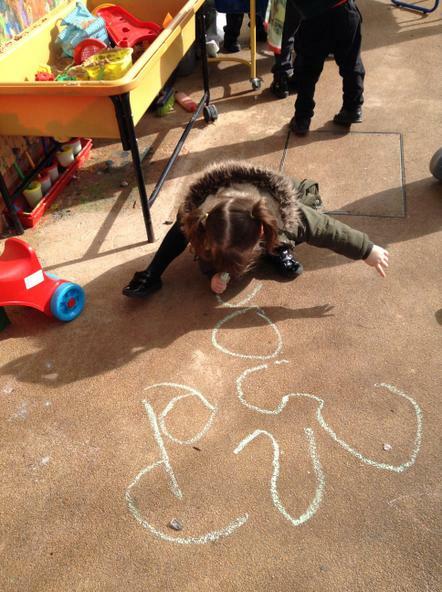 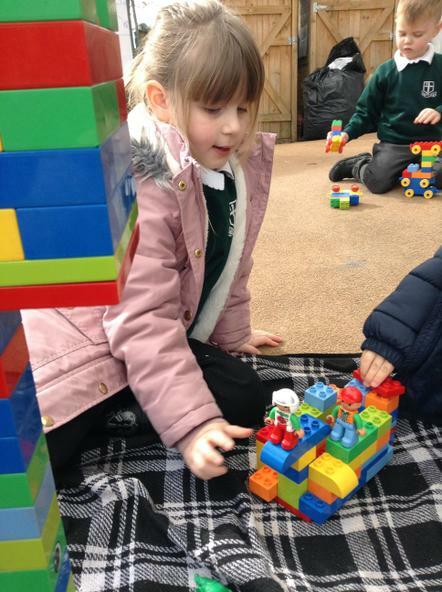 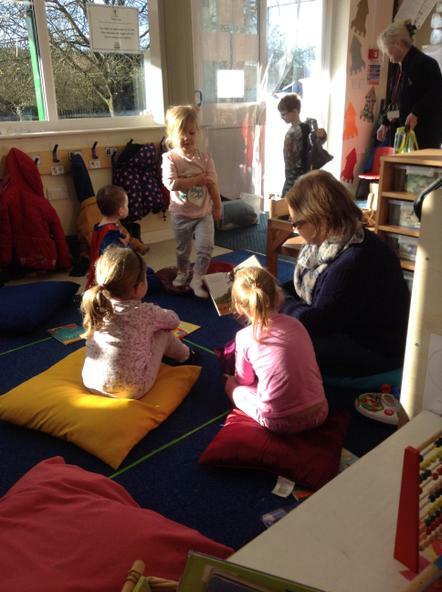 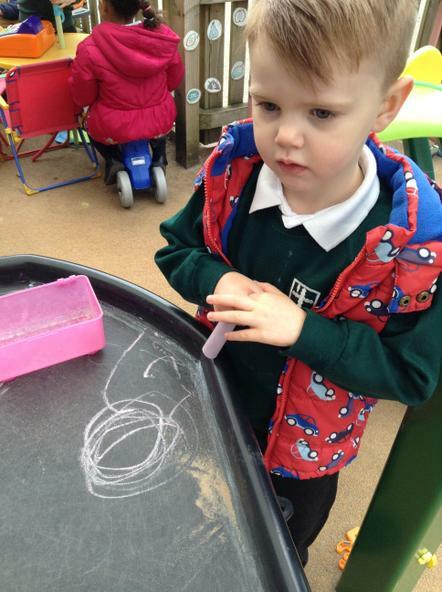 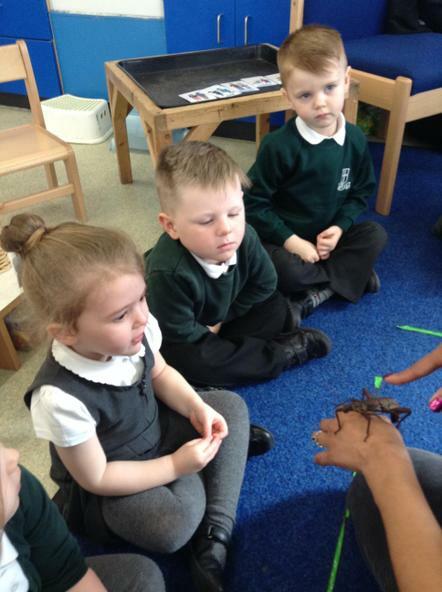 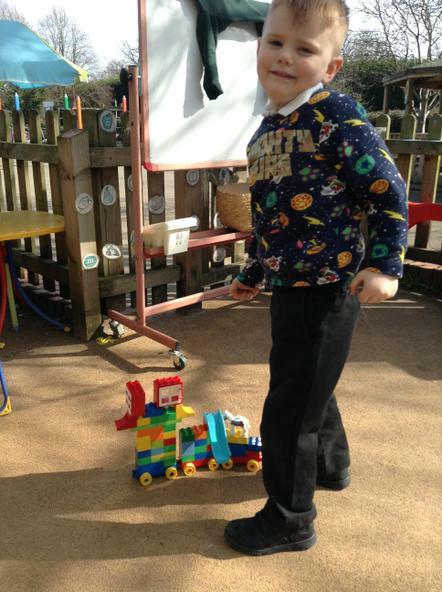 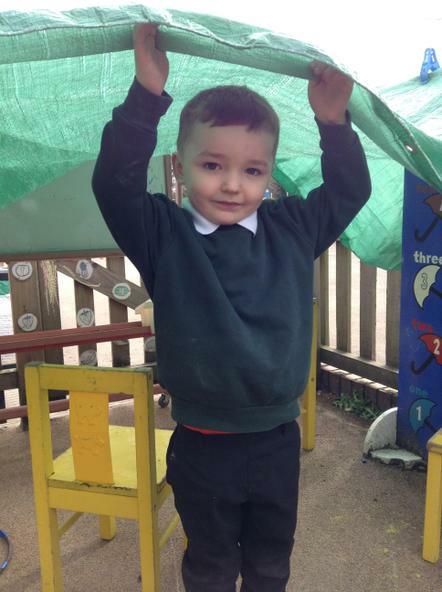 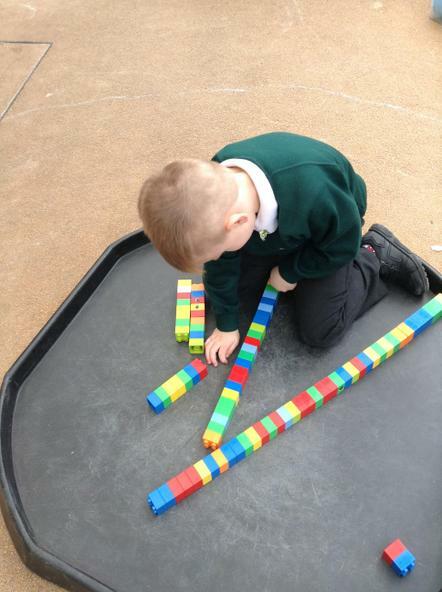 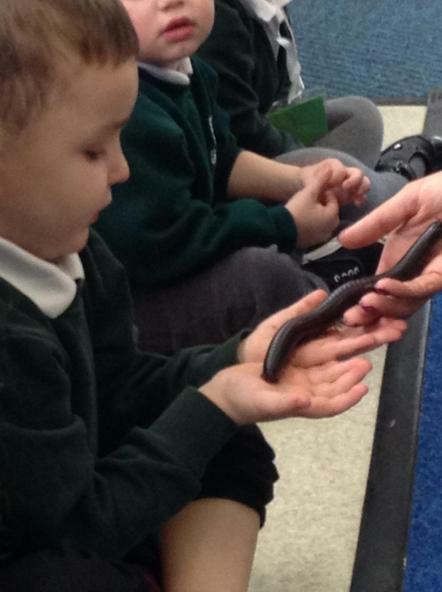 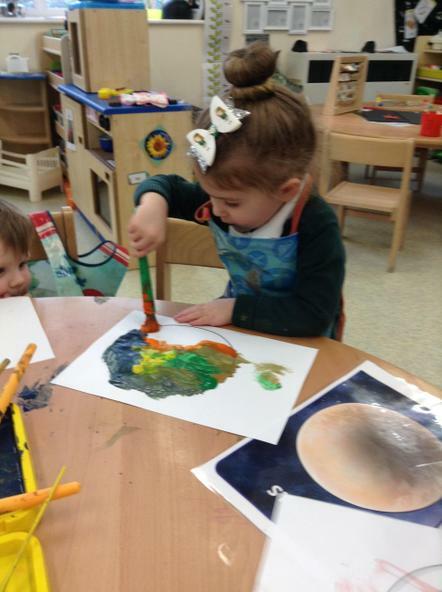 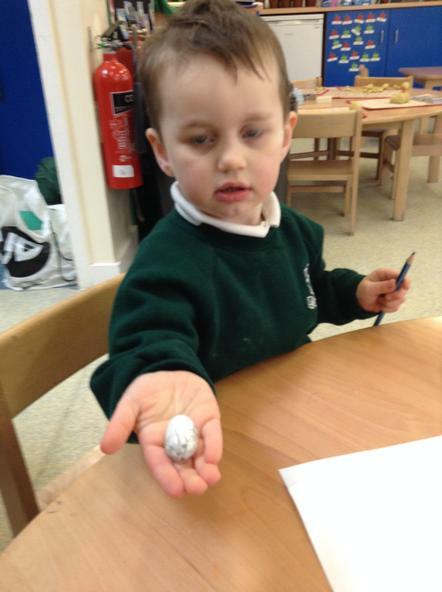 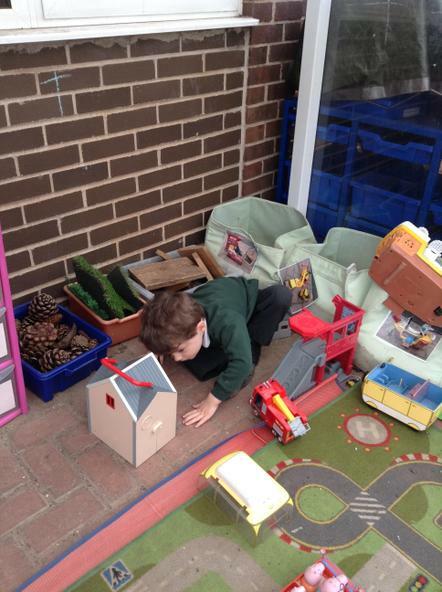 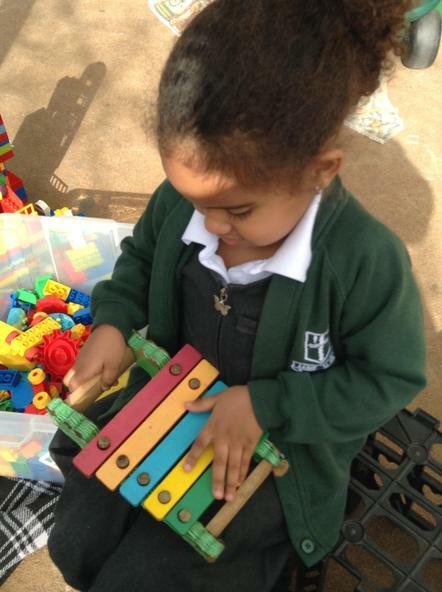 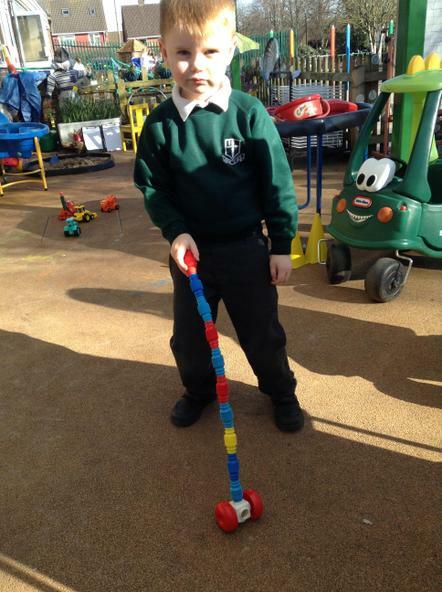 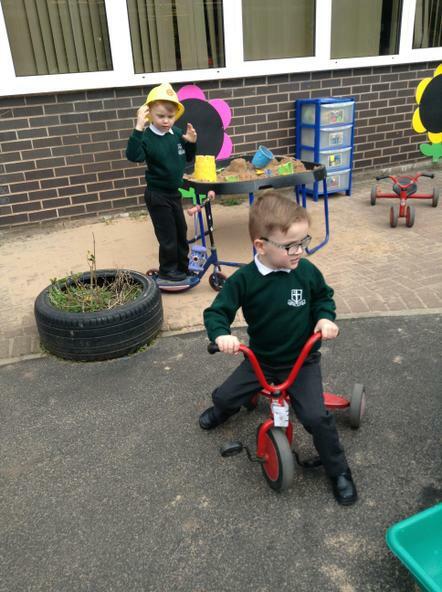 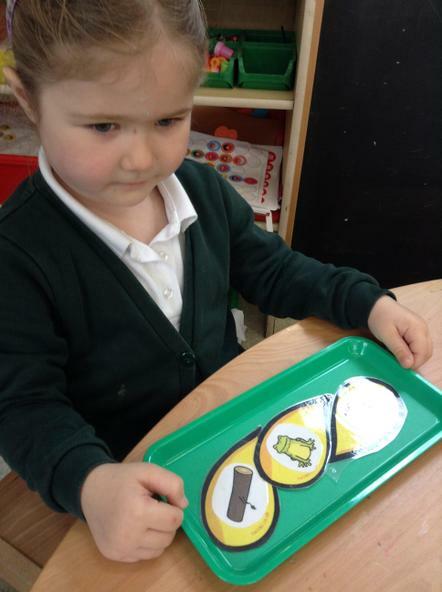 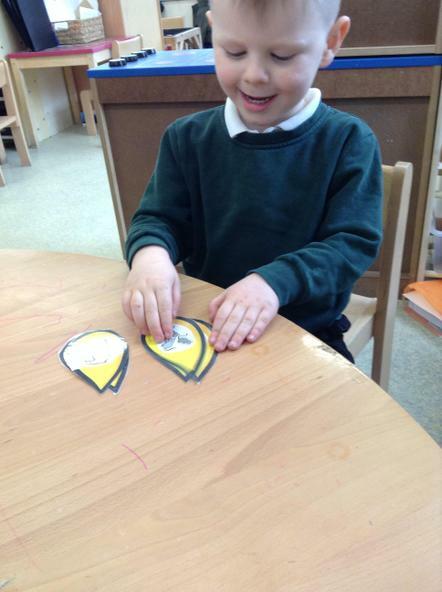 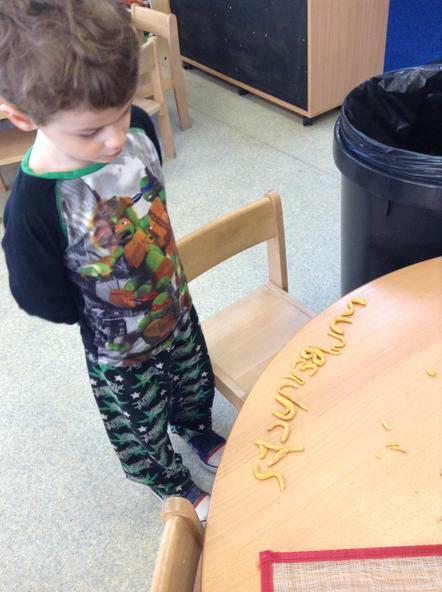 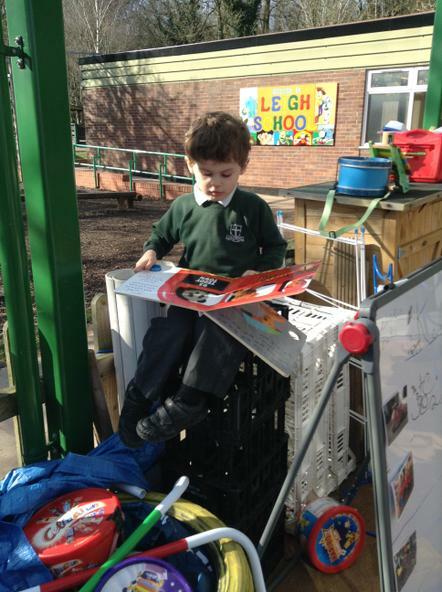 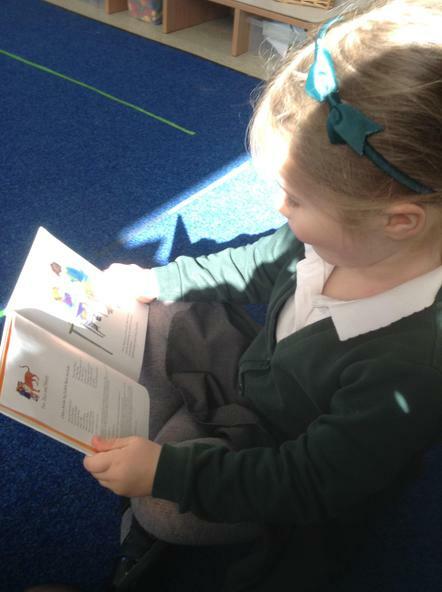 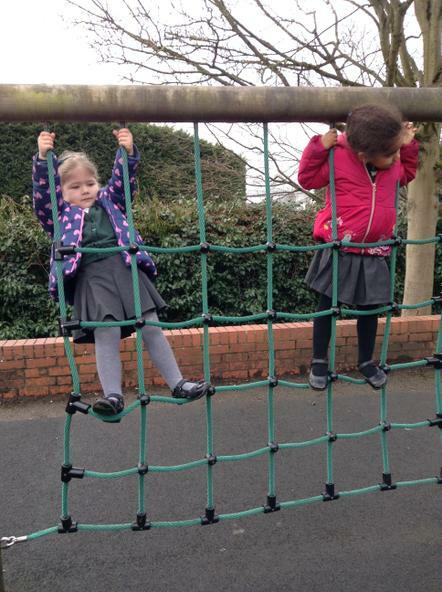 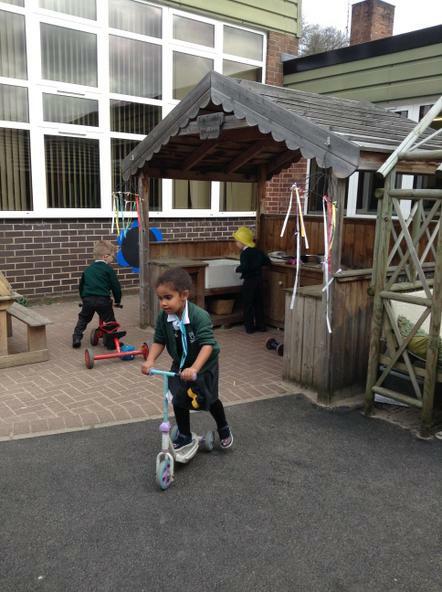 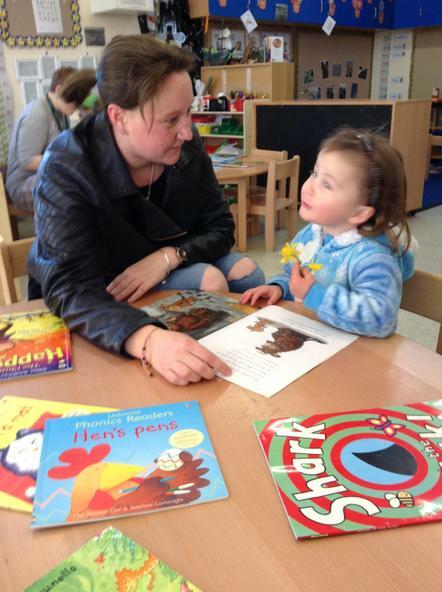 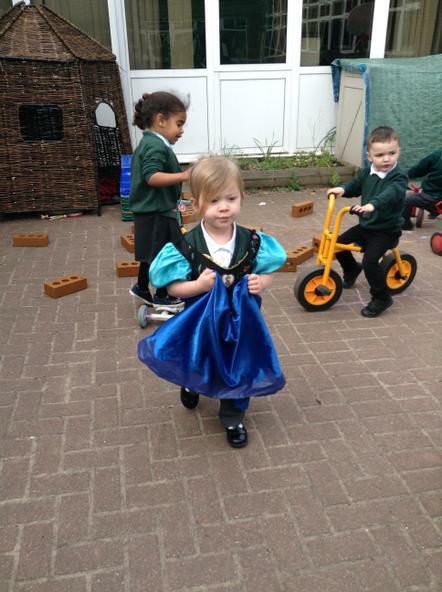 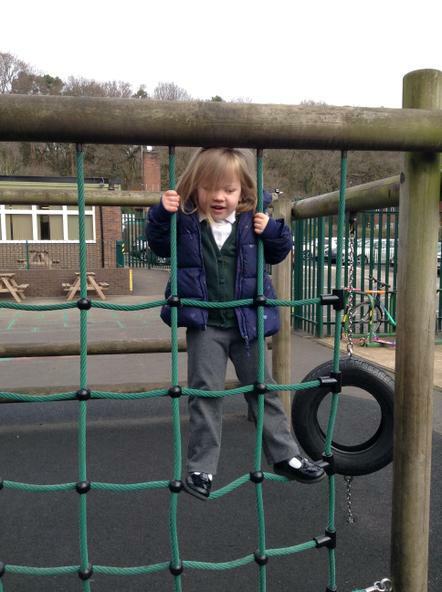 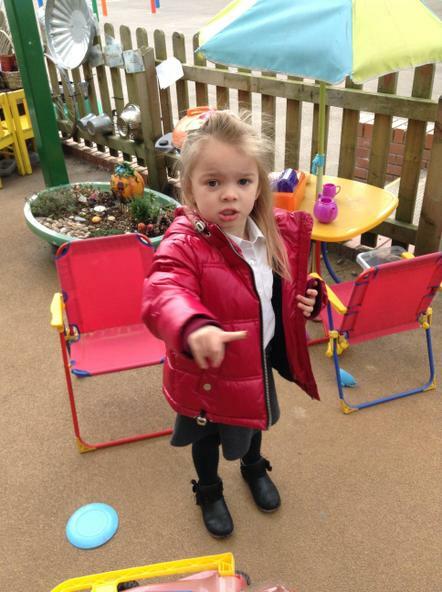 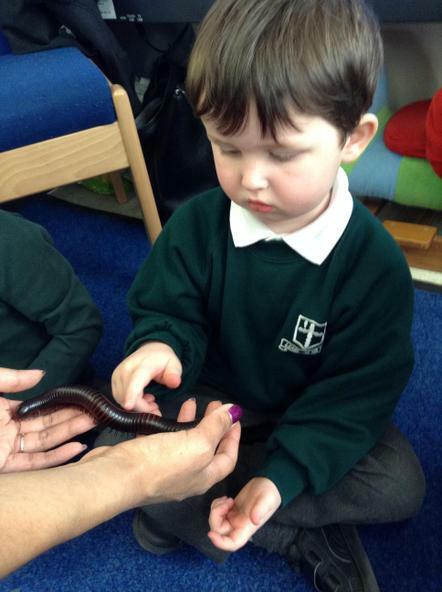 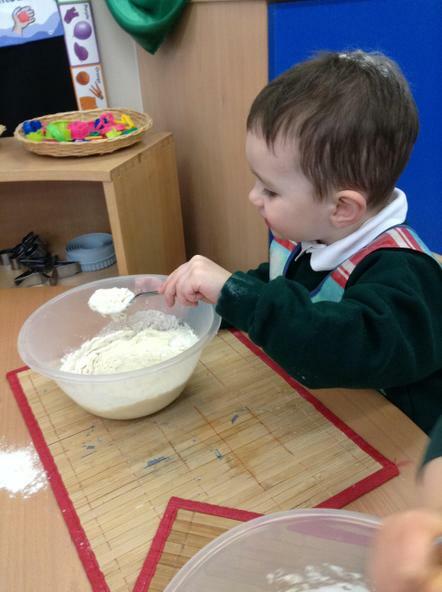 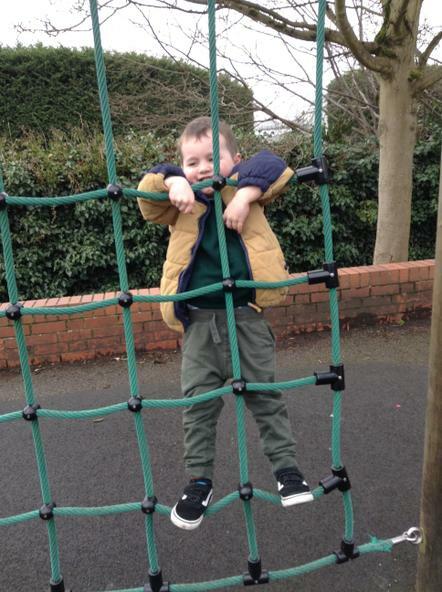 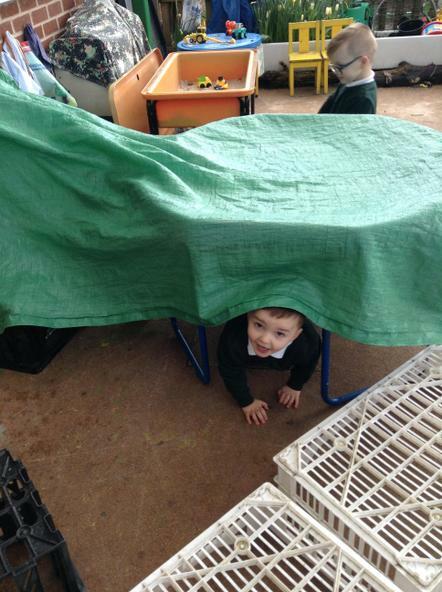 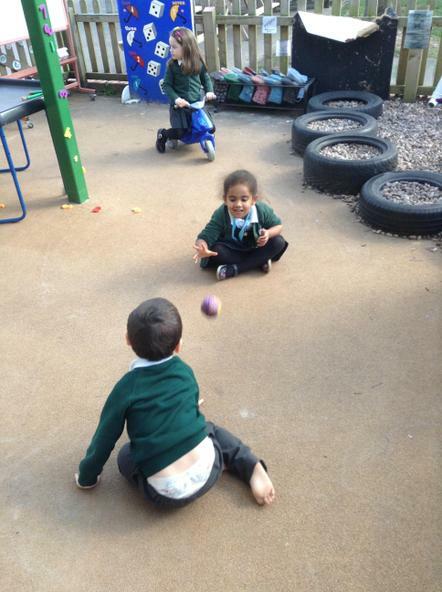 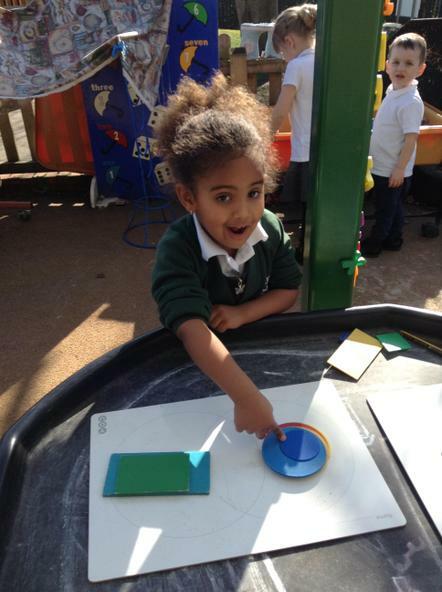 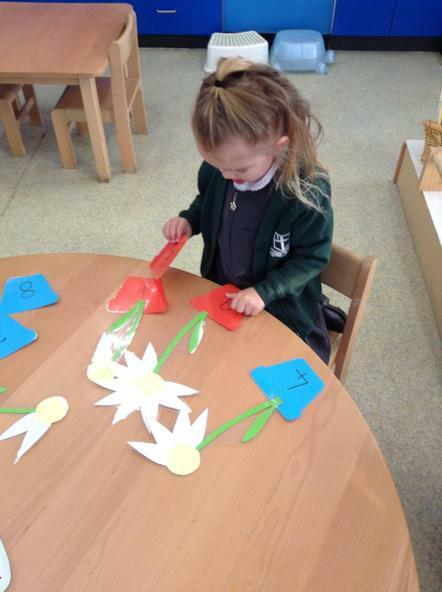 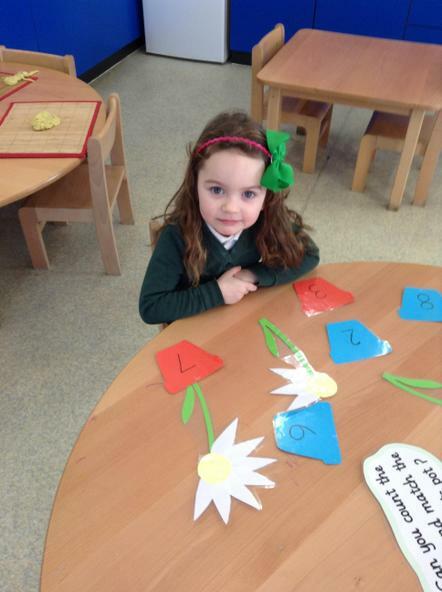 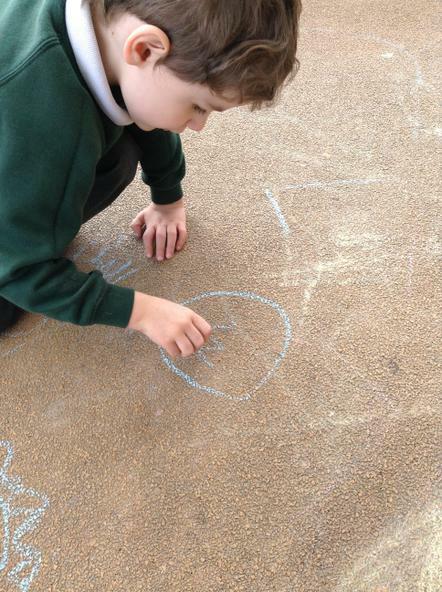 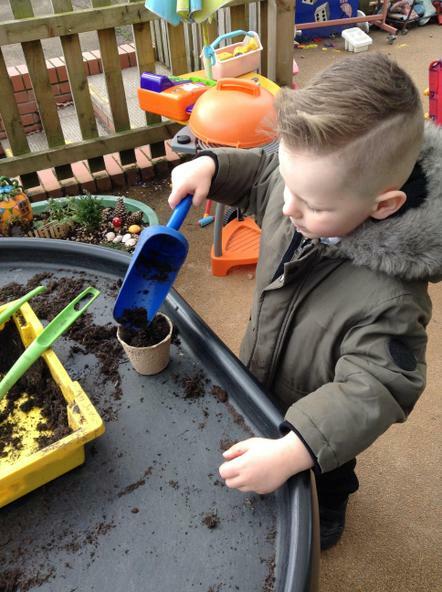 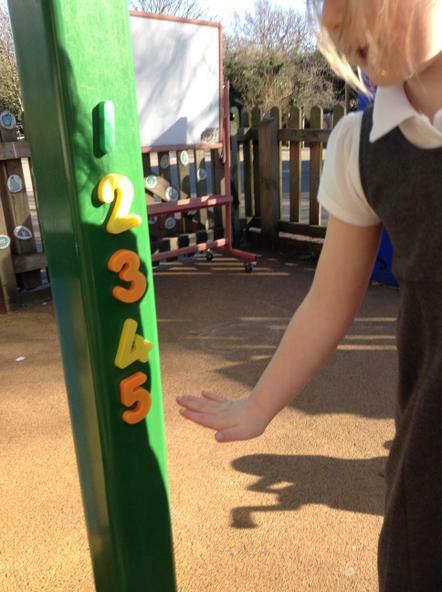 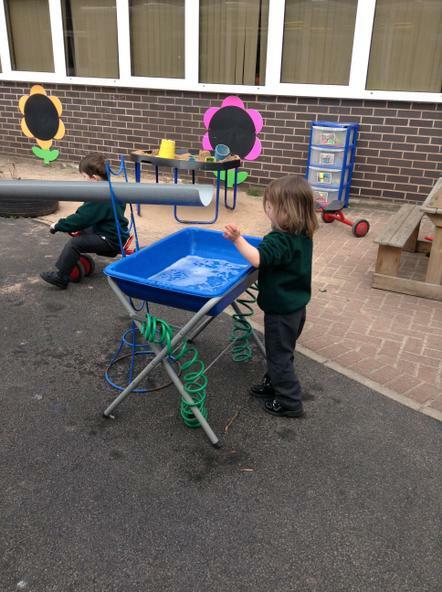 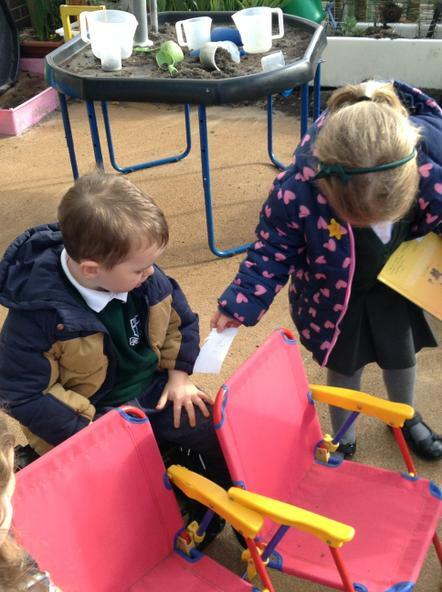 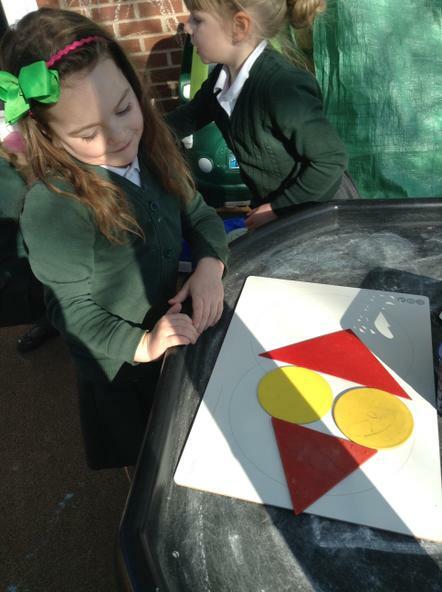 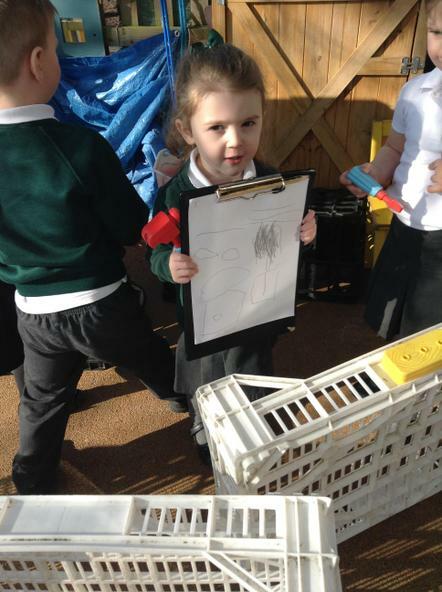 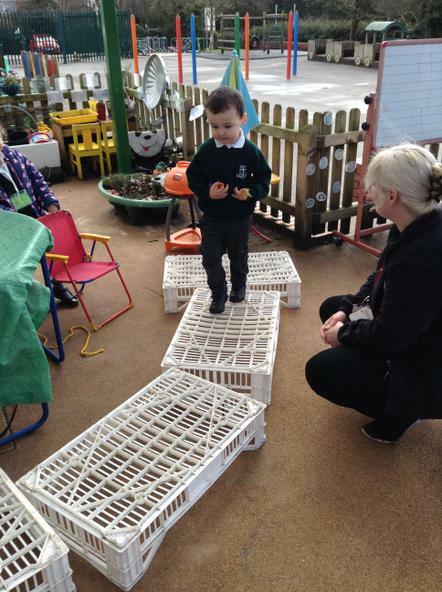 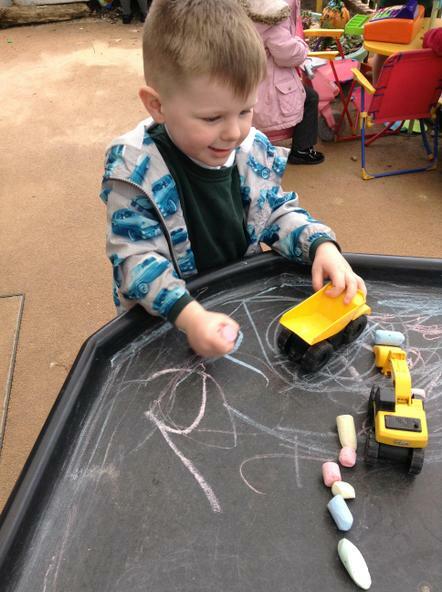 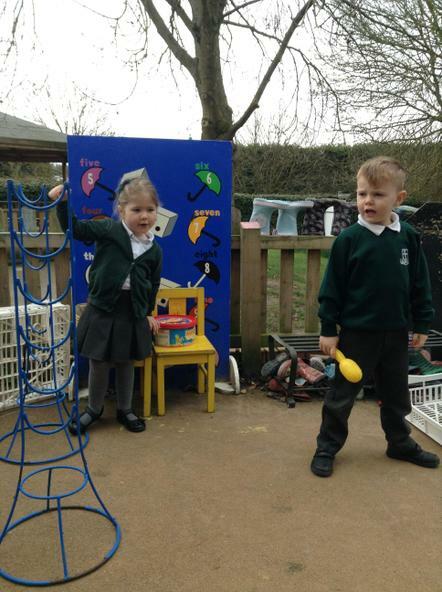 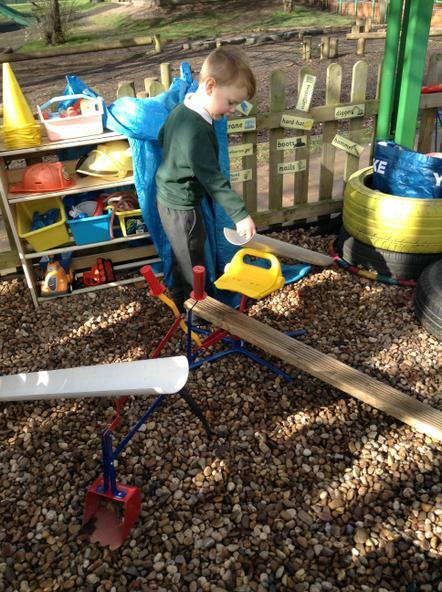 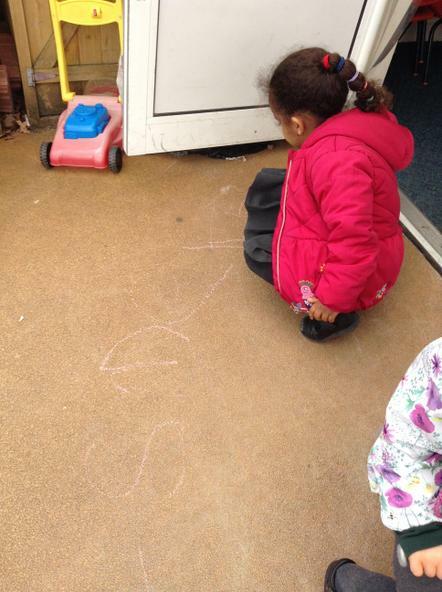 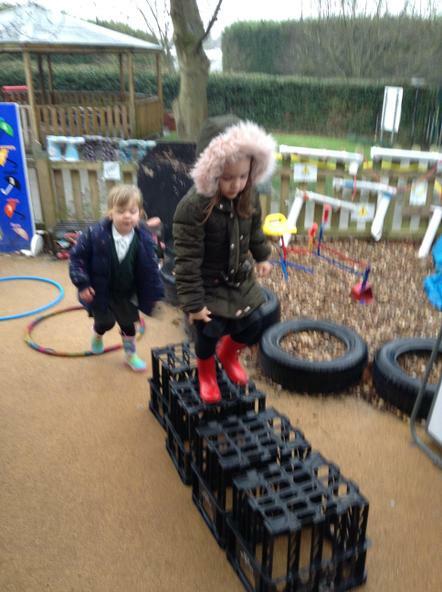 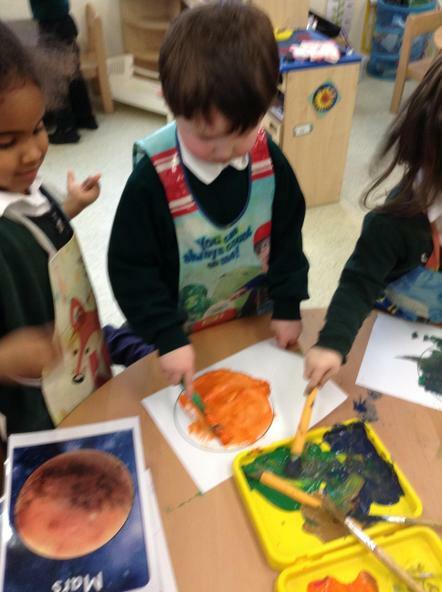 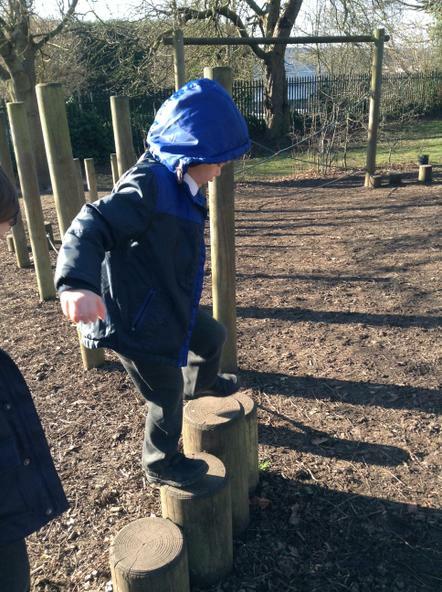 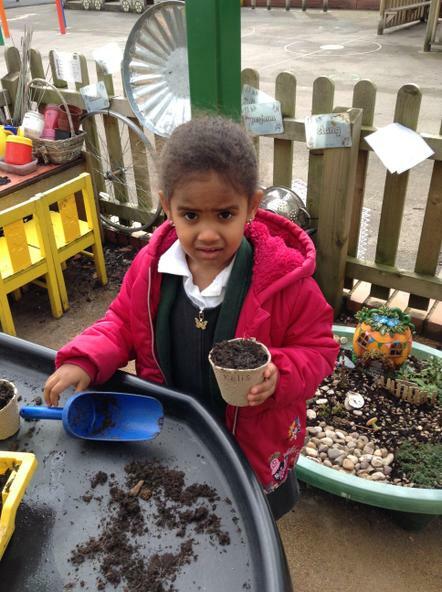 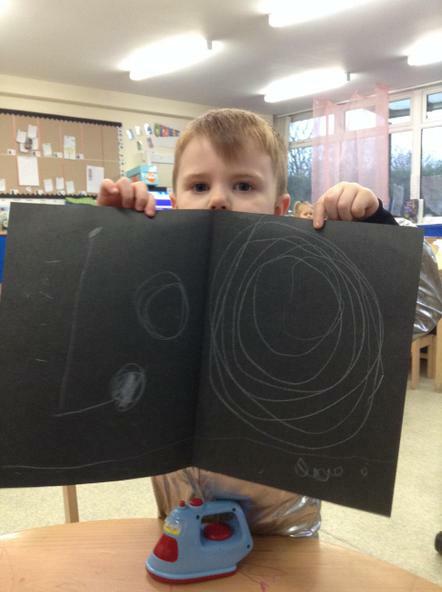 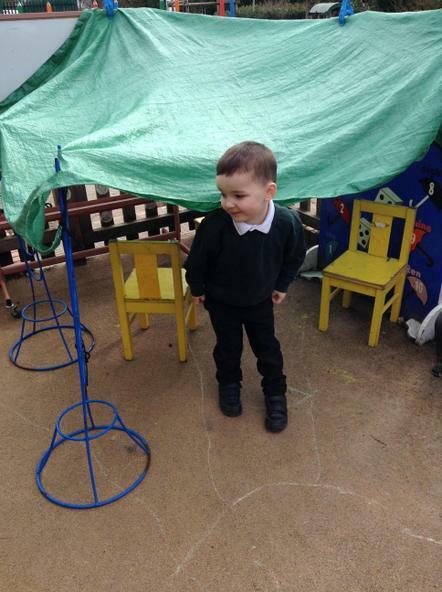 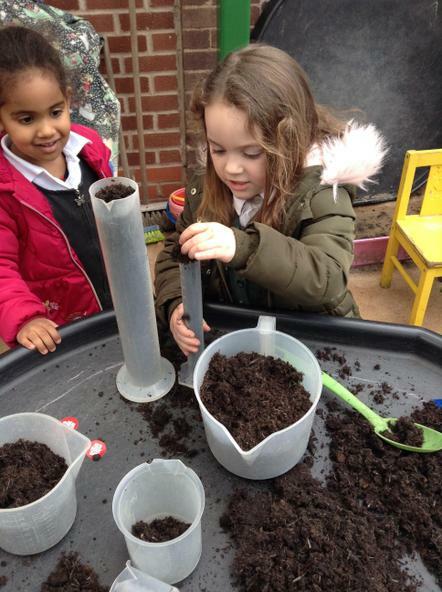 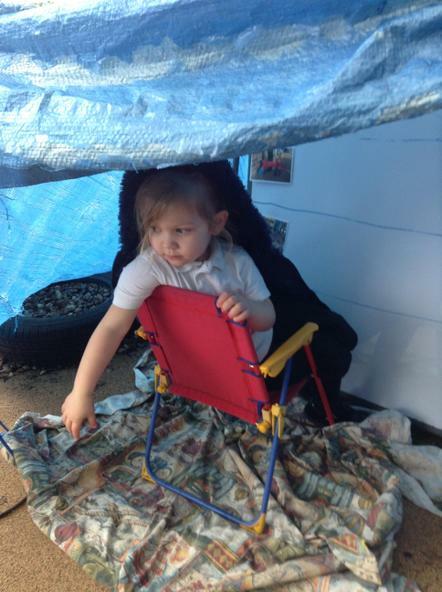 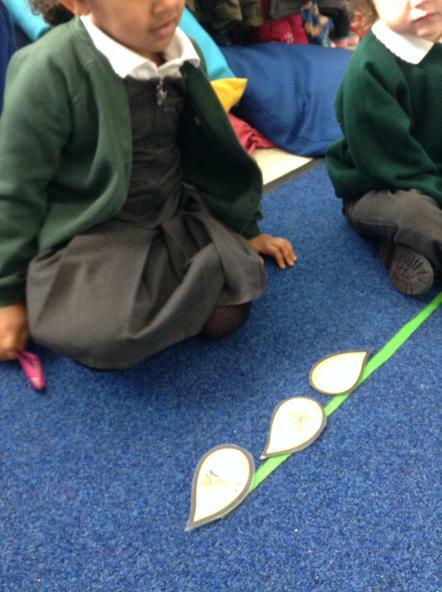 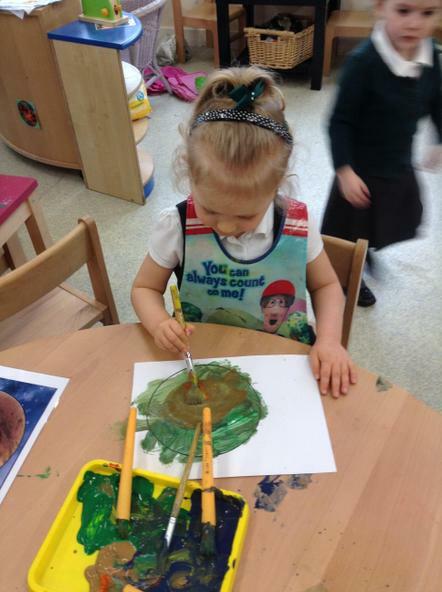 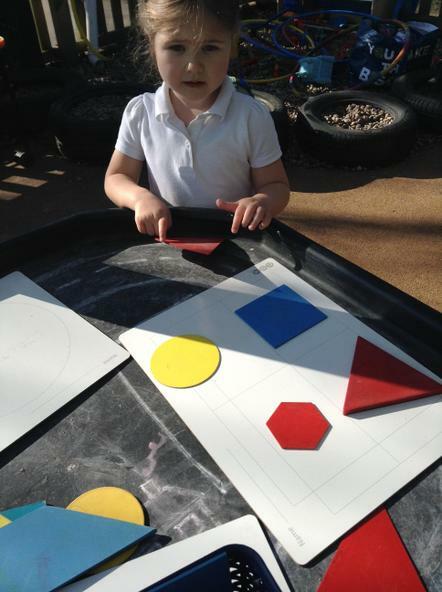 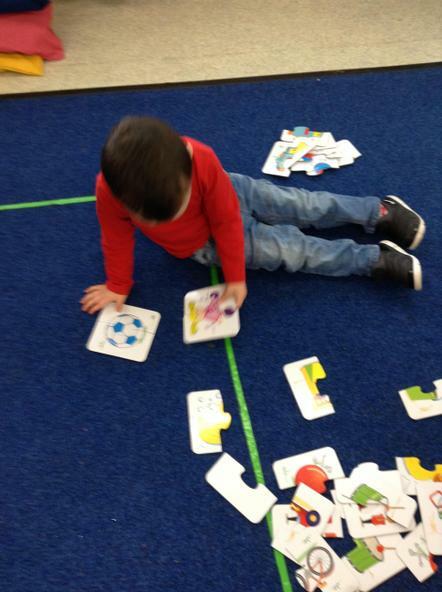 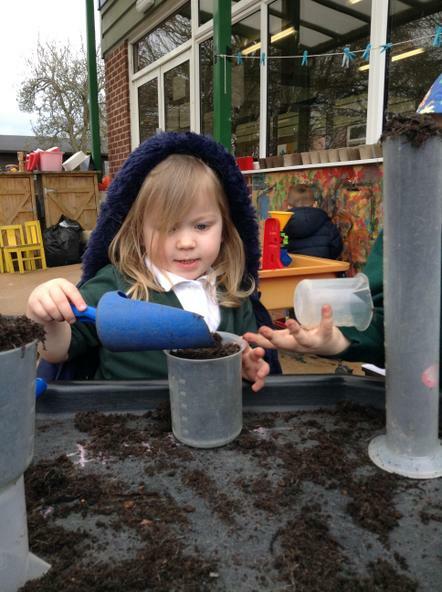 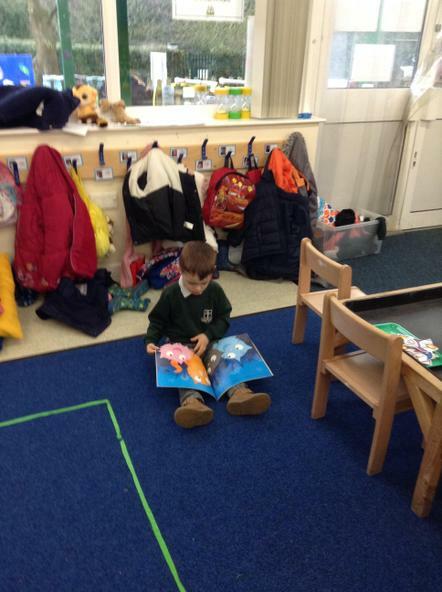 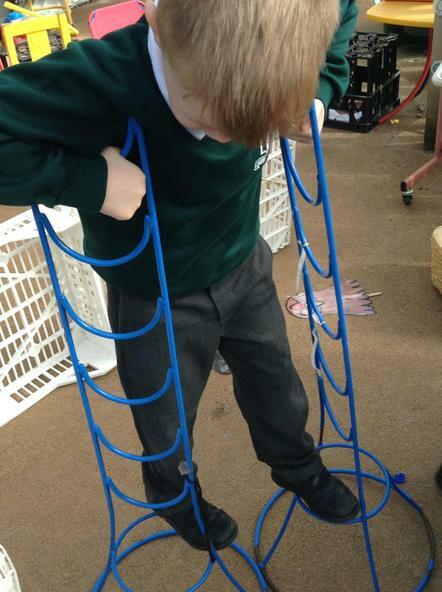 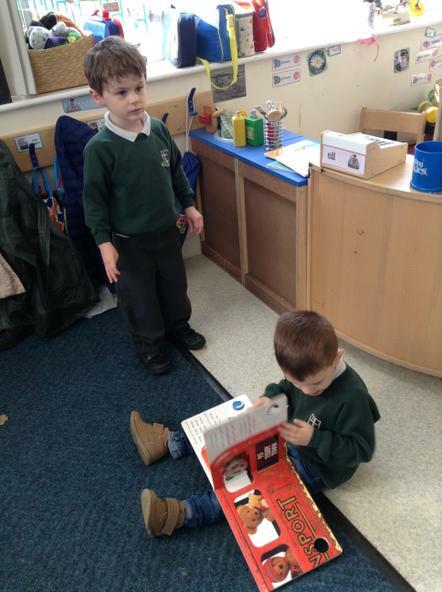 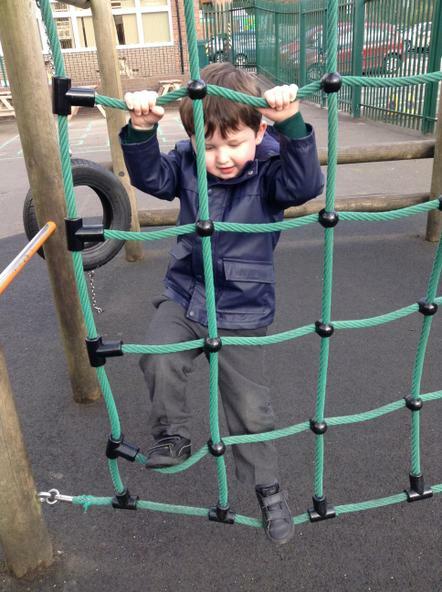 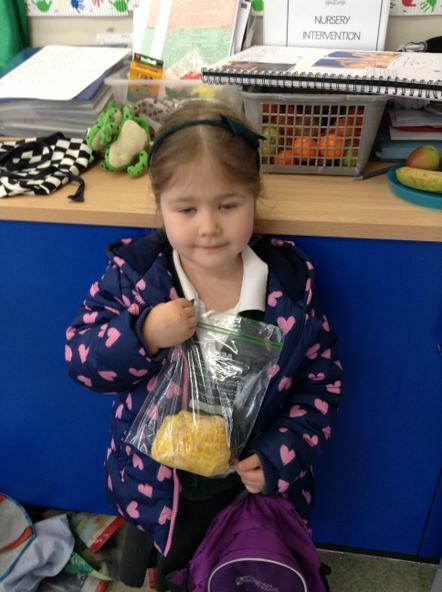 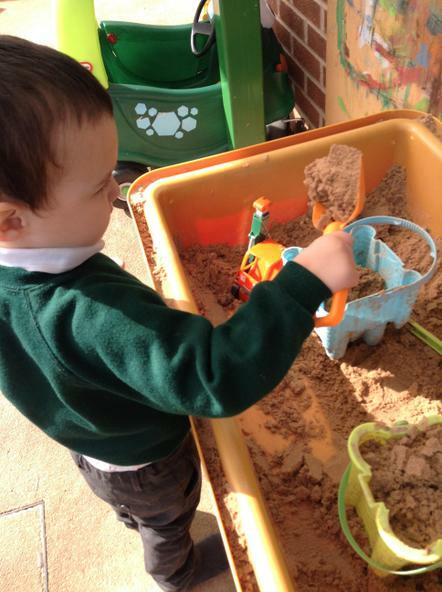 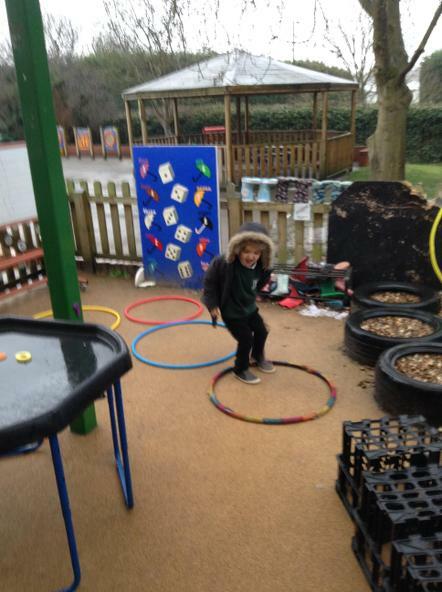 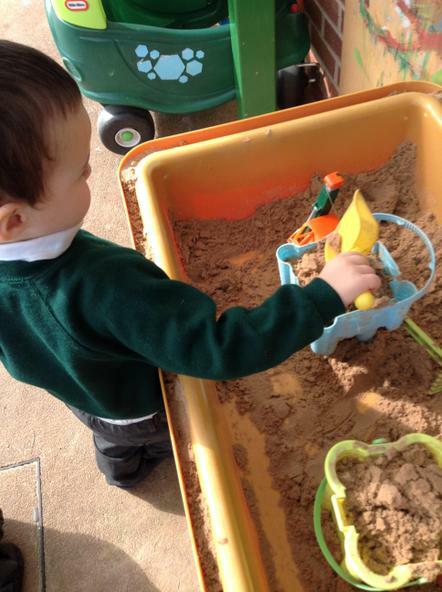 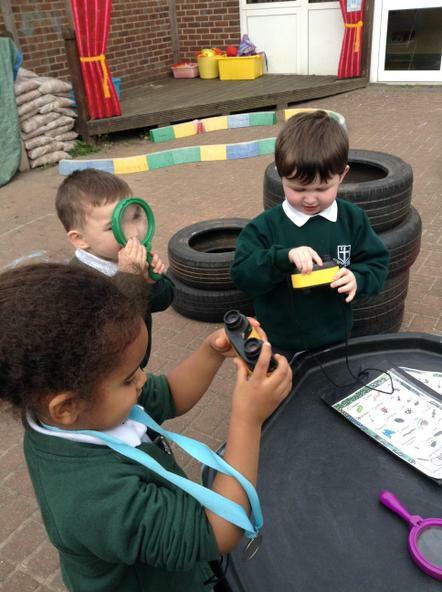 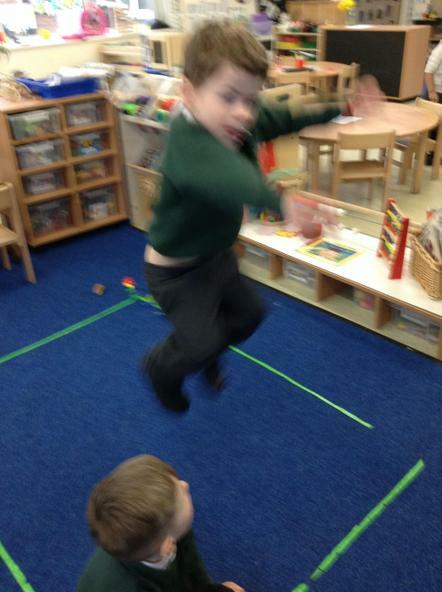 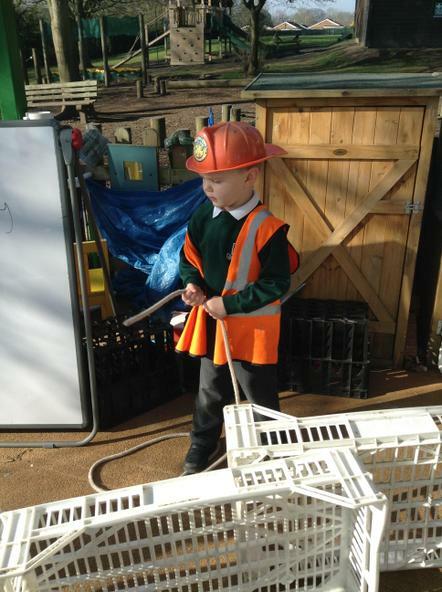 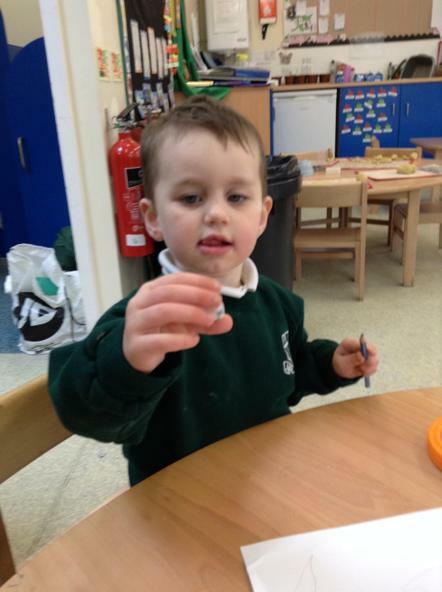 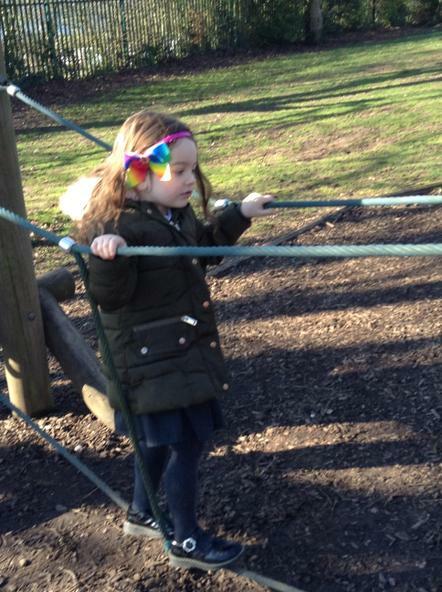 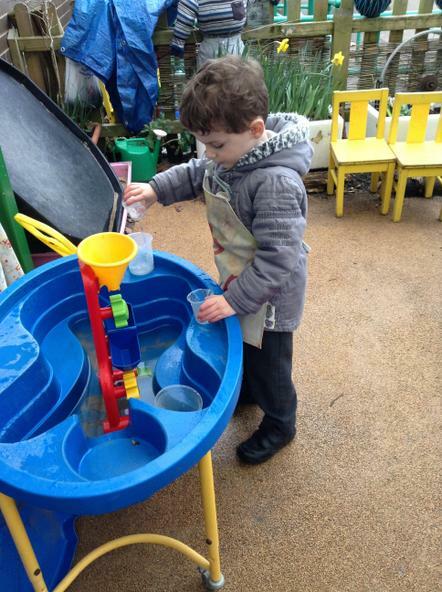 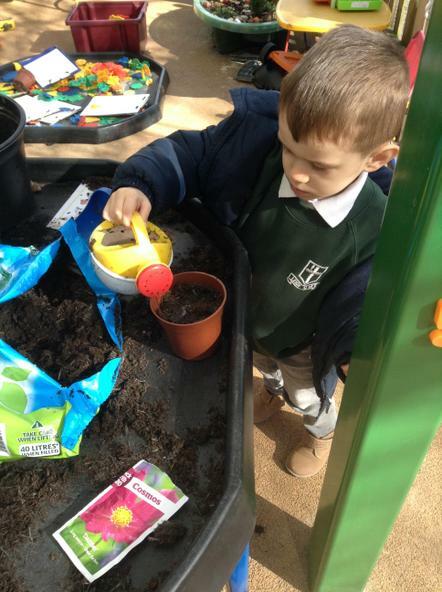 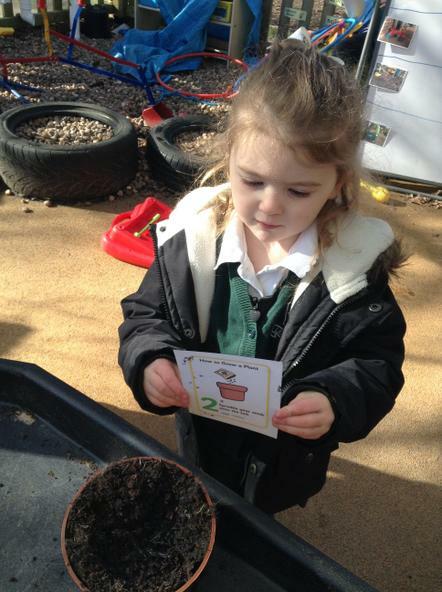 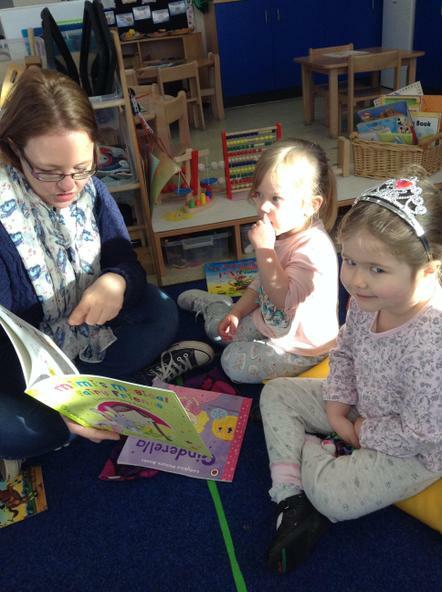 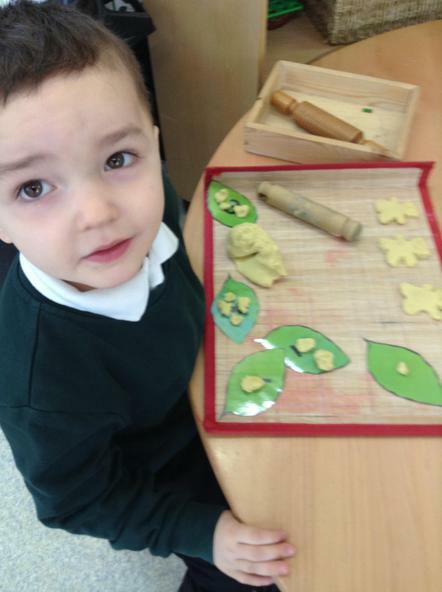 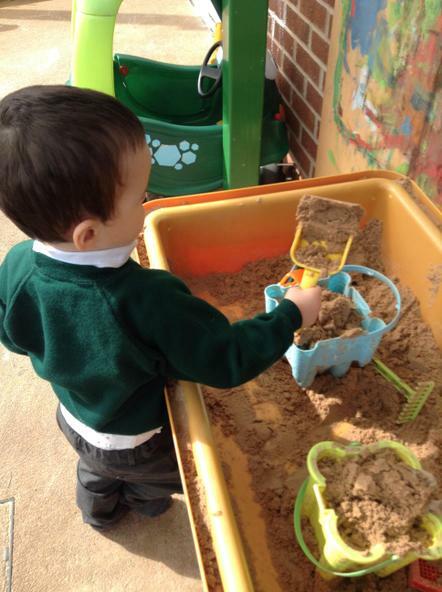 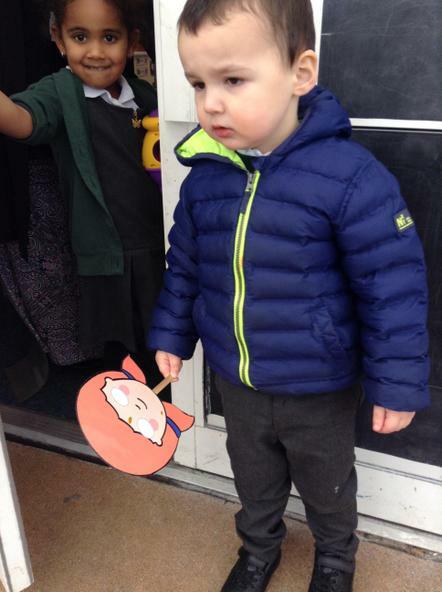 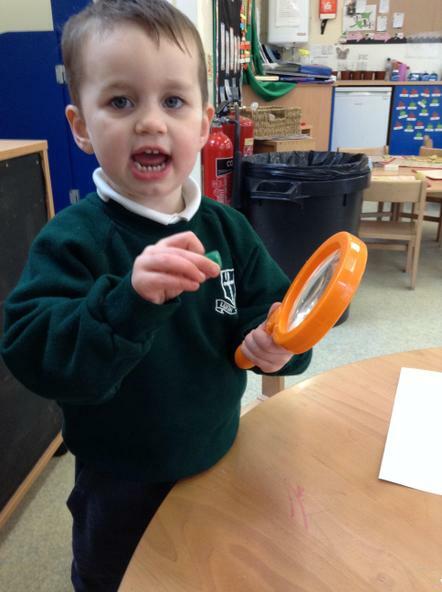 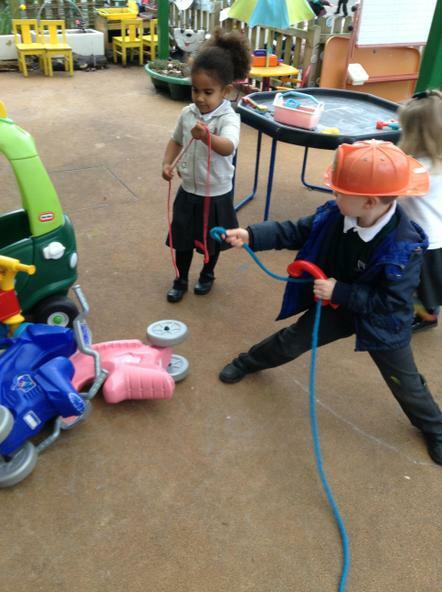 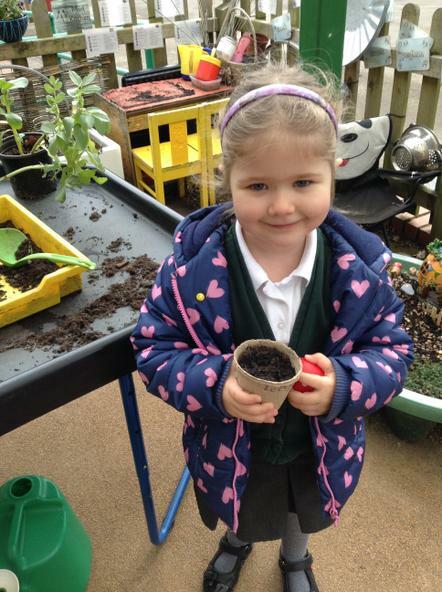 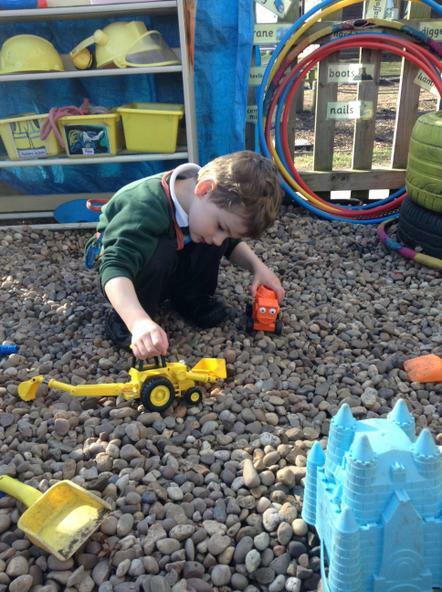 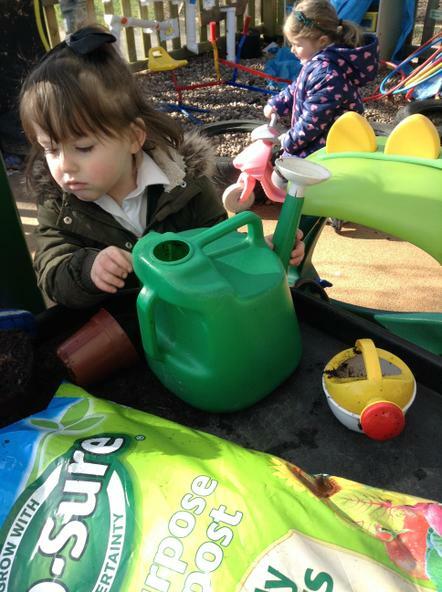 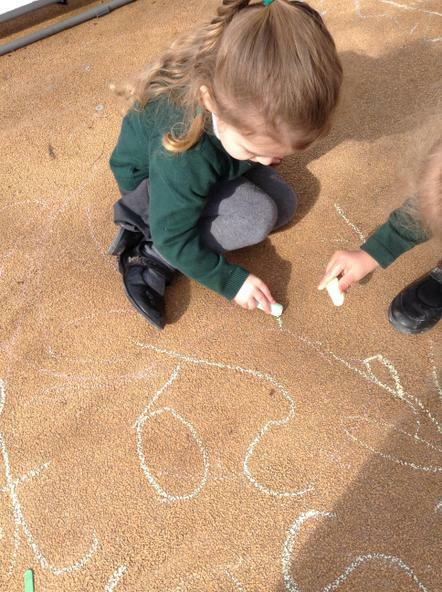 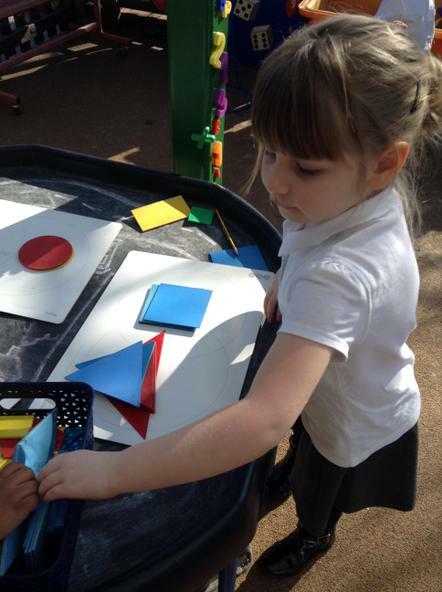 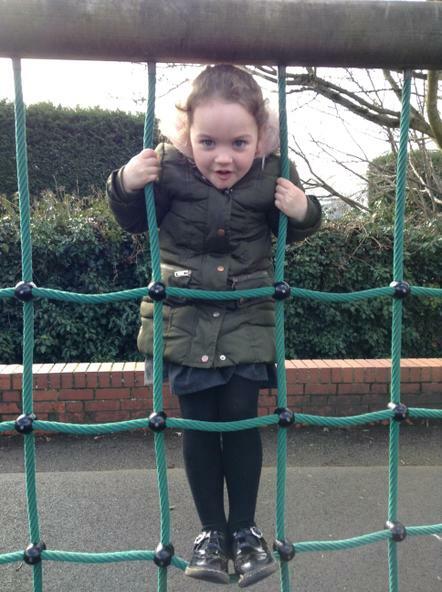 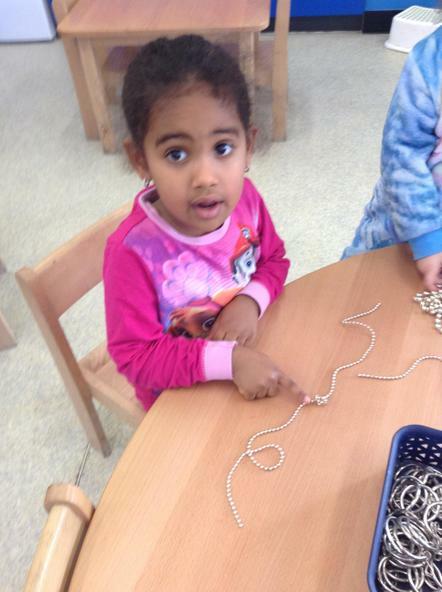 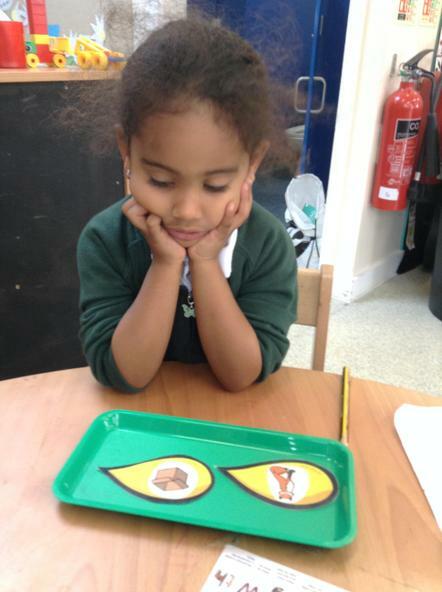 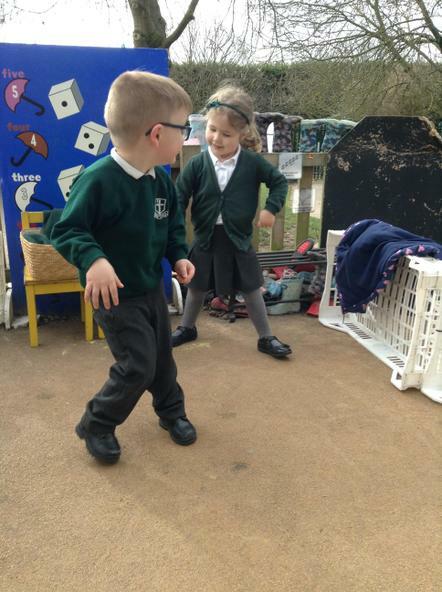 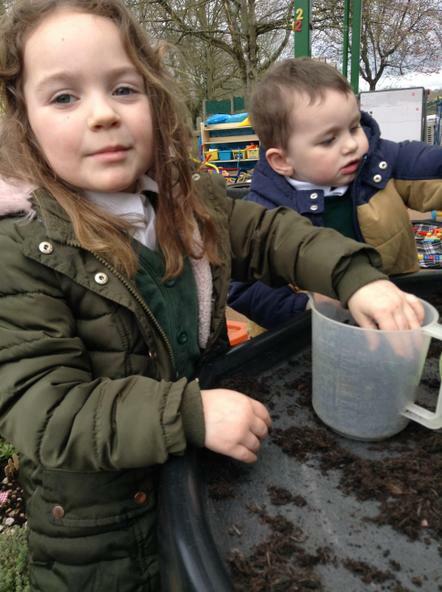 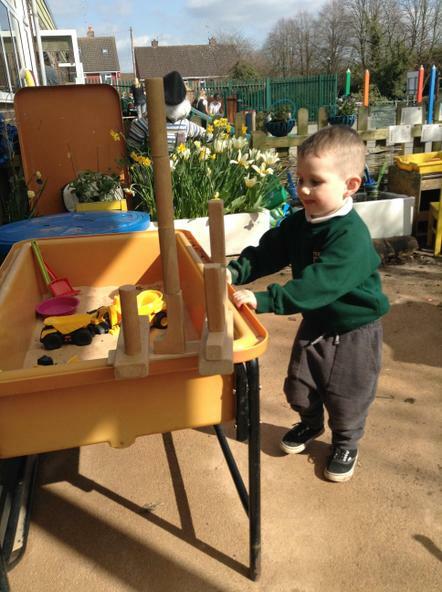 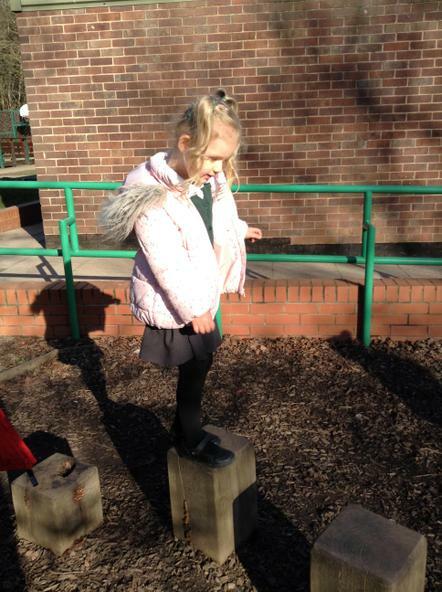 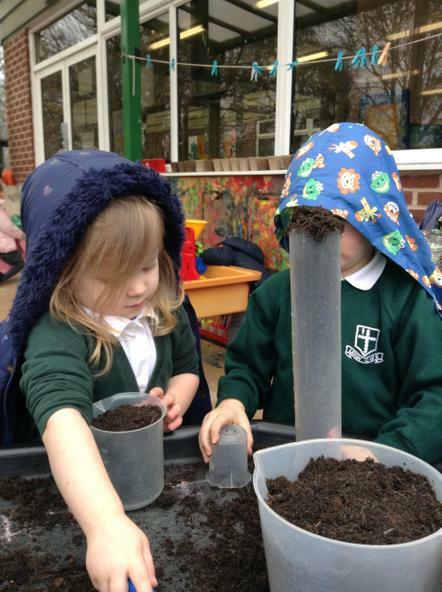 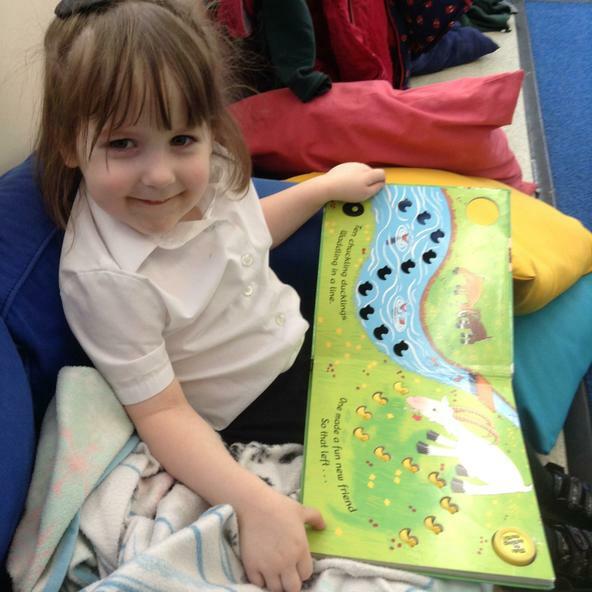 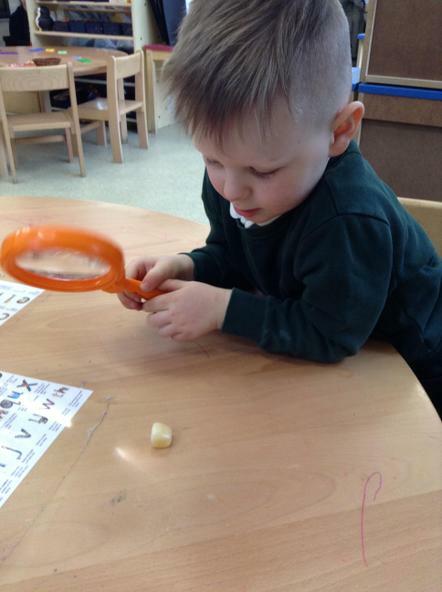 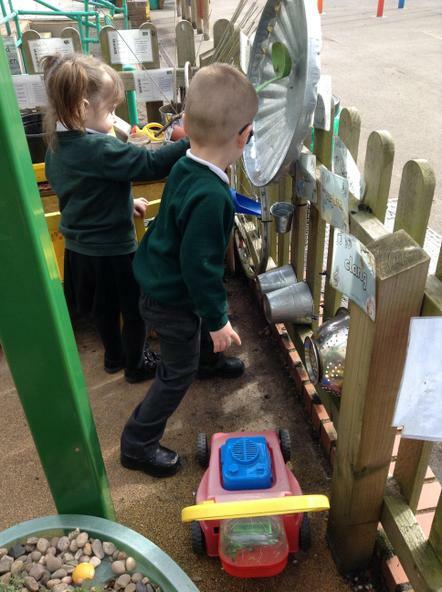 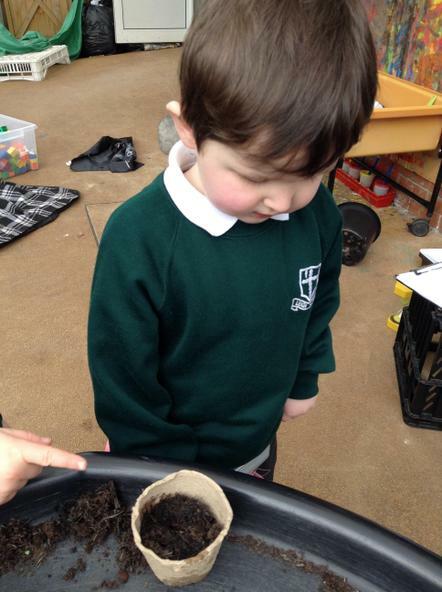 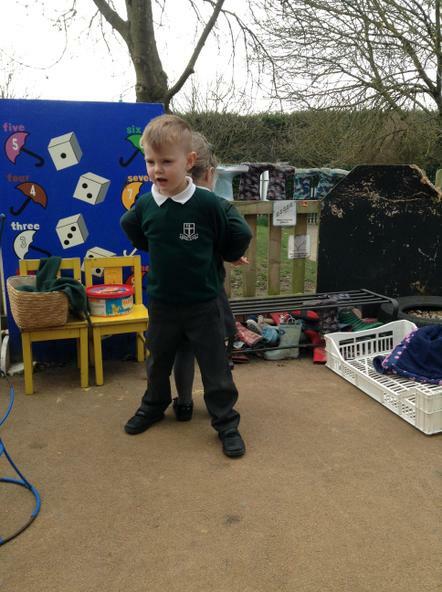 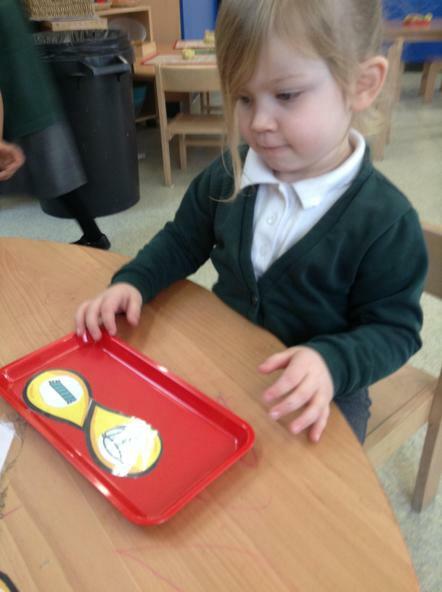 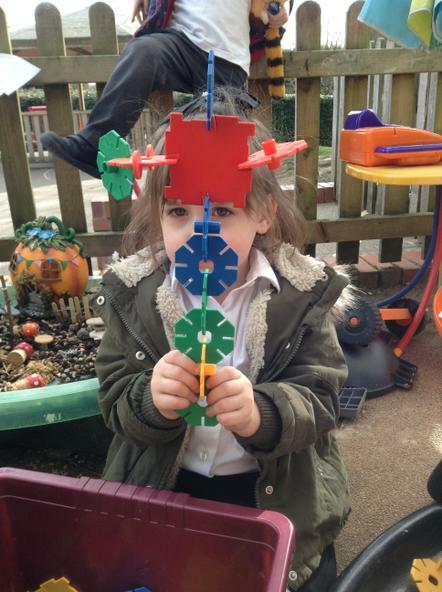 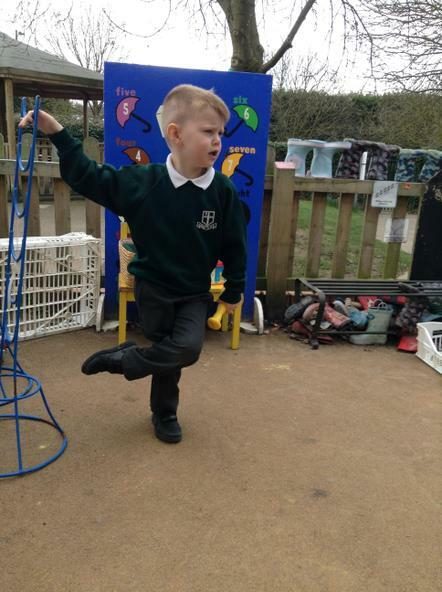 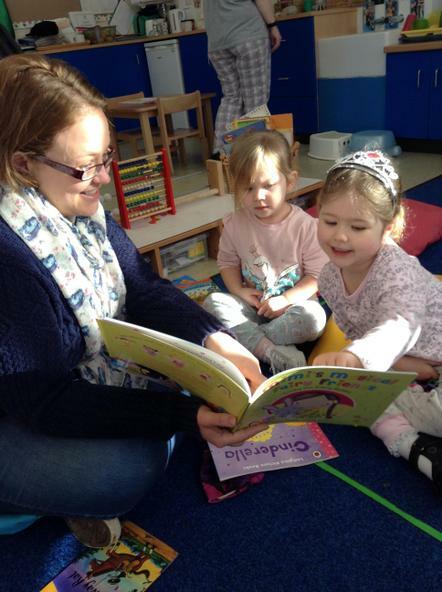 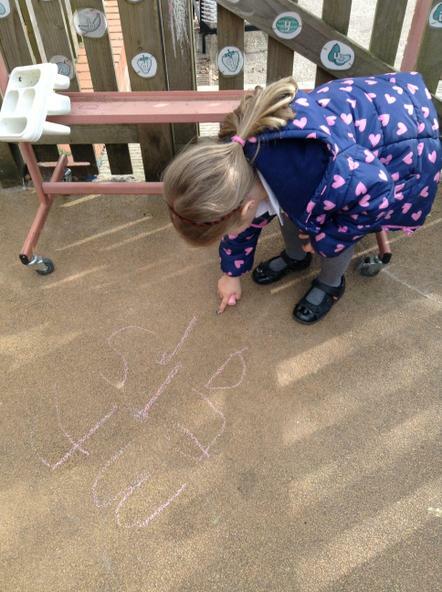 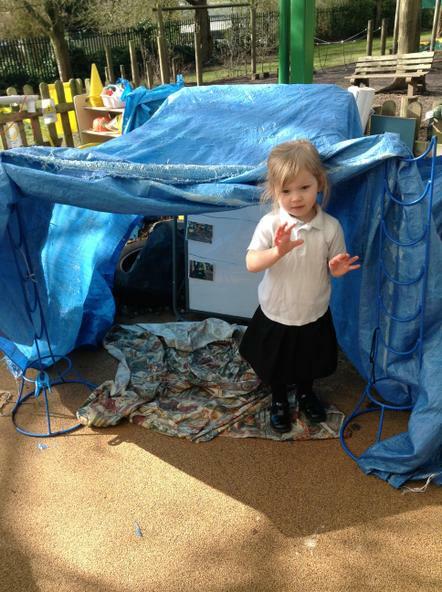 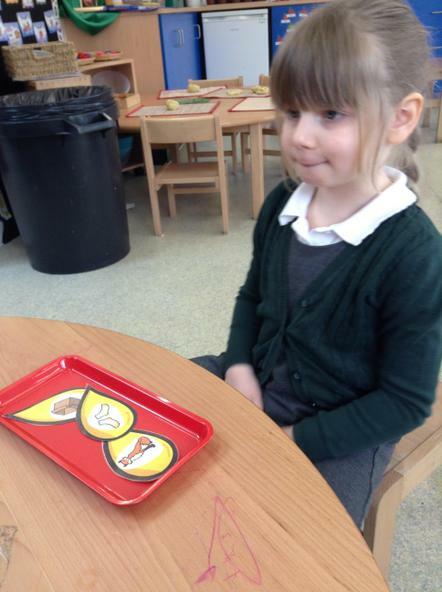 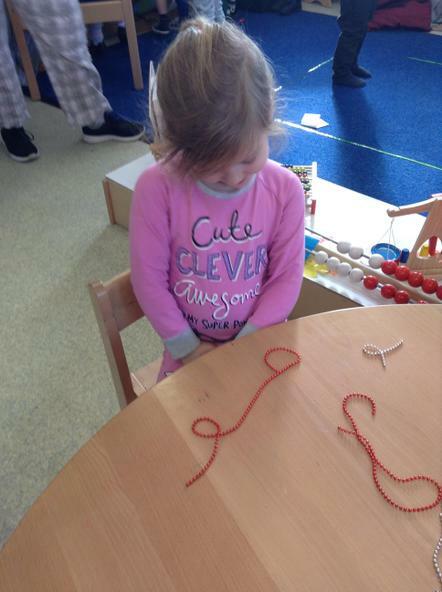 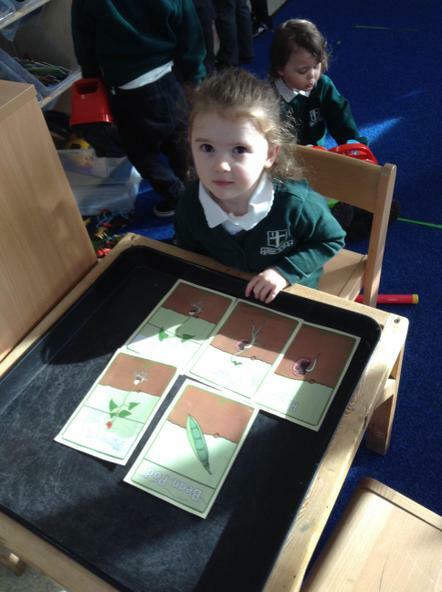 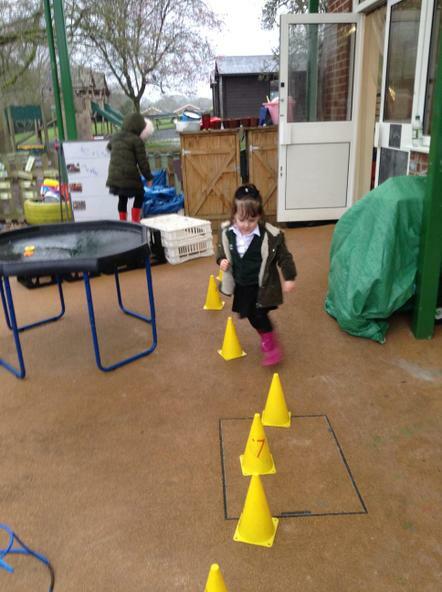 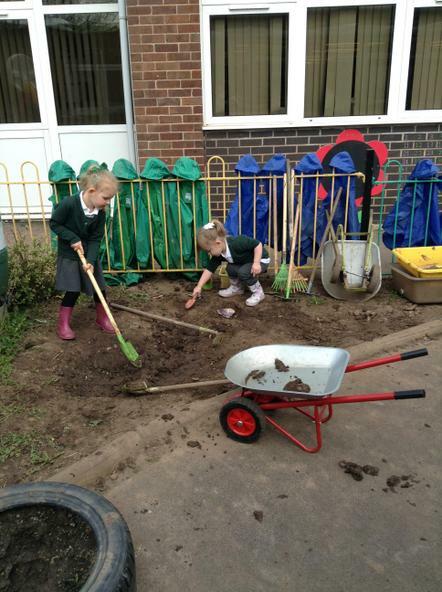 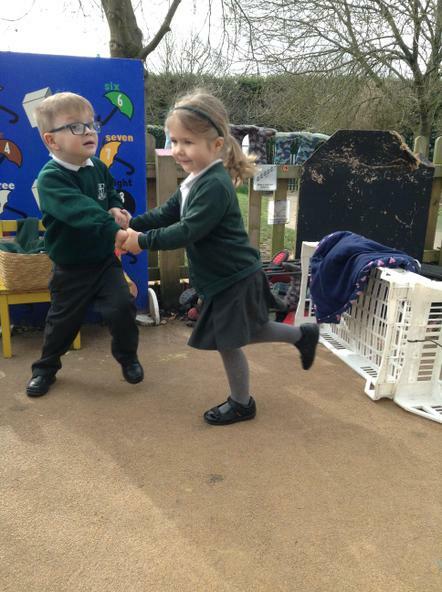 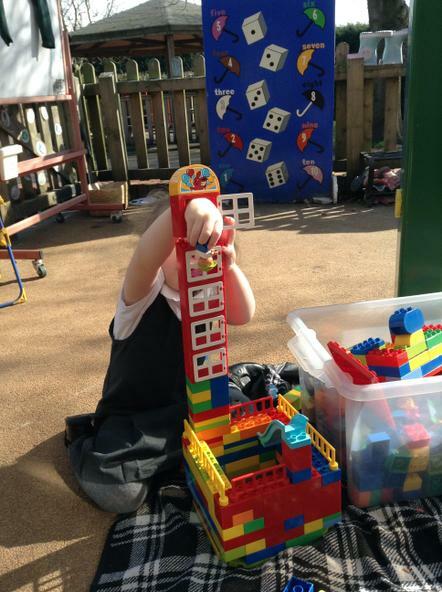 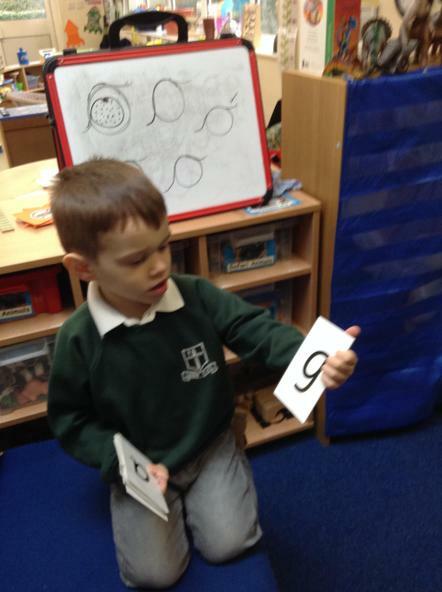 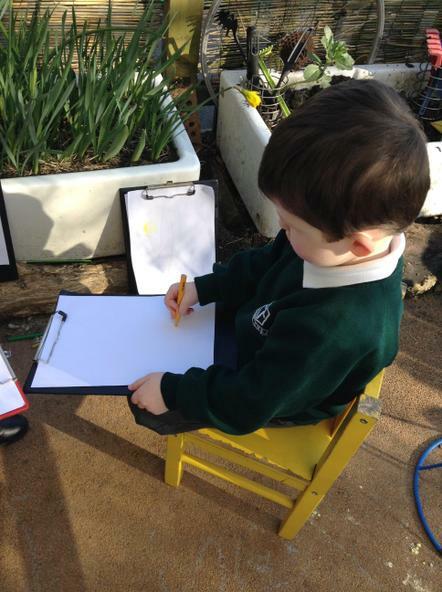 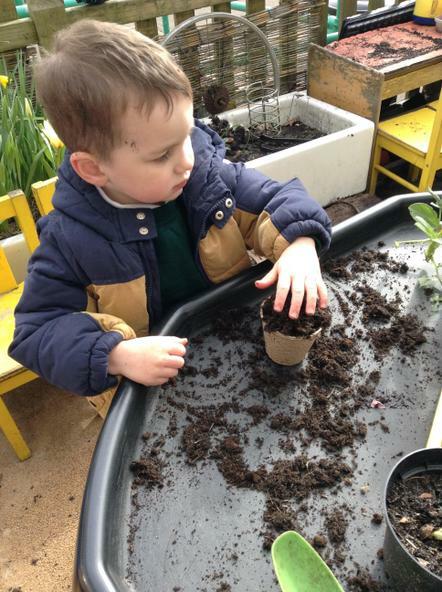 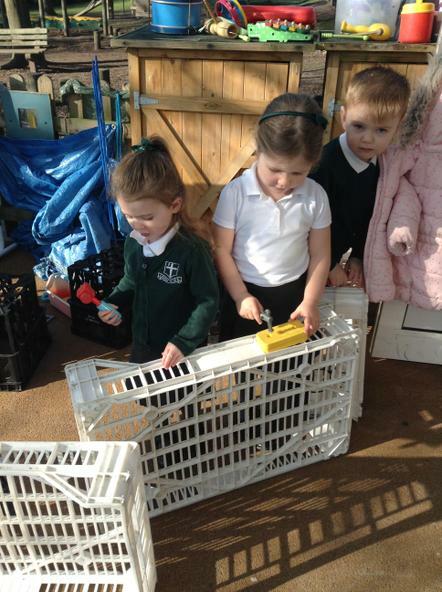 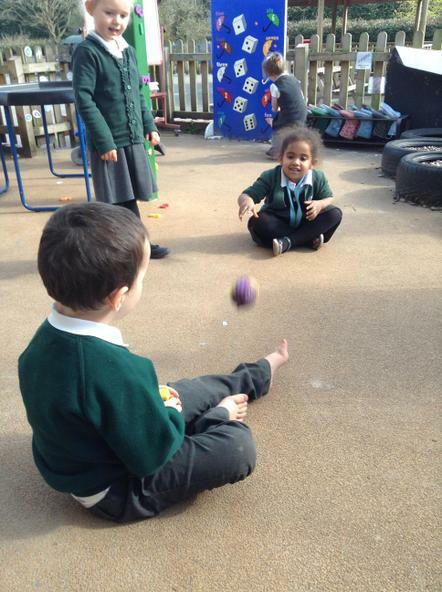 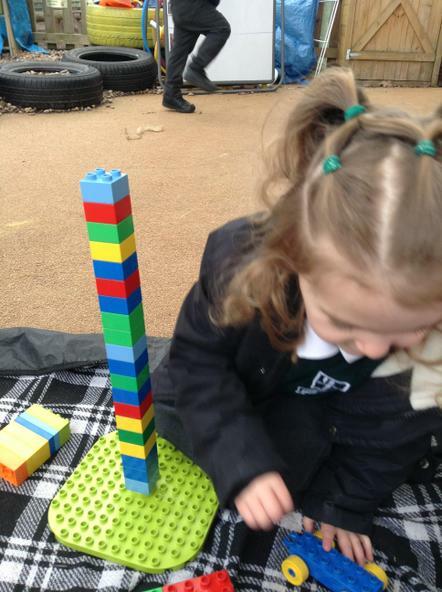 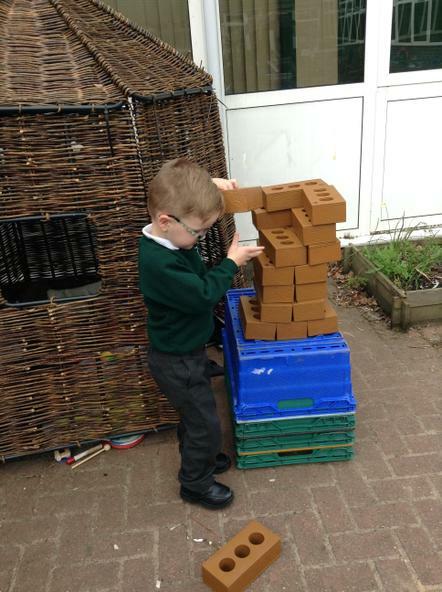 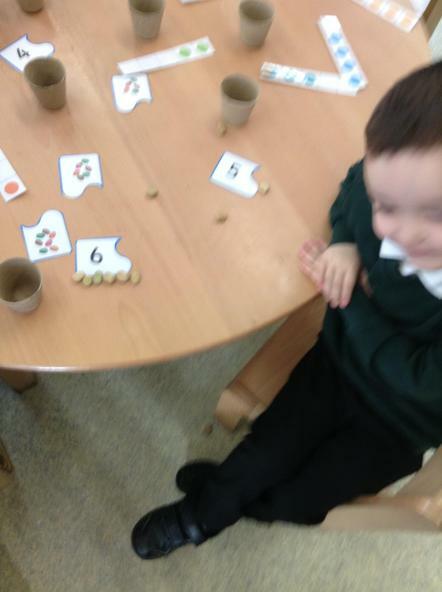 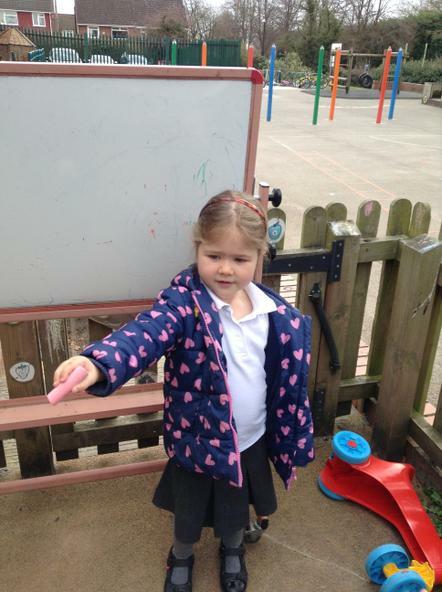 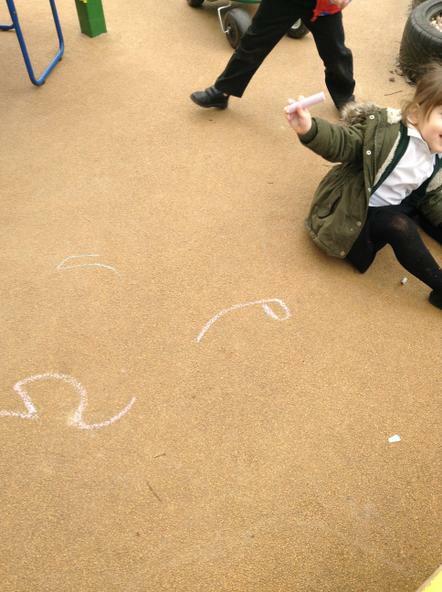 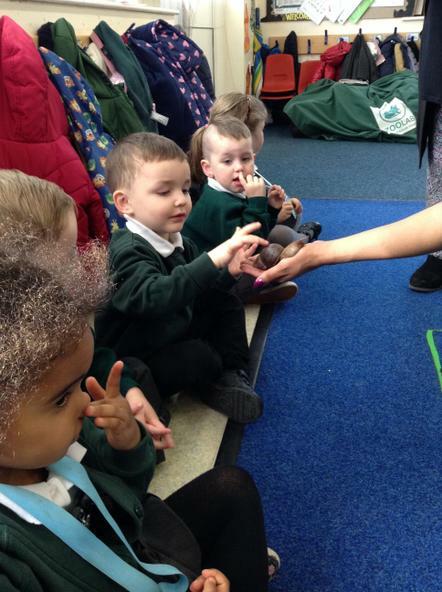 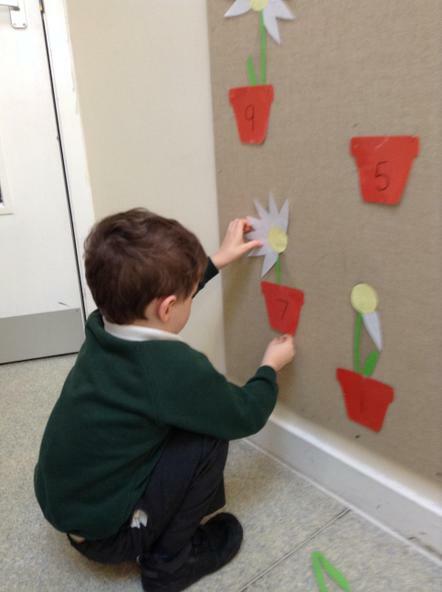 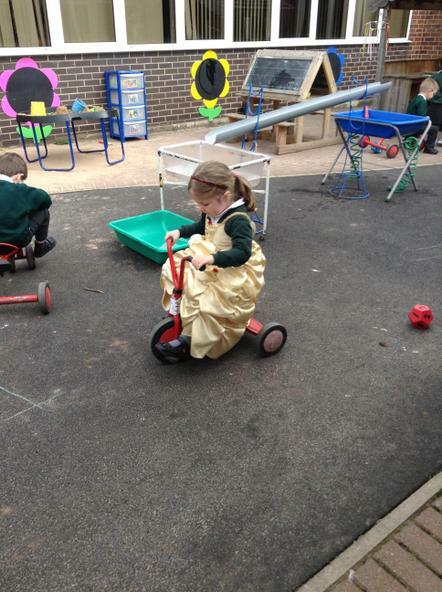 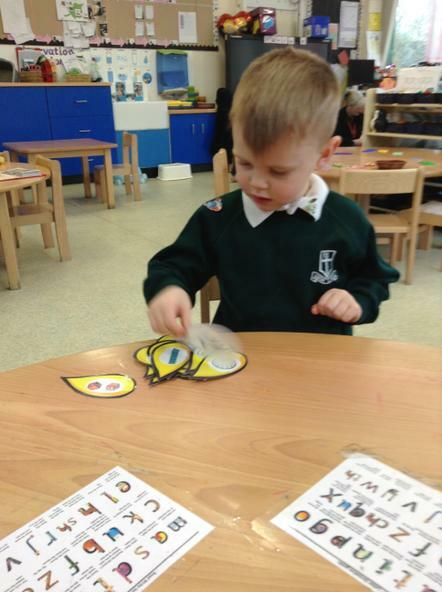 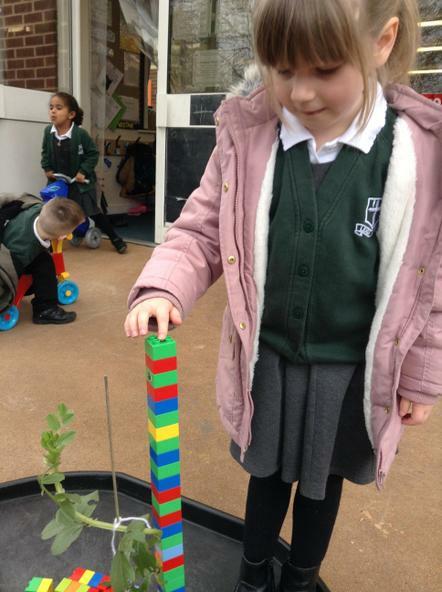 In our nursery we always ask the children what they are learning rather than what are they 'playing'. 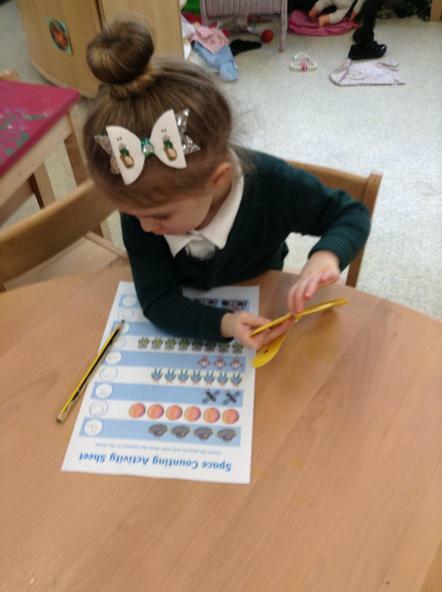 To find out about our termly curriculum in more detail please follow the link to look at our curriculum maps. 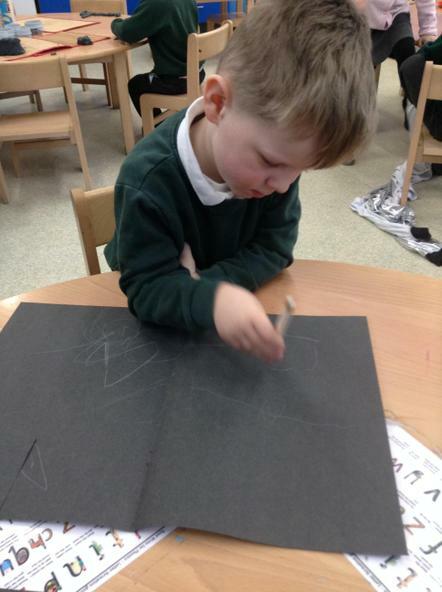 Please keep coming back to this page to find out what we have been doing. 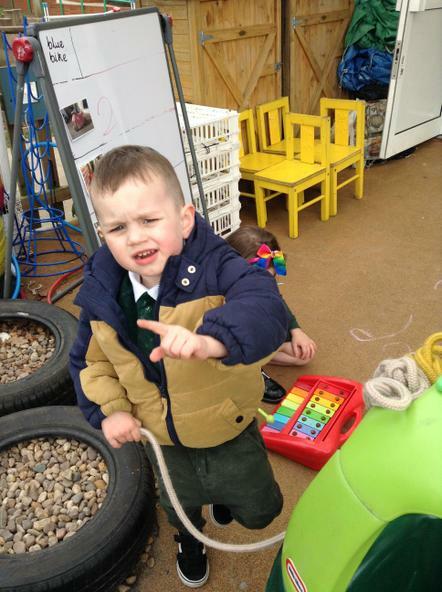 We will also post any useful information or links that may be of interest to you. 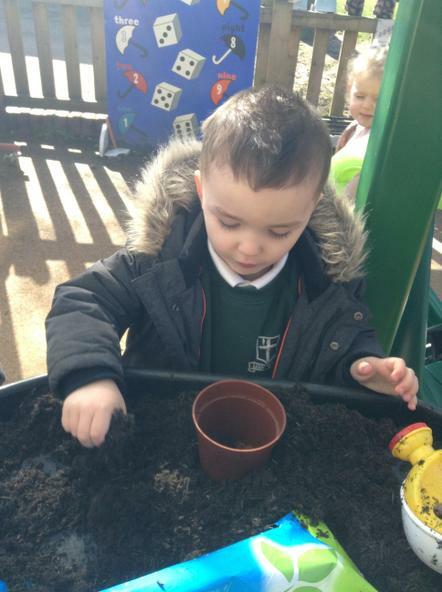 Well we are over half way through our second half of the Spring term and we have been doing so much learning! 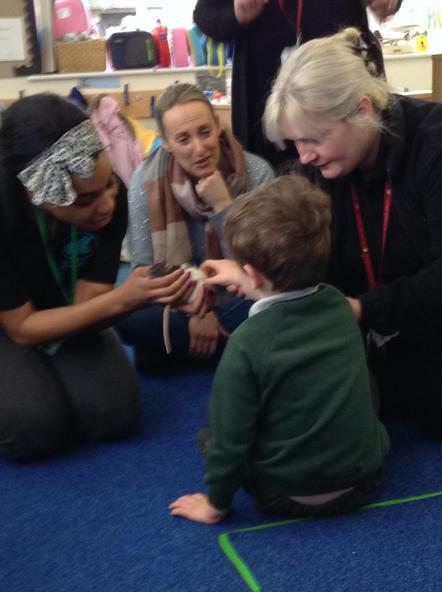 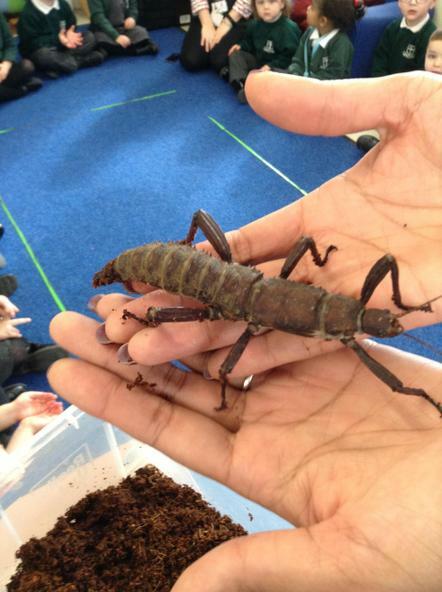 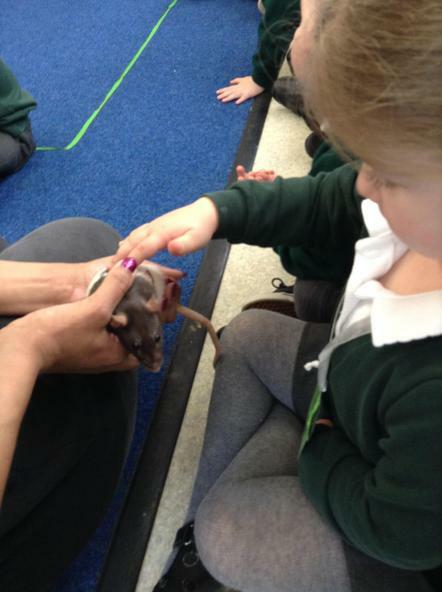 We have focused a lot on planting and growth but there has also been many fundraising events and our visit from the zoo lab. 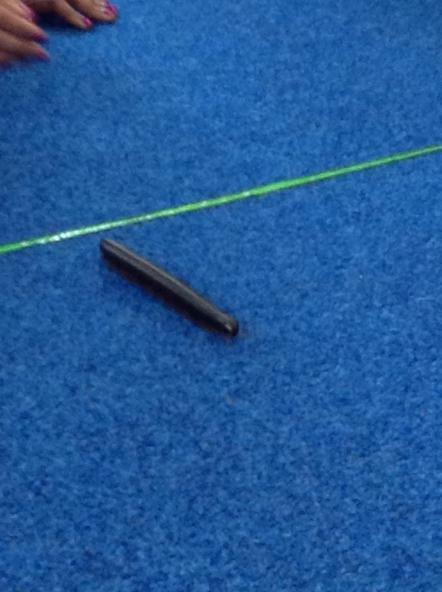 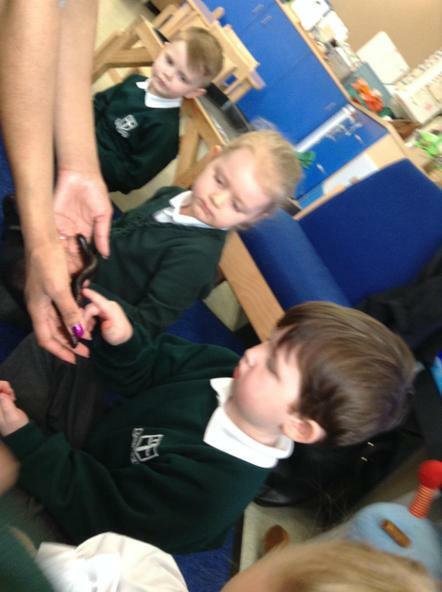 Not to mention our science week way back at the start of this second half of the term. 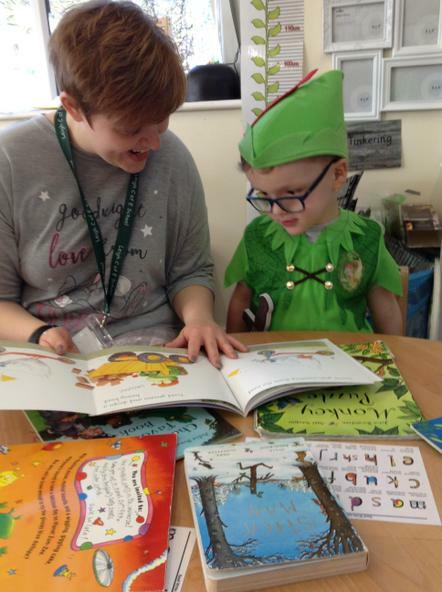 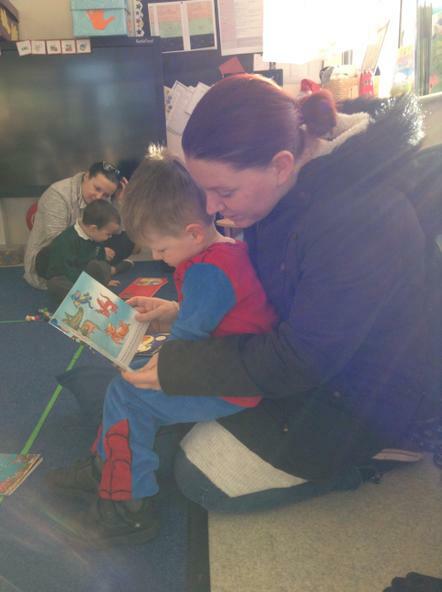 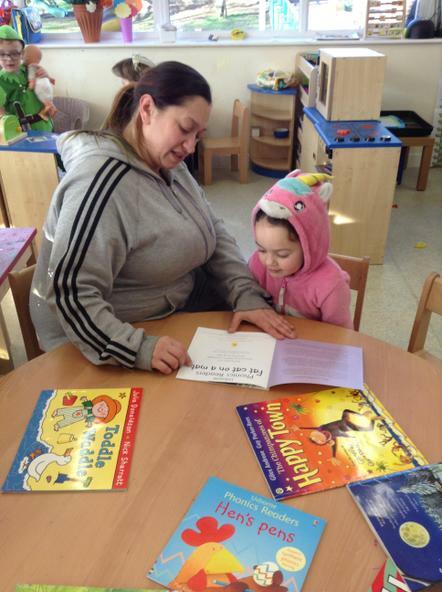 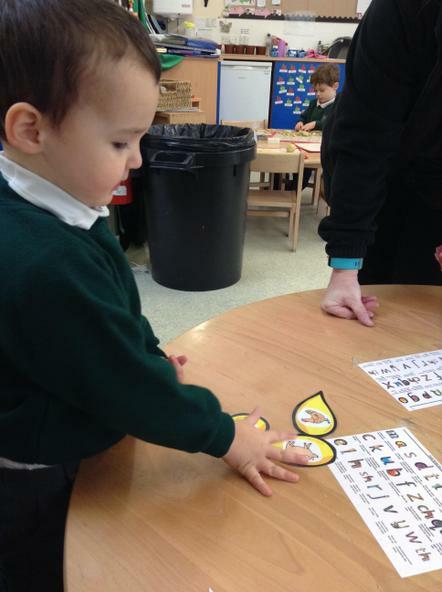 The children have also begun to learn the sounds of the letters through daily Read, Write Inc lessons and I am very proud of how they are learning them so quickly. 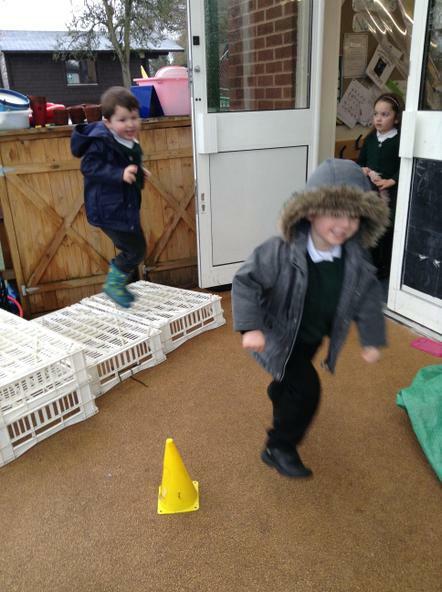 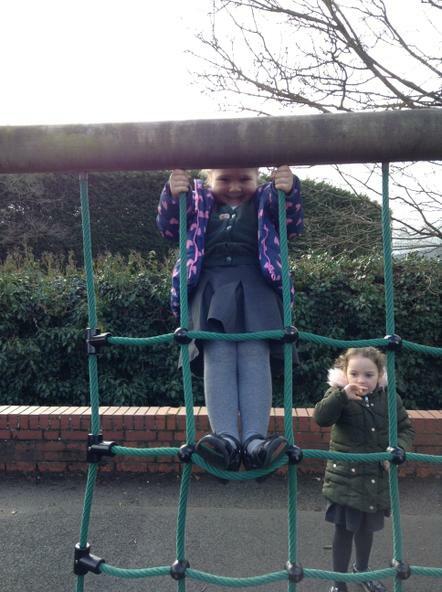 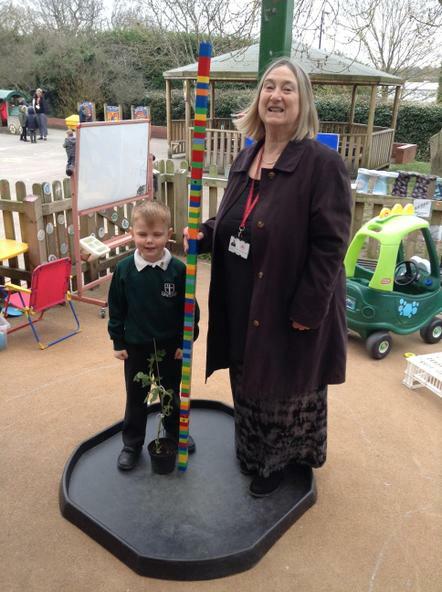 In fact all of the children's learning and attainment has made a huge jump this term. 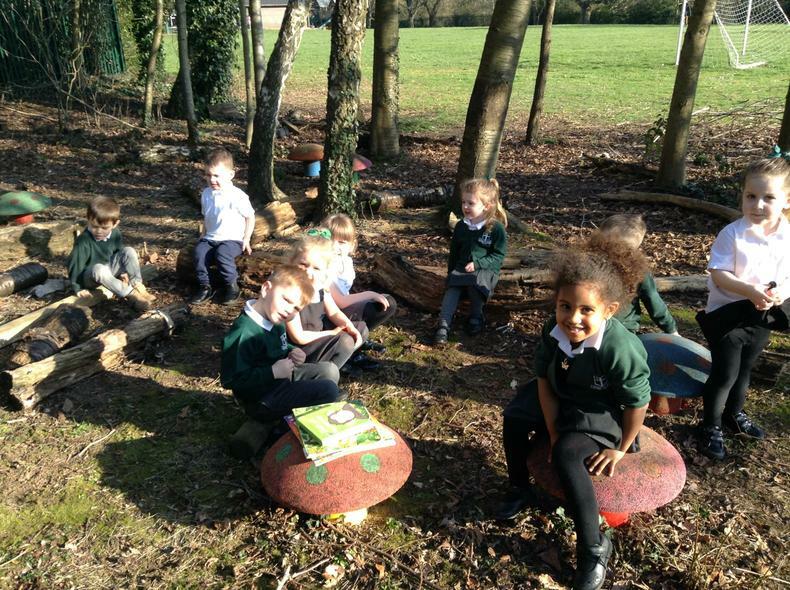 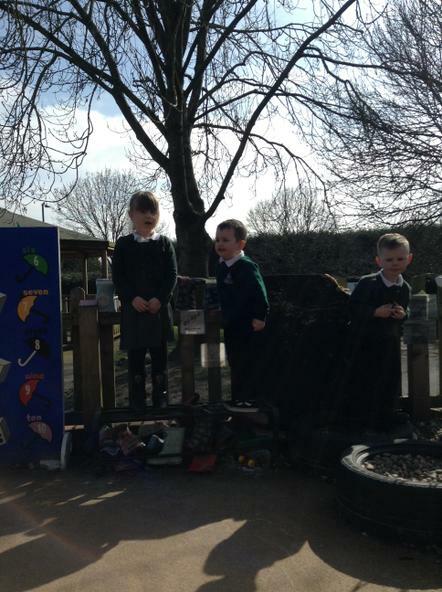 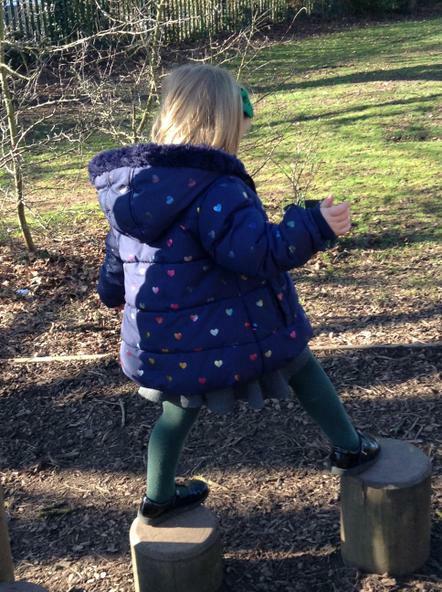 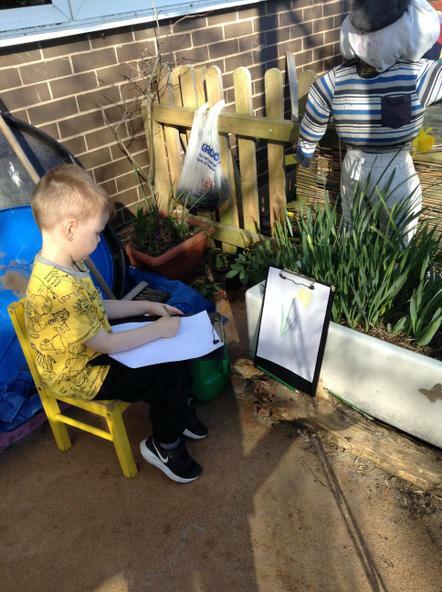 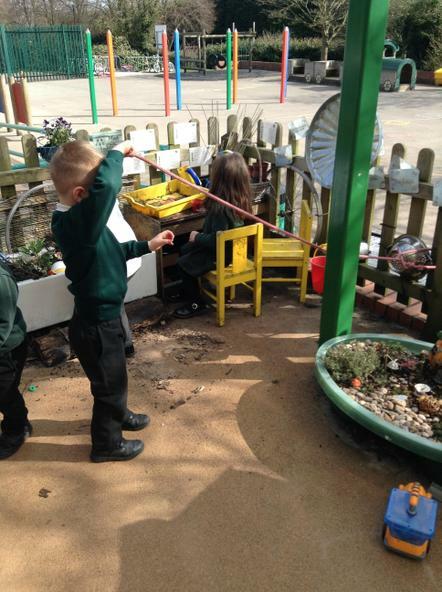 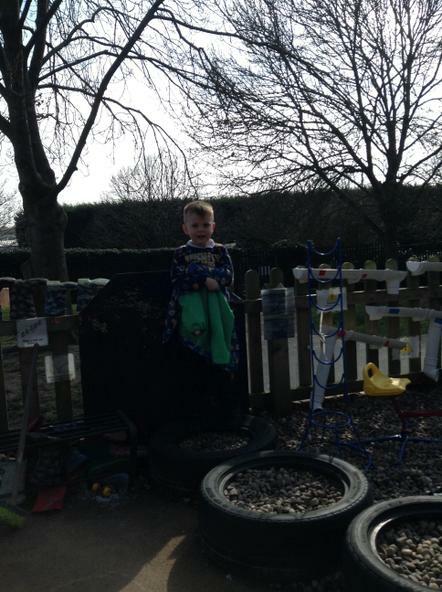 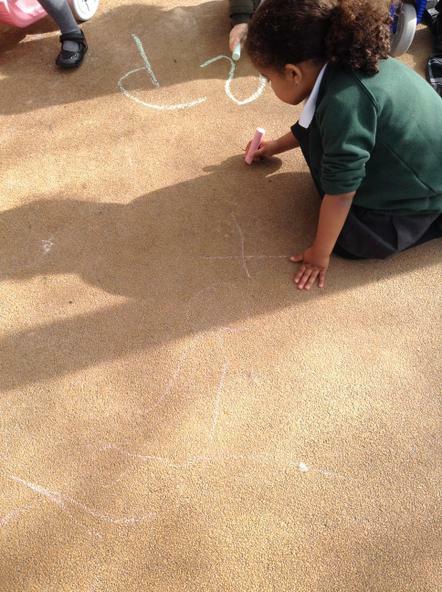 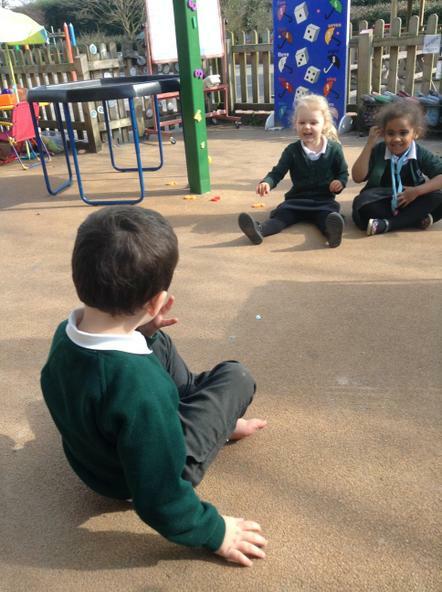 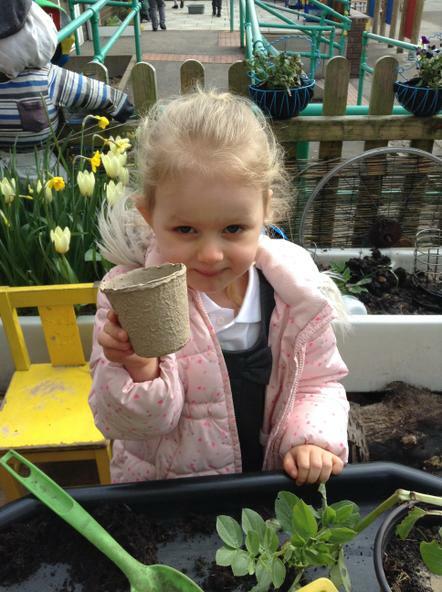 With the weather getting warmer we have been able to use our outdoor area to its fullest, including using the field to look for signs of Spring and getting to sit in our Forest School area to listen to stories. 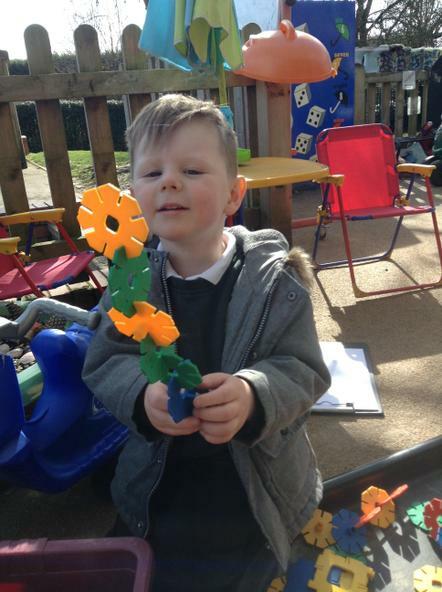 We still have the Mothers day service, our Easter Service at church and our annual Easter crafts event ahead of us and we hope that all of the parents can come and make some crafts with their child. 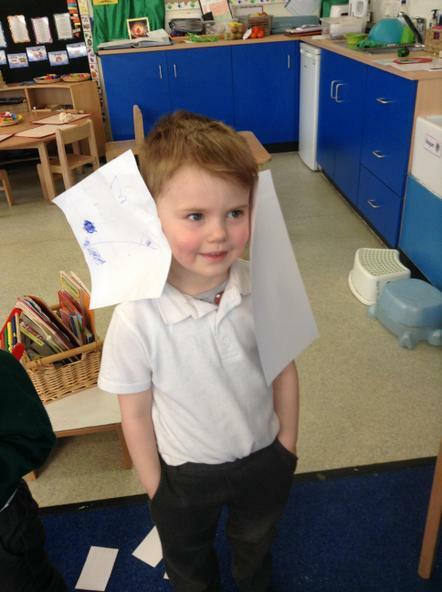 Don't forget to make those Easter bonnets for the parade! 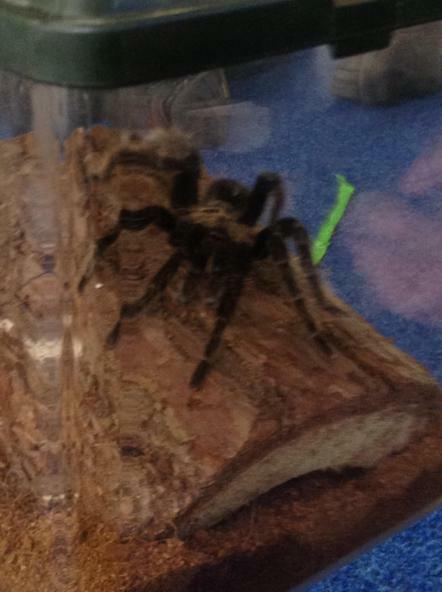 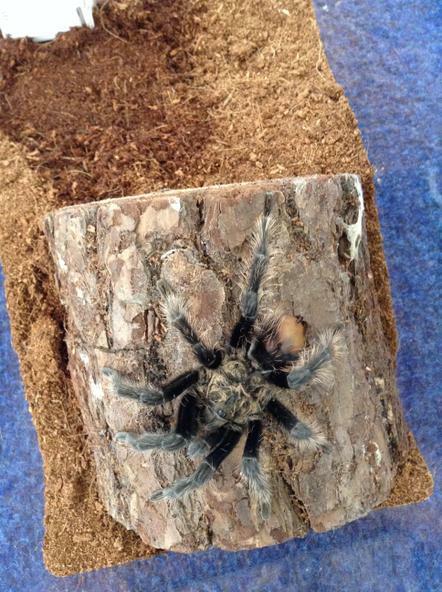 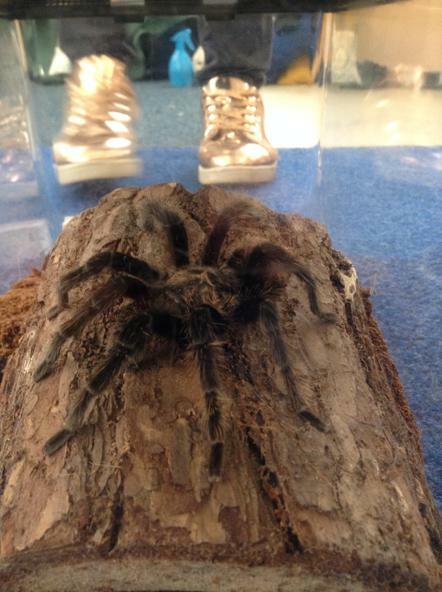 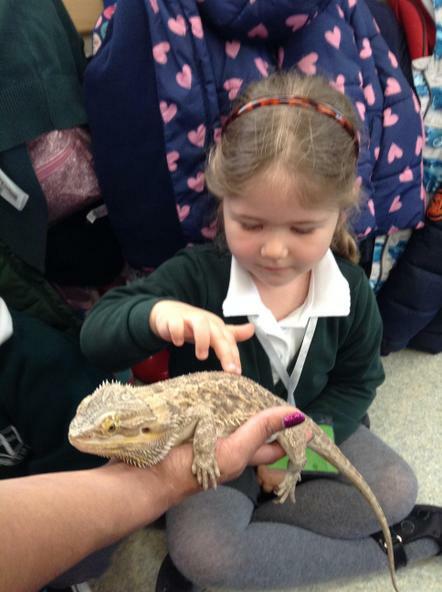 I have uploaded the photographs from the Zoolab event. 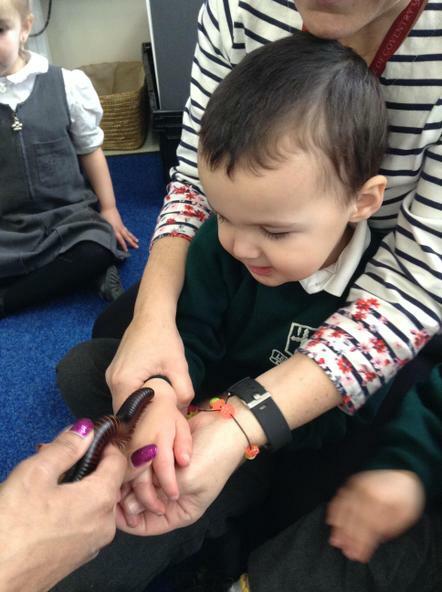 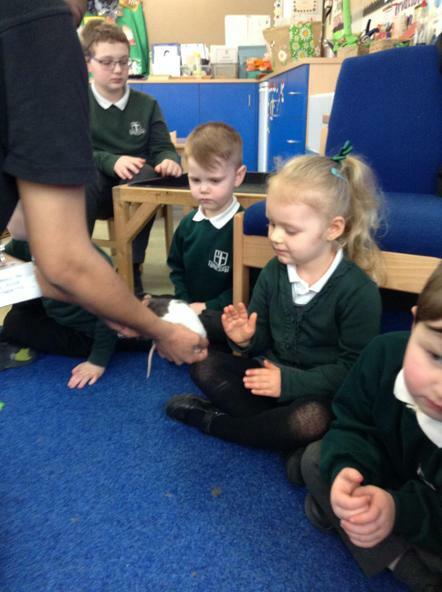 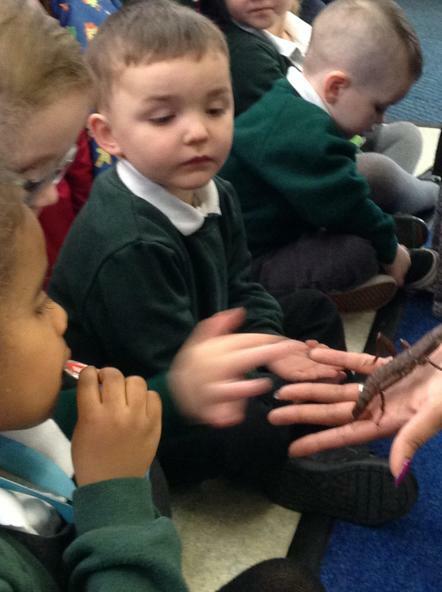 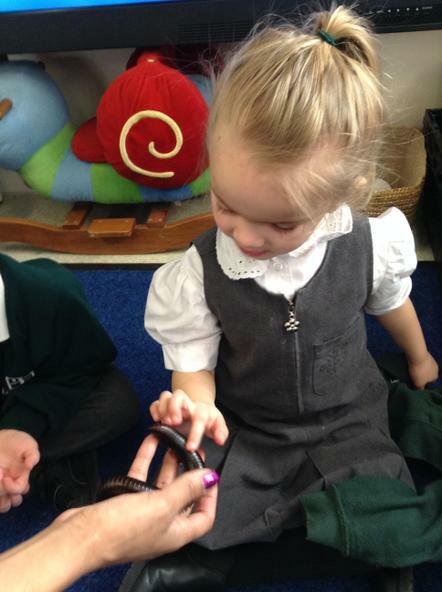 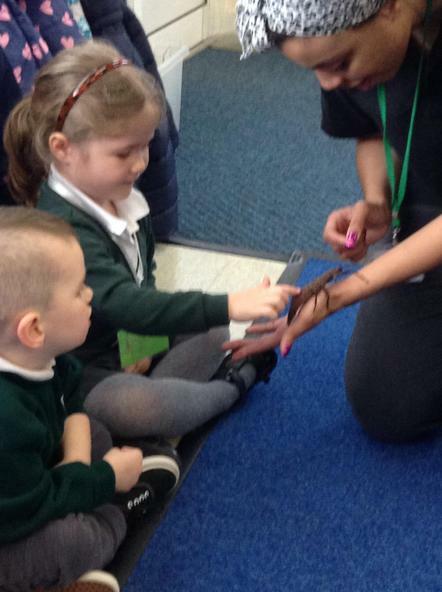 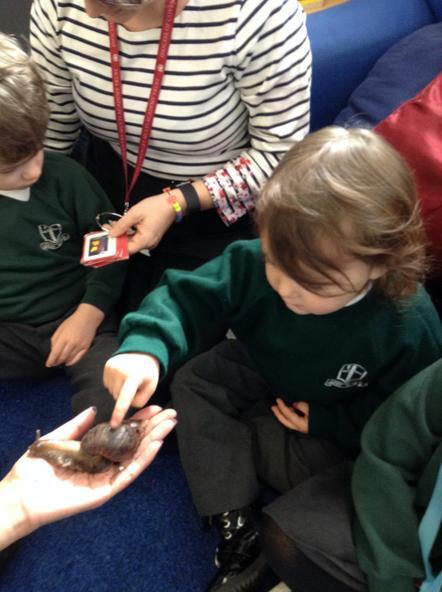 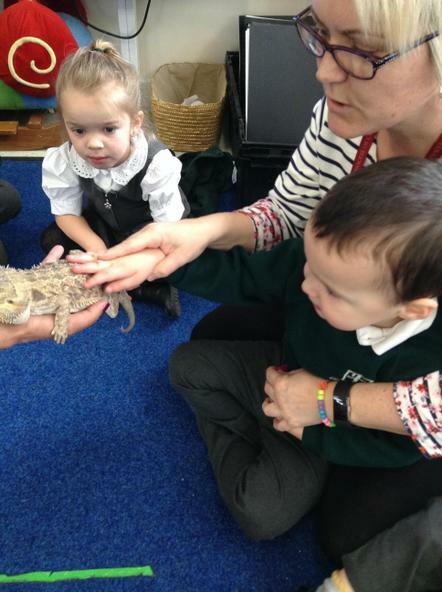 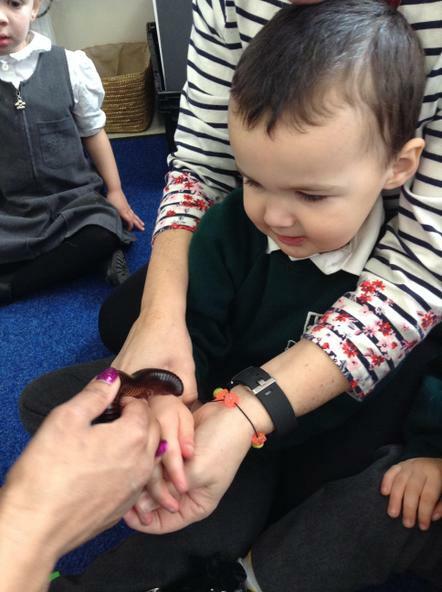 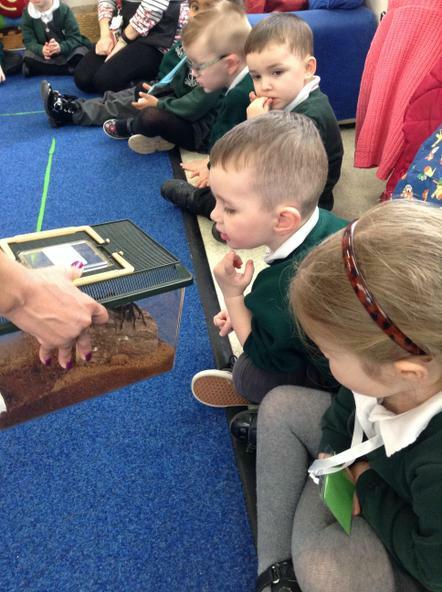 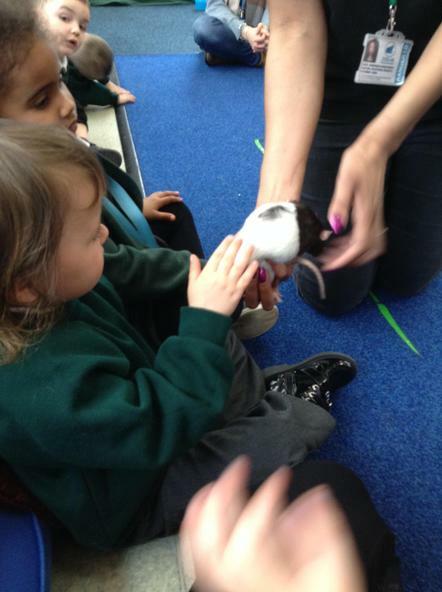 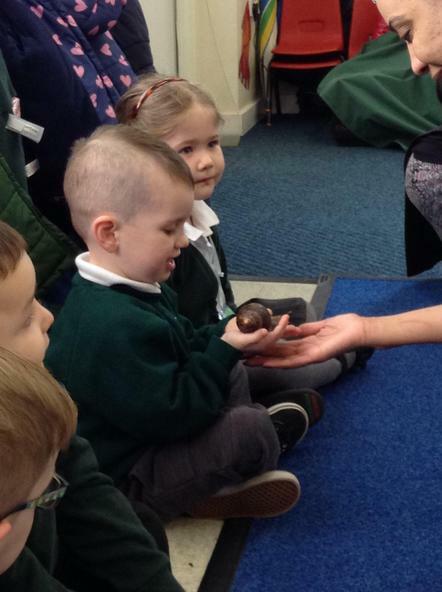 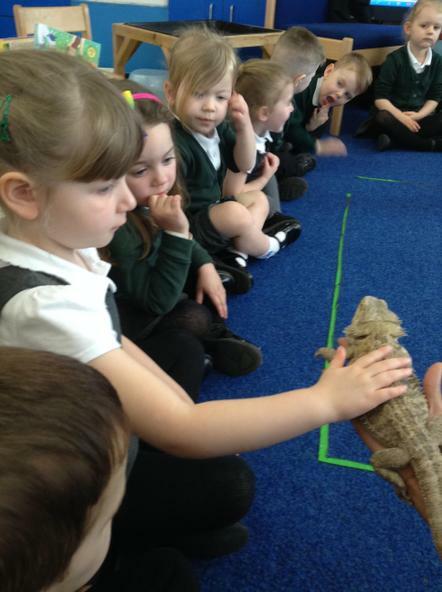 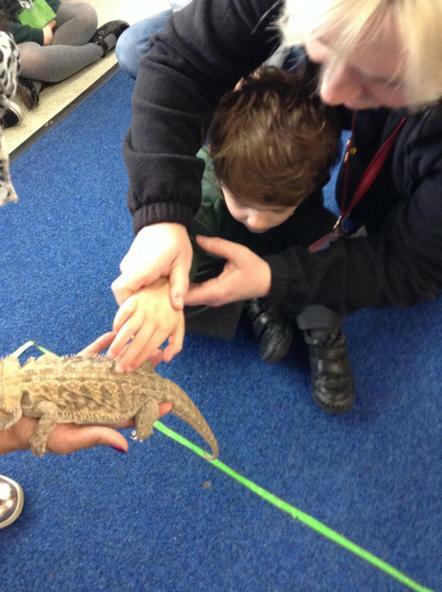 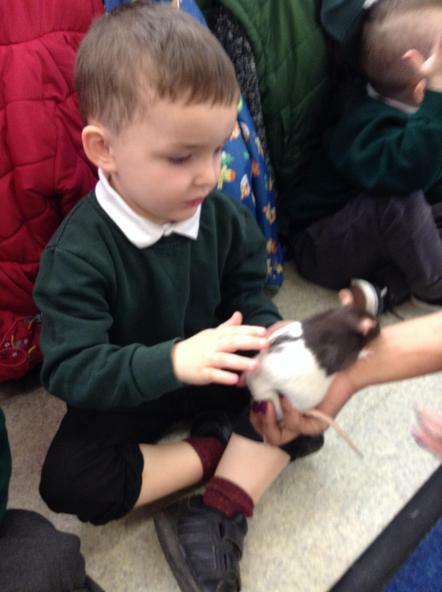 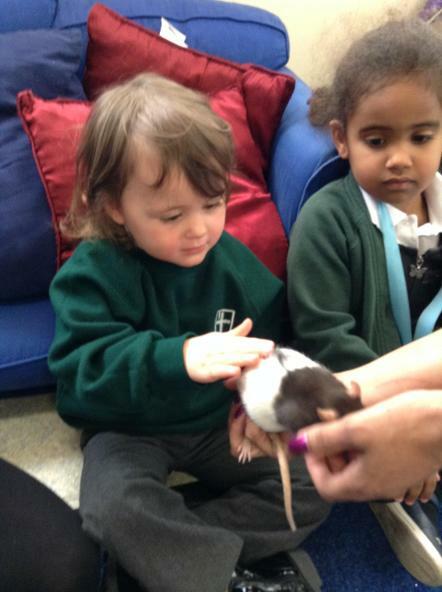 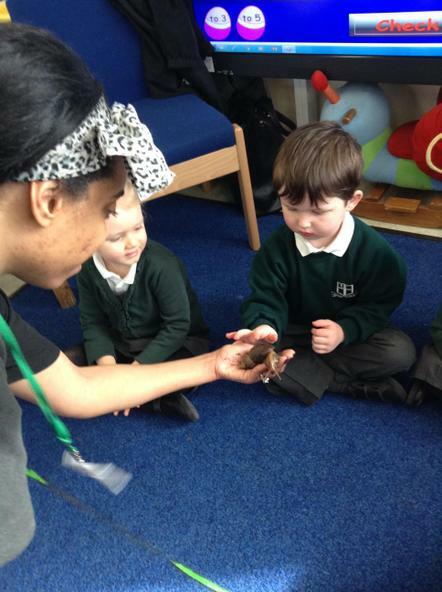 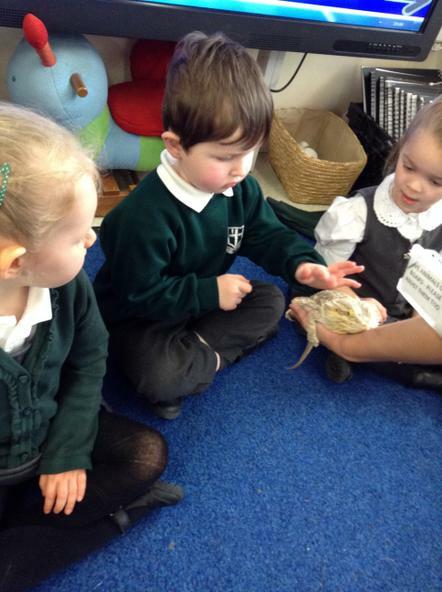 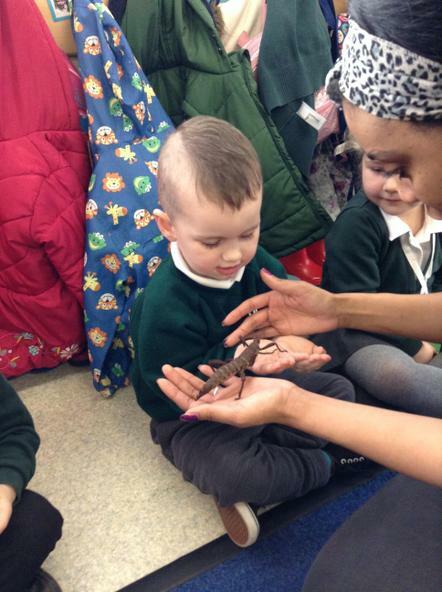 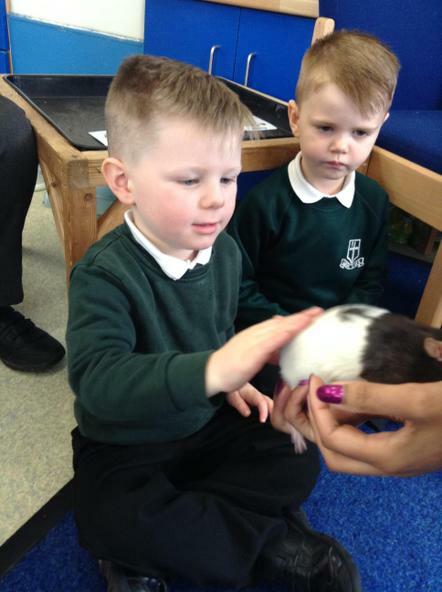 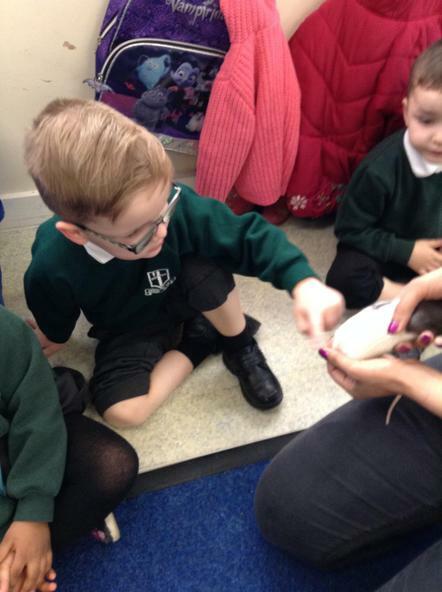 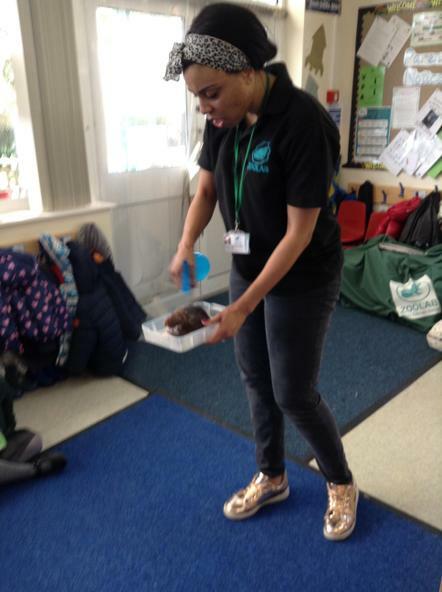 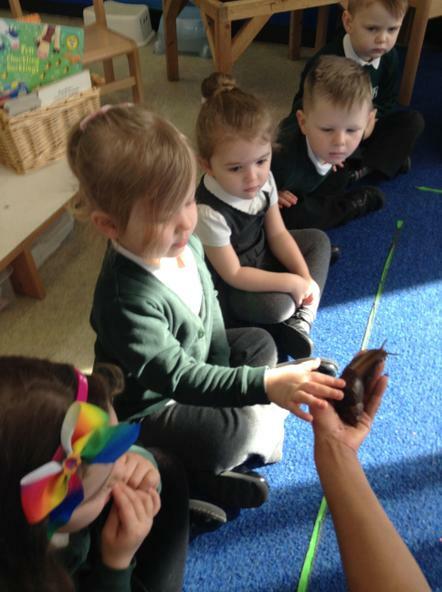 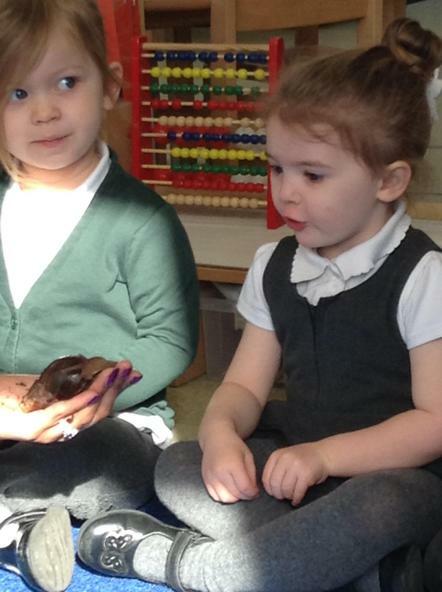 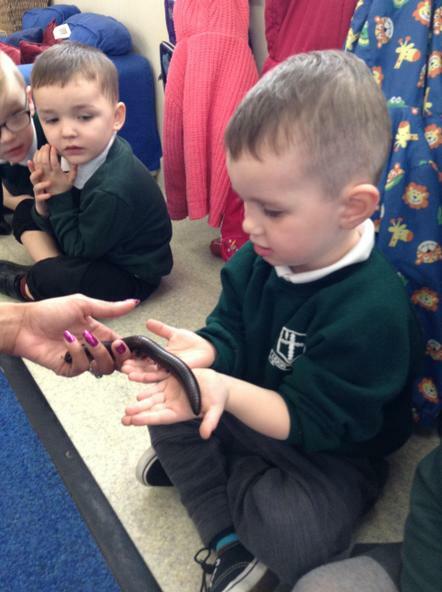 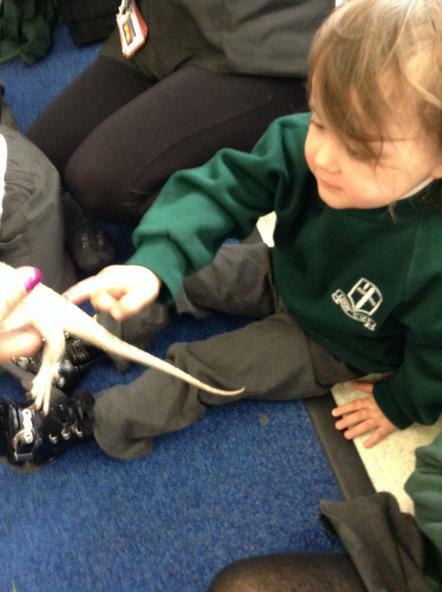 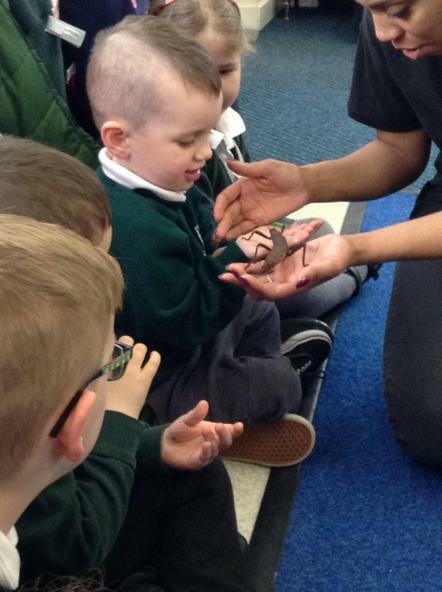 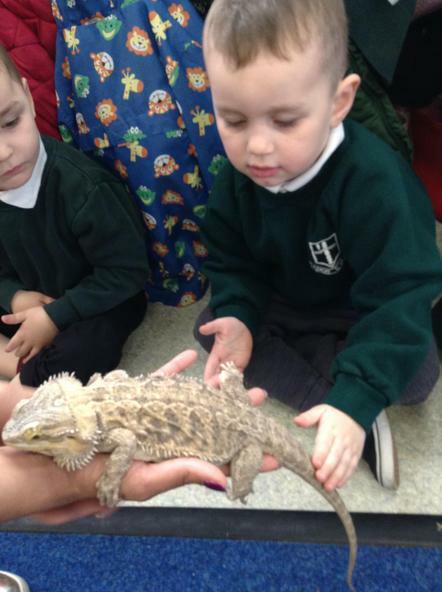 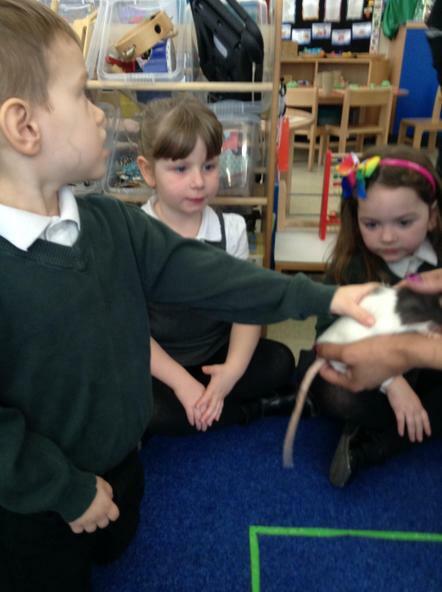 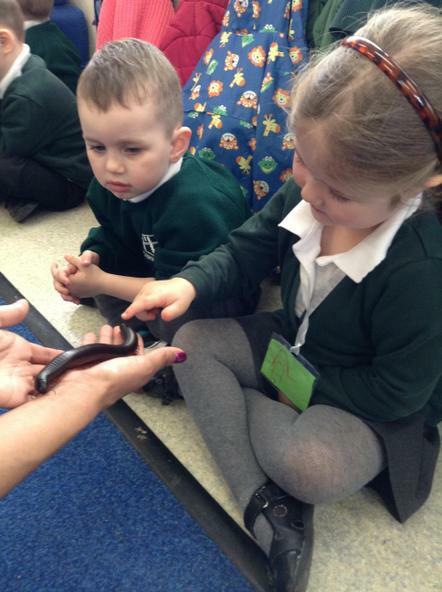 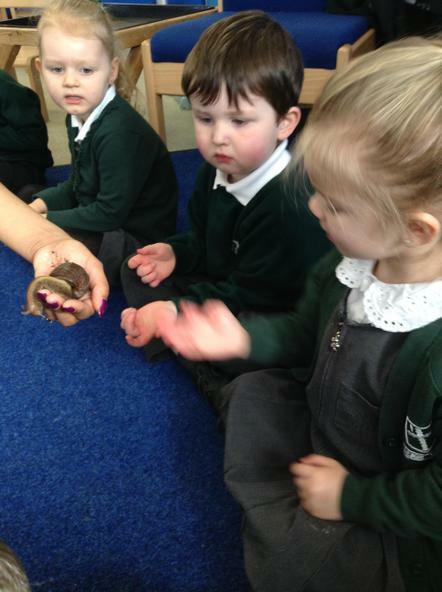 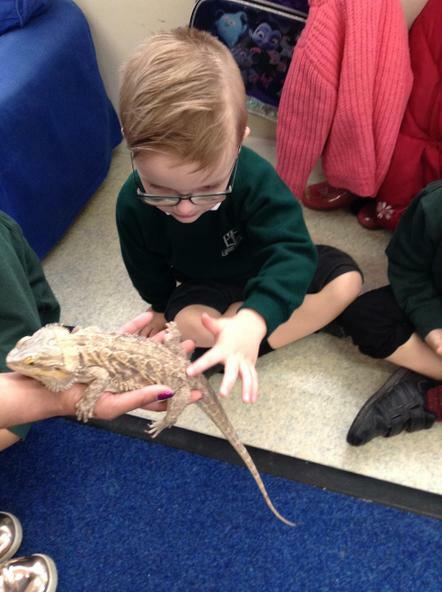 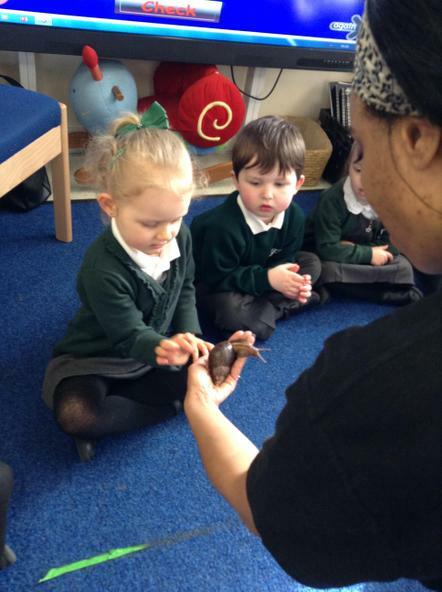 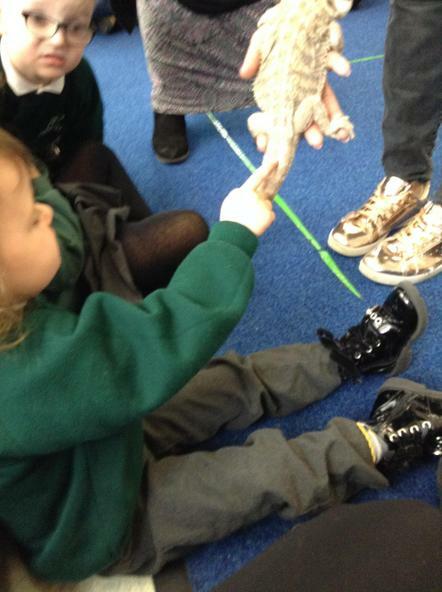 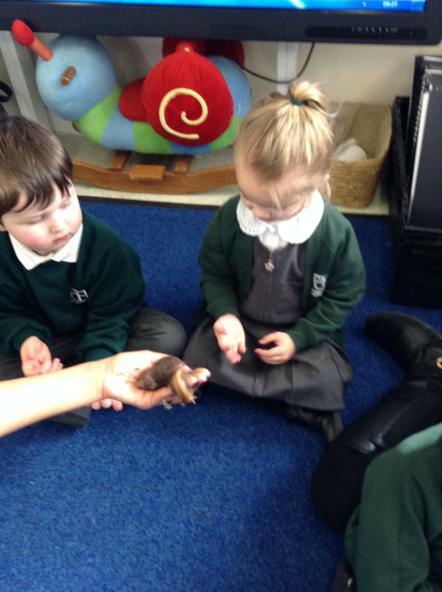 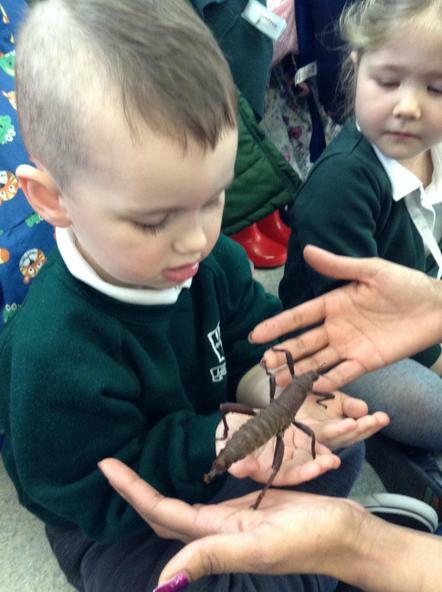 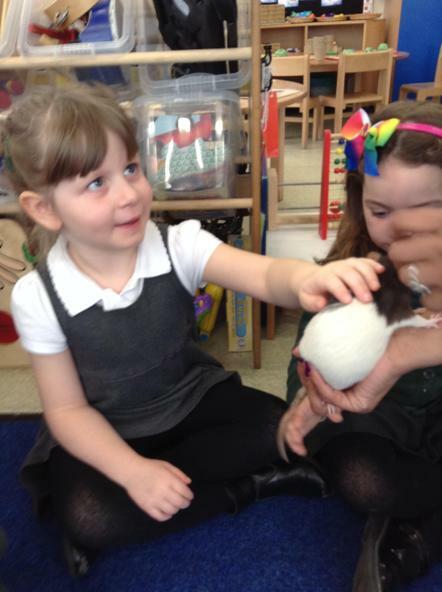 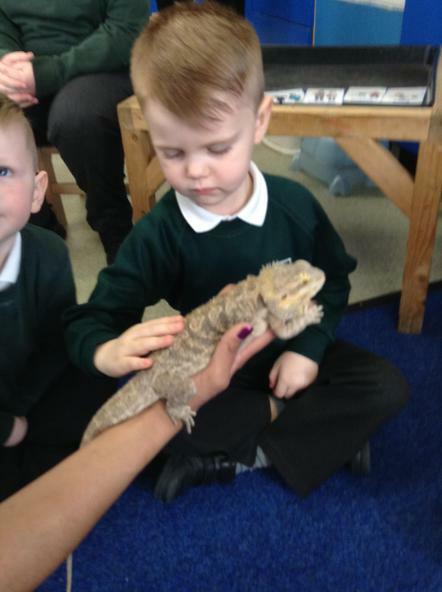 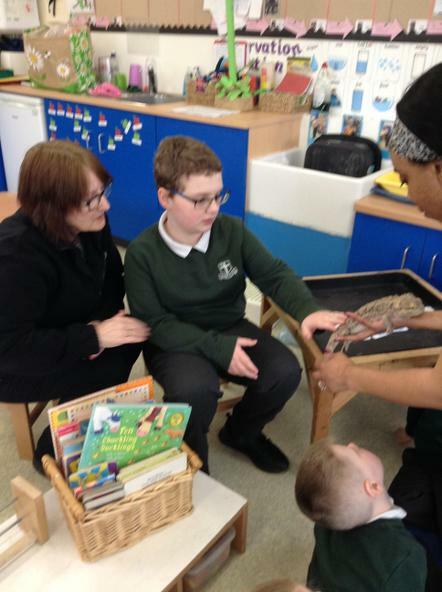 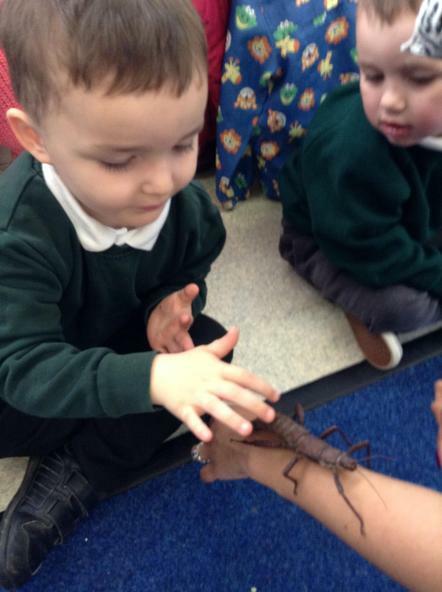 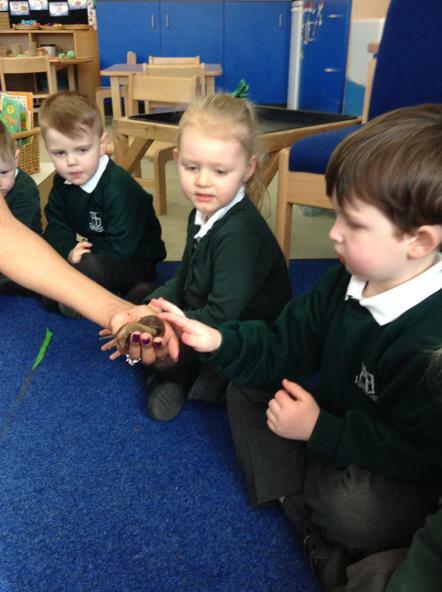 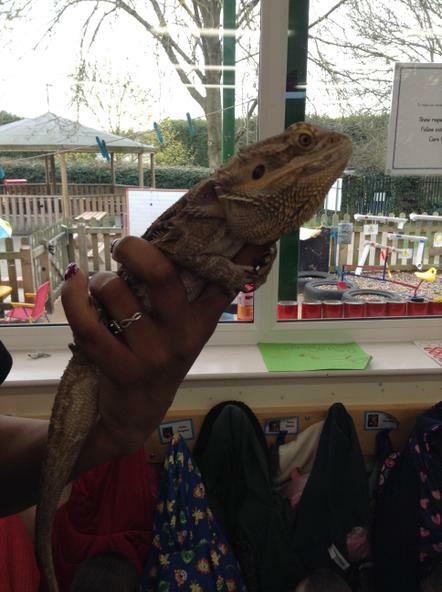 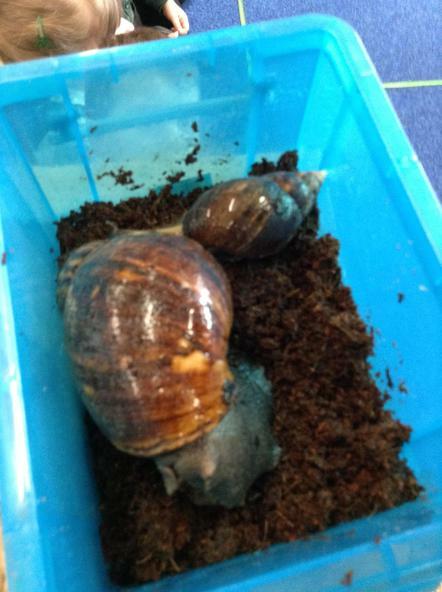 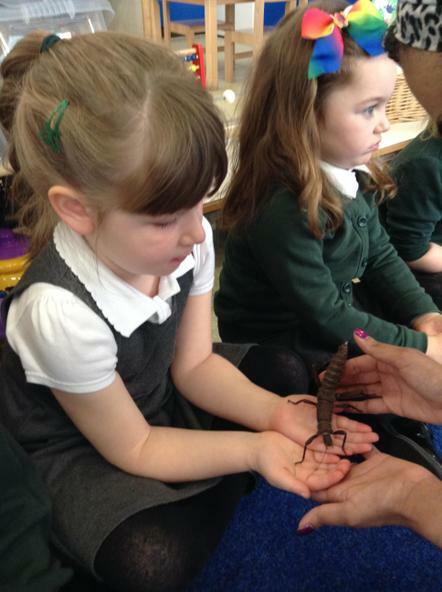 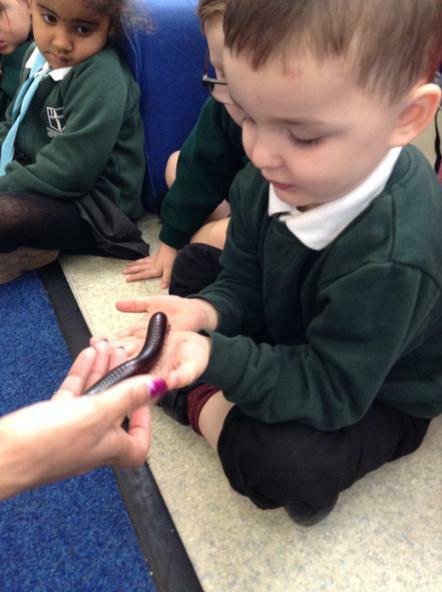 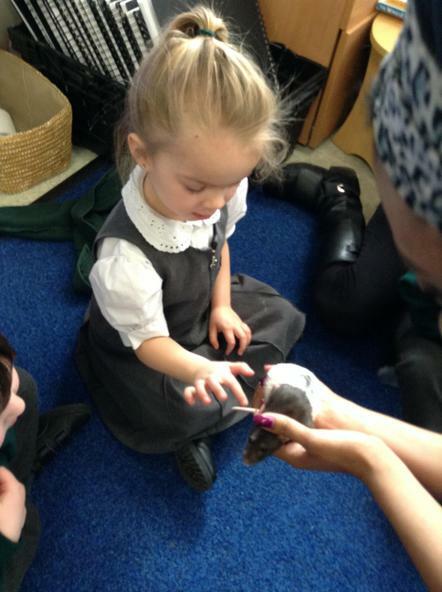 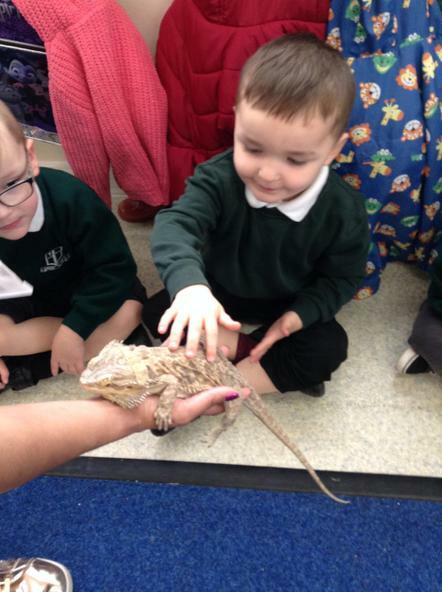 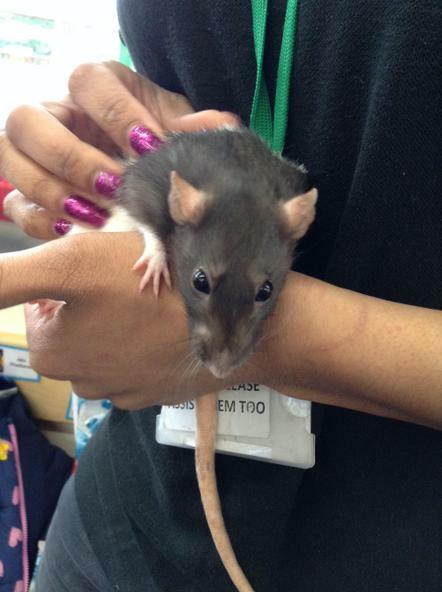 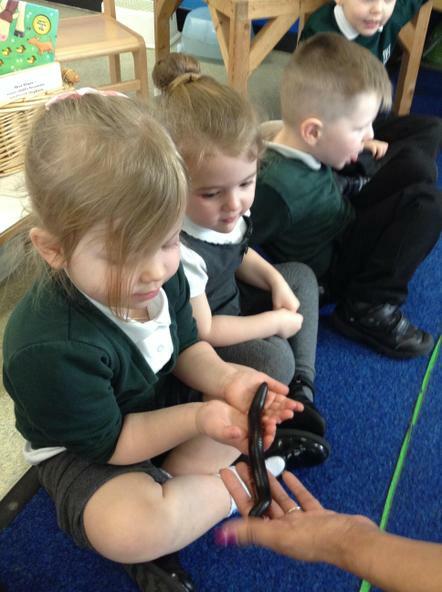 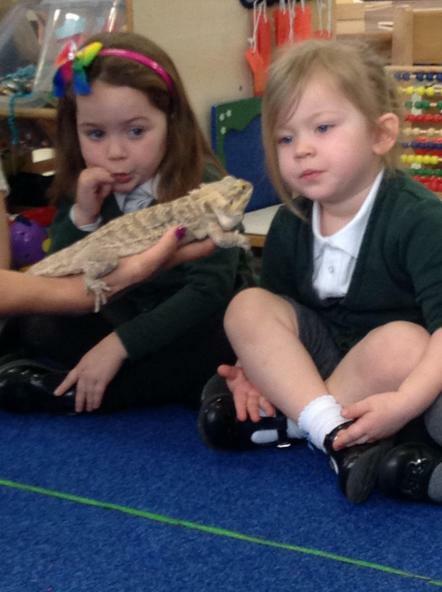 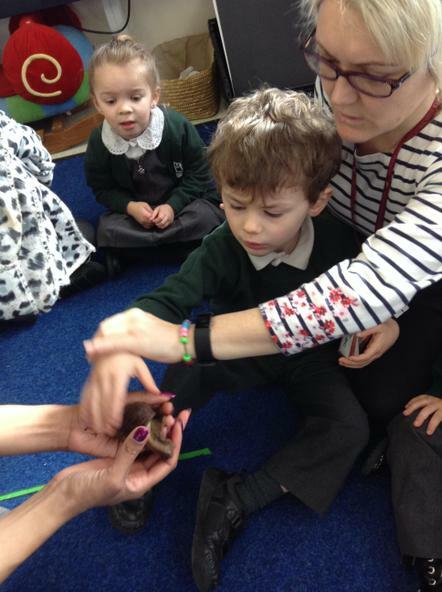 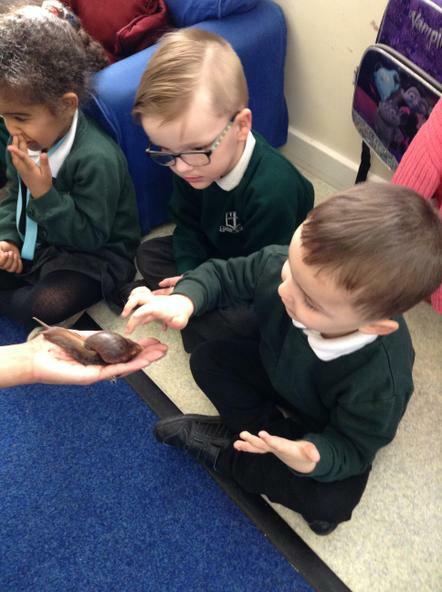 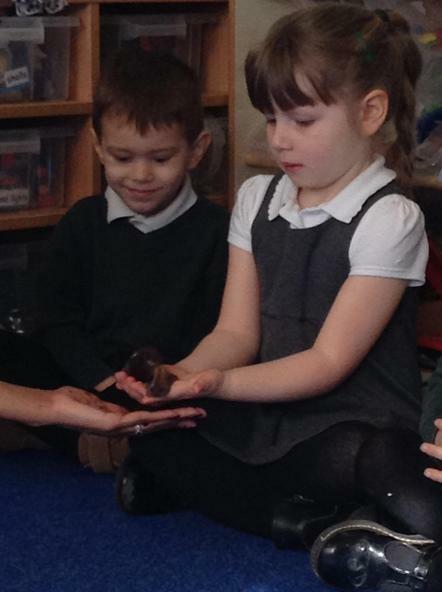 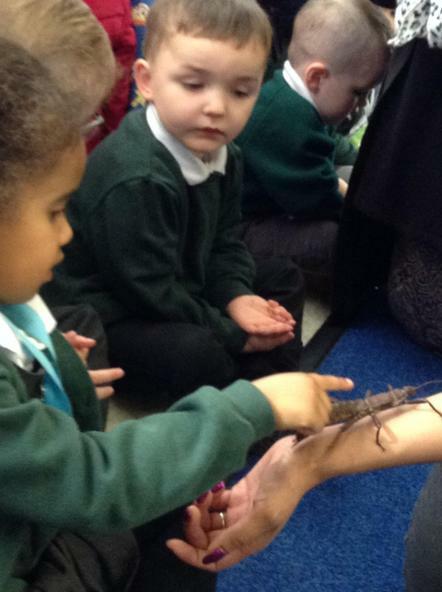 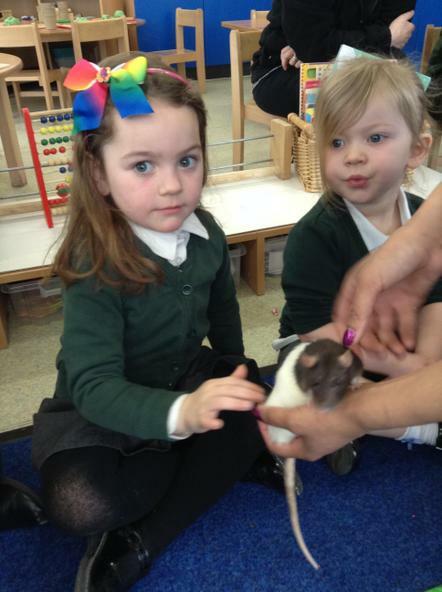 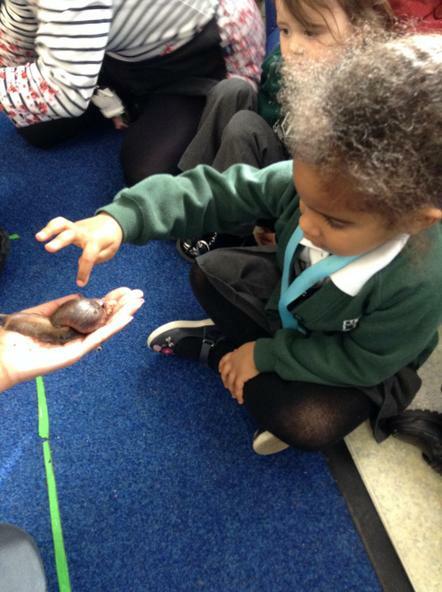 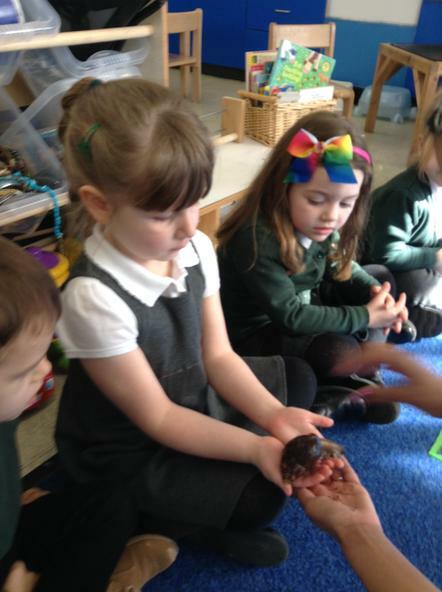 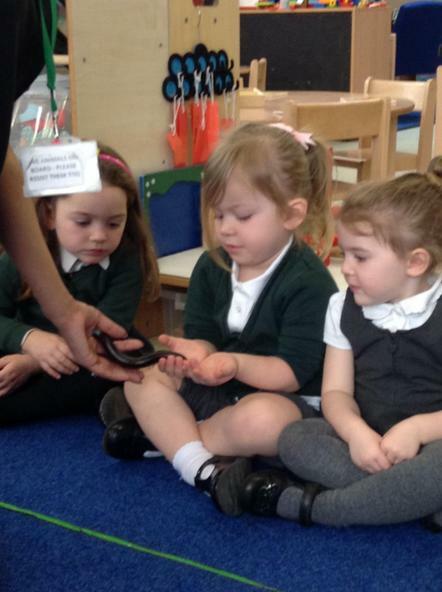 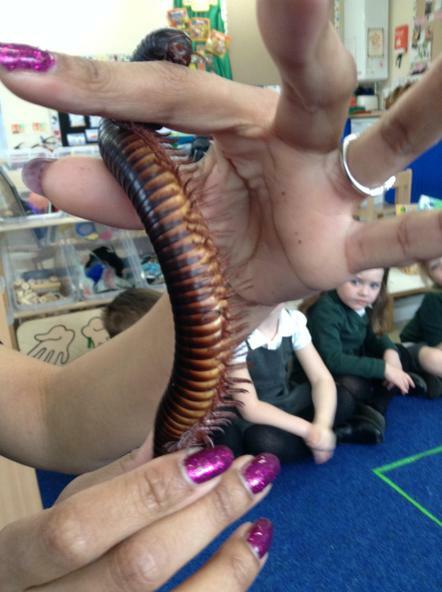 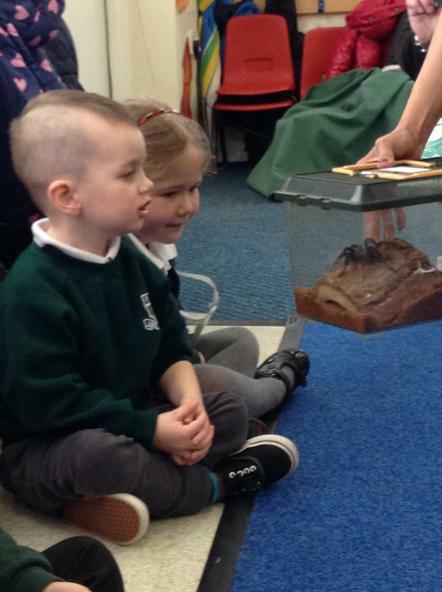 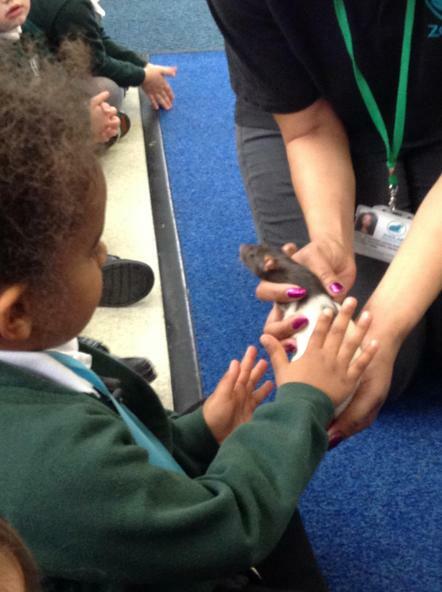 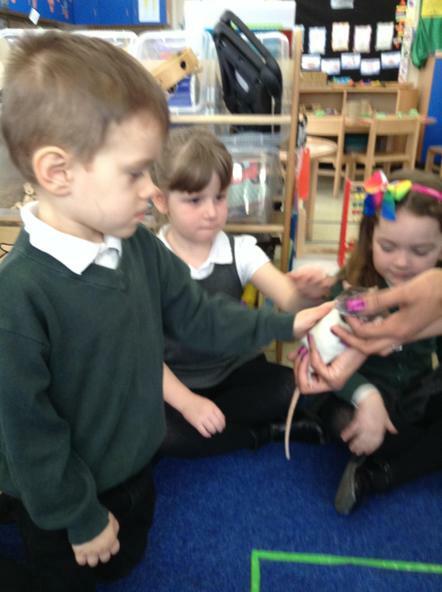 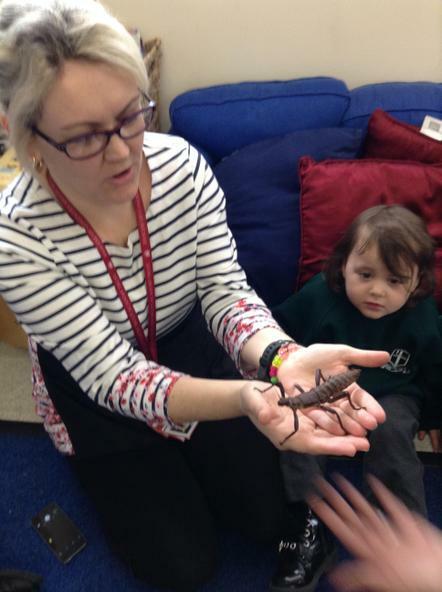 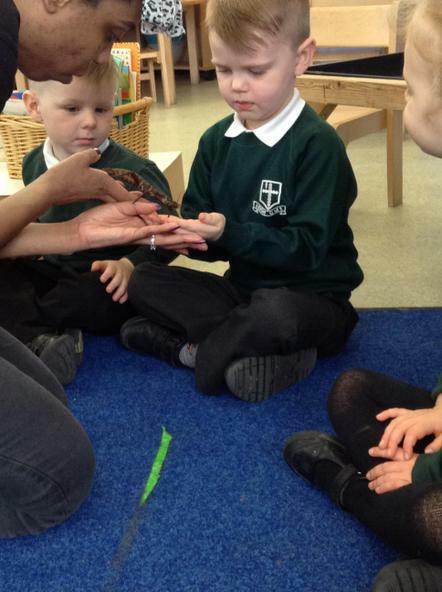 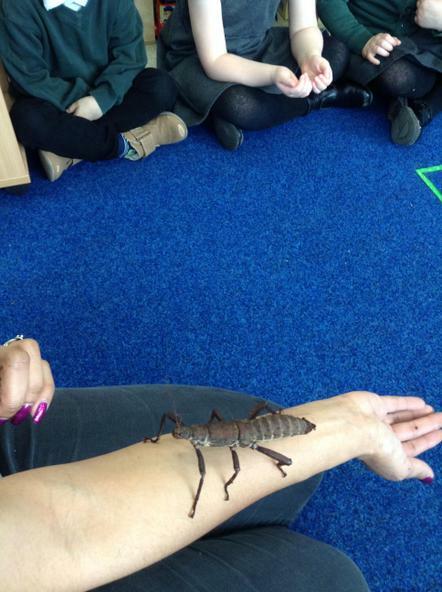 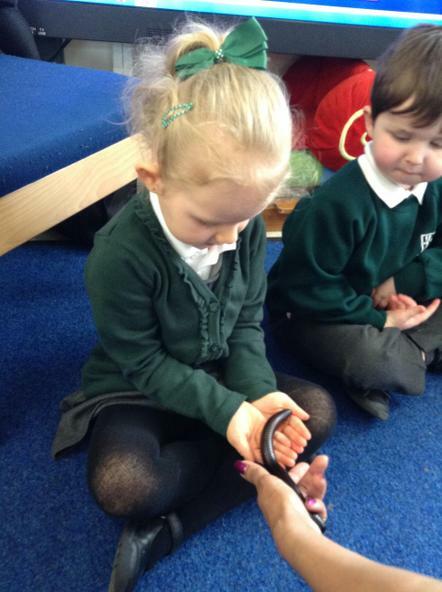 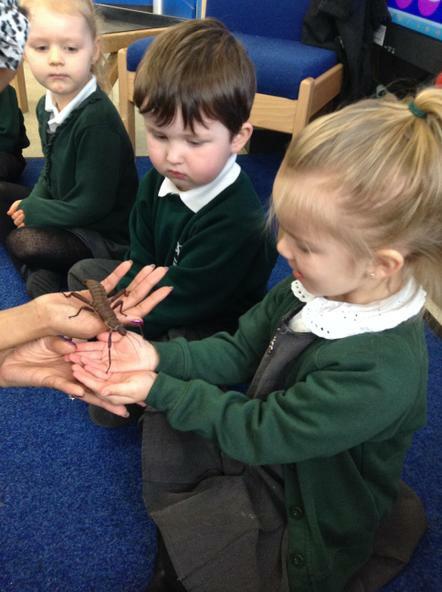 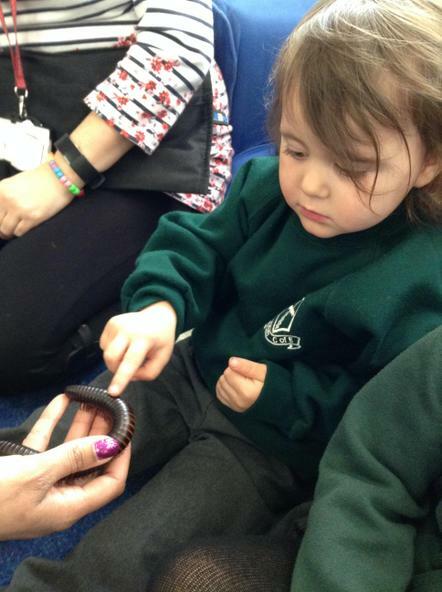 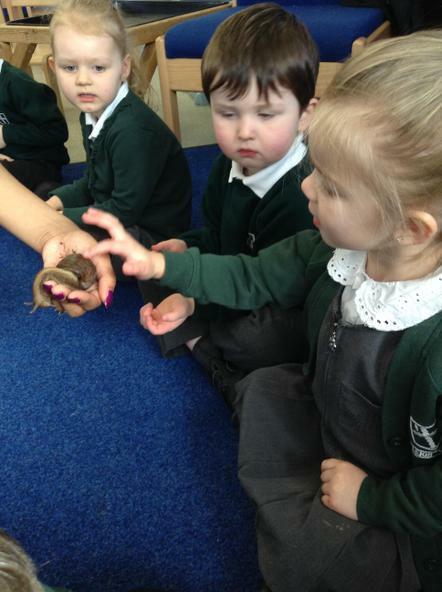 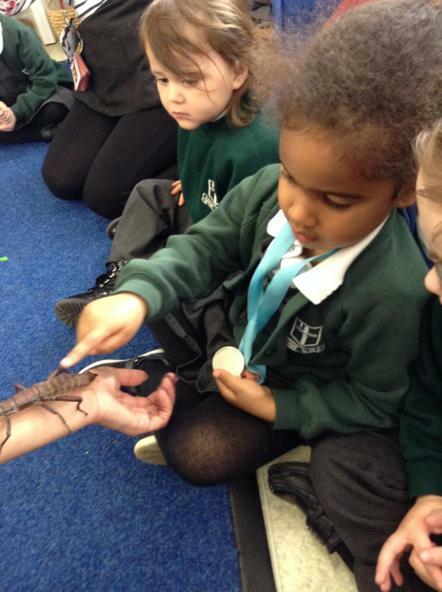 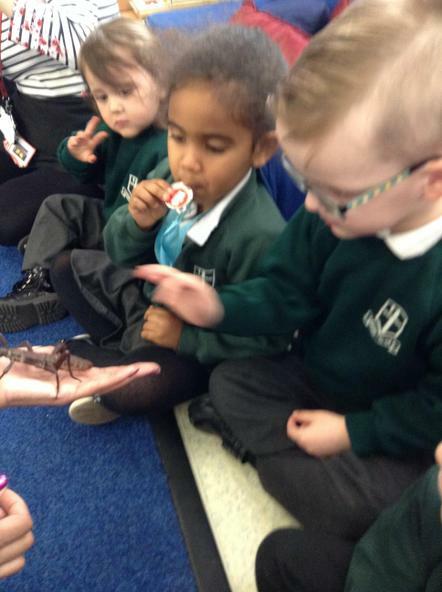 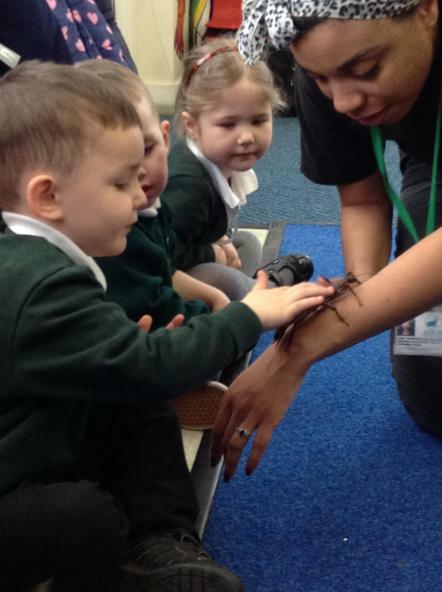 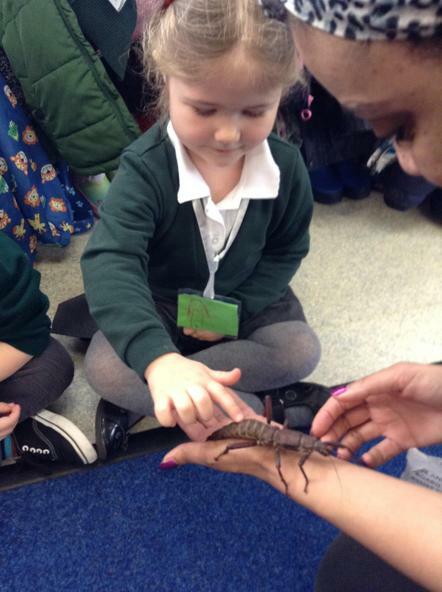 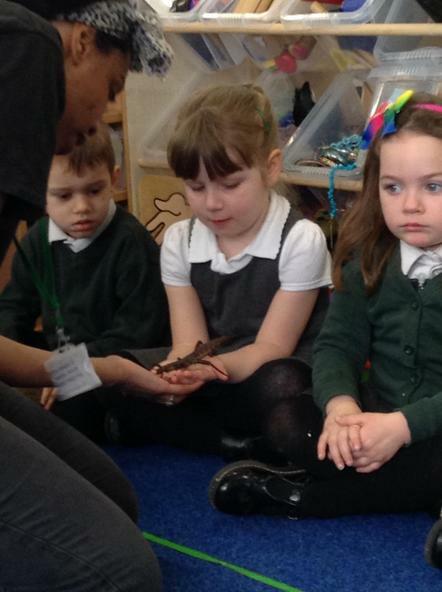 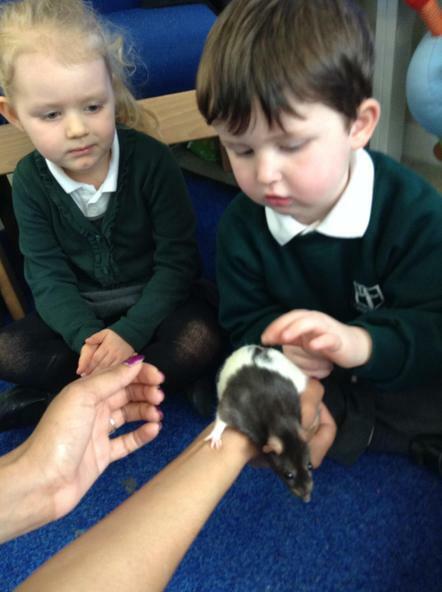 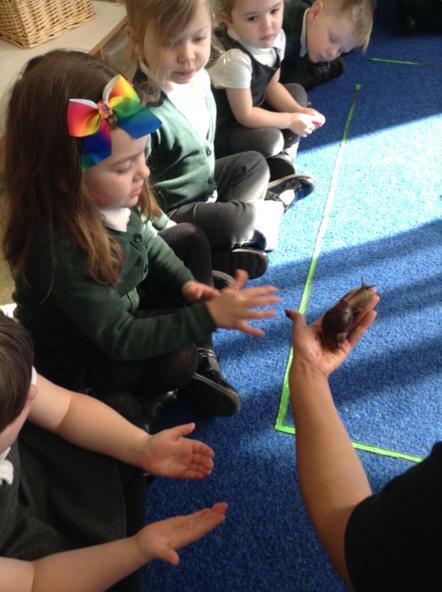 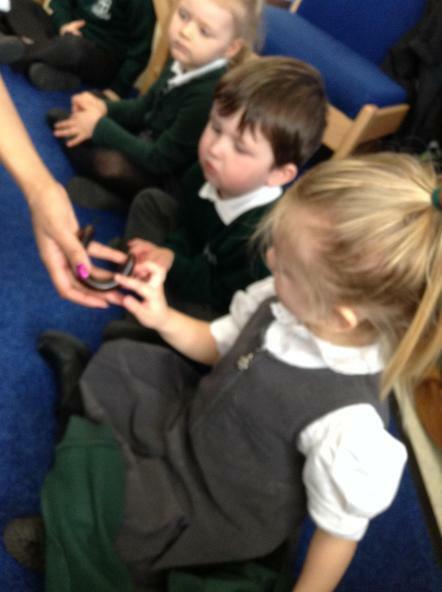 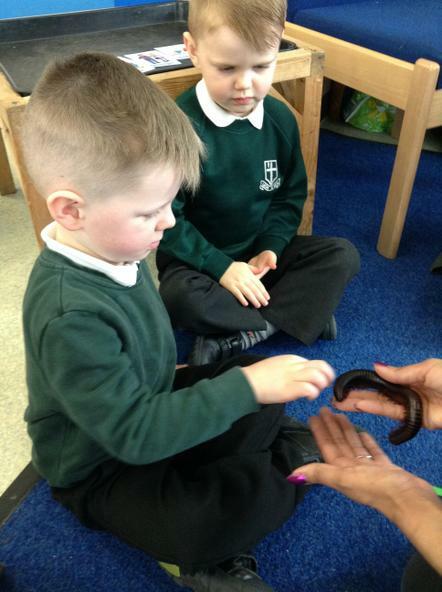 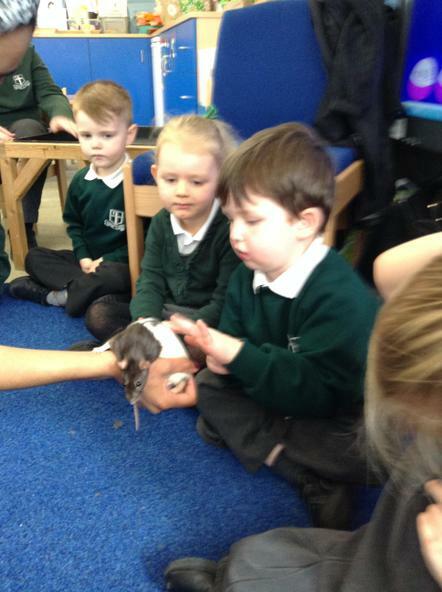 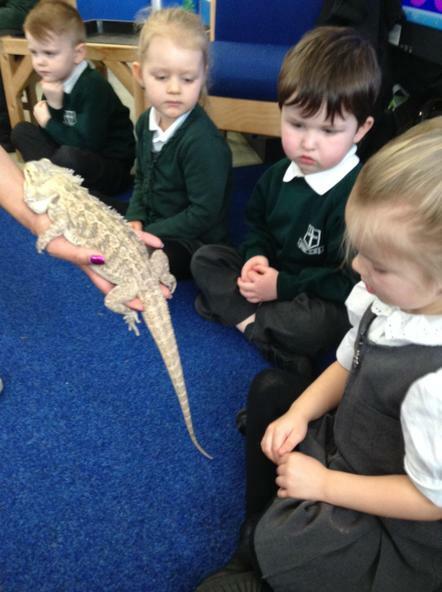 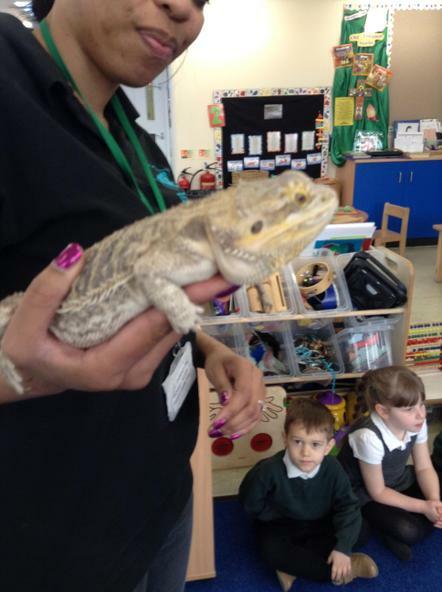 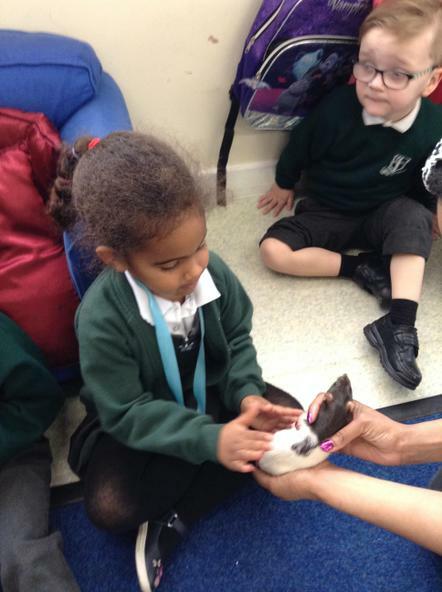 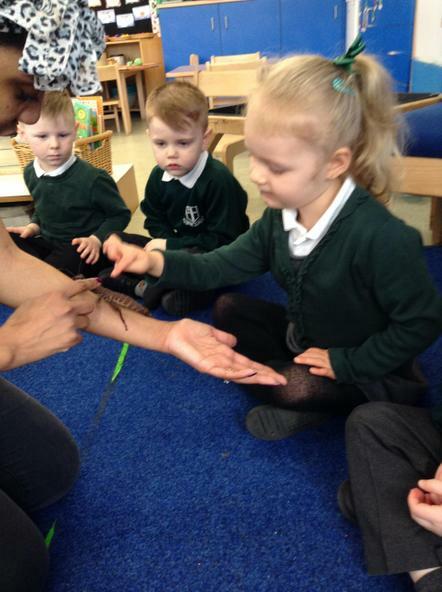 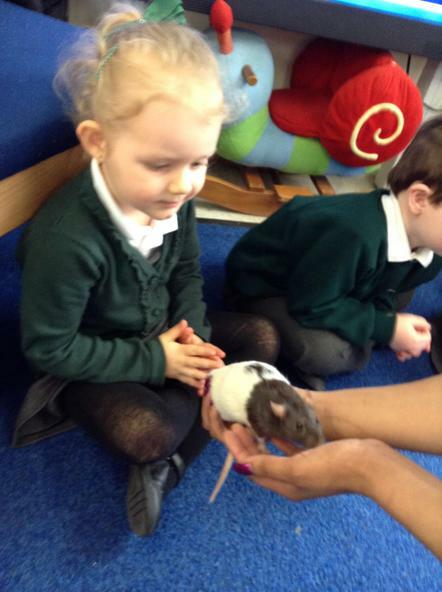 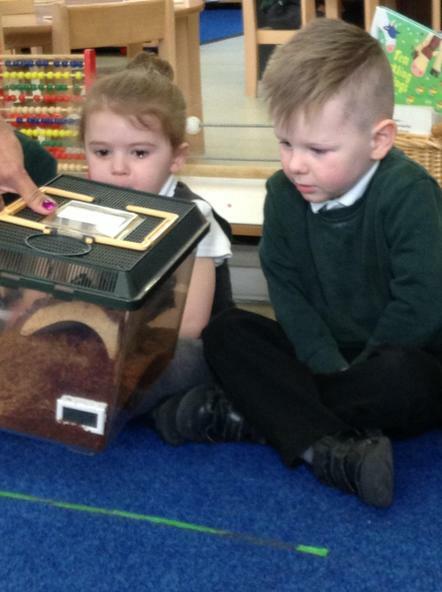 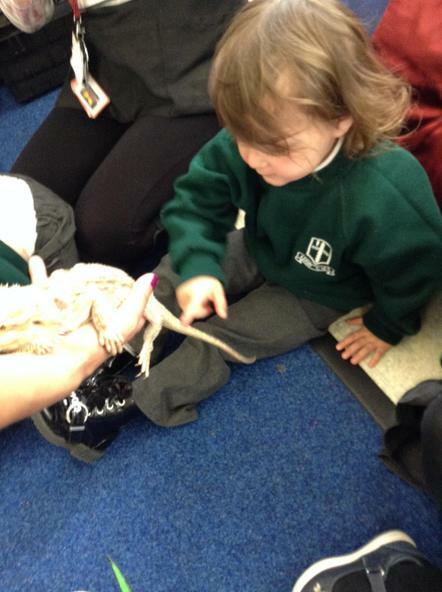 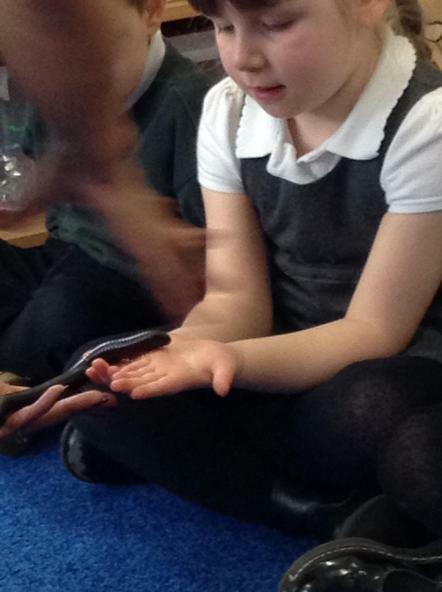 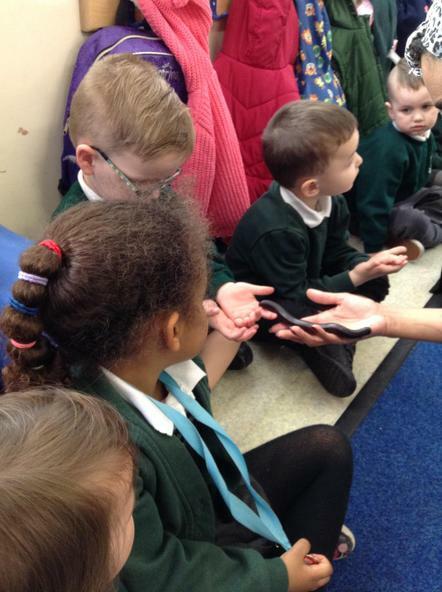 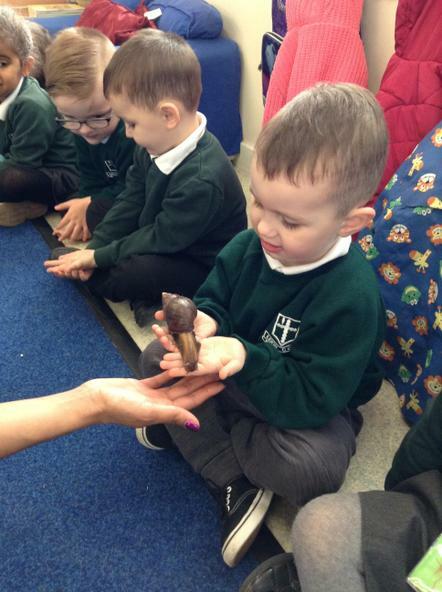 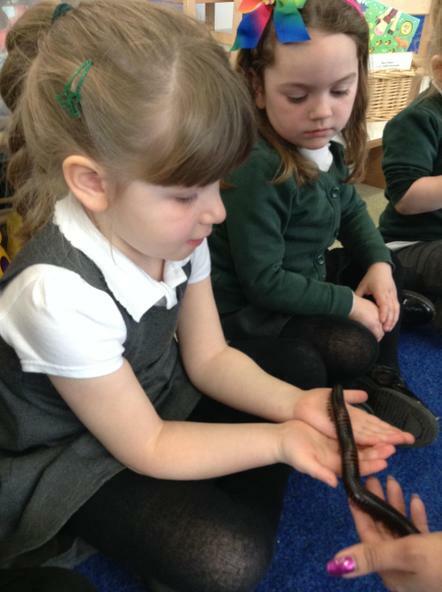 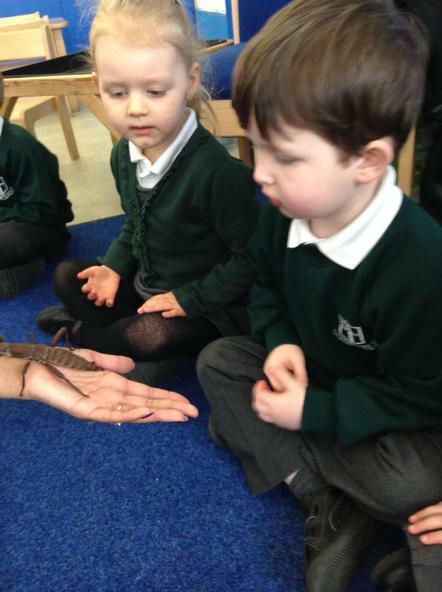 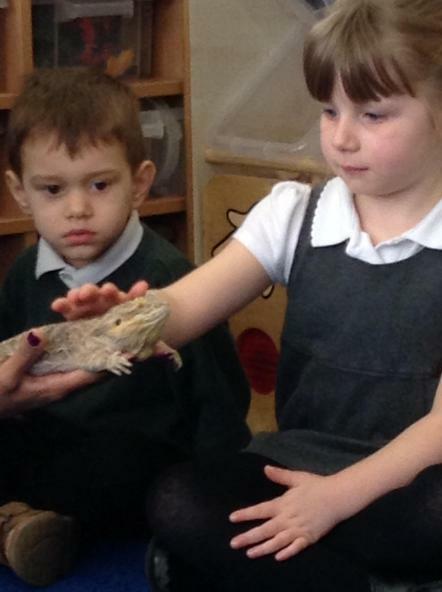 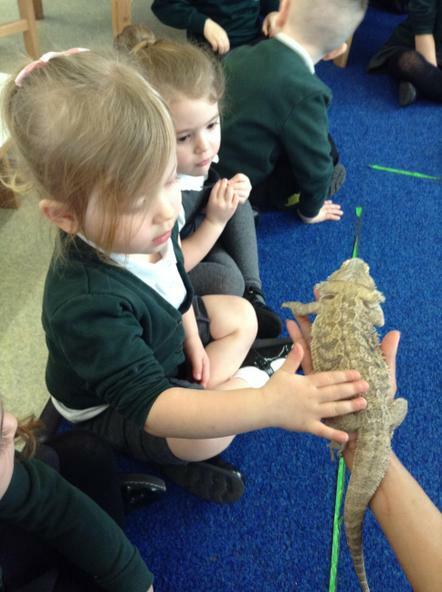 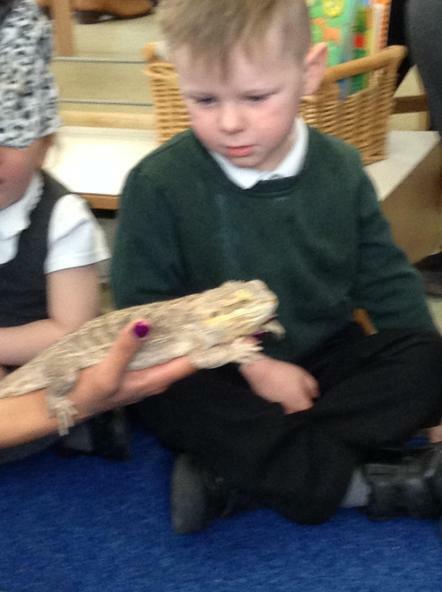 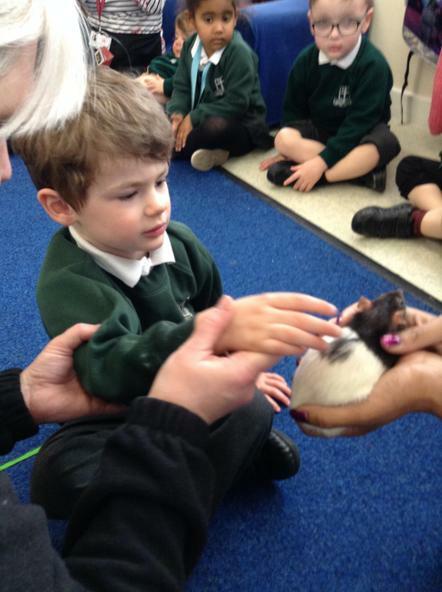 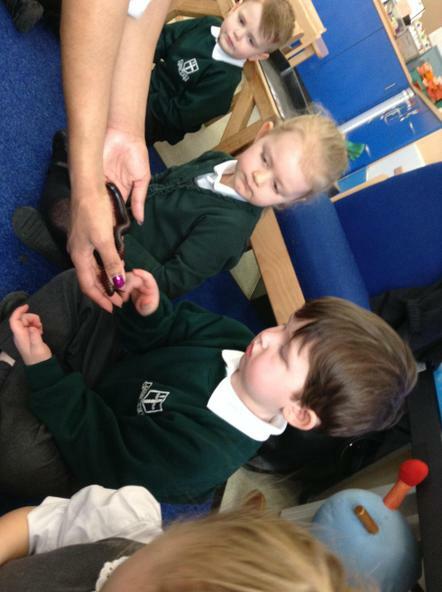 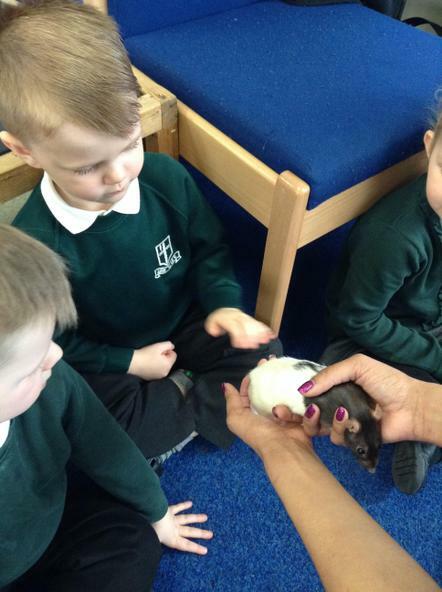 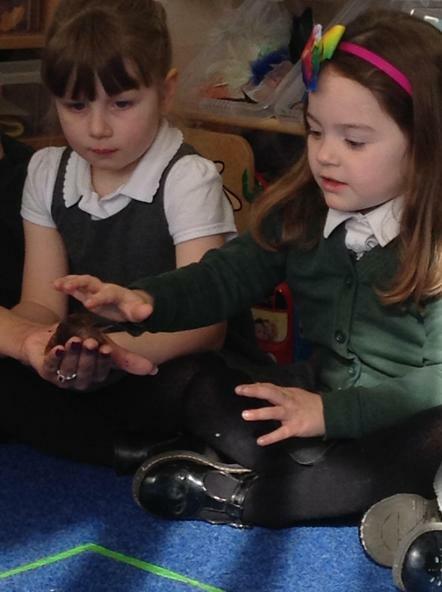 The children were very well behaved and brave when handling the animals. 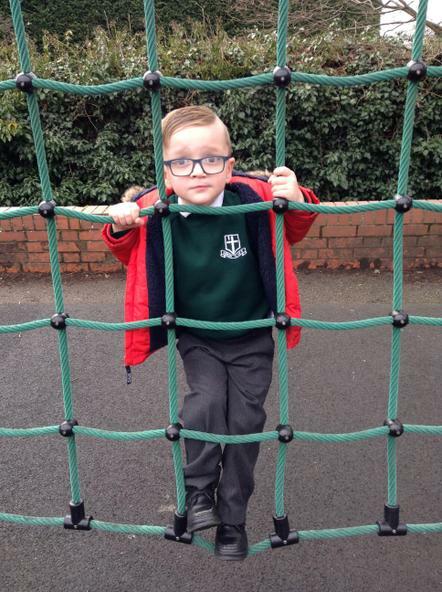 Please keep checking Marvellous Me, emails and the schools facebook page for messages and updates from school. 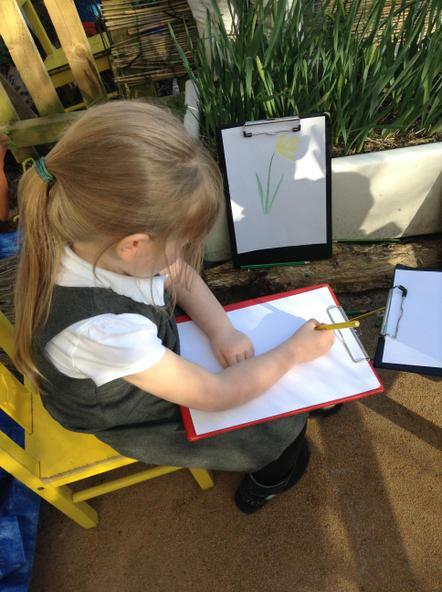 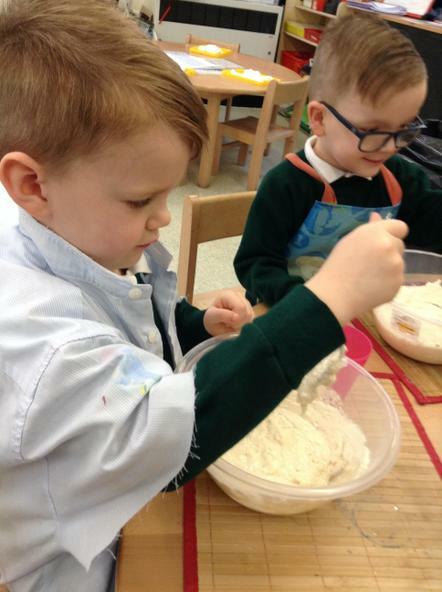 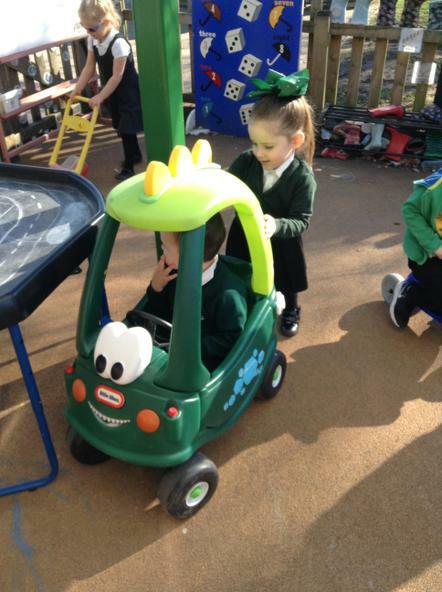 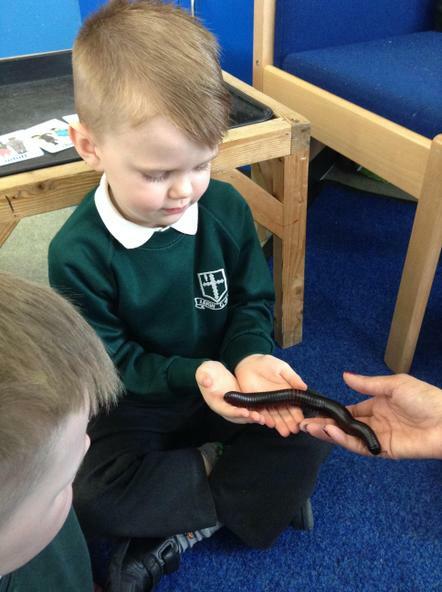 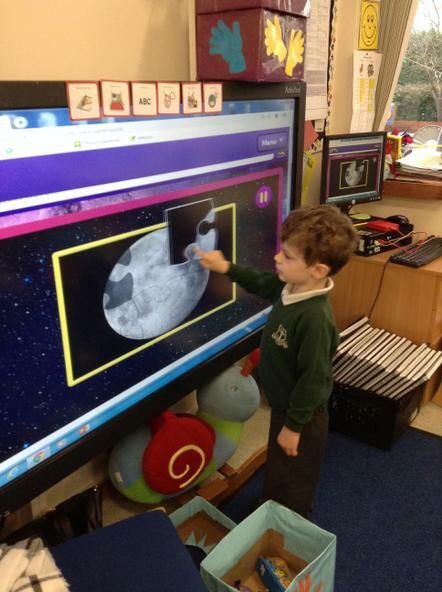 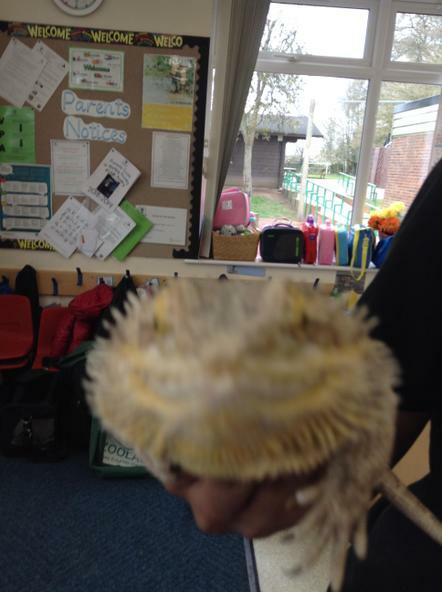 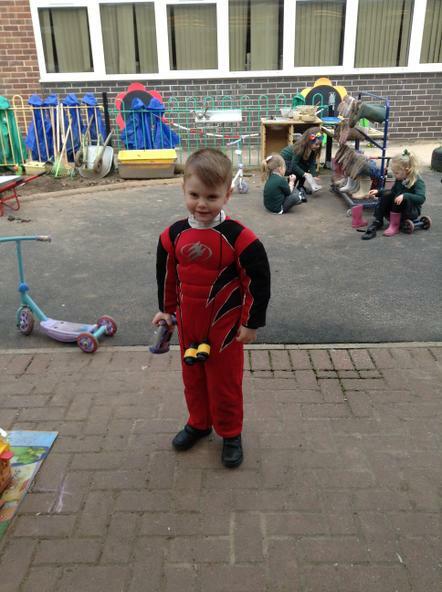 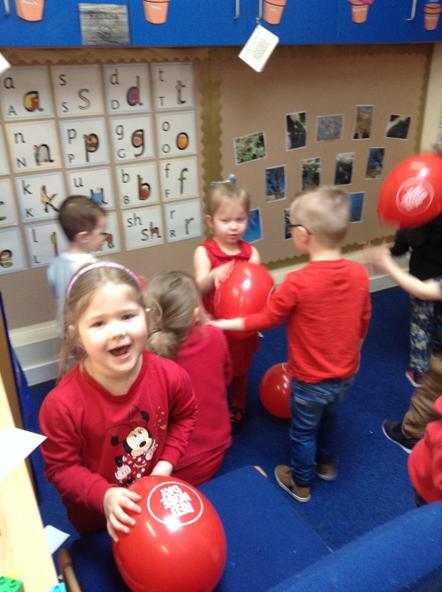 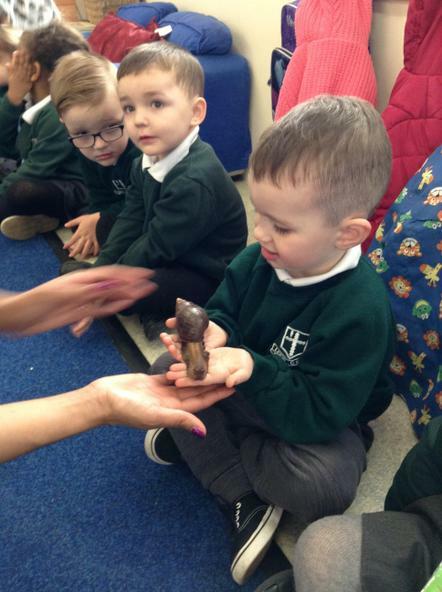 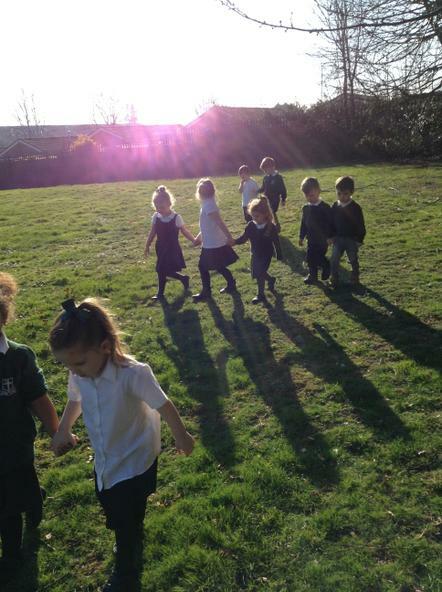 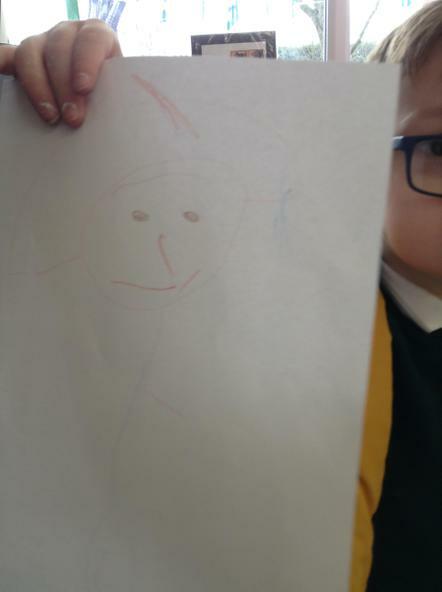 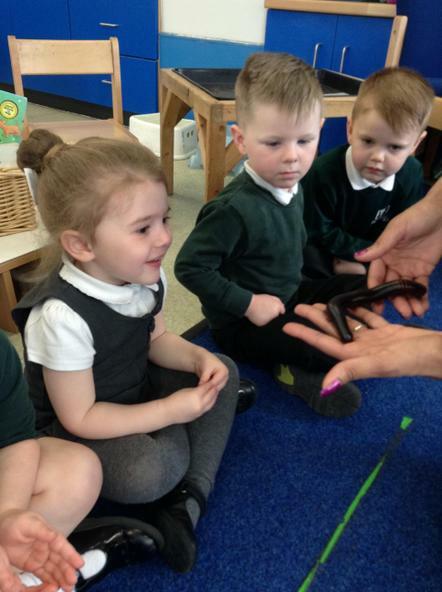 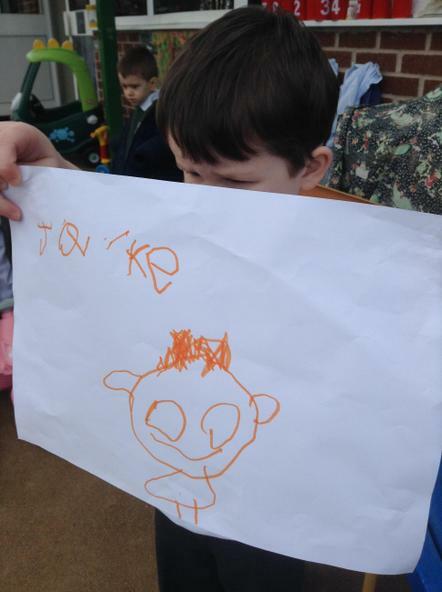 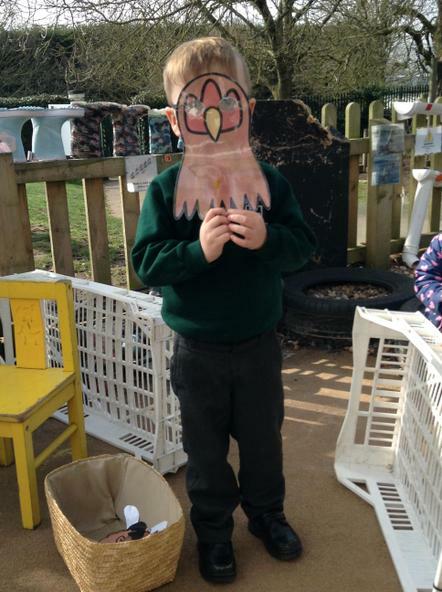 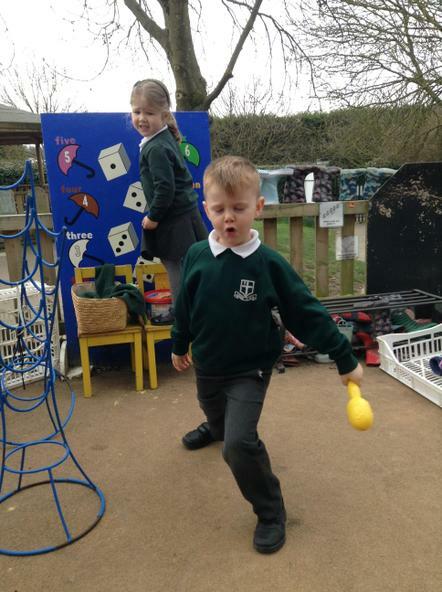 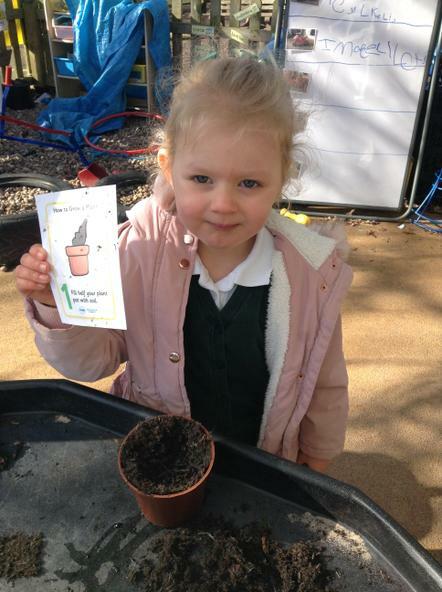 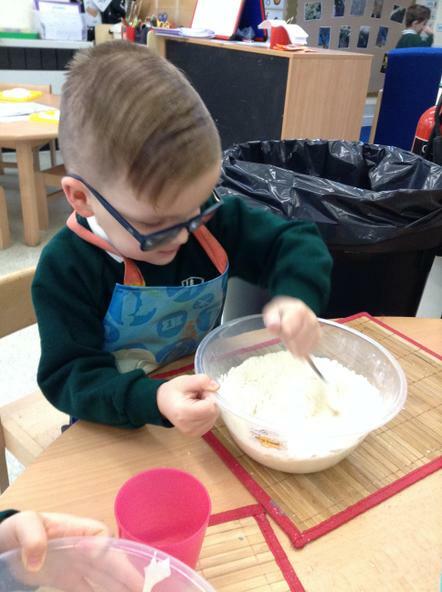 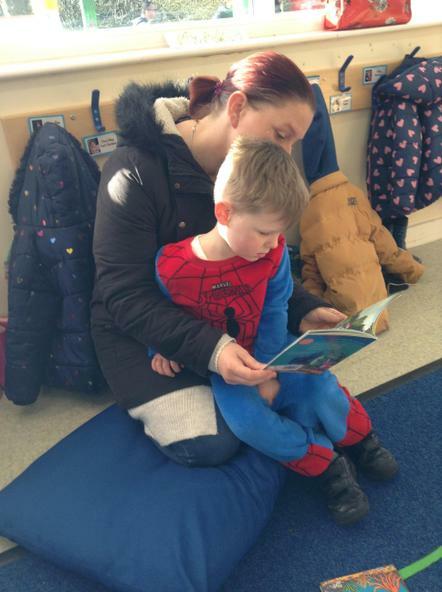 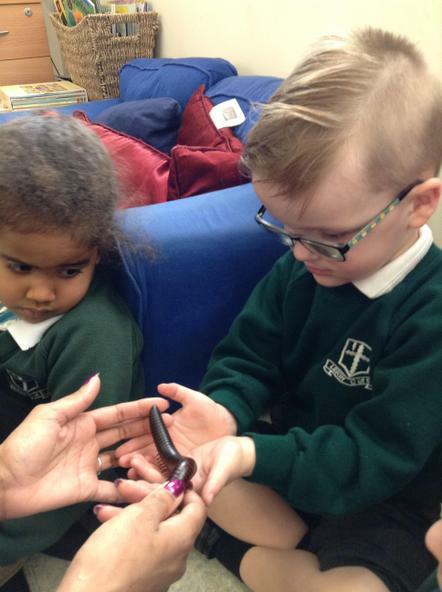 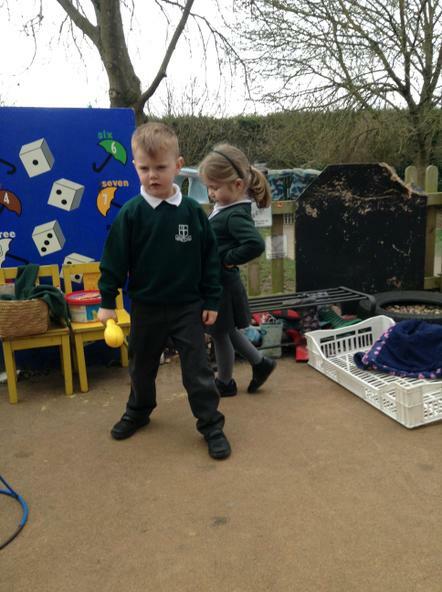 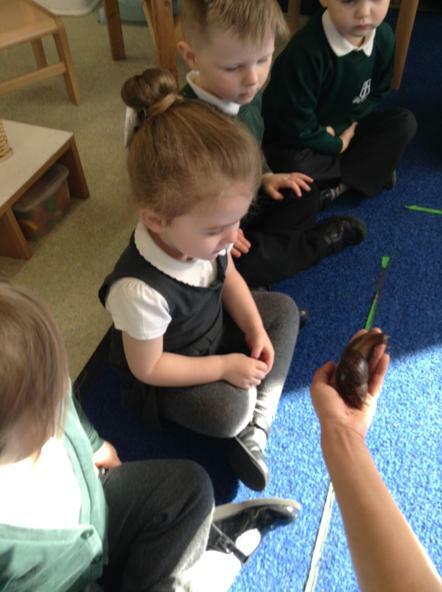 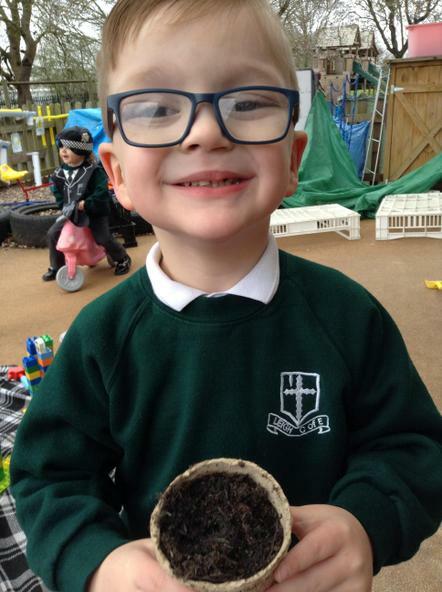 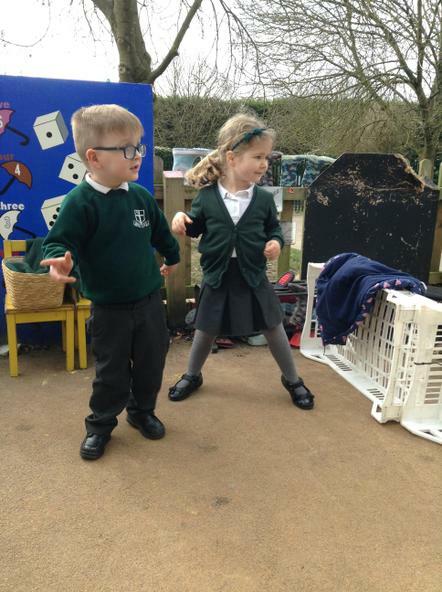 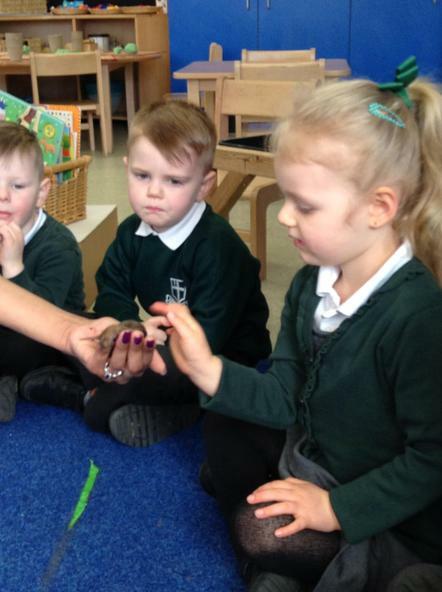 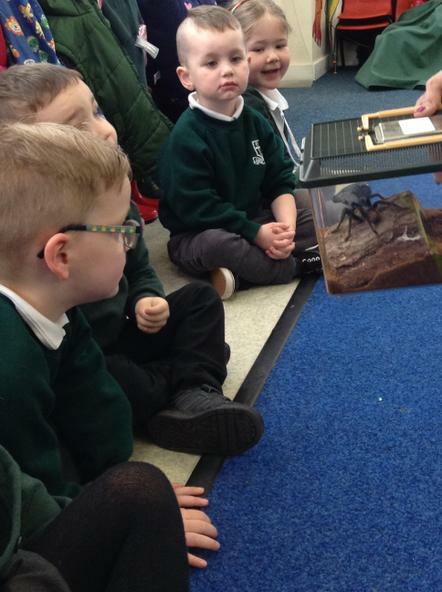 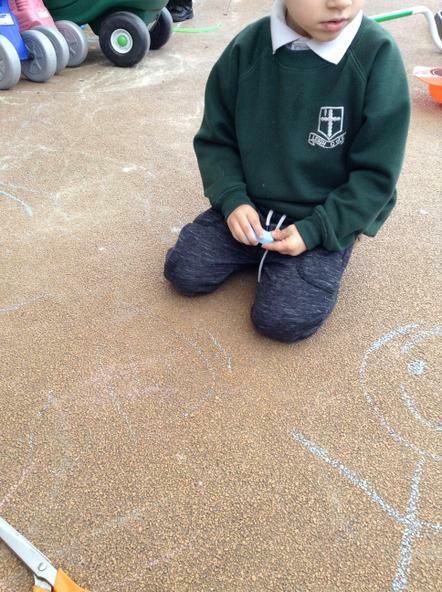 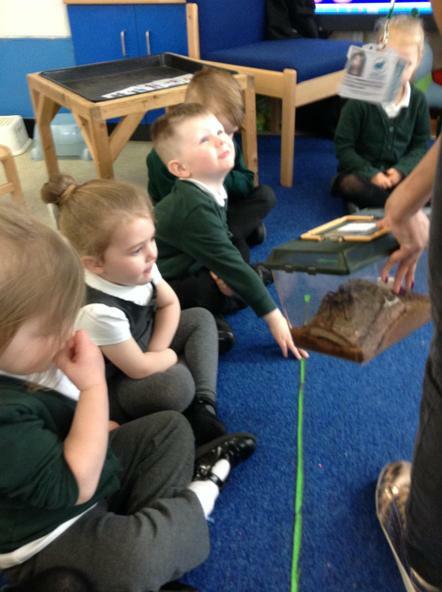 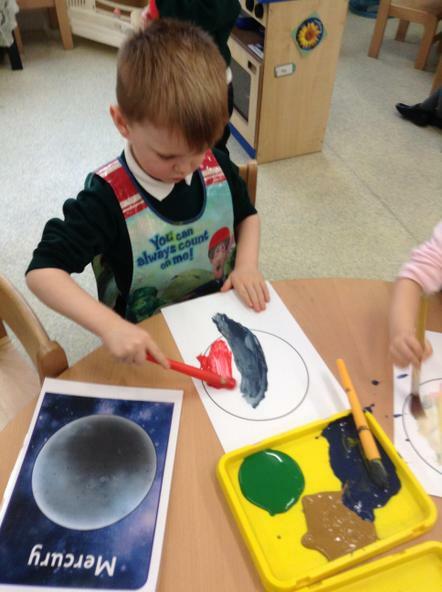 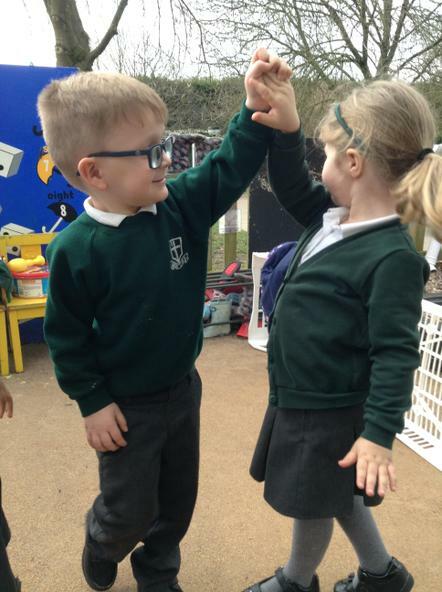 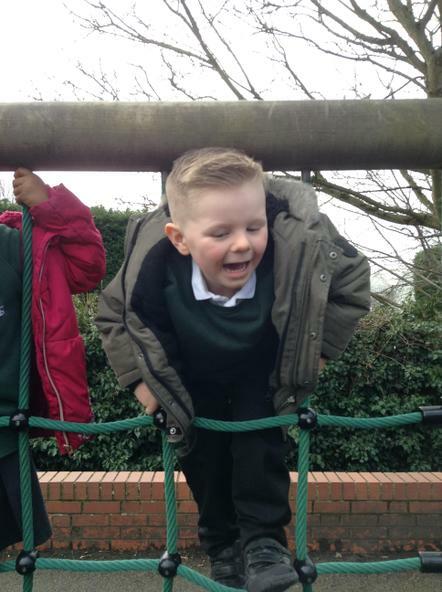 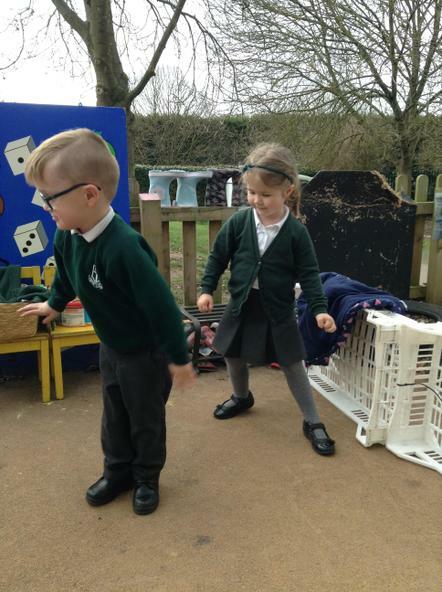 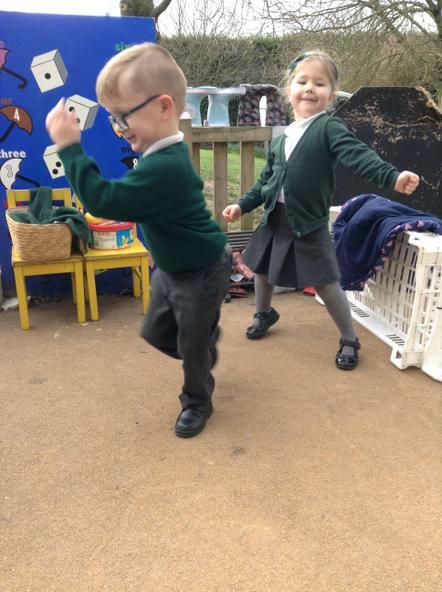 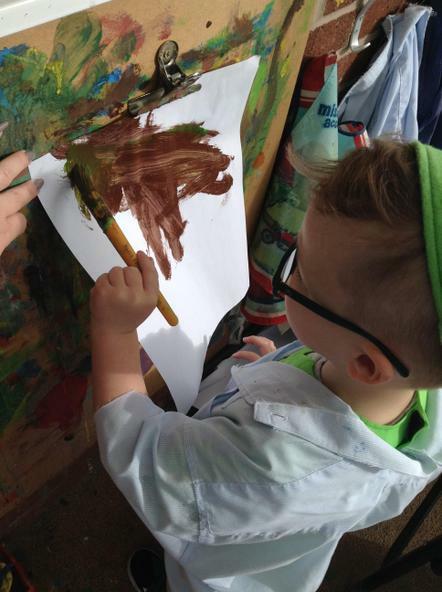 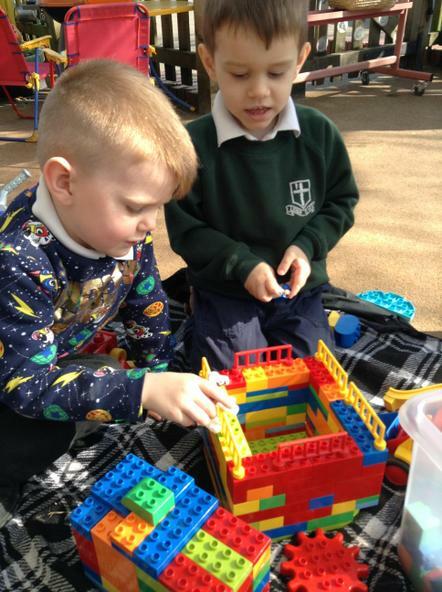 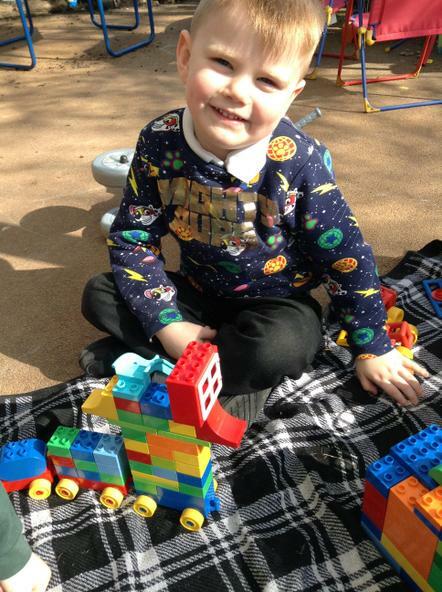 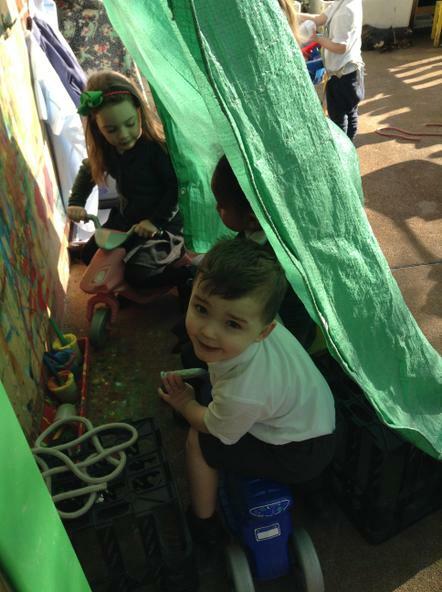 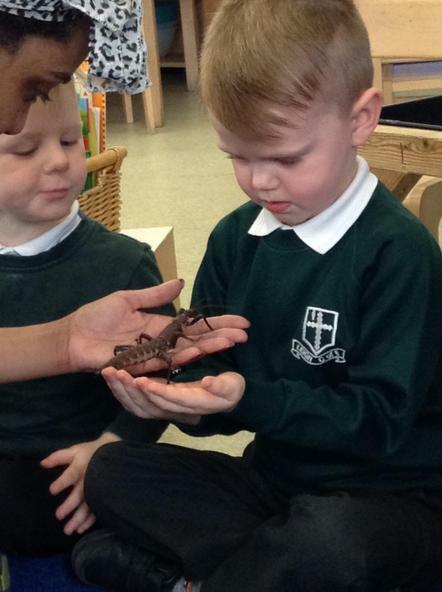 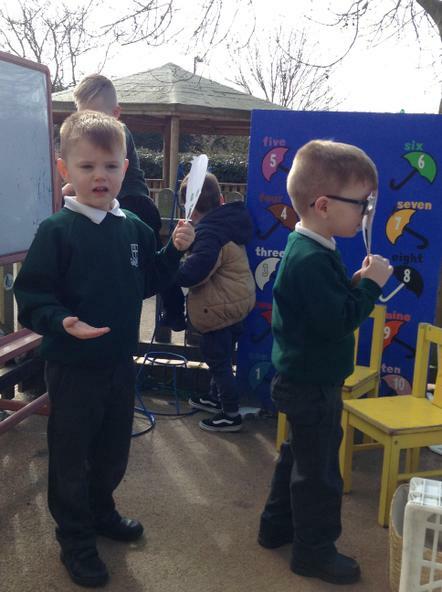 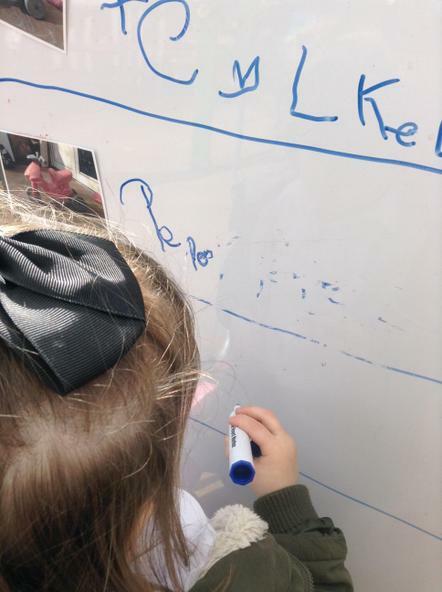 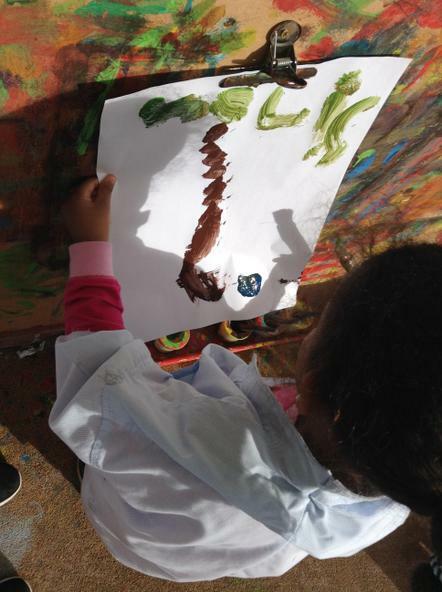 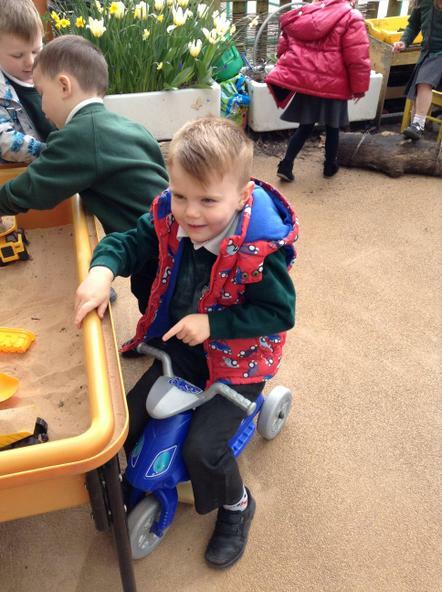 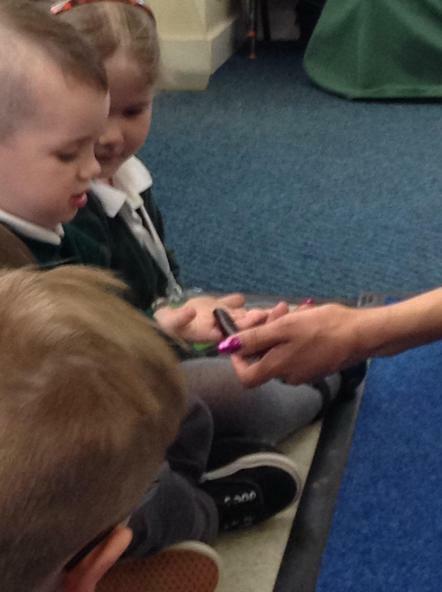 You can check the gallery below to see all the wonderful things that we have been doing throughout the week and you are also welcome to look at your child's learning journal when you drop off or collect your child from nursery at any time.